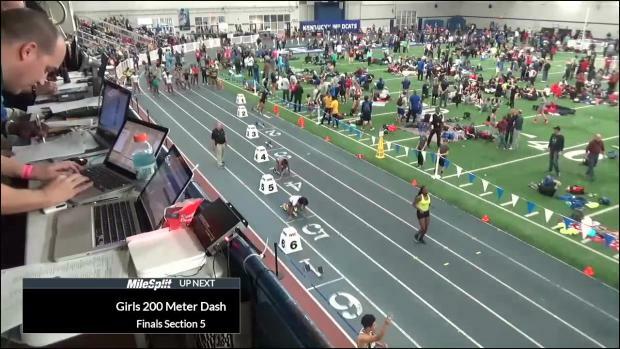 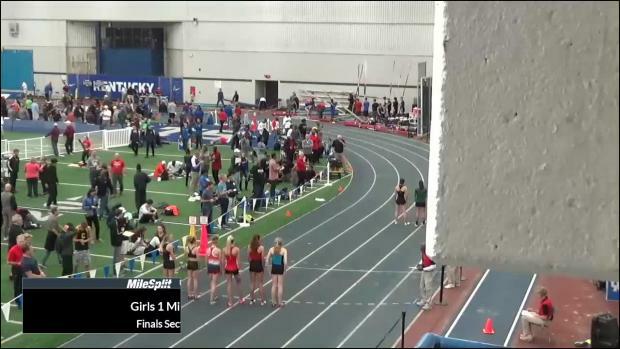 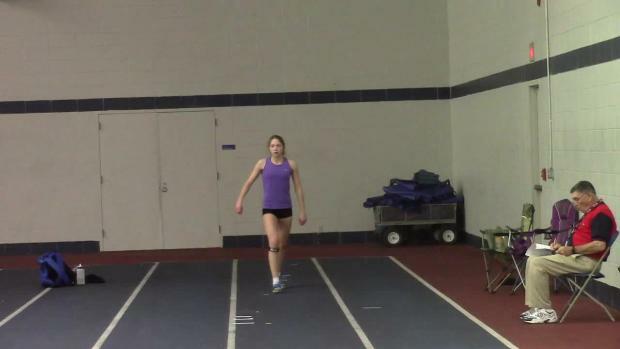 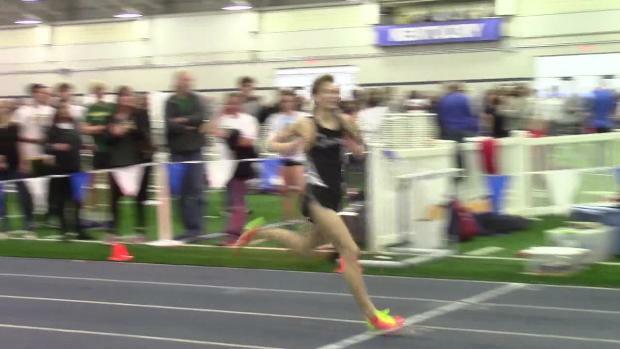 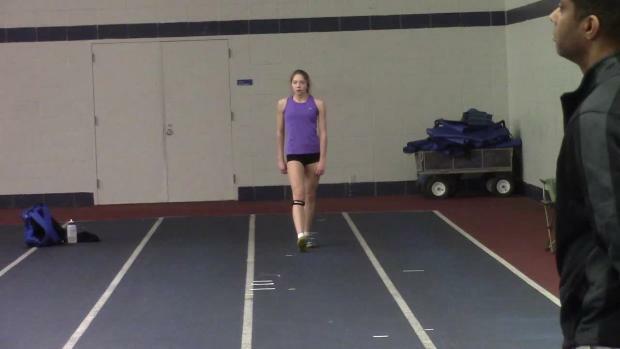 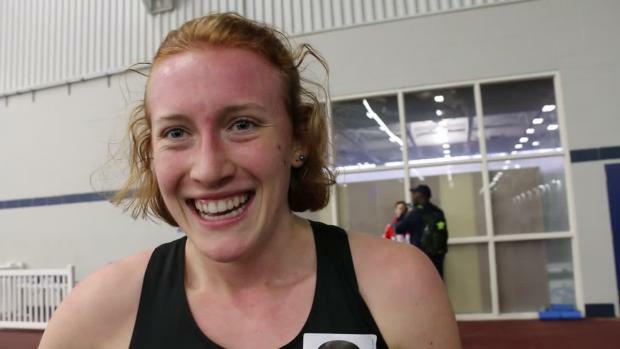 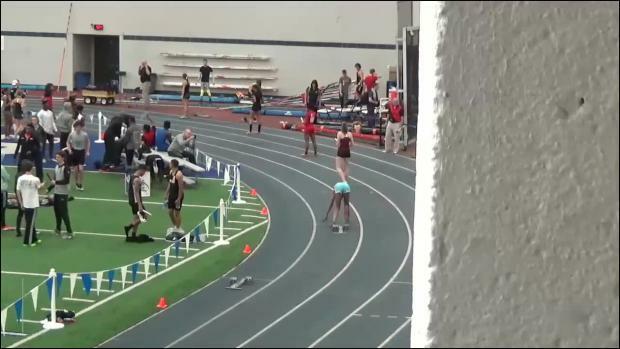 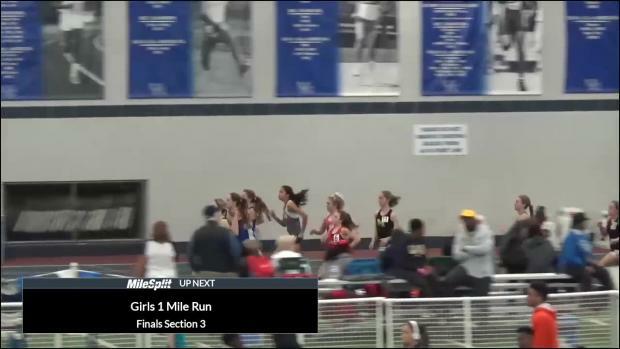 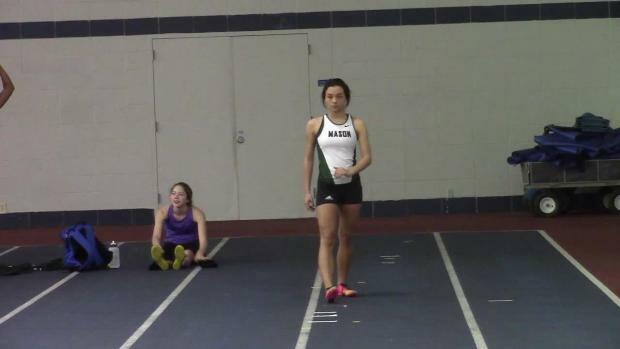 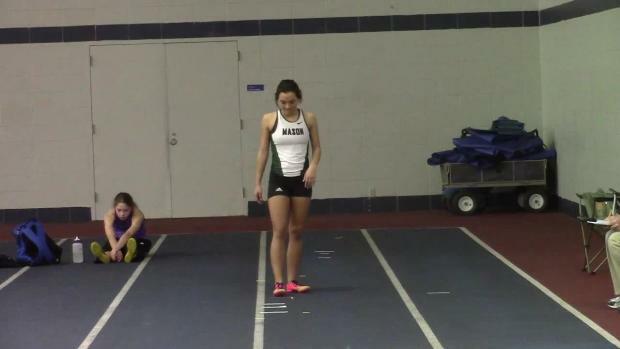 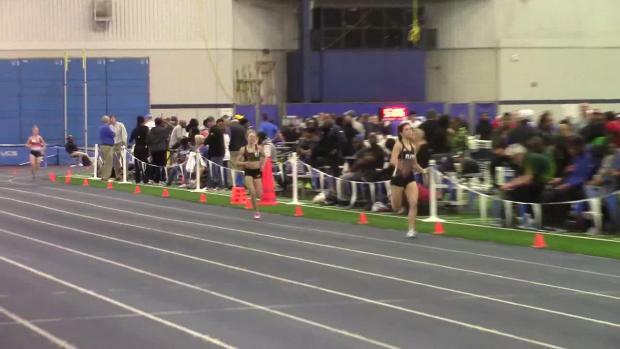 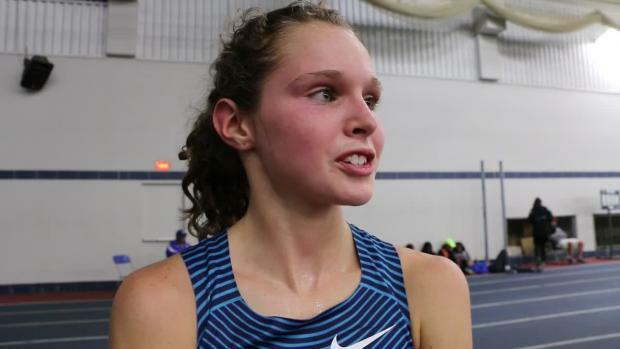 Katelynne Hart from Glenbard West, Ill. ran 10:21.41 for two miles to set a new national freshman class record! 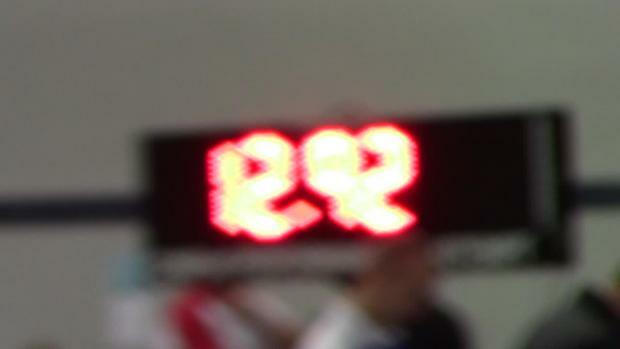 Her time ranks No. 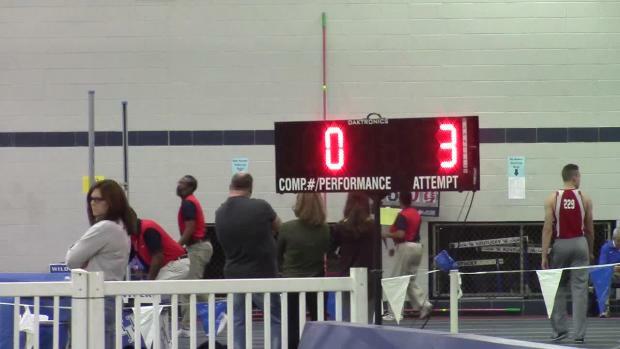 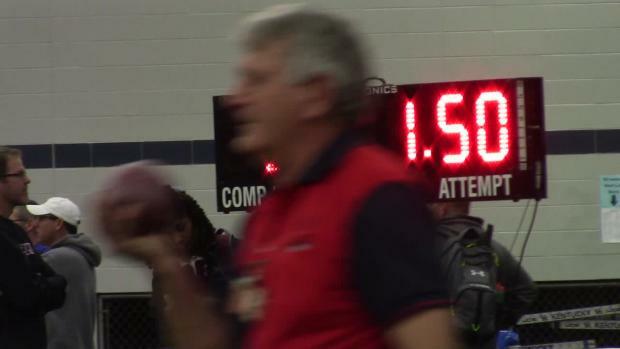 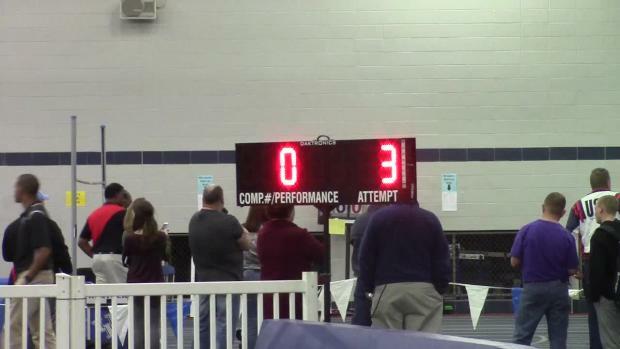 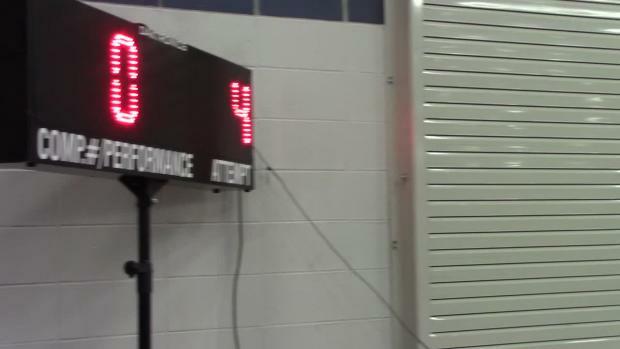 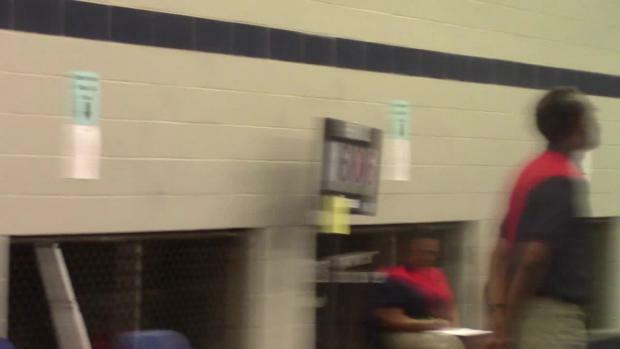 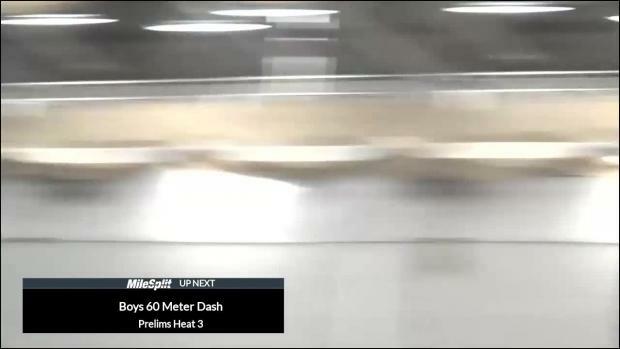 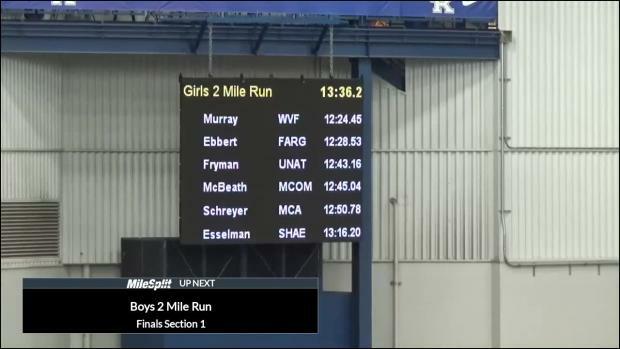 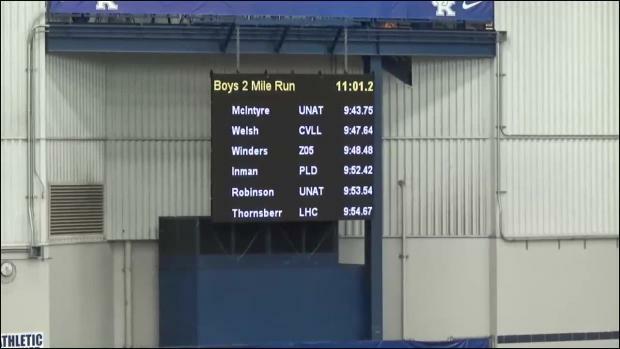 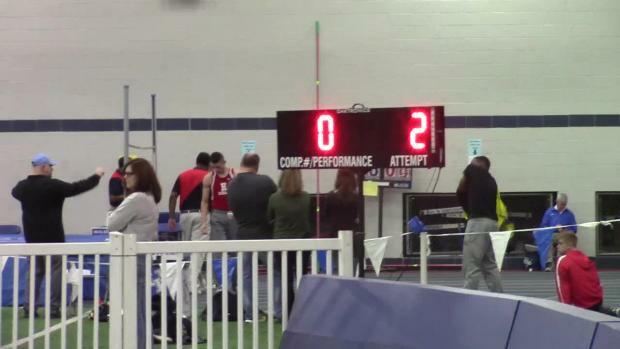 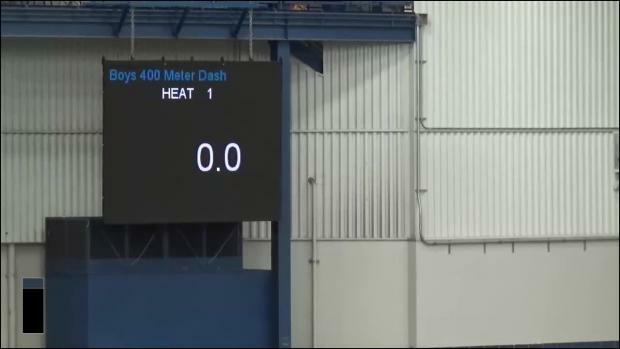 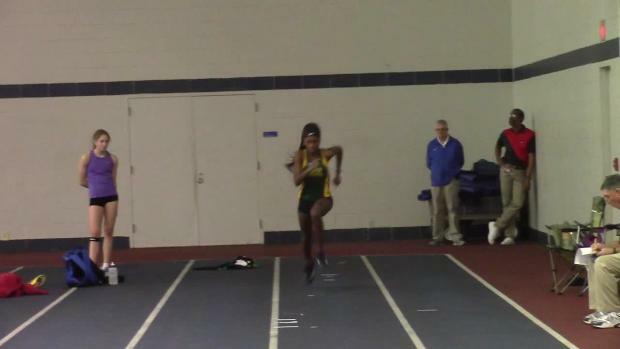 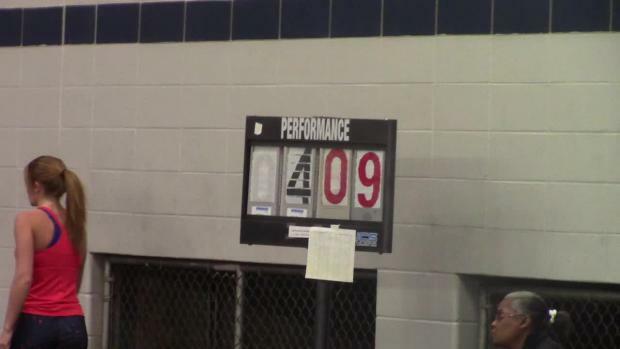 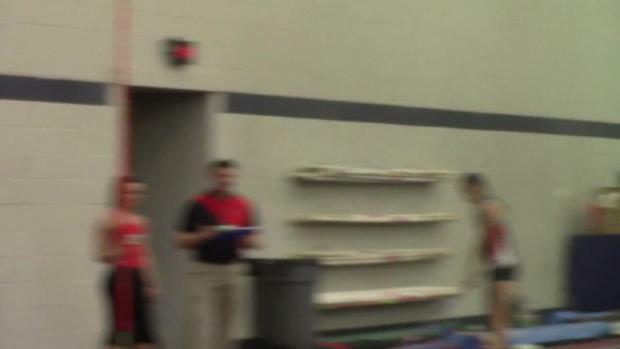 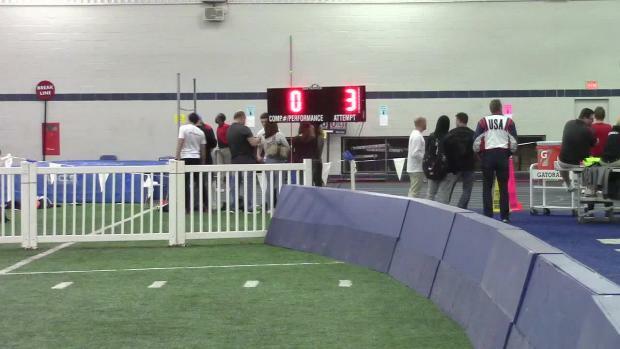 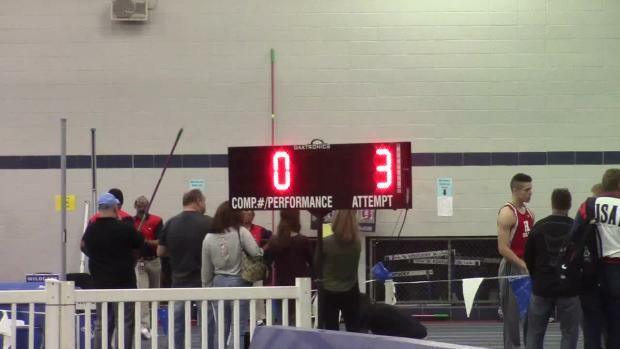 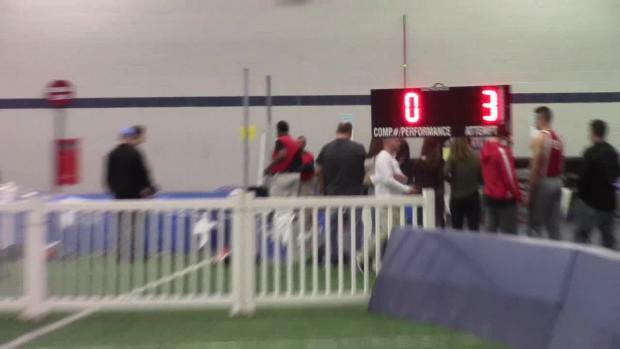 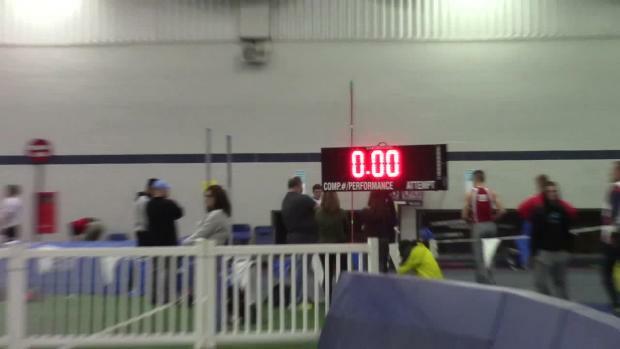 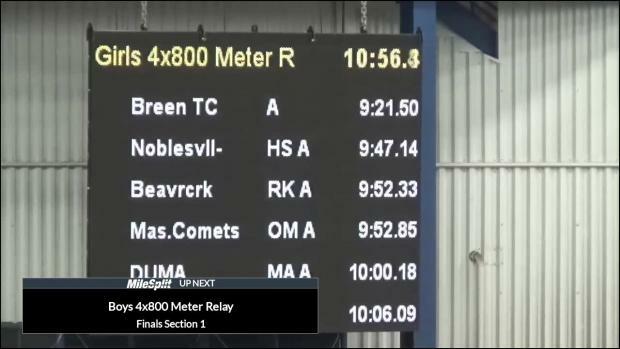 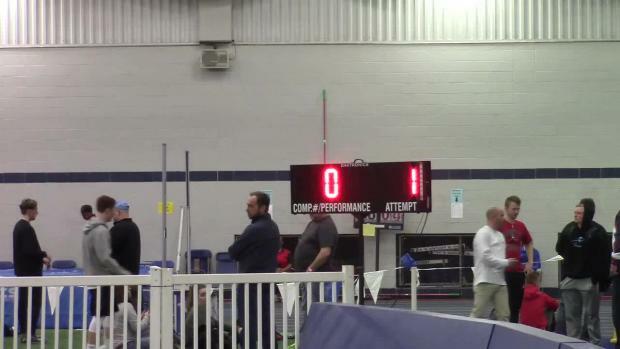 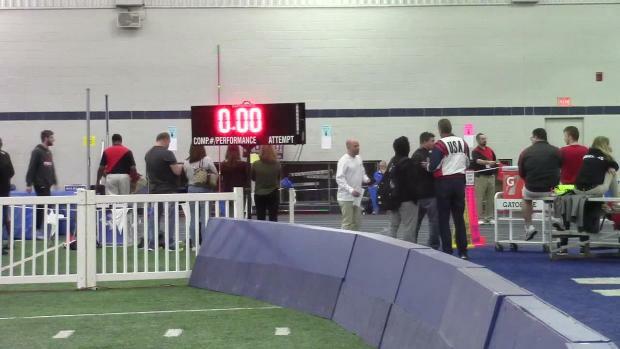 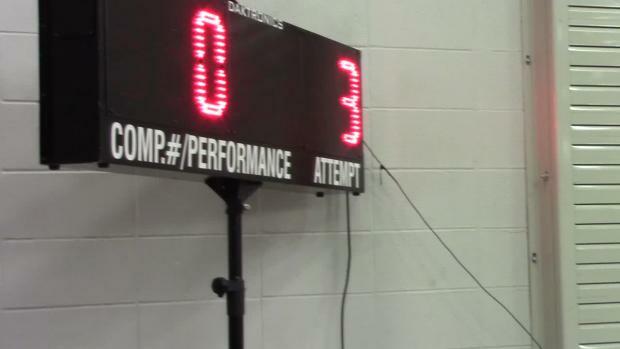 1 in the nation this year by four seconds and set a new Nutter Fieldhouse high school record by 25 seconds. 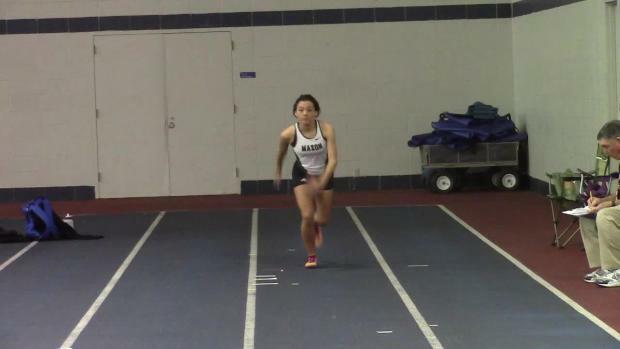 The previous national freshman class record was set in 1998 by Michelle dela Vina of Indiana in 10:23.46.Hart also won the mile in 4:54.3, the No. 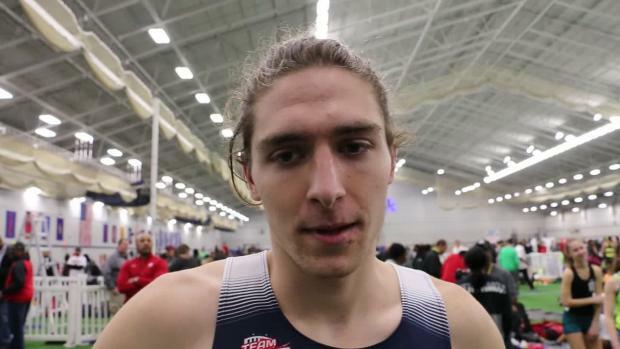 12 time in the country this season.Watch the post-race interview below. 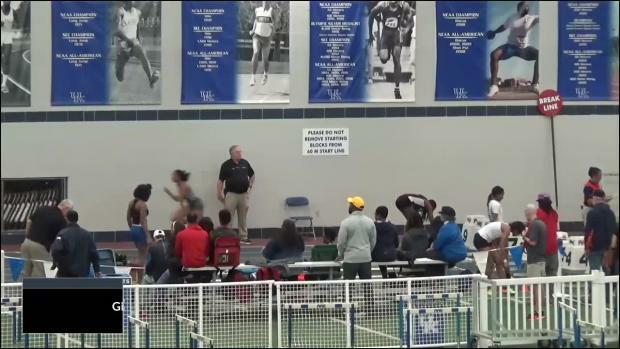 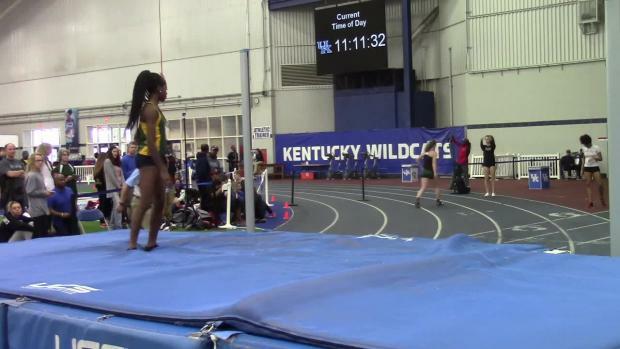 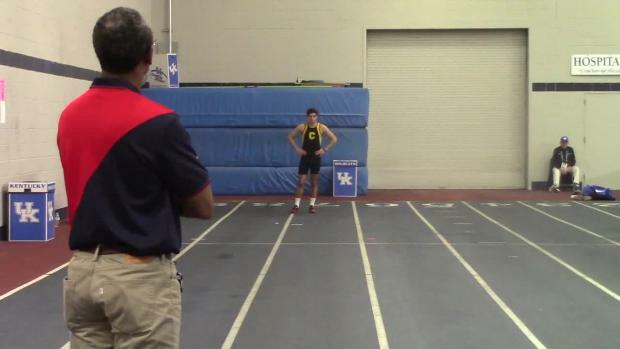 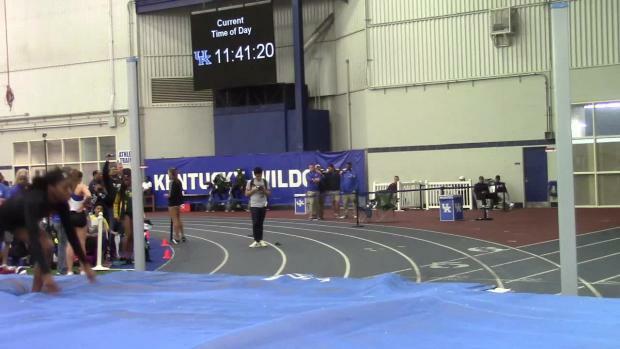 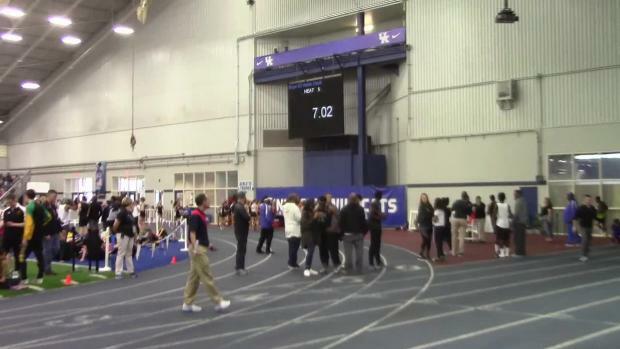 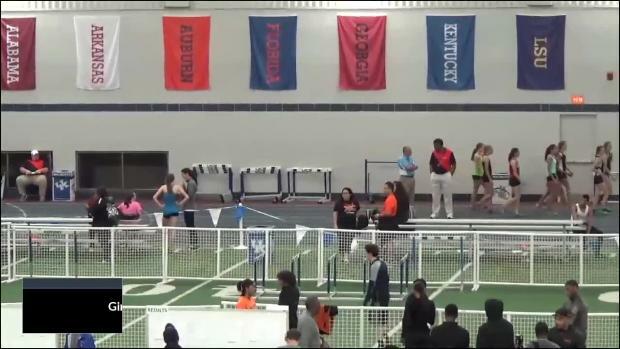 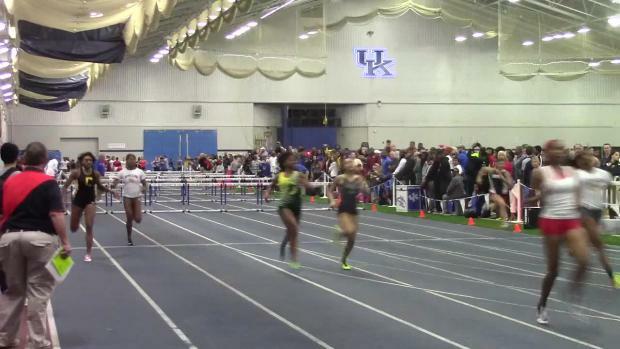 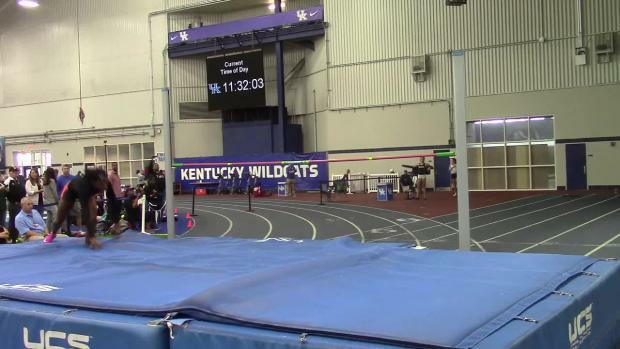 Two national champions clash at University of Kentucky! 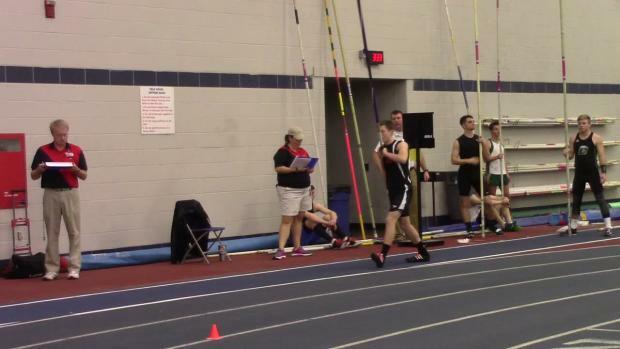 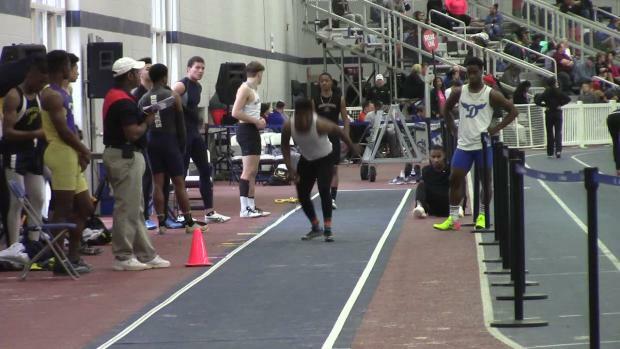 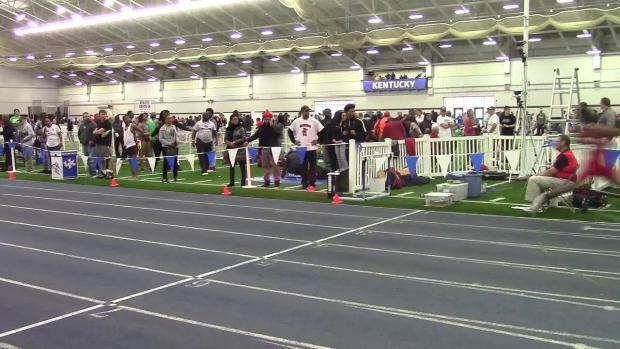 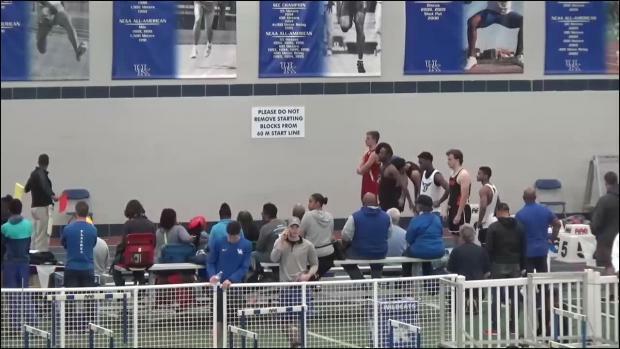 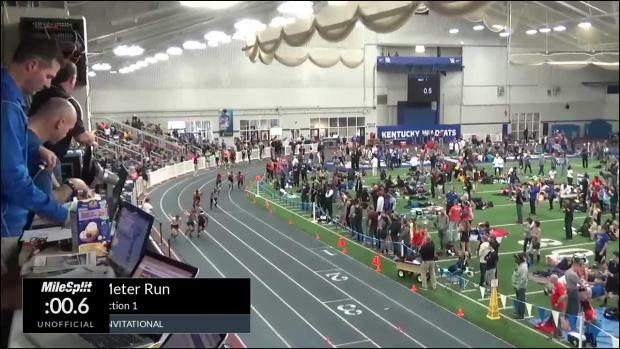 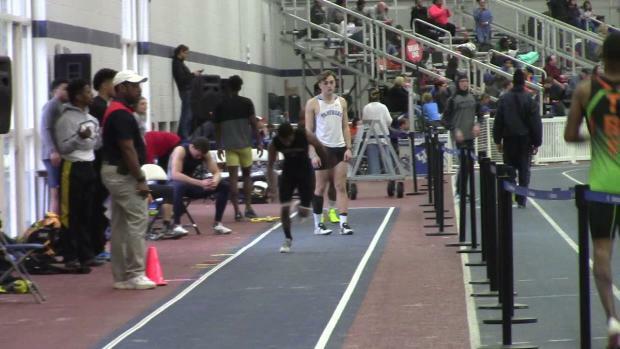 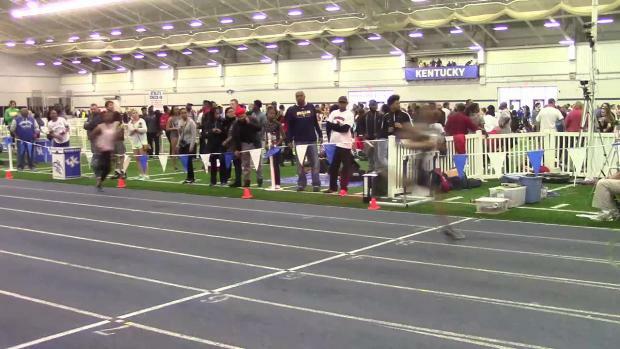 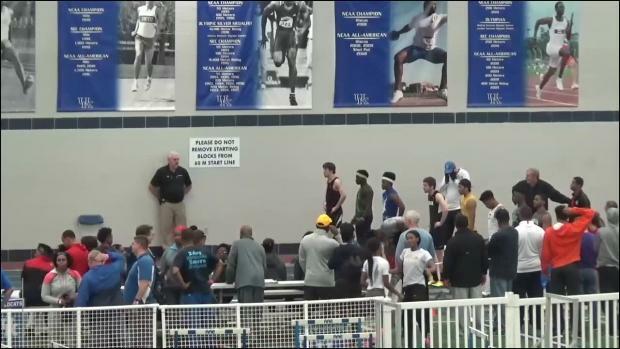 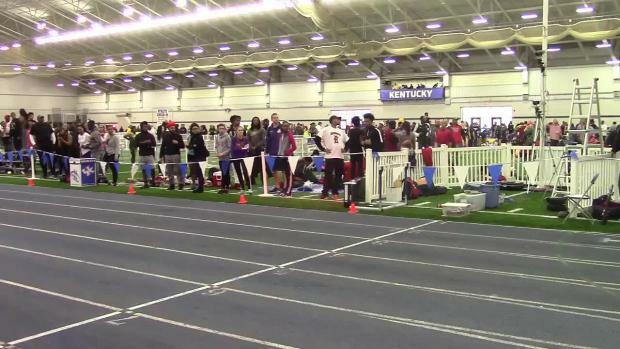 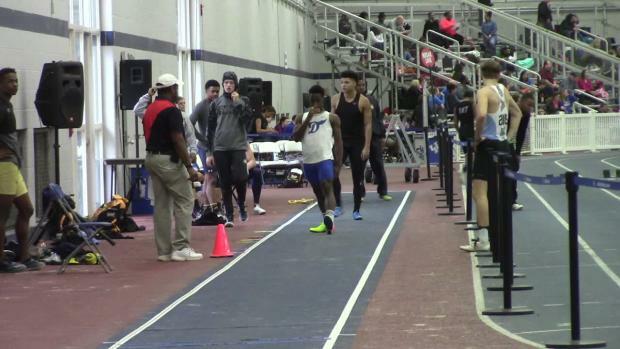 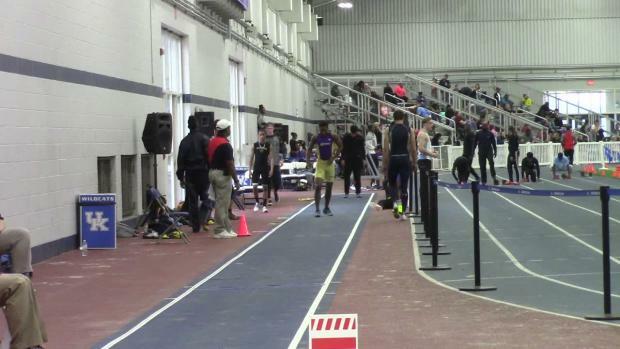 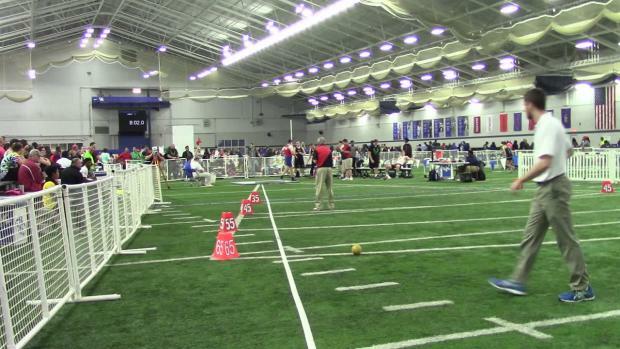 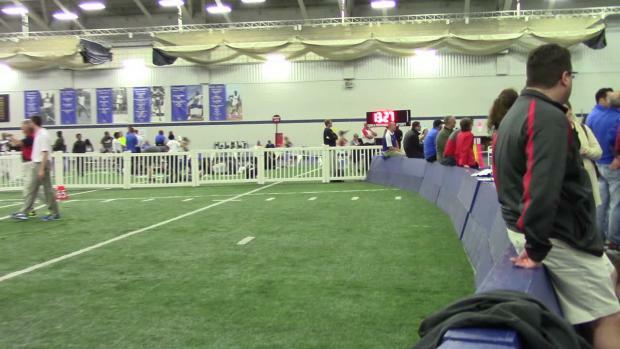 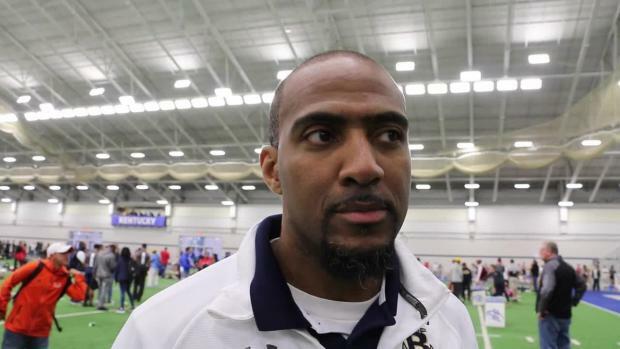 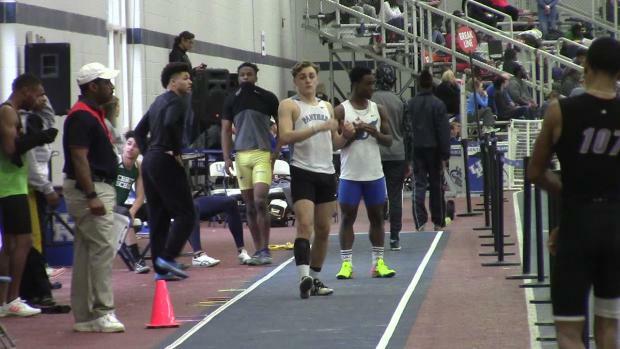 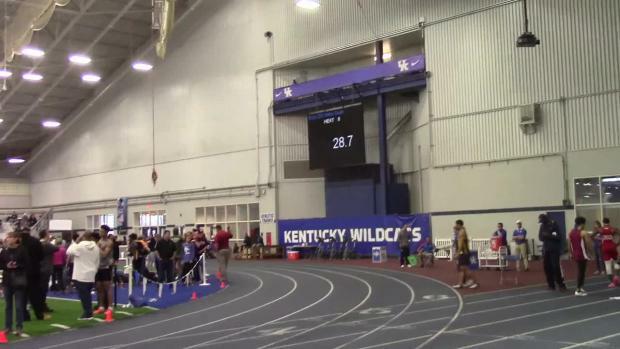 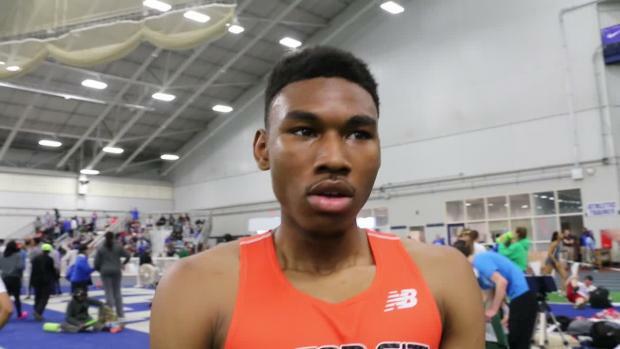 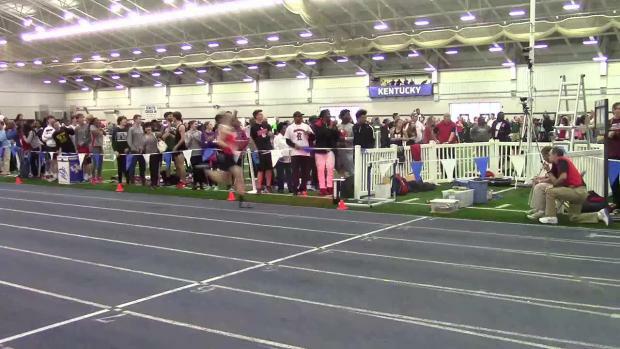 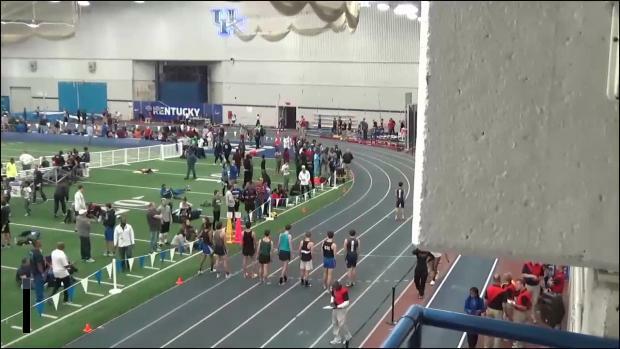 Check out the top 25 boys performances all-time in the MileSplit database from the University of Kentucky High School Invitational. 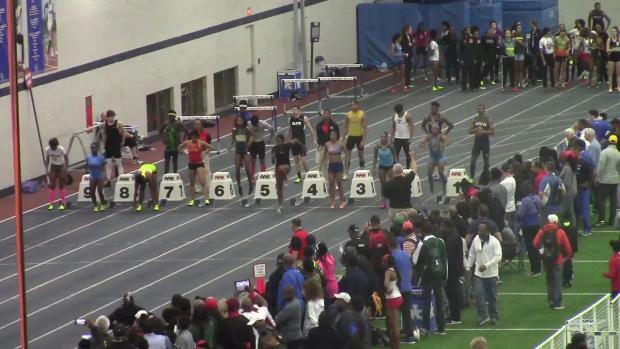 The list of accepted entries is HERE! 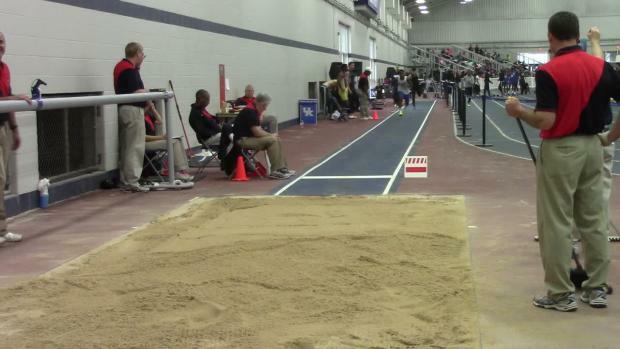 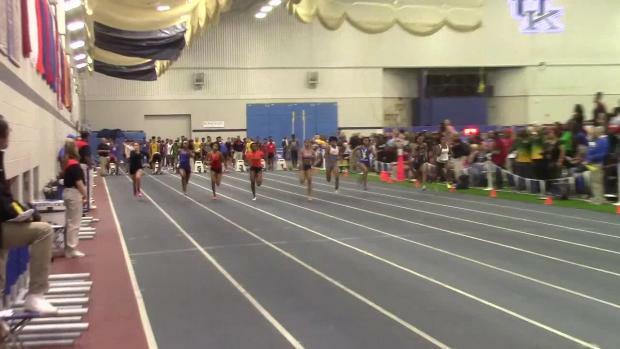 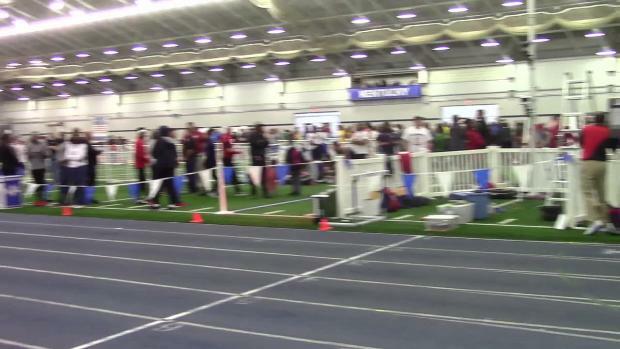 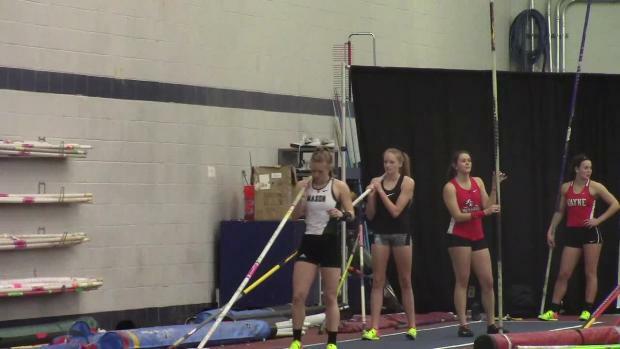 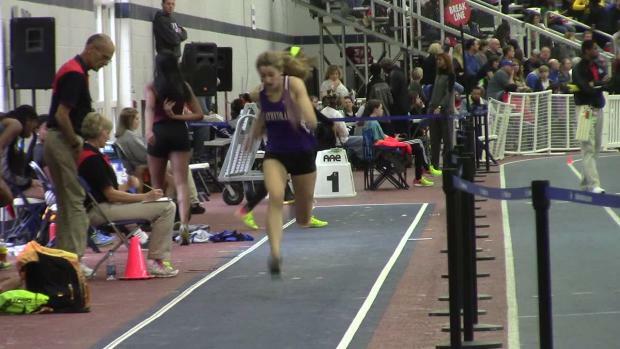 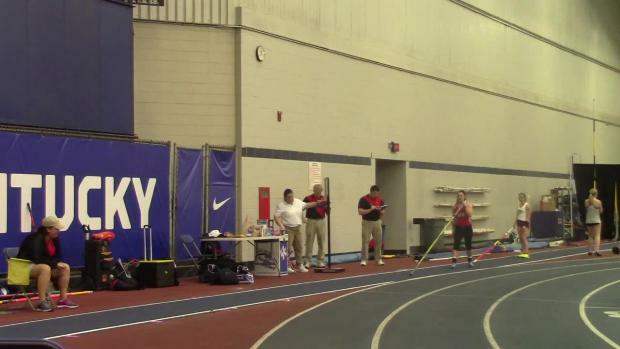 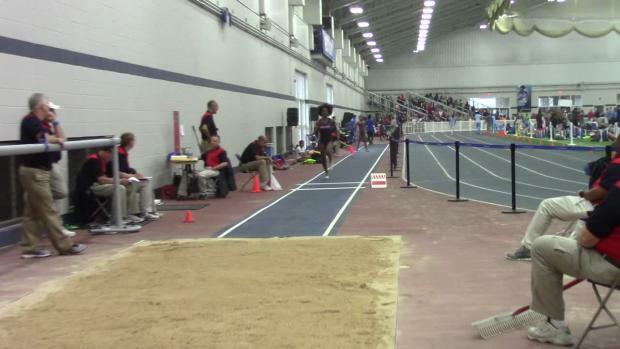 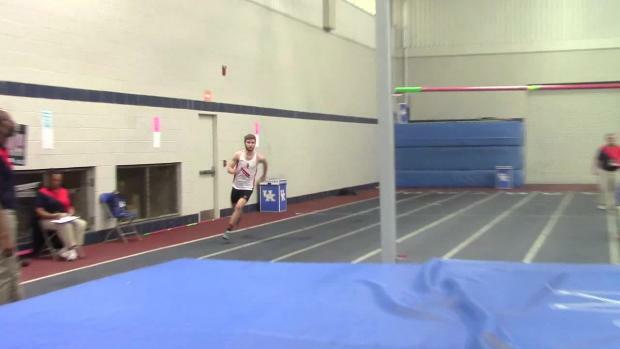 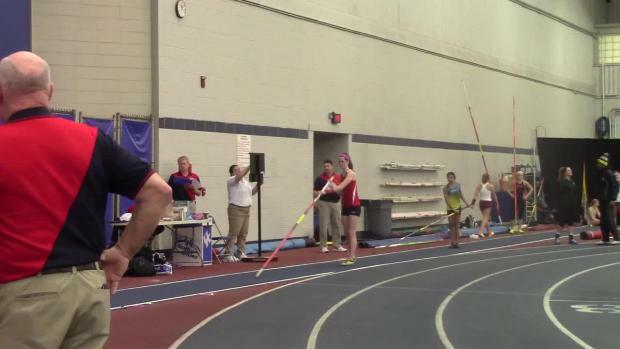 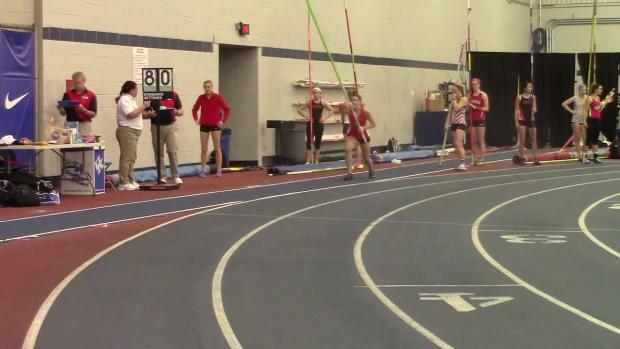 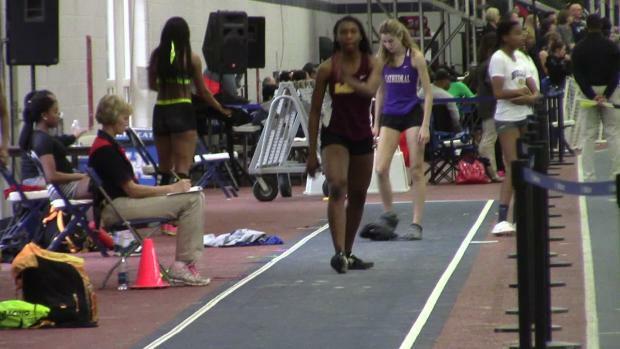 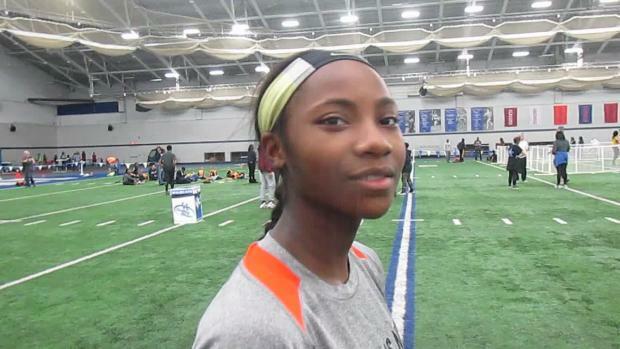 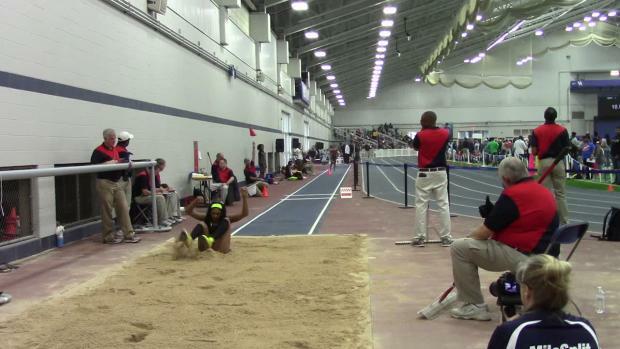 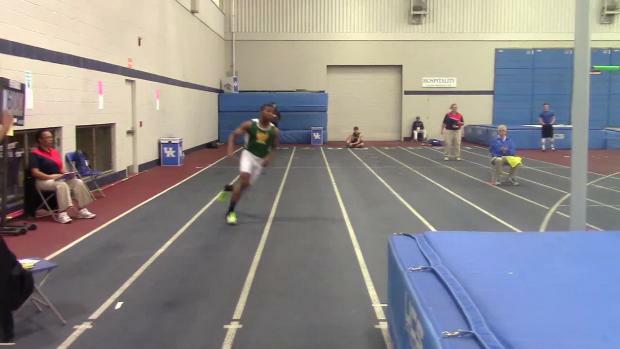 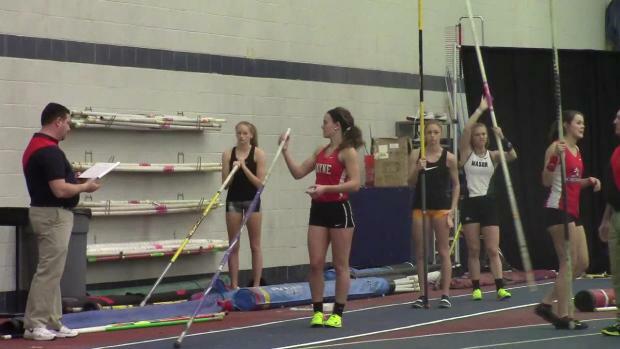 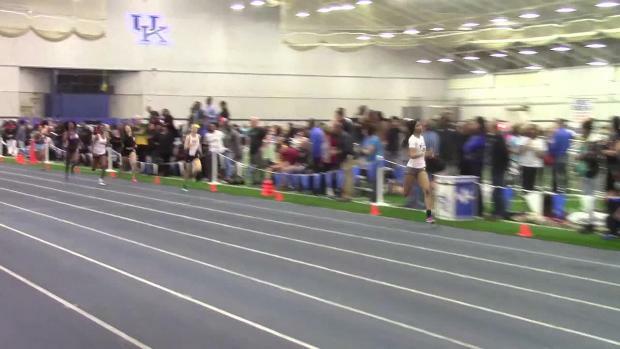 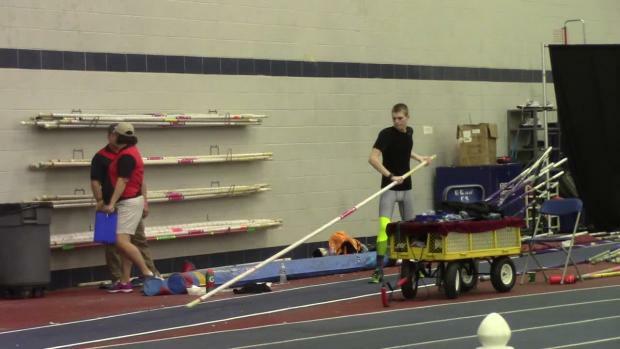 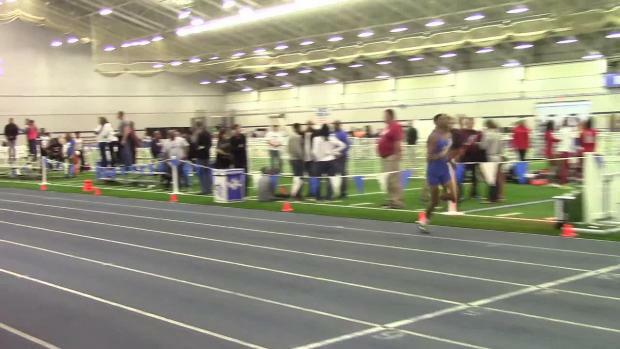 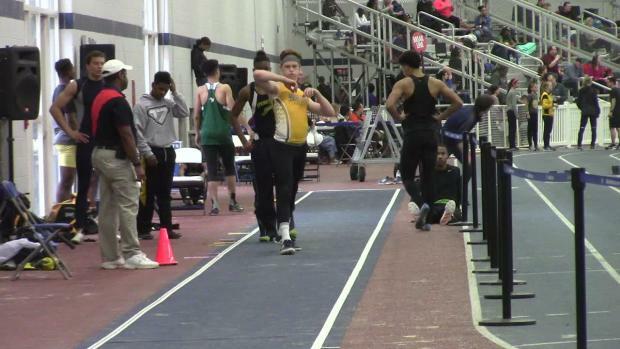 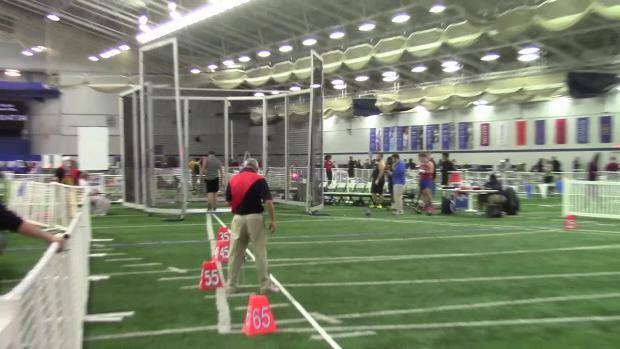 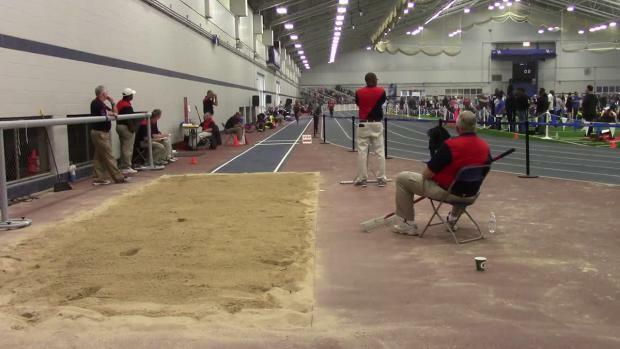 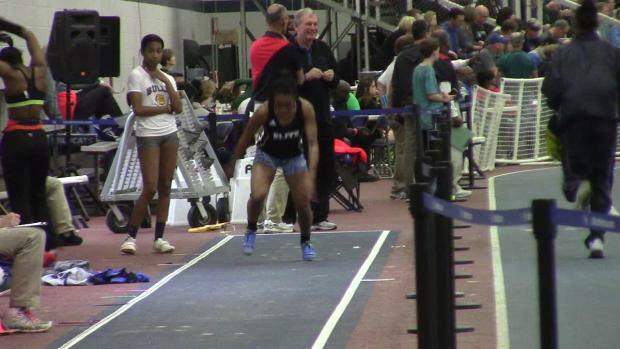 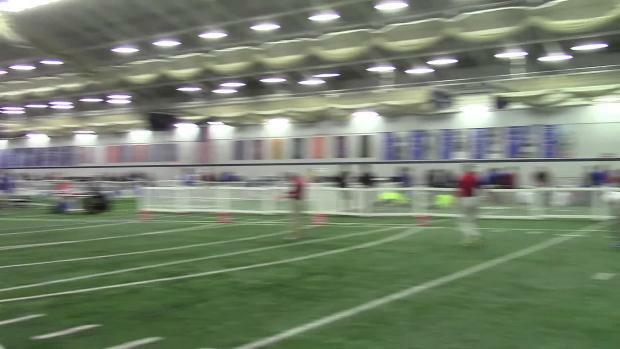 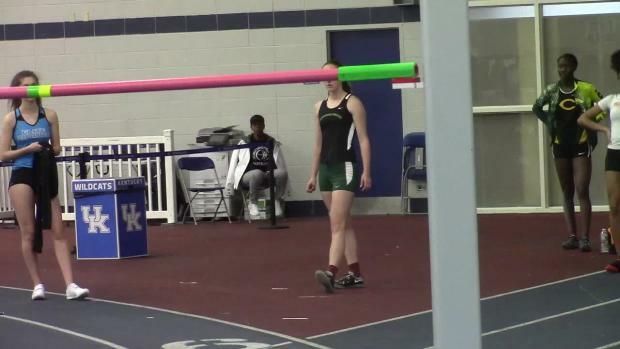 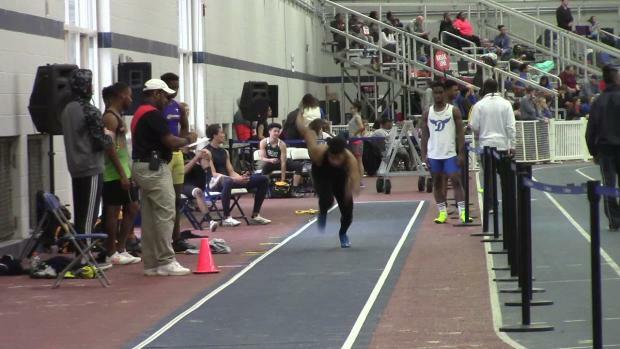 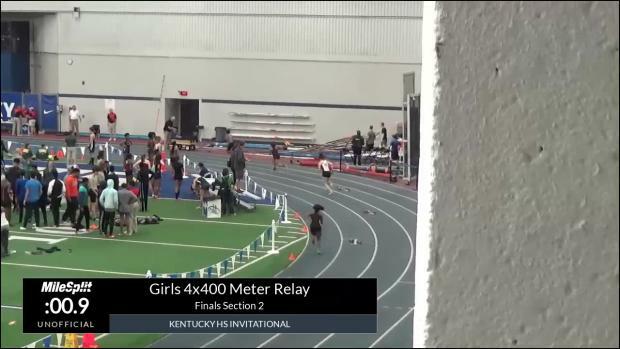 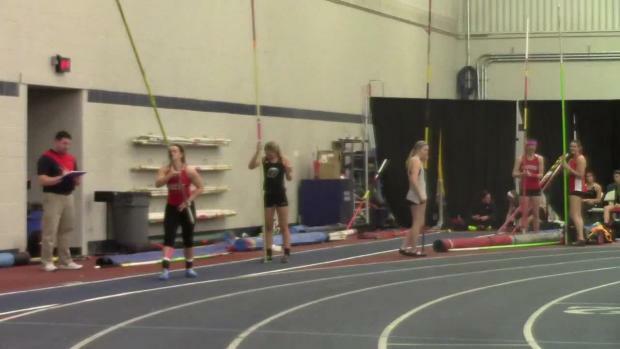 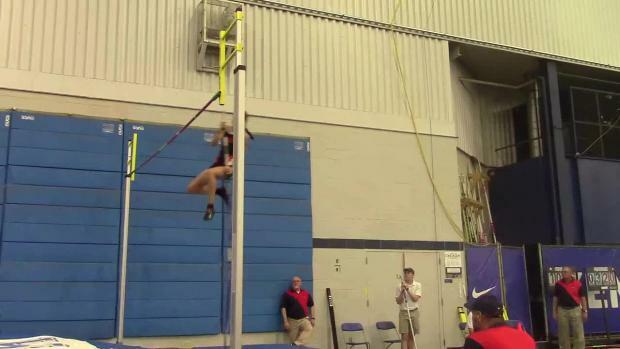 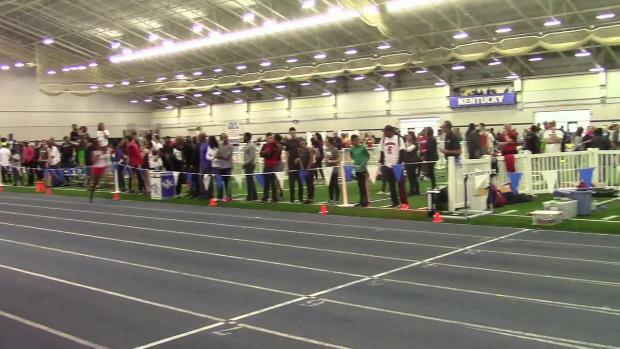 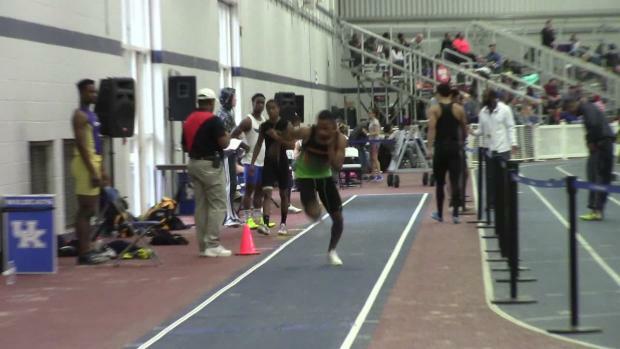 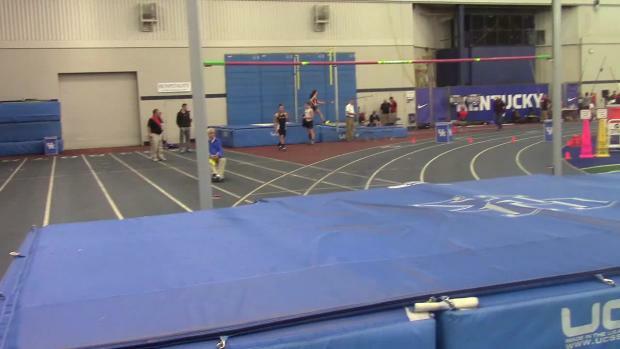 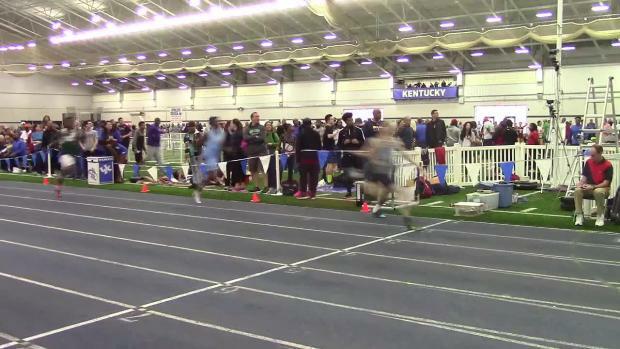 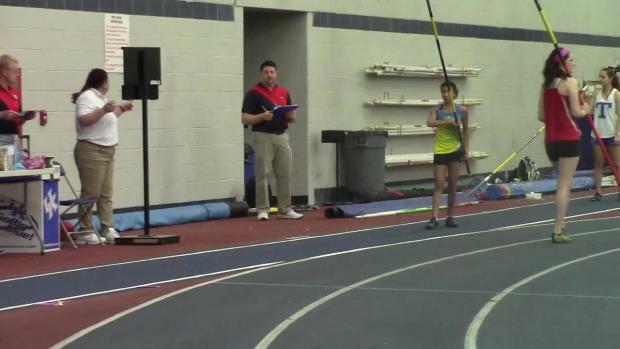 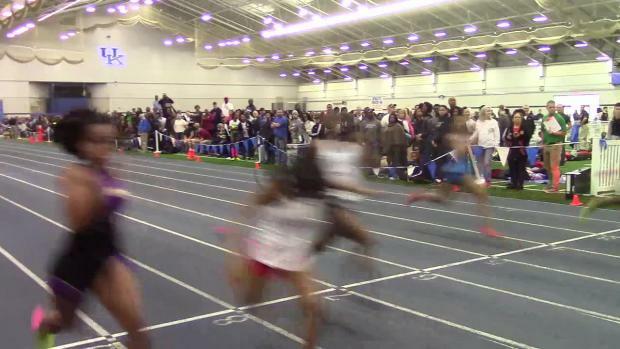 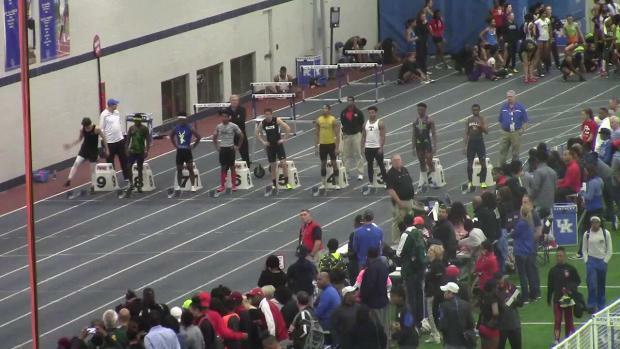 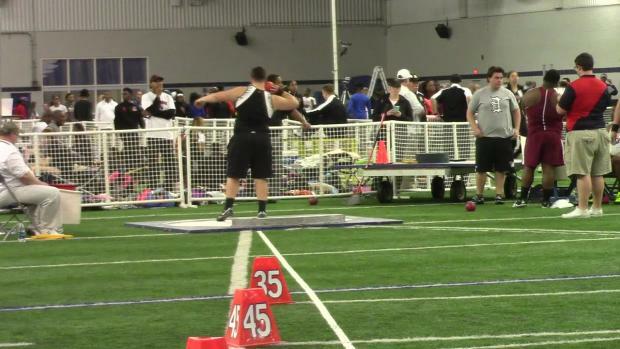 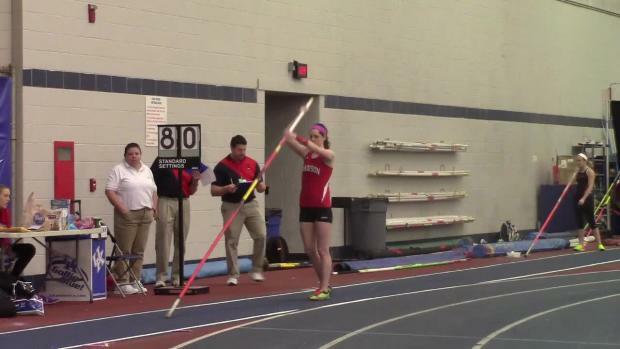 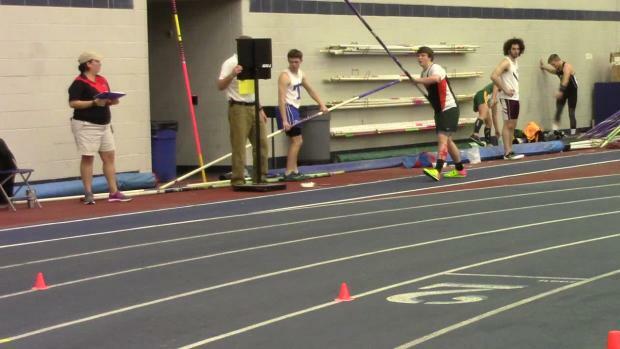 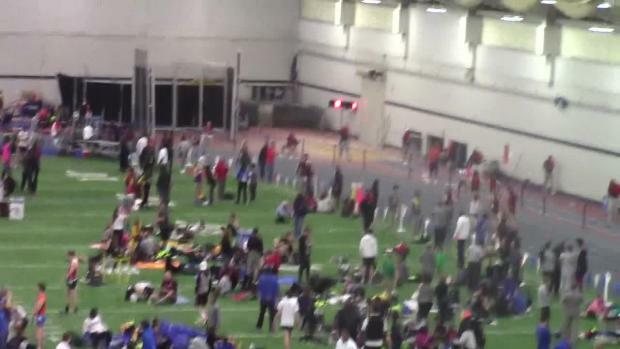 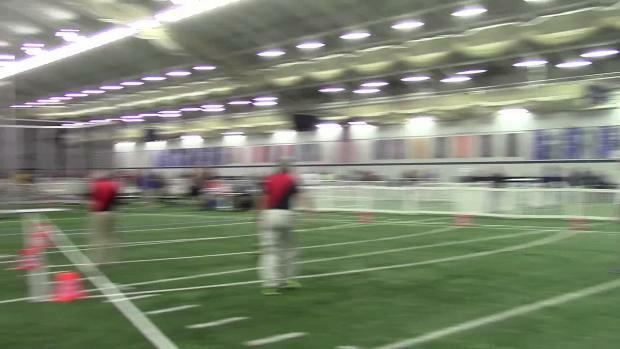 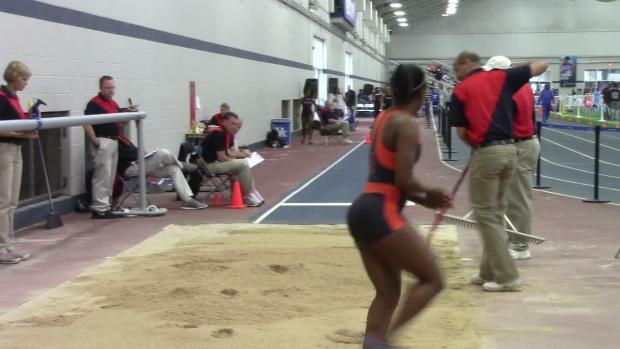 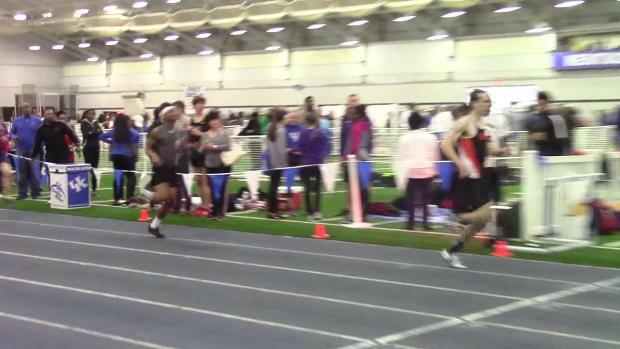 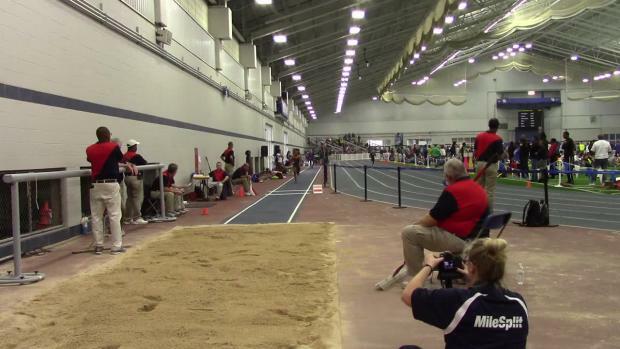 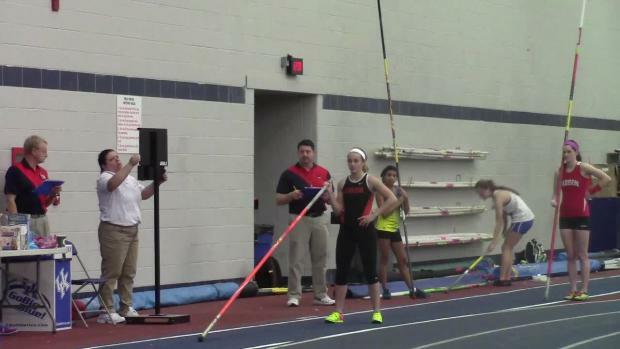 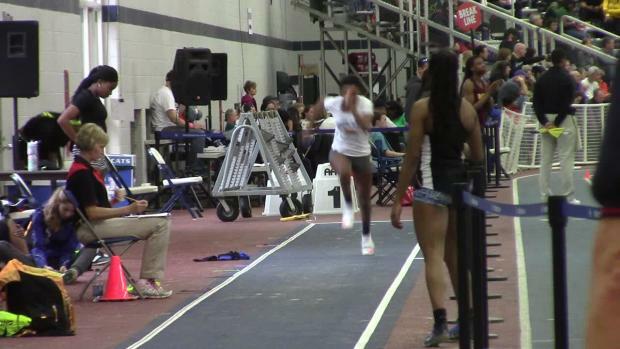 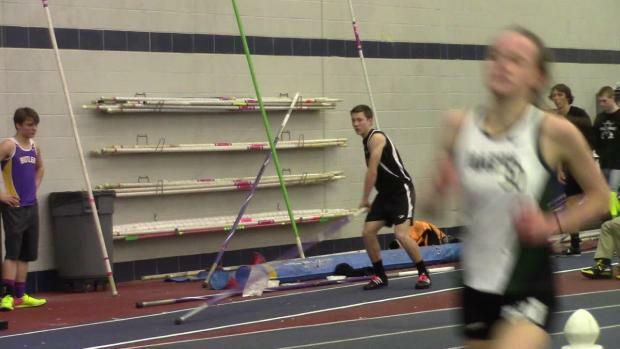 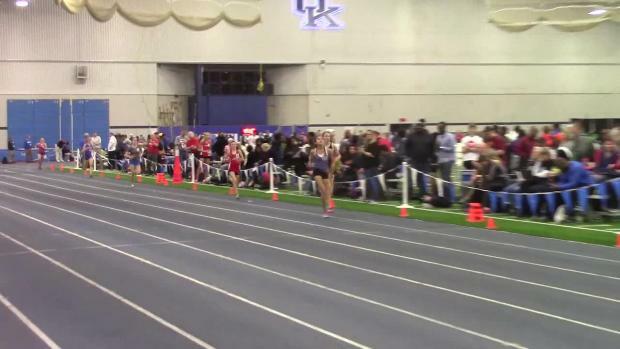 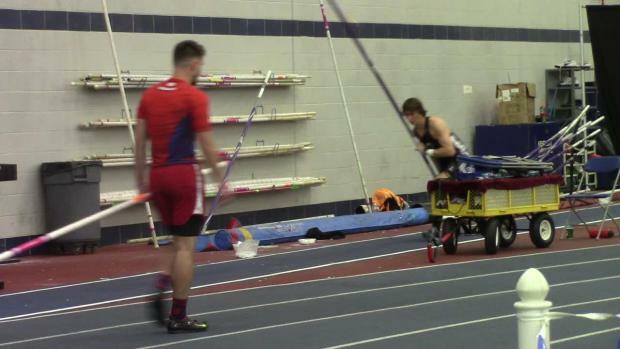 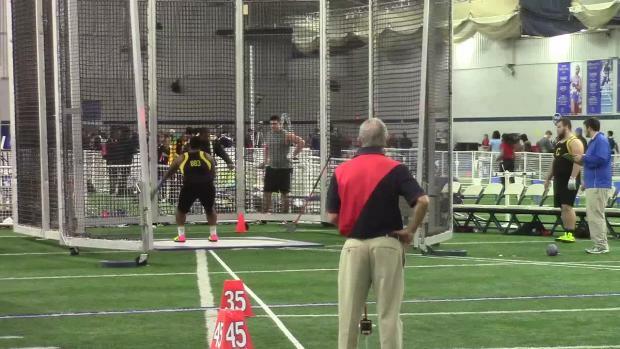 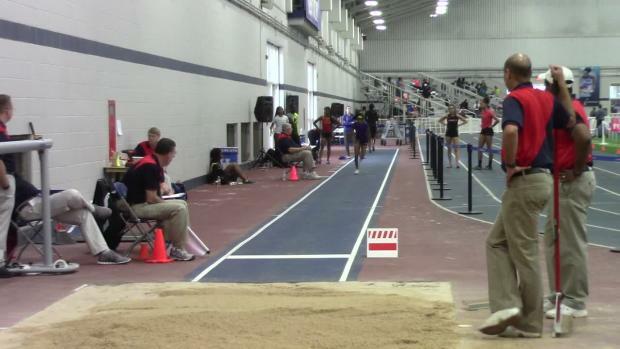 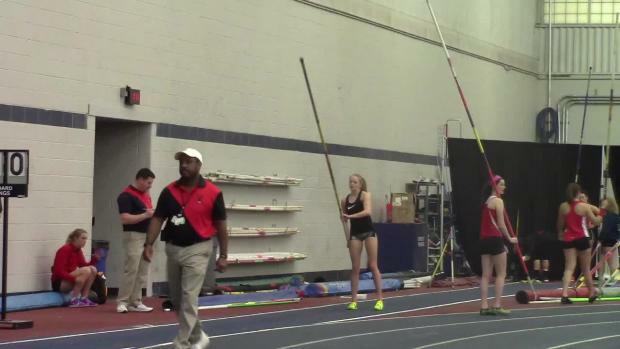 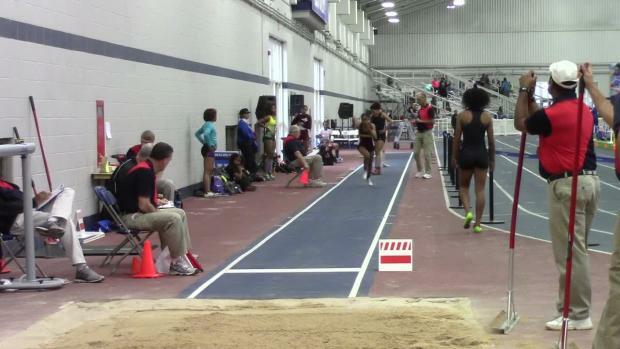 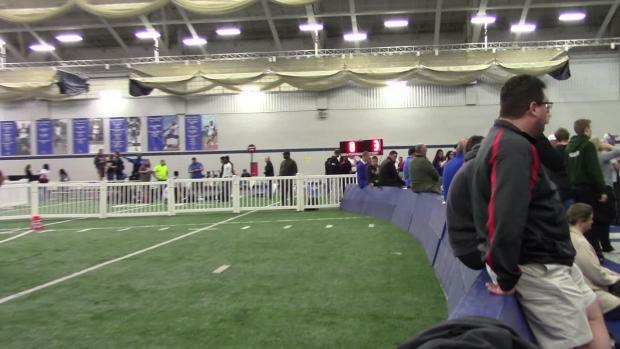 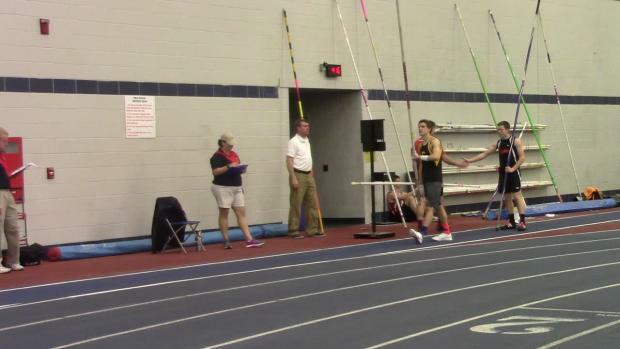 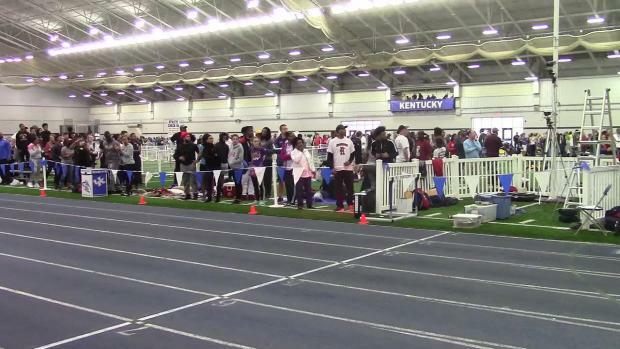 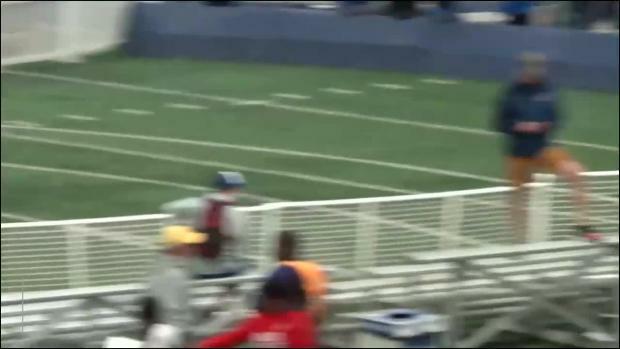 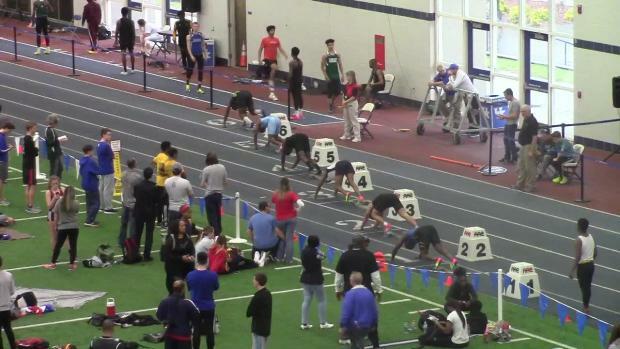 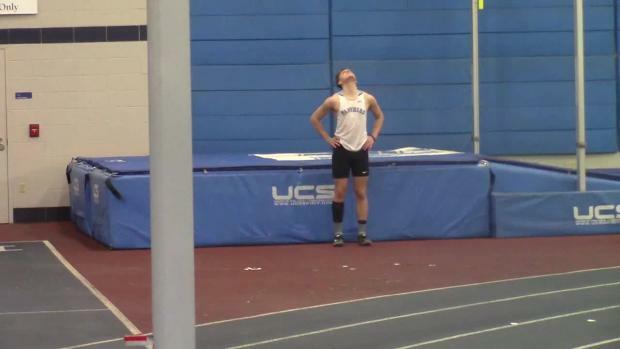 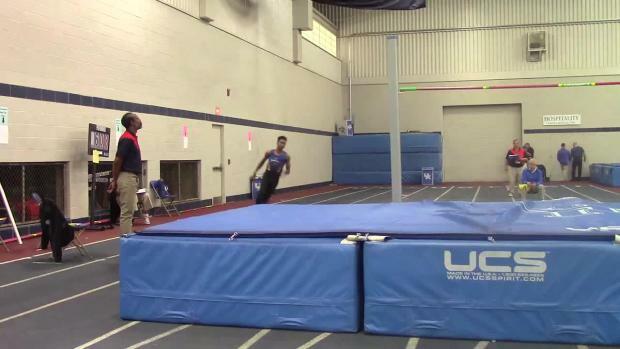 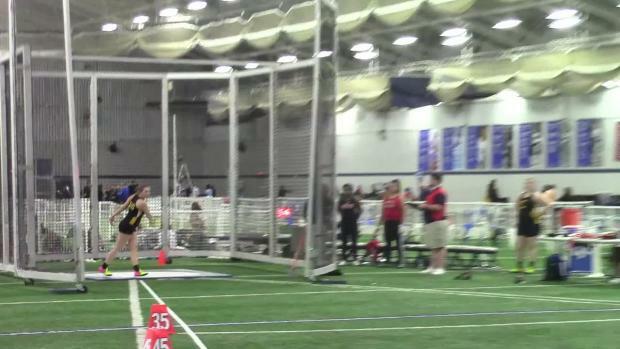 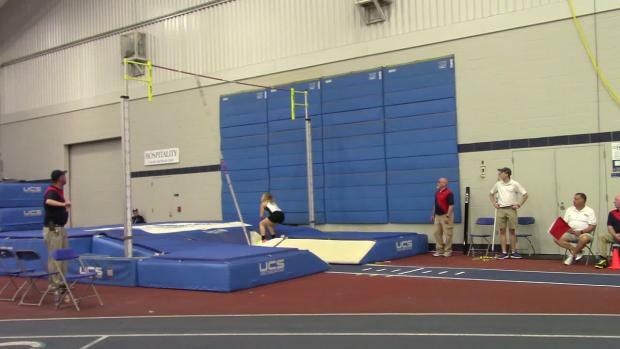 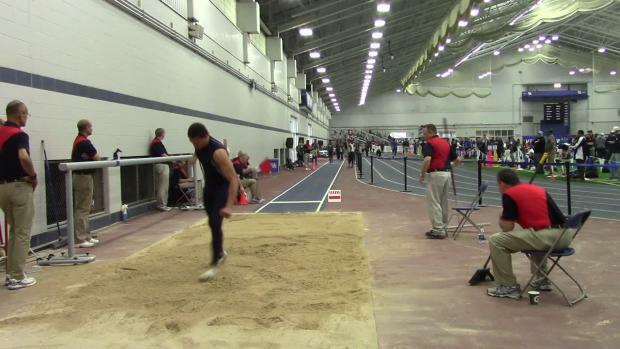 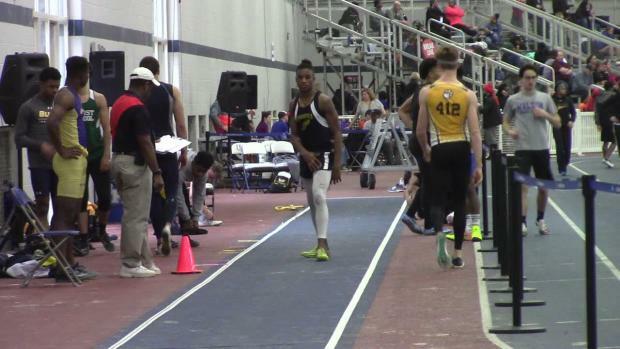 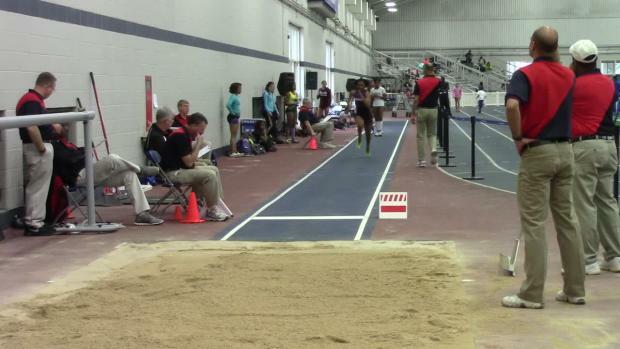 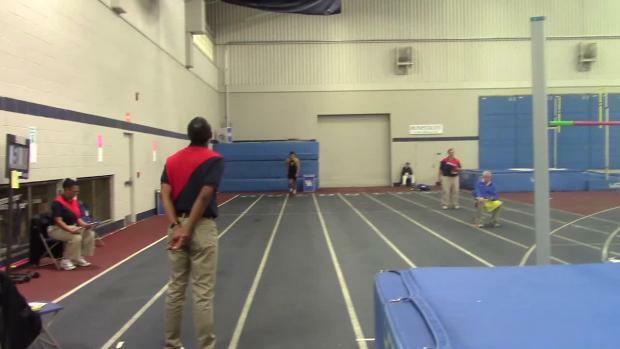 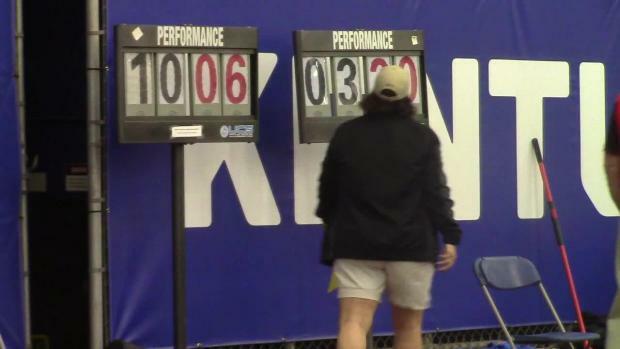 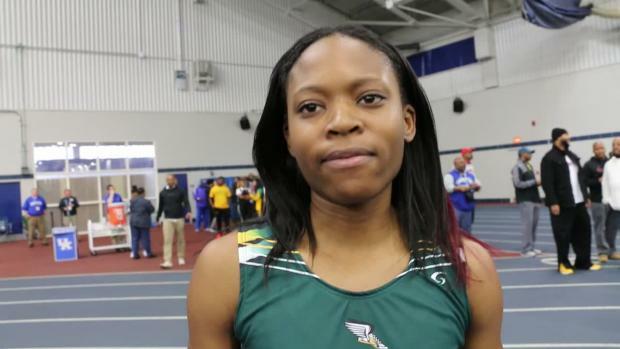 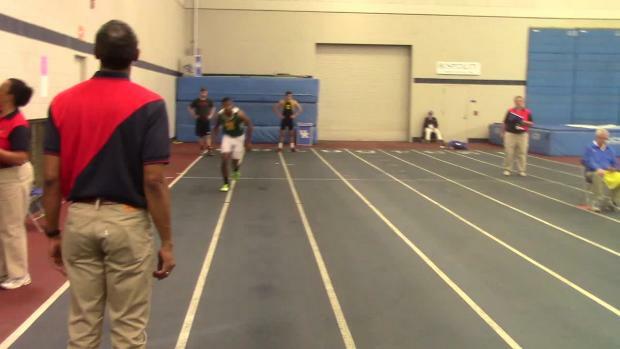 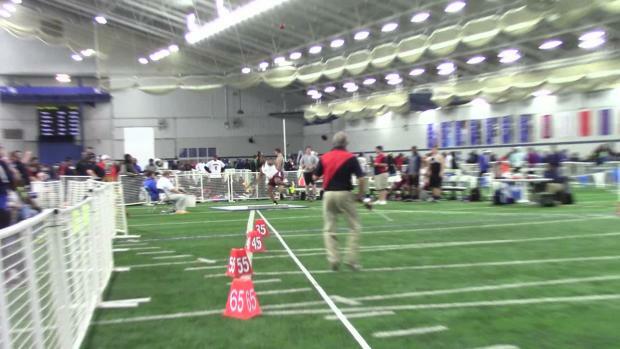 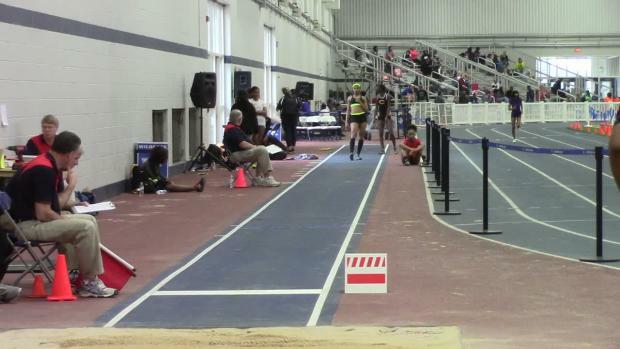 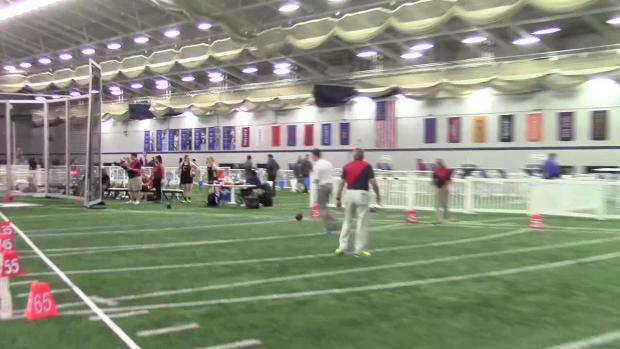 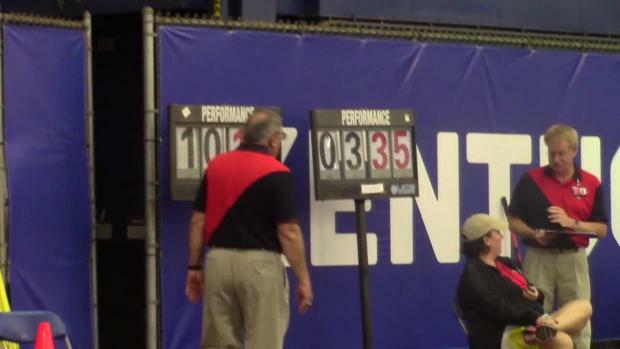 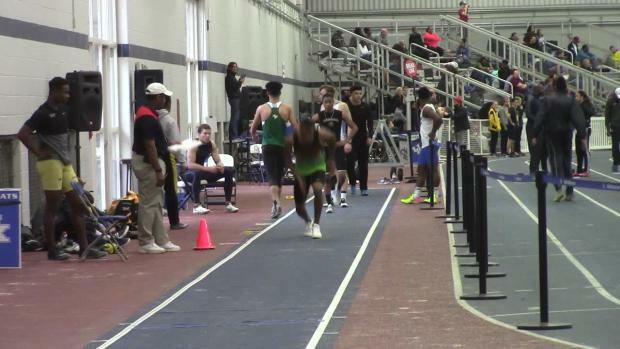 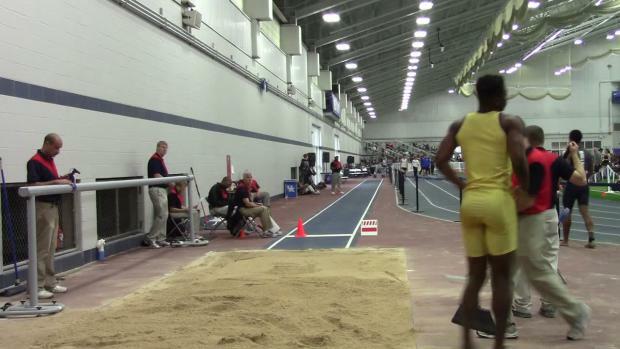 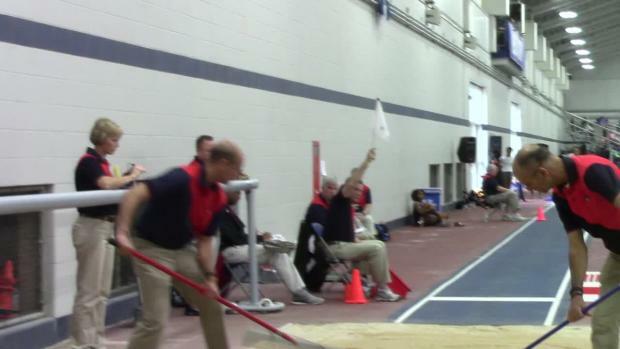 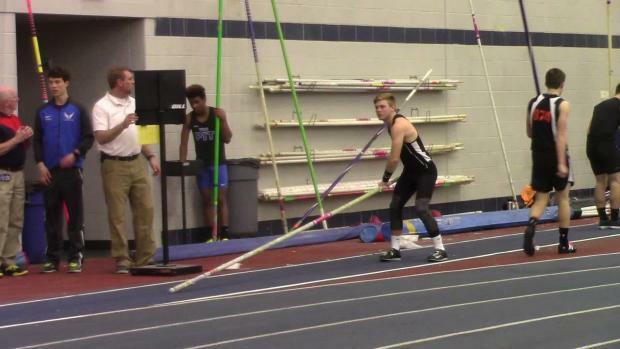 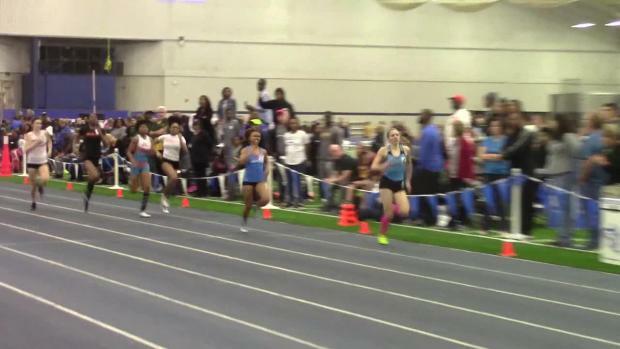 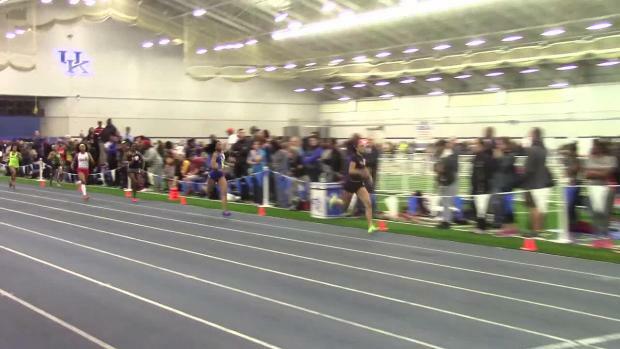 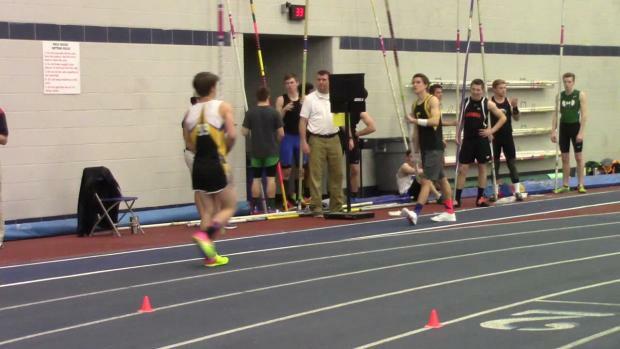 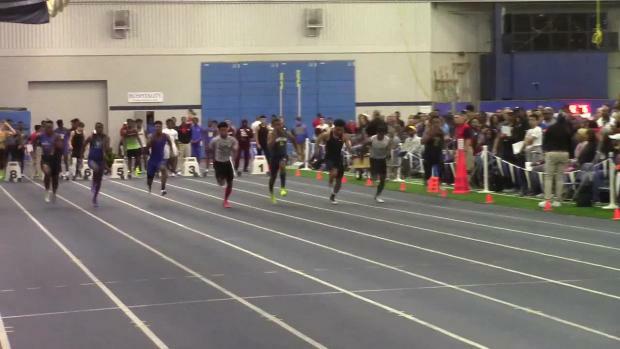 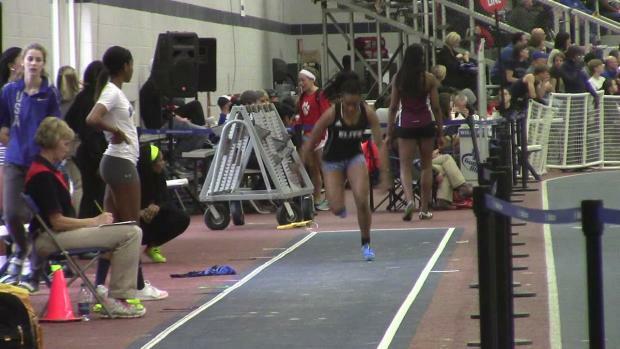 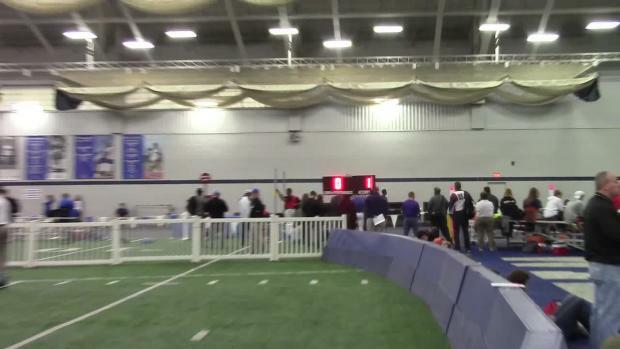 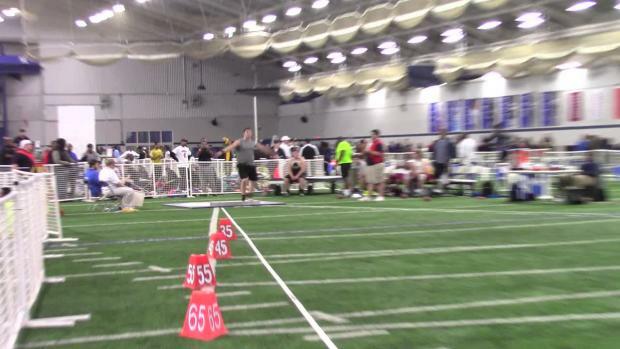 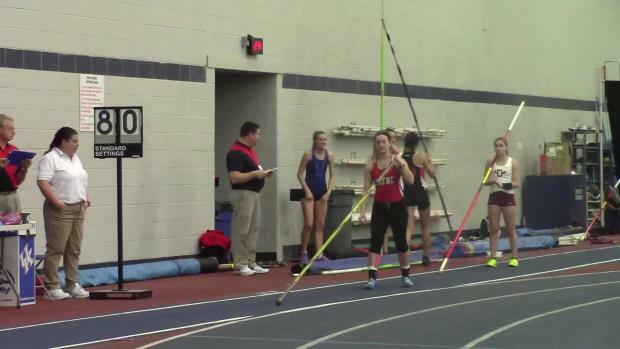 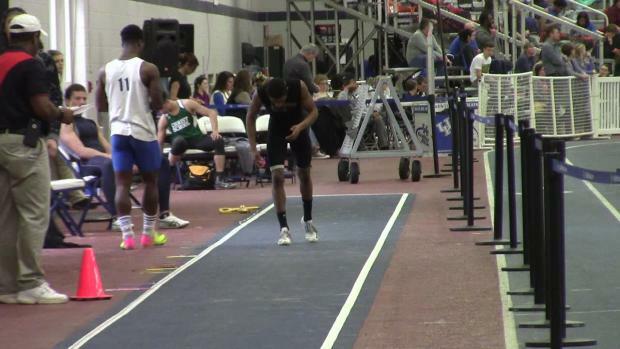 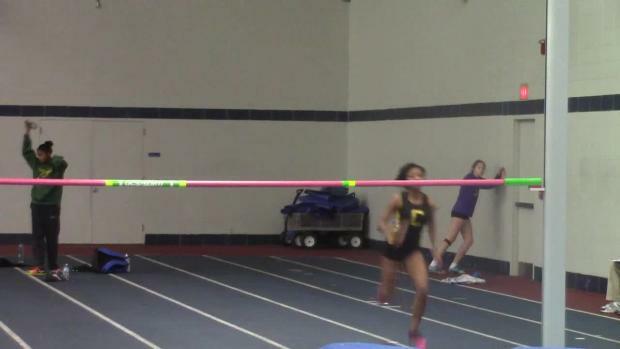 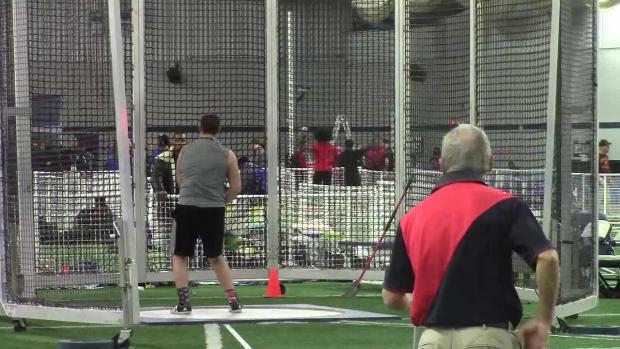 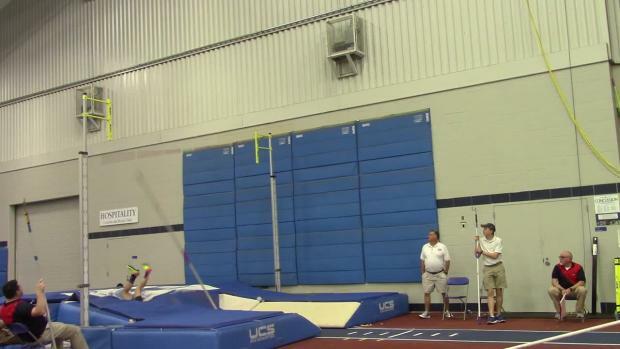 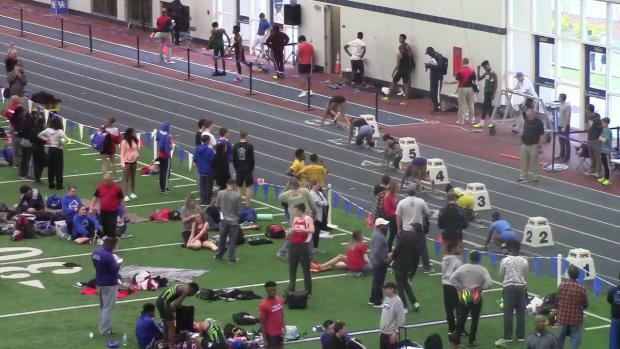 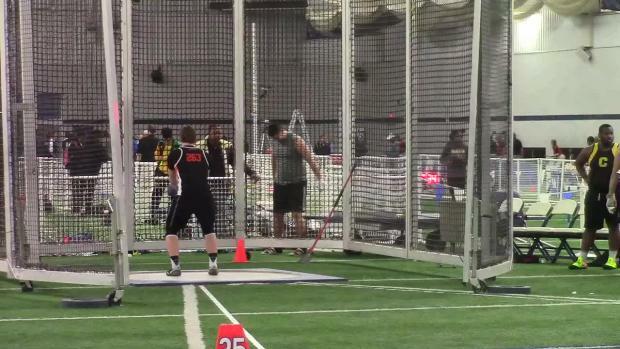 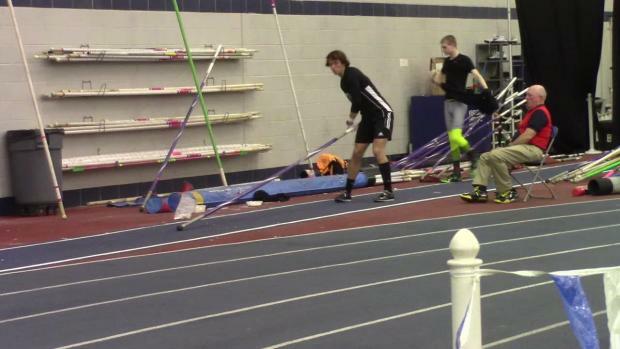 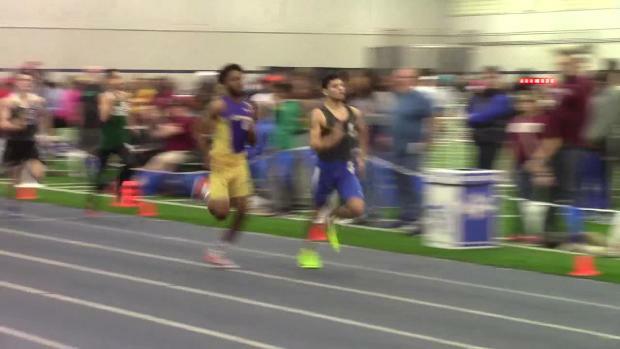 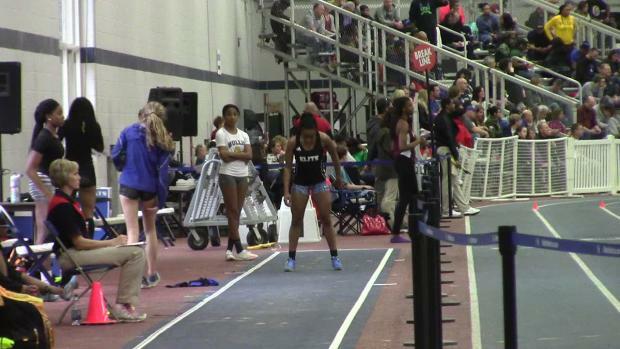 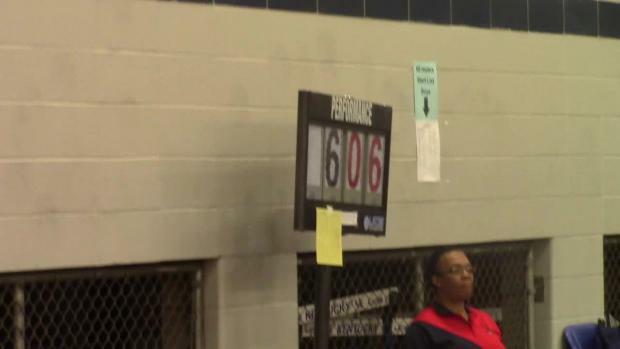 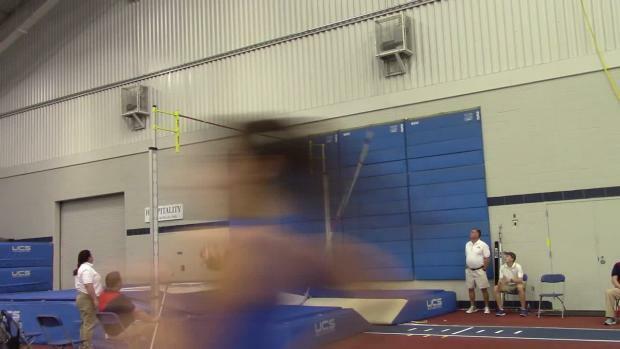 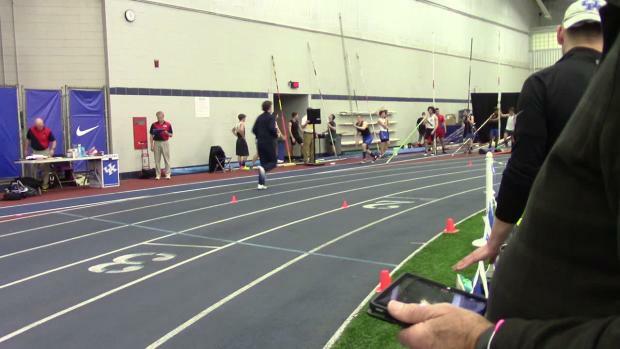 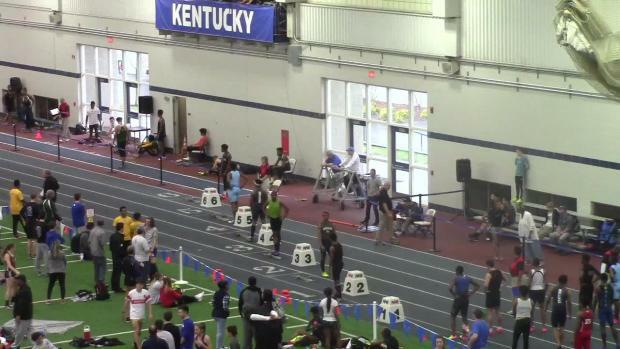 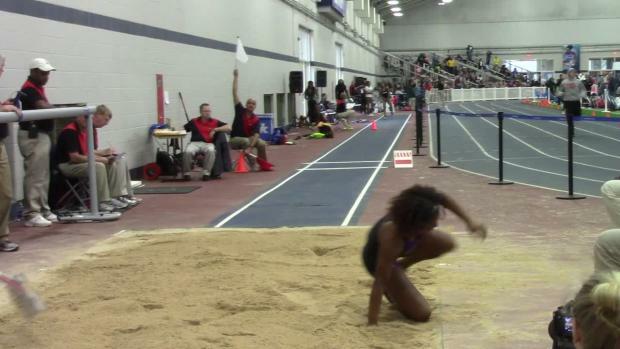 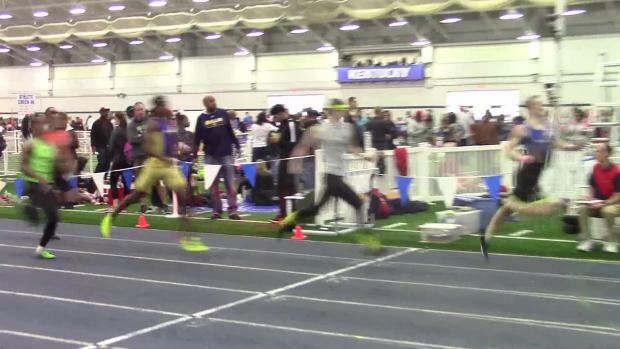 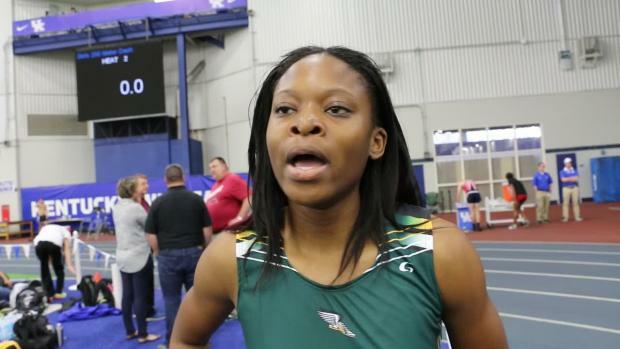 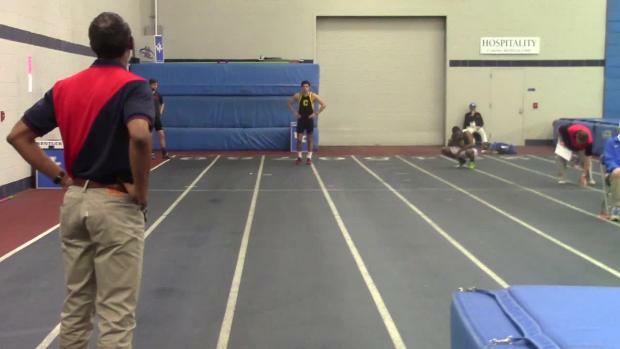 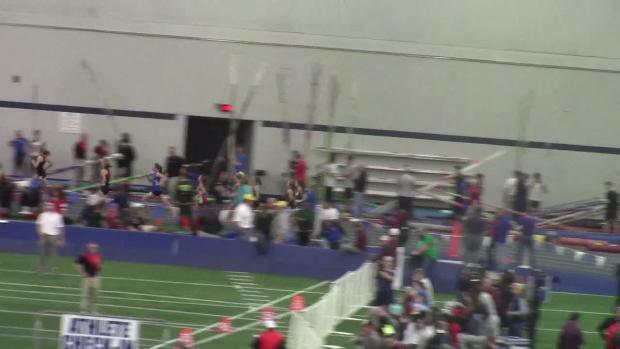 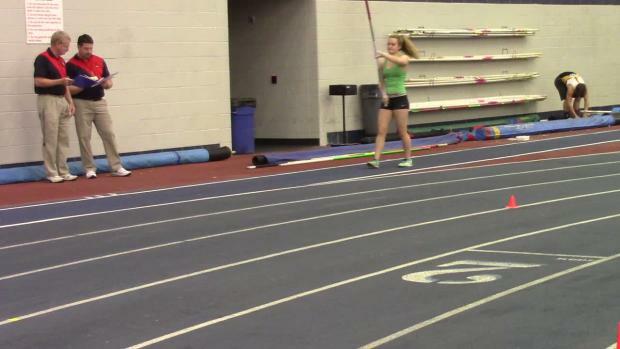 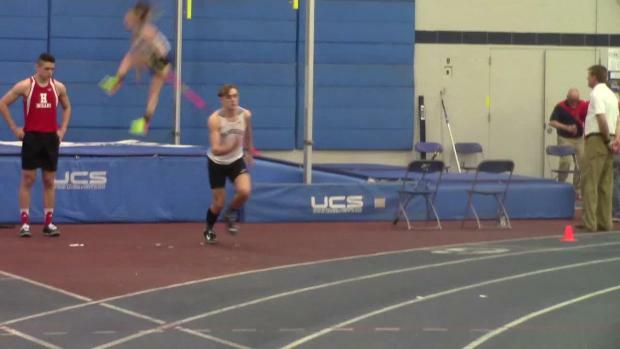 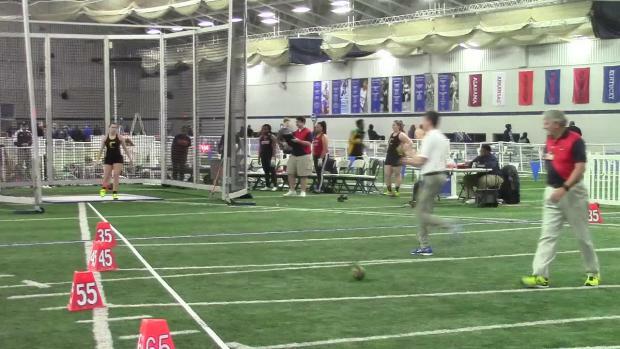 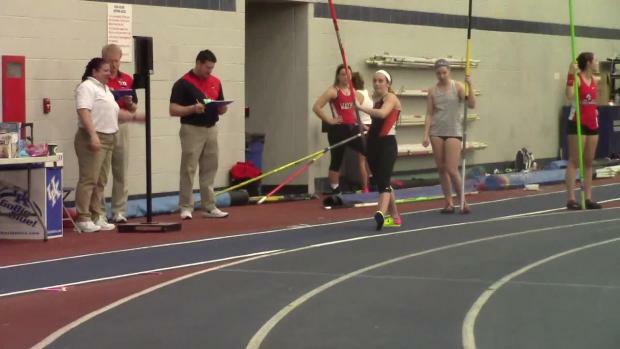 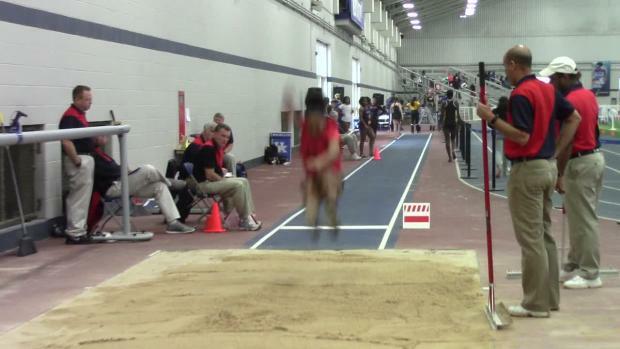 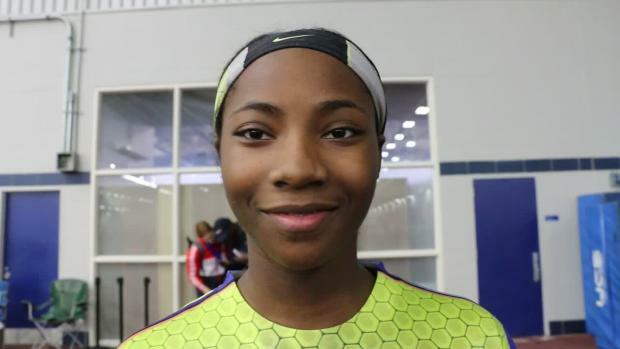 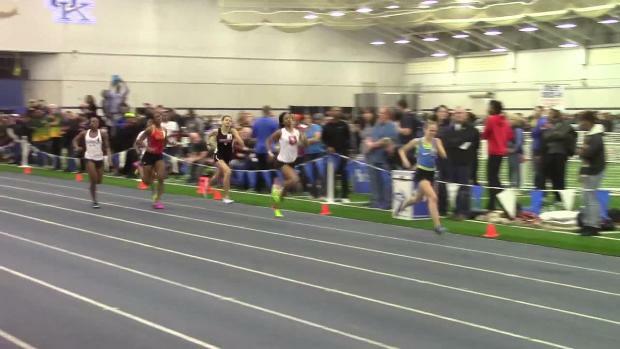 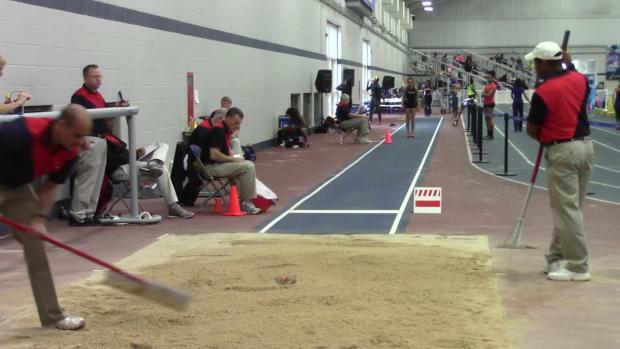 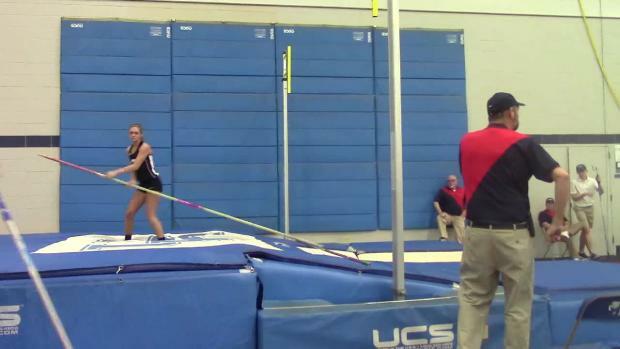 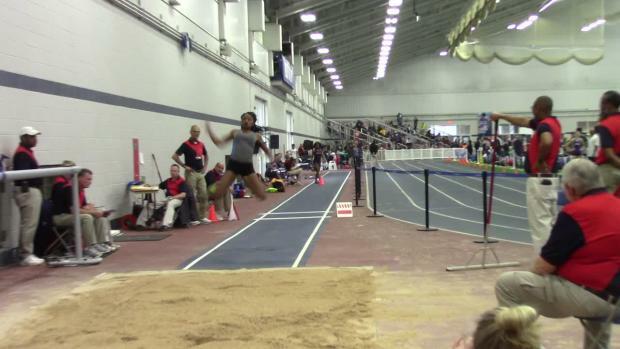 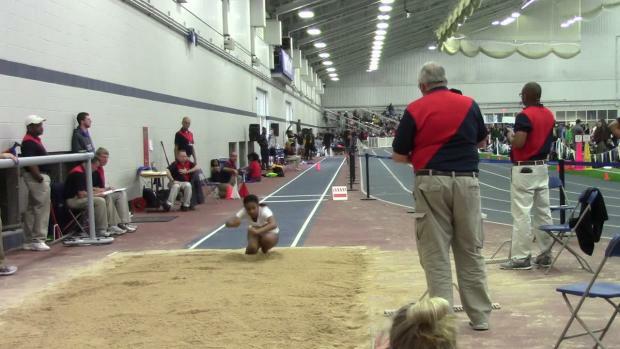 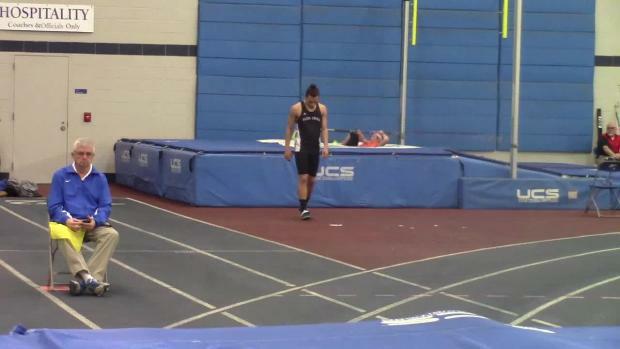 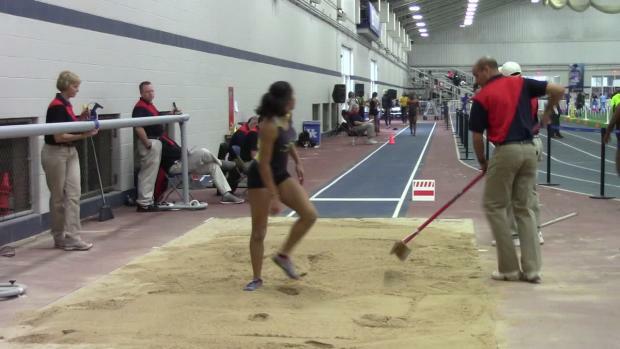 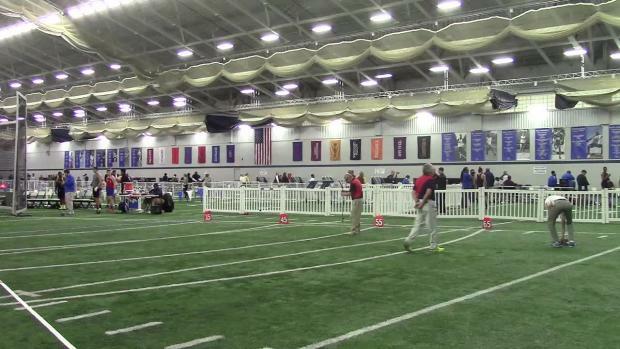 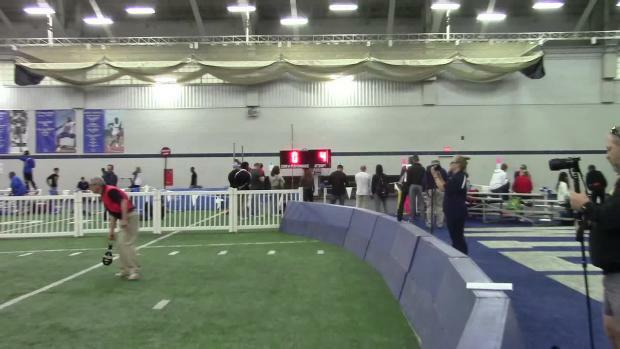 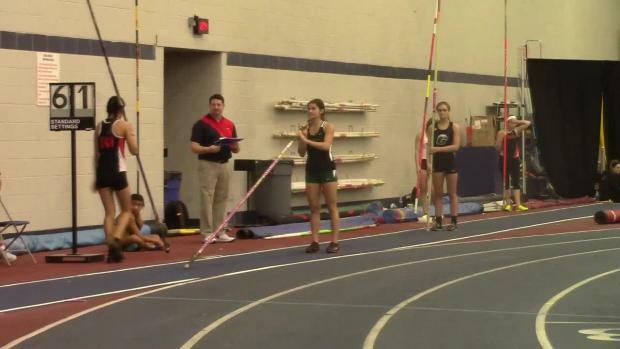 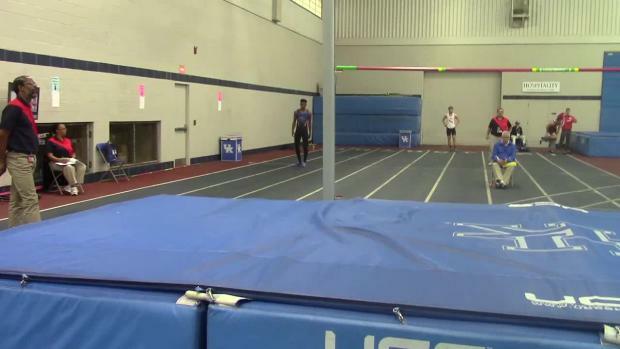 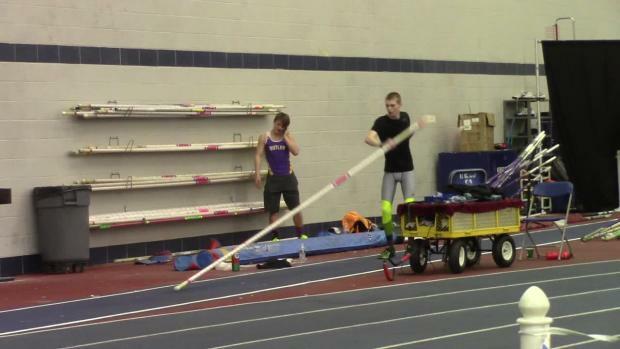 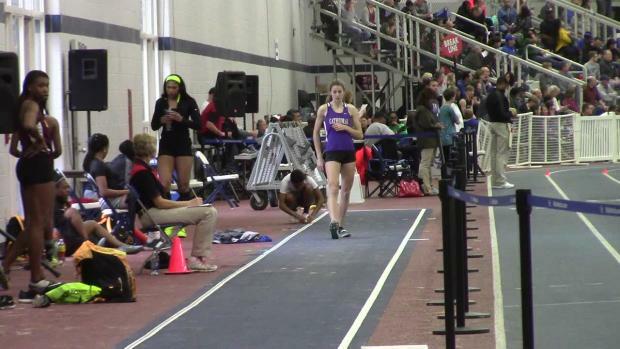 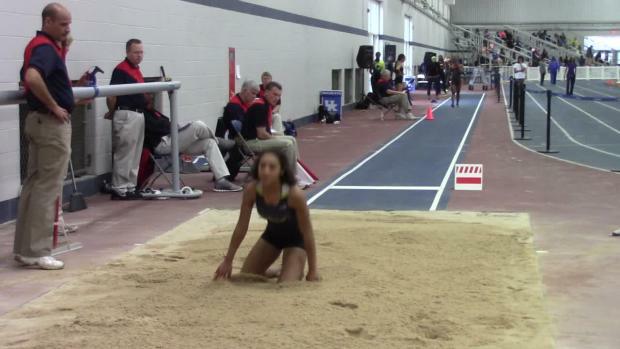 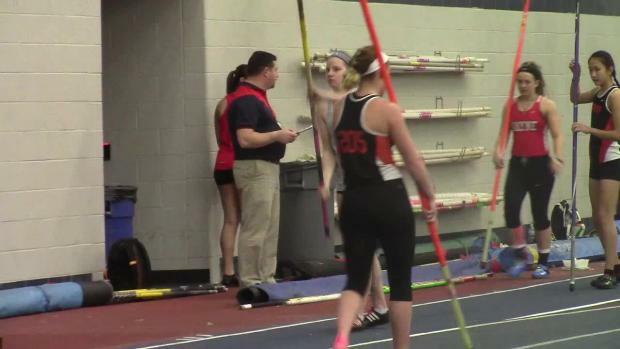 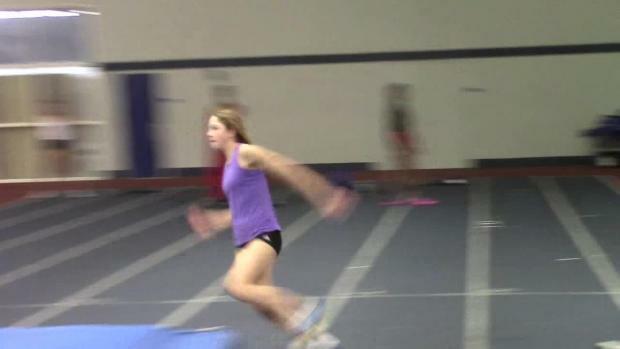 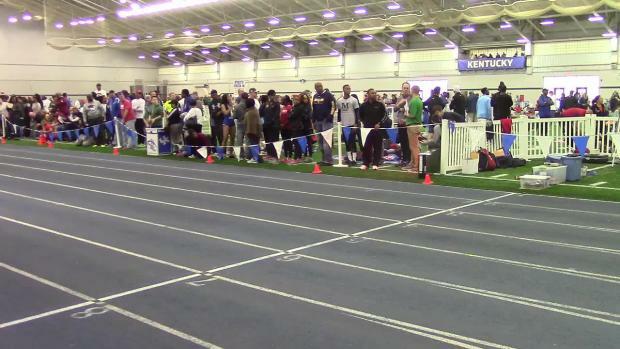 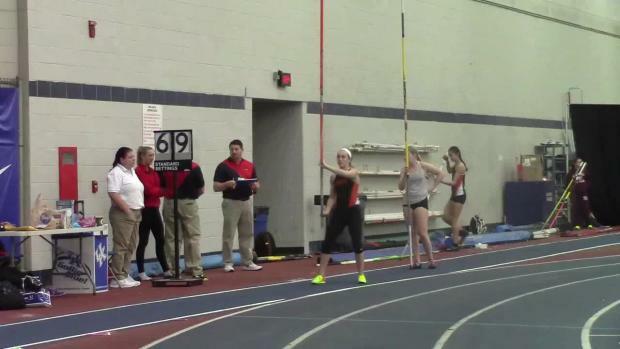 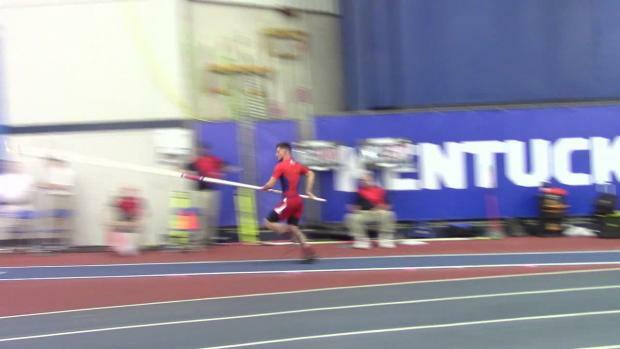 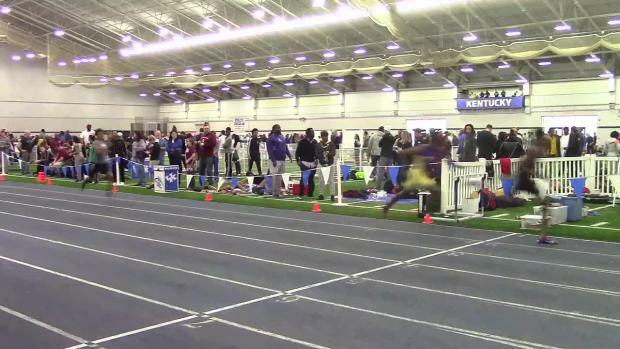 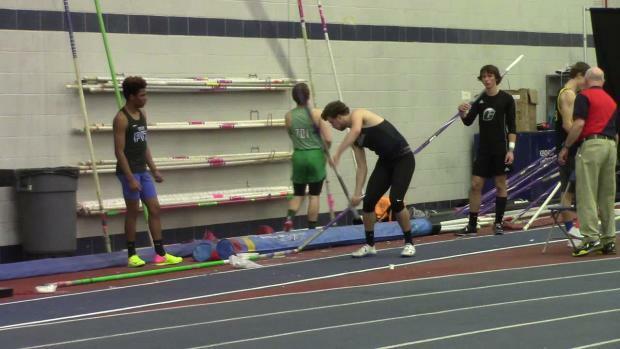 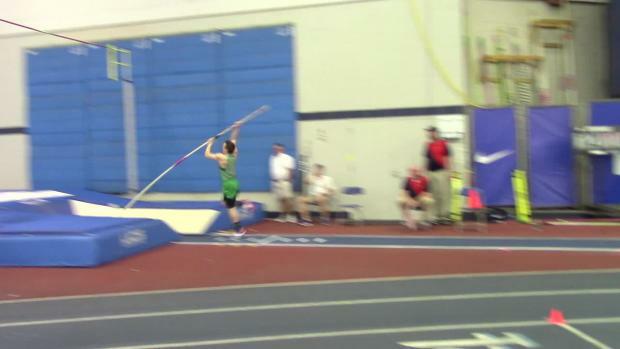 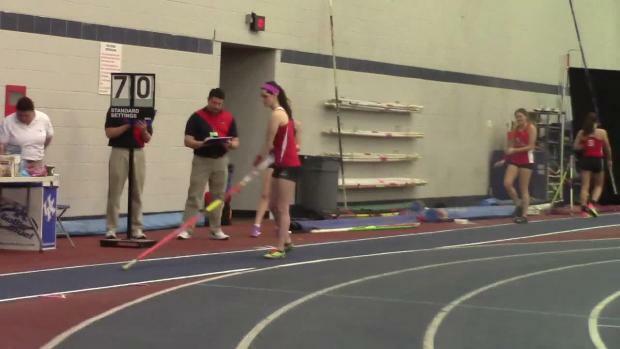 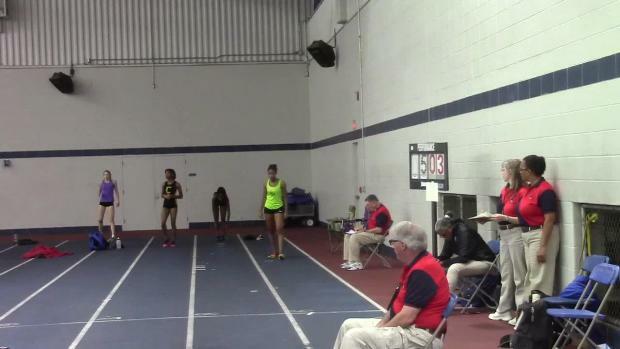 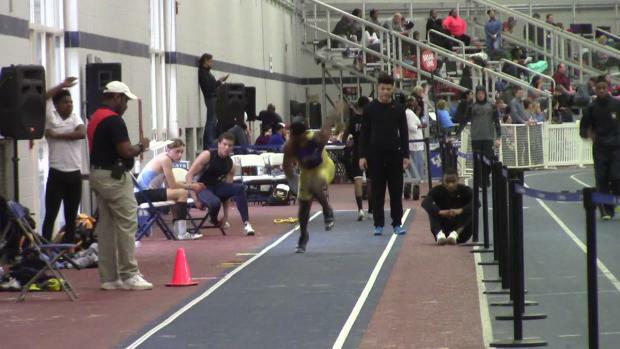 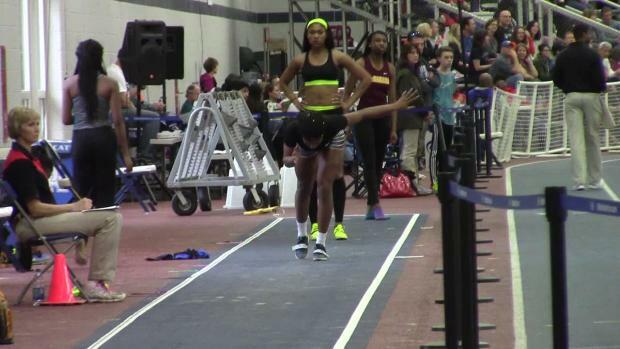 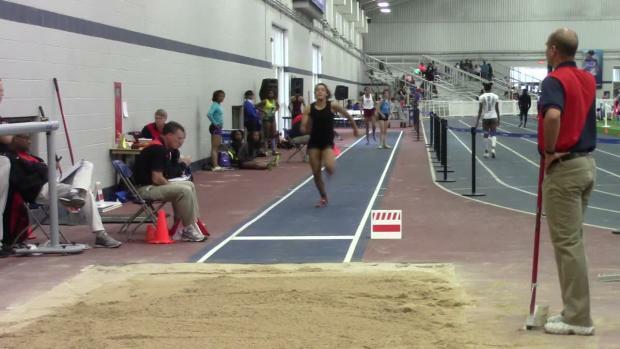 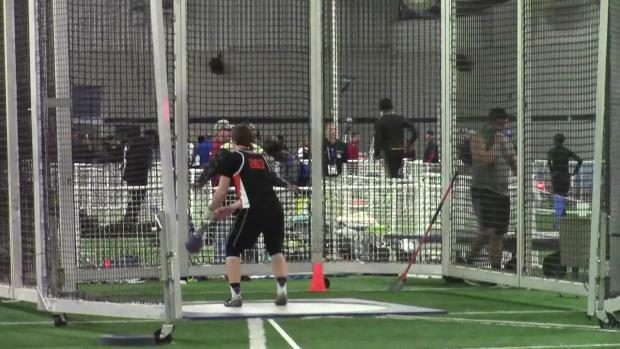 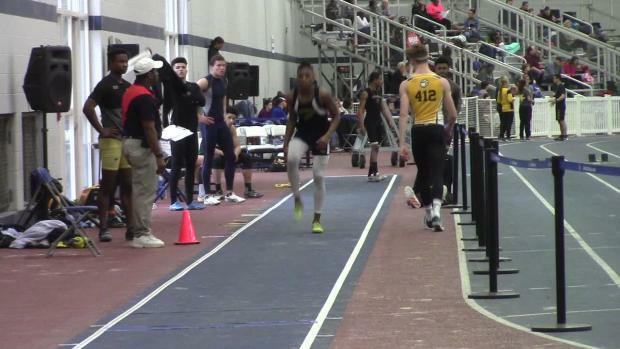 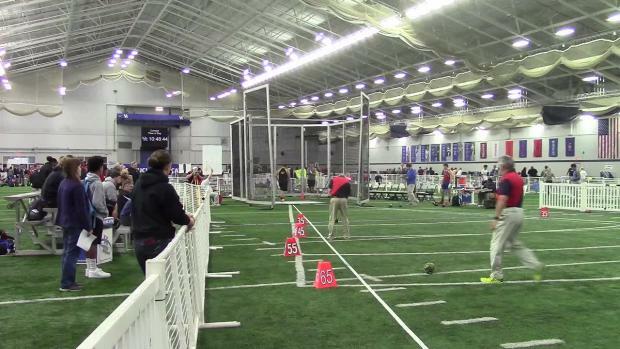 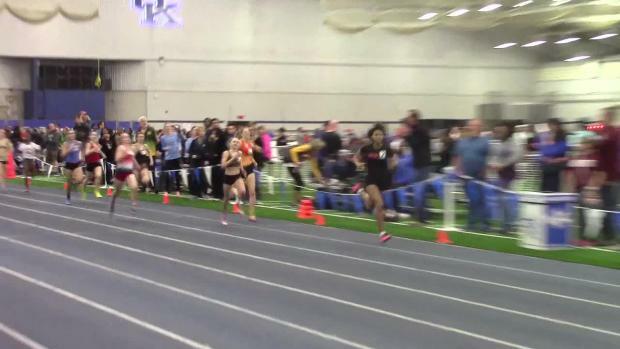 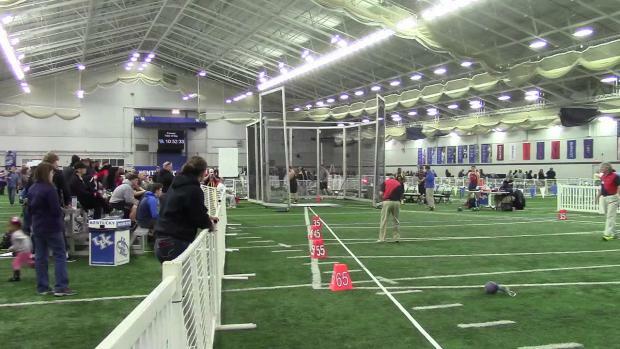 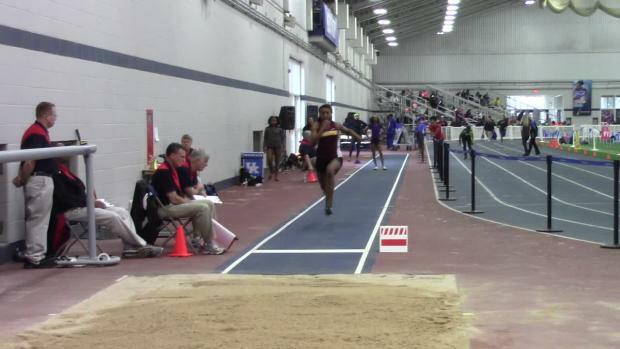 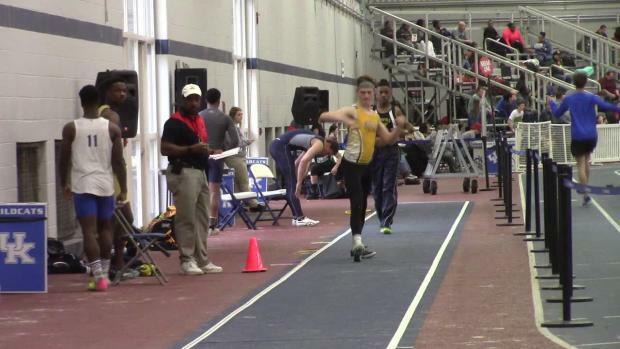 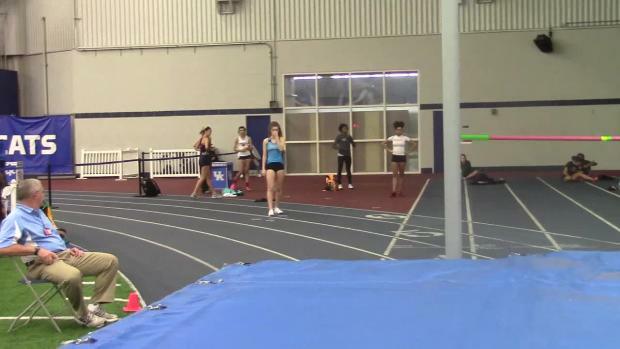 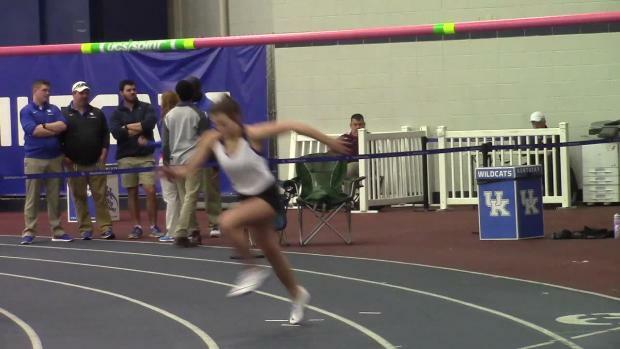 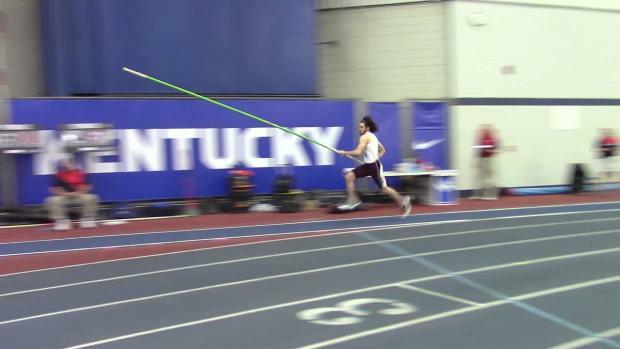 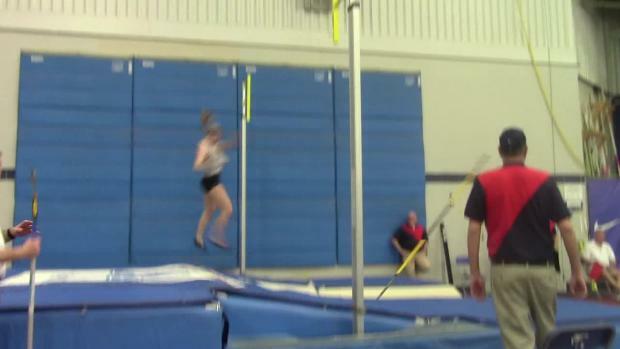 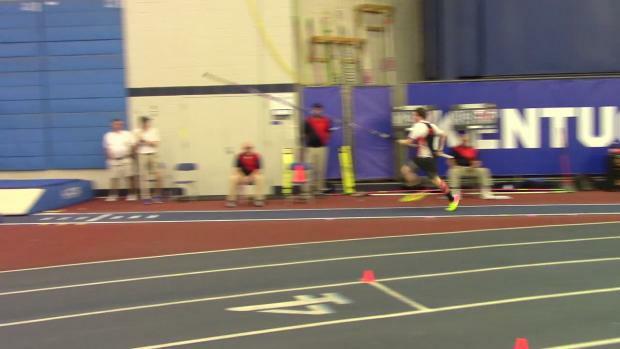 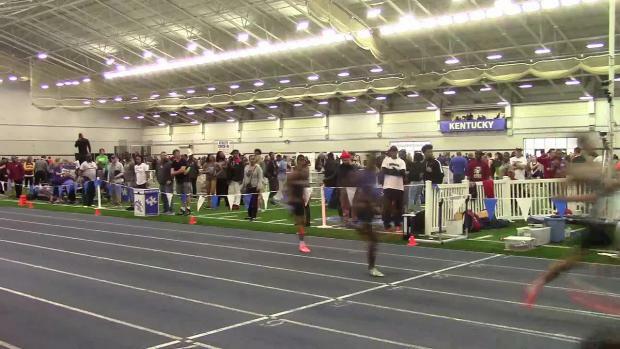 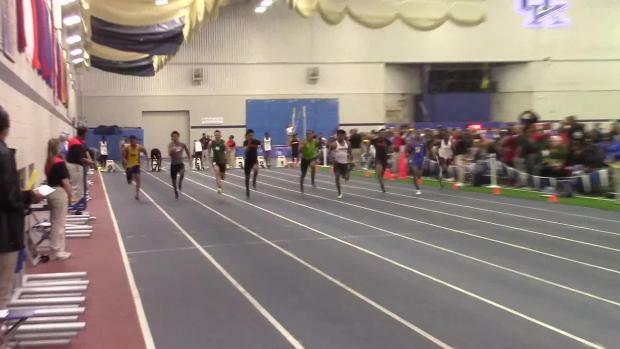 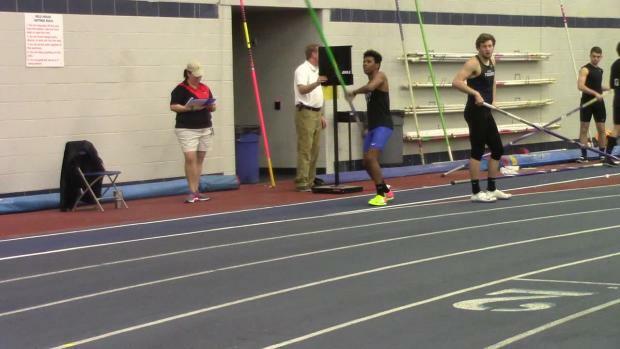 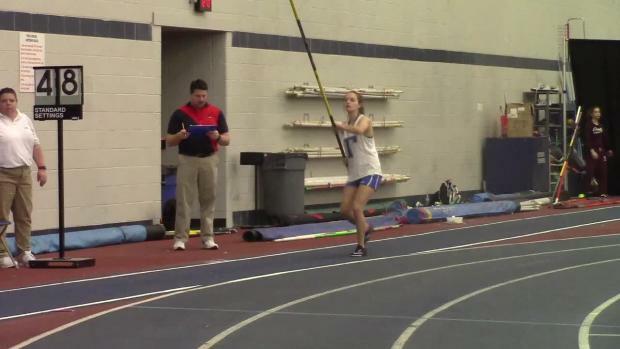 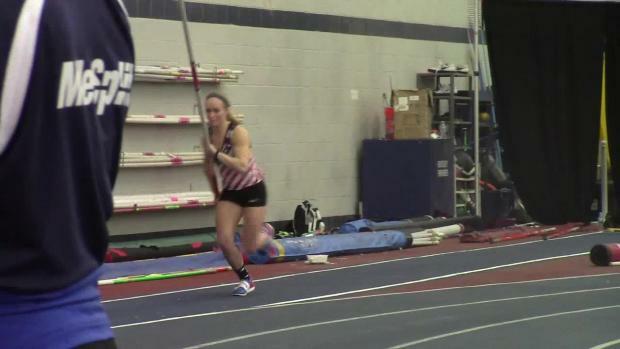 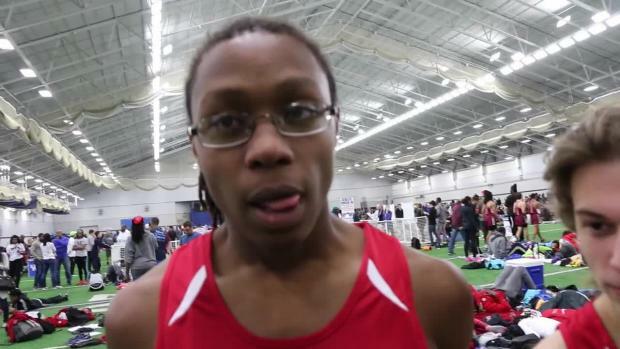 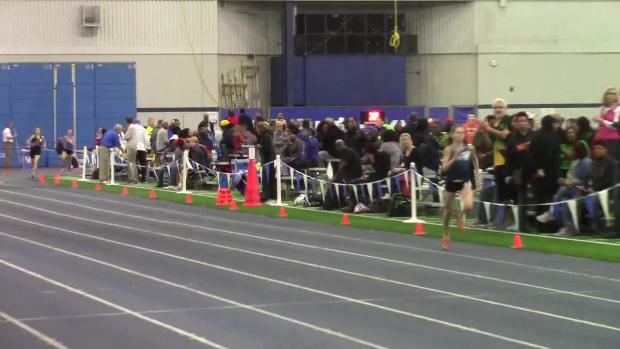 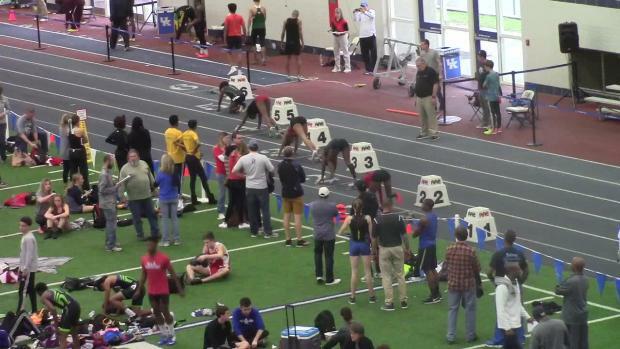 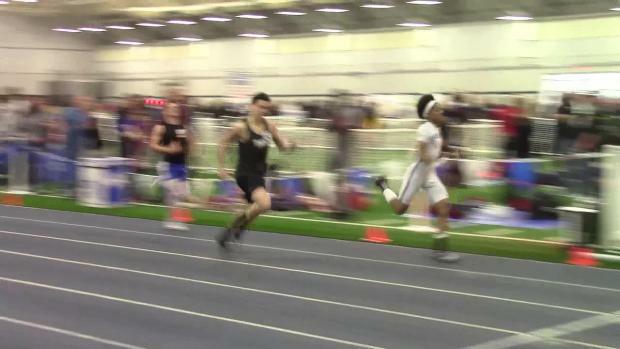 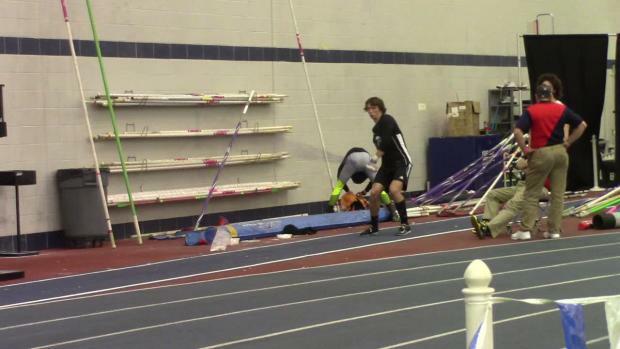 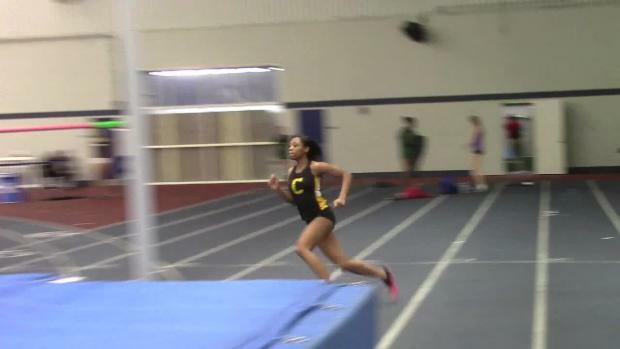 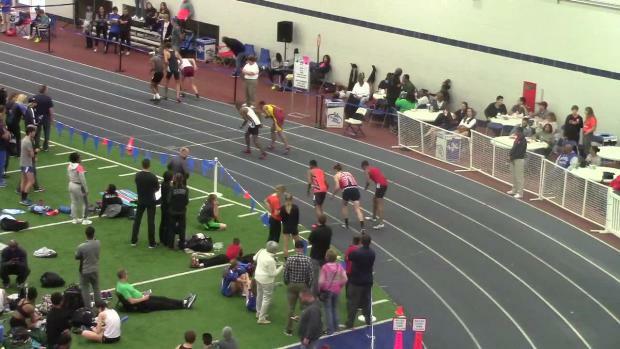 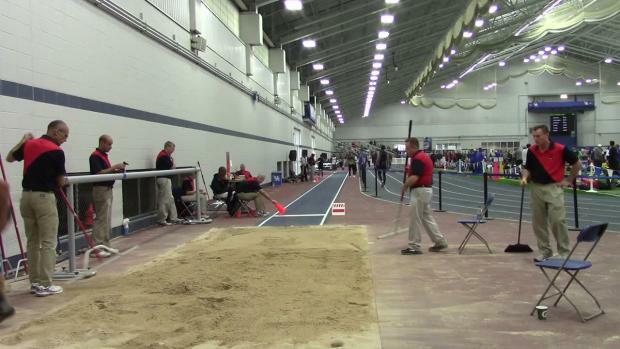 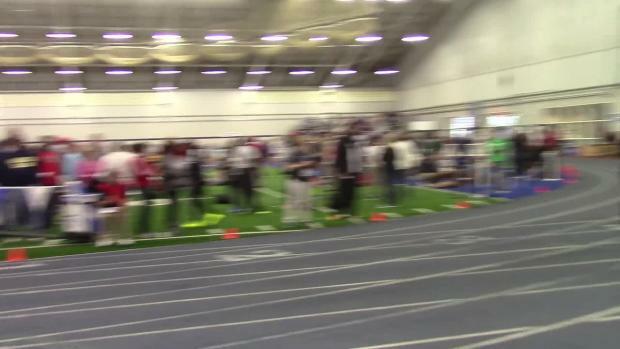 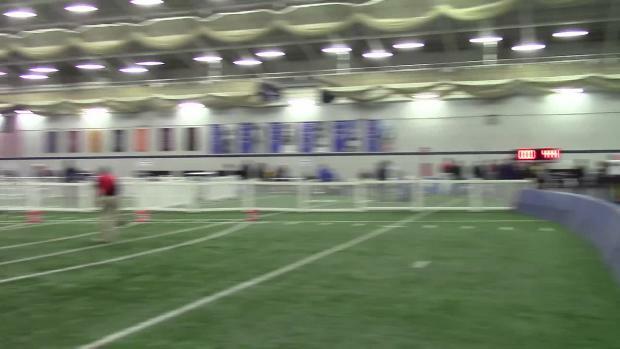 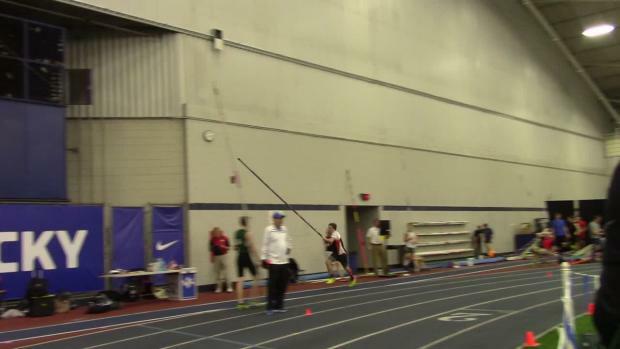 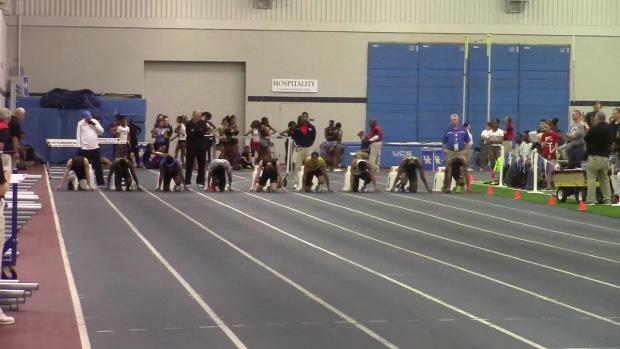 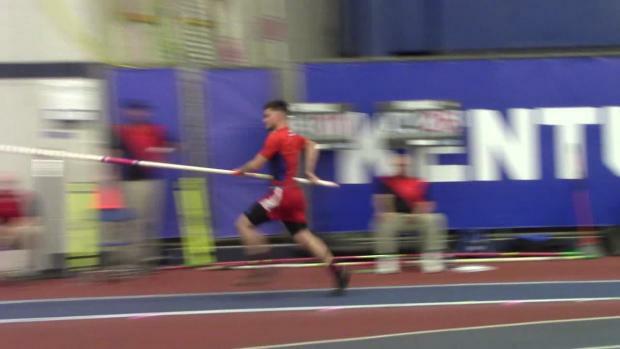 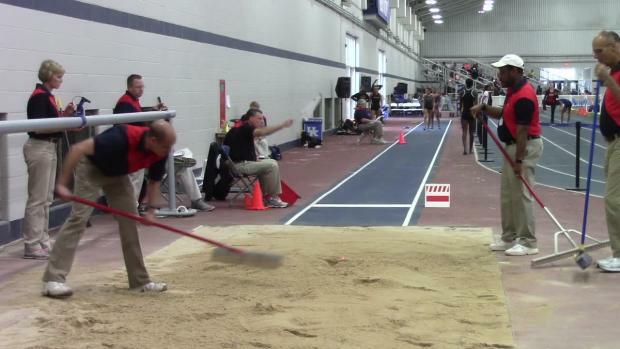 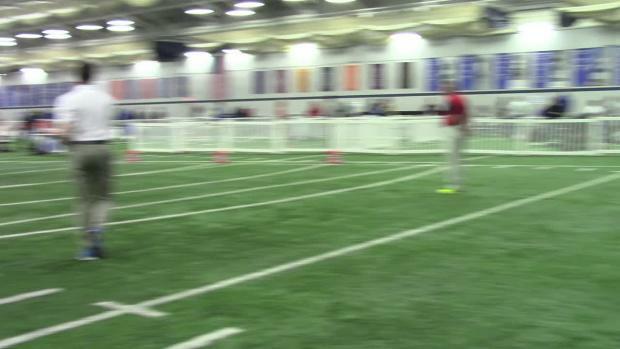 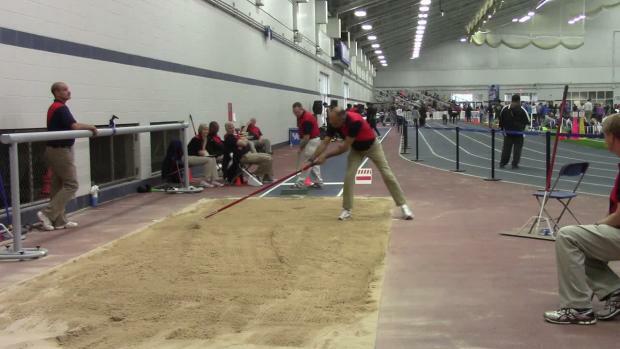 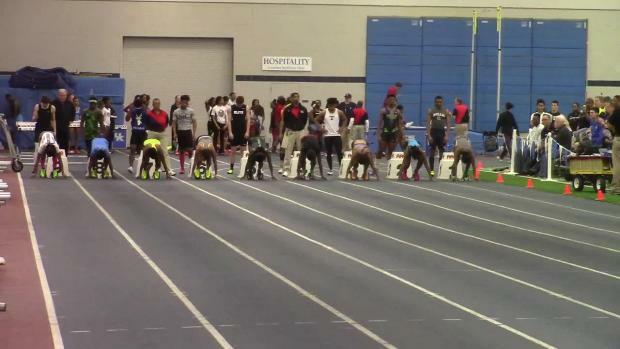 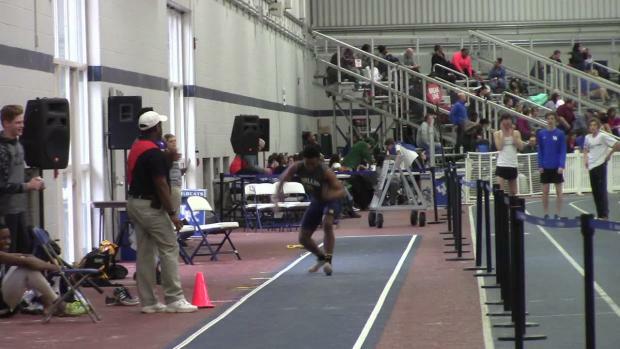 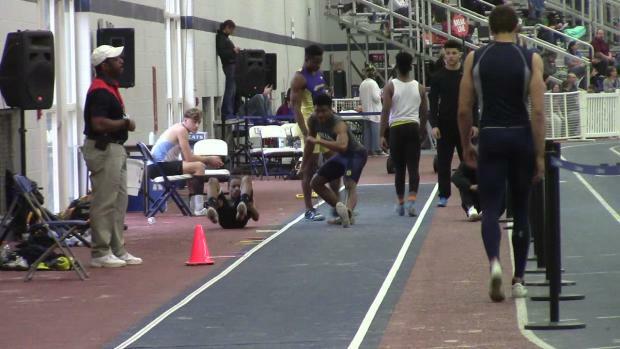 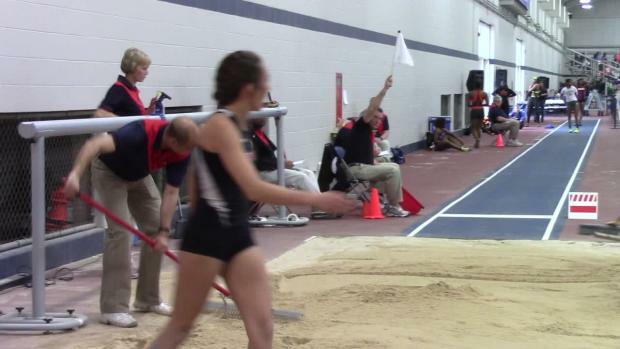 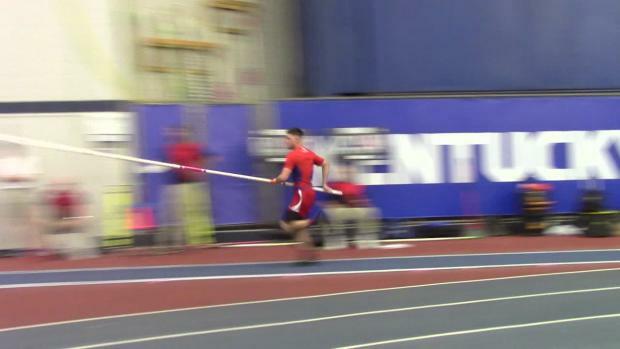 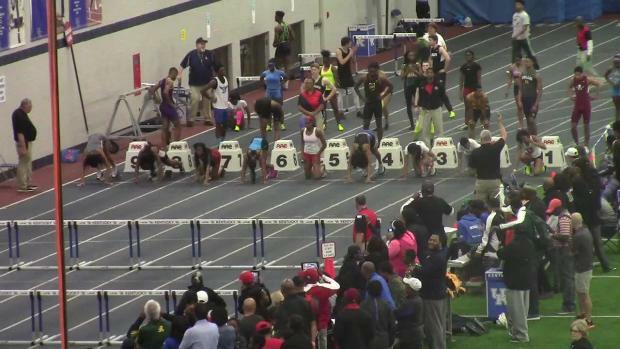 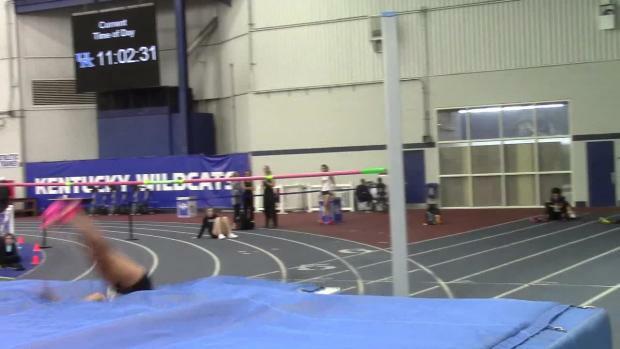 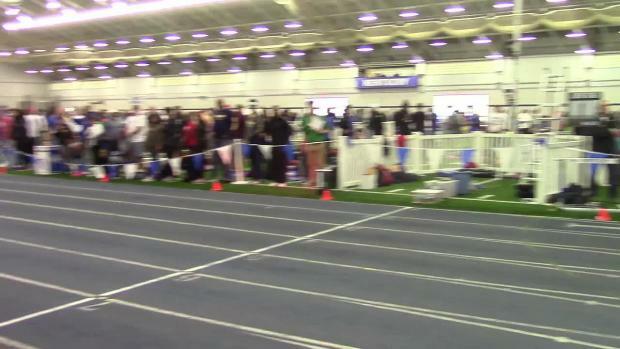 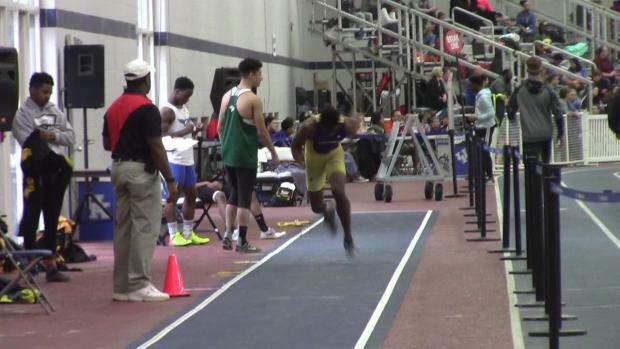 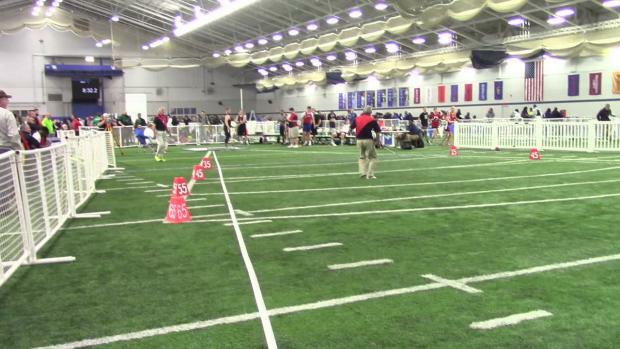 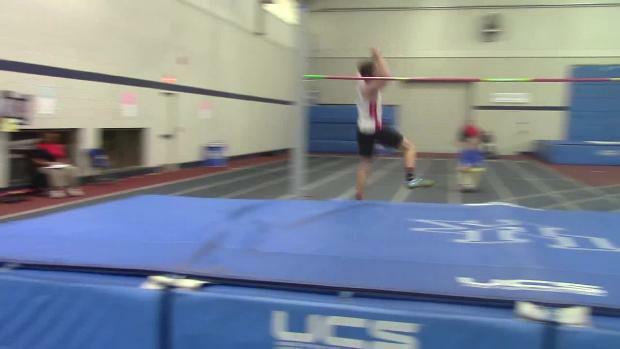 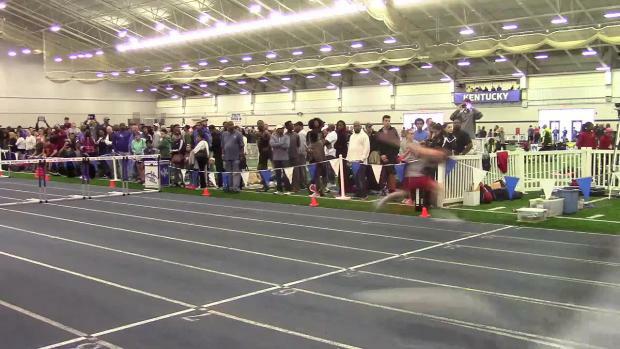 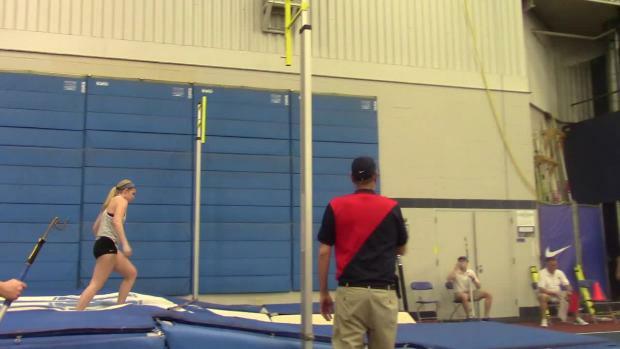 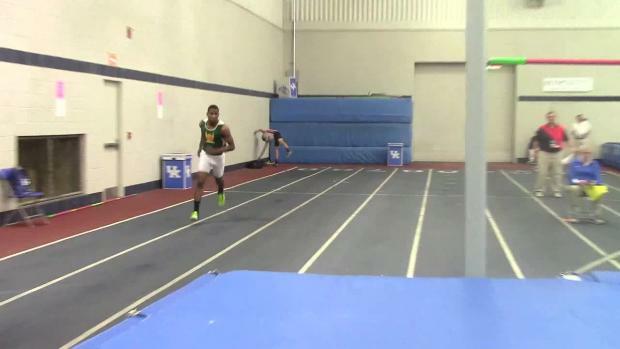 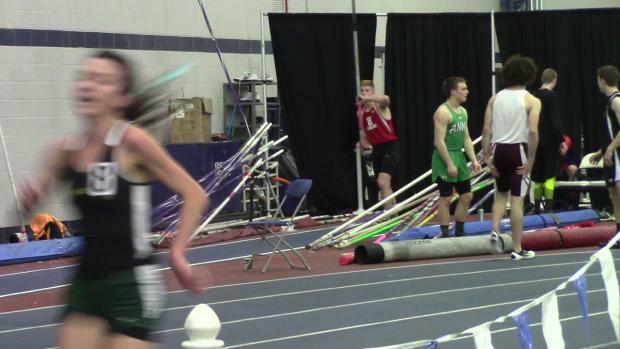 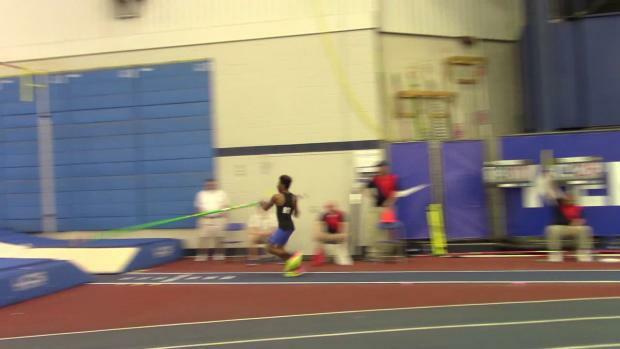 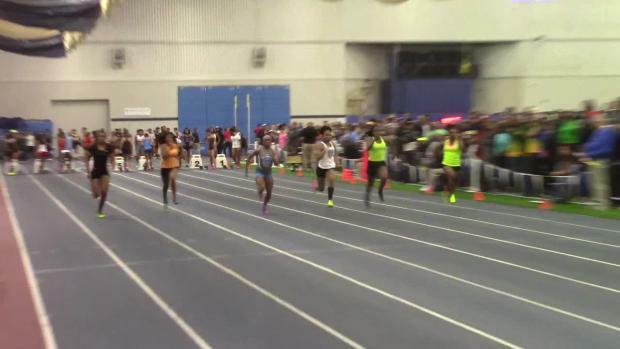 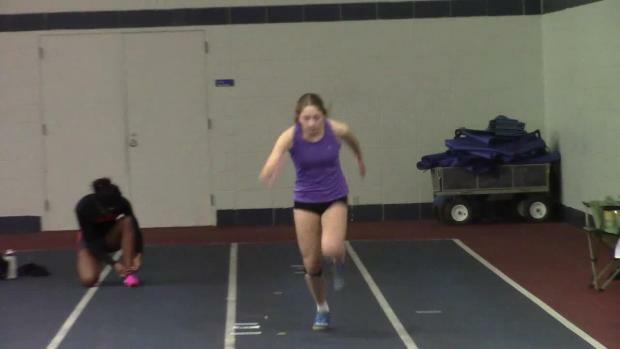 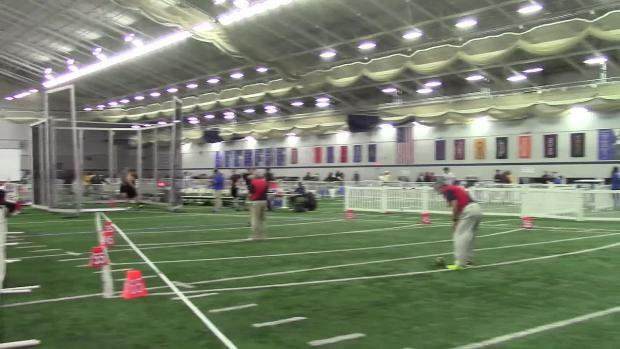 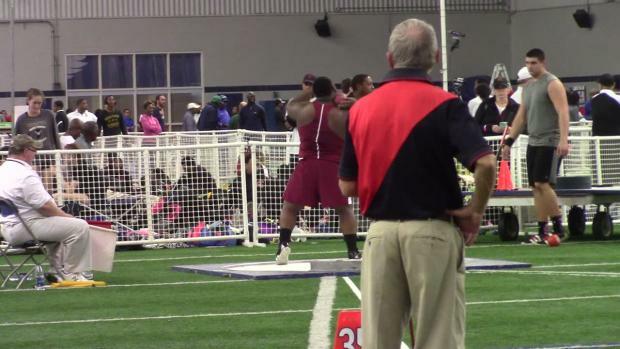 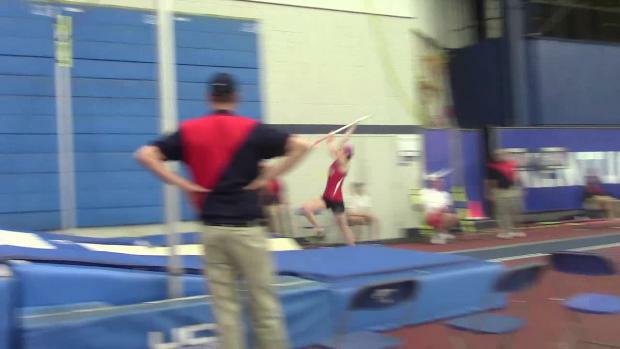 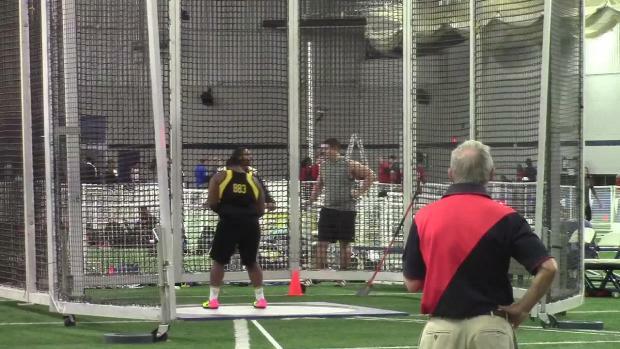 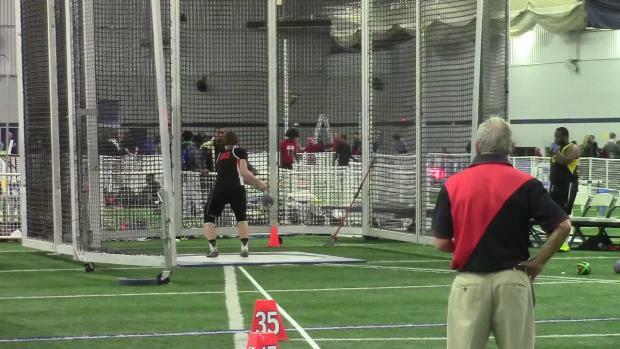 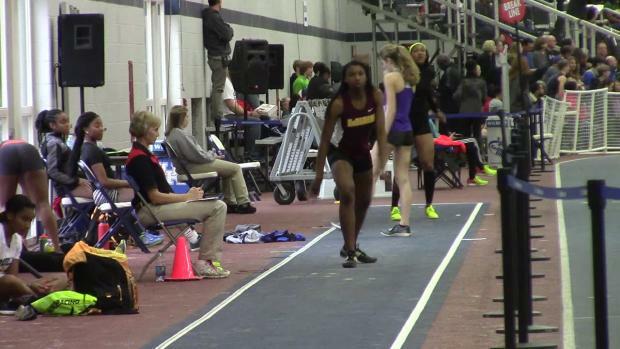 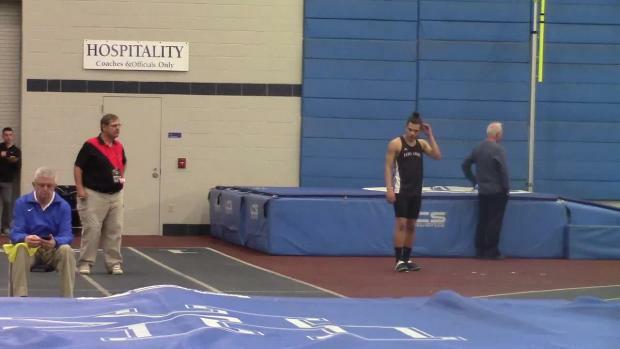 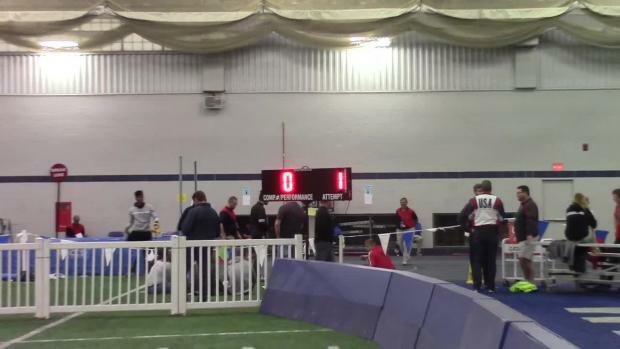 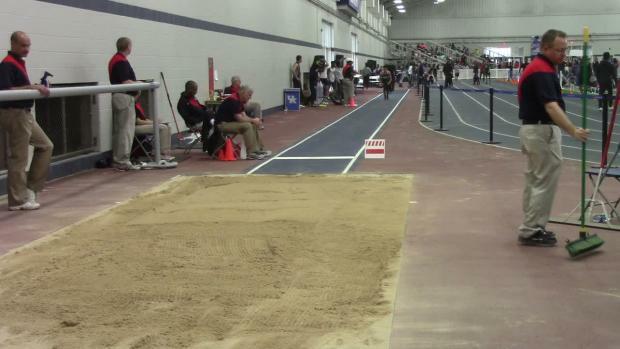 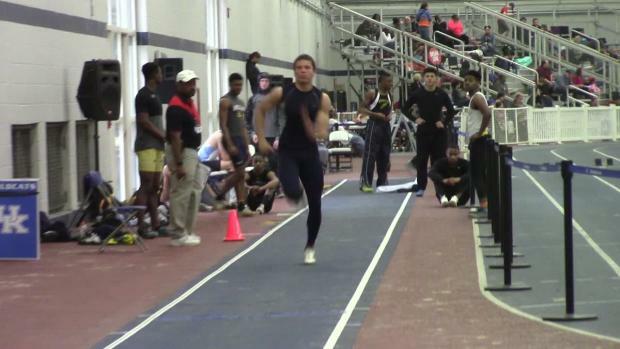 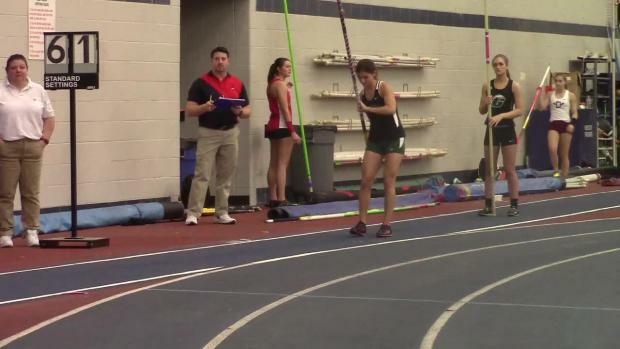 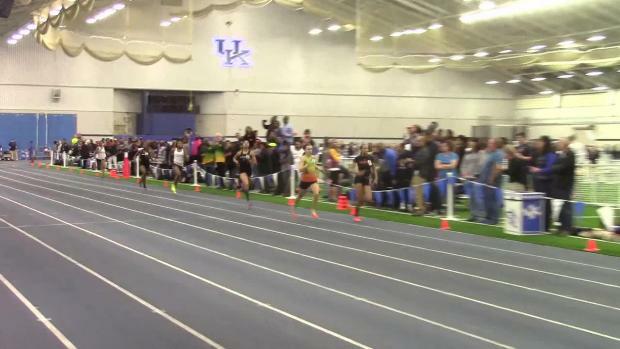 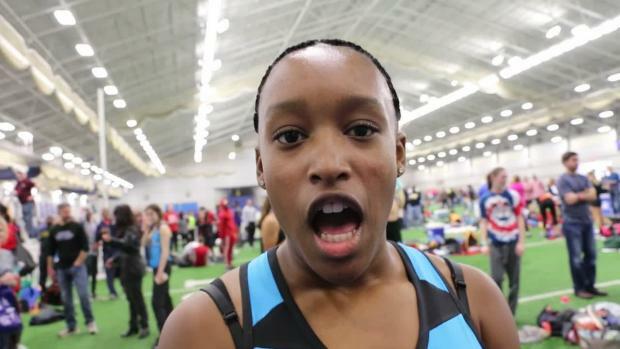 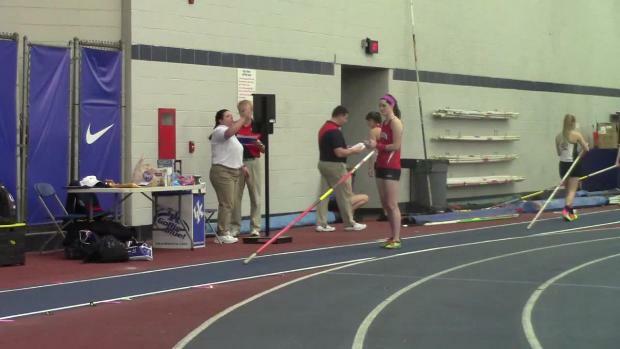 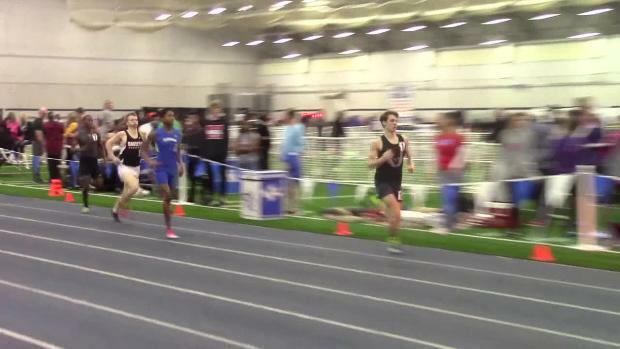 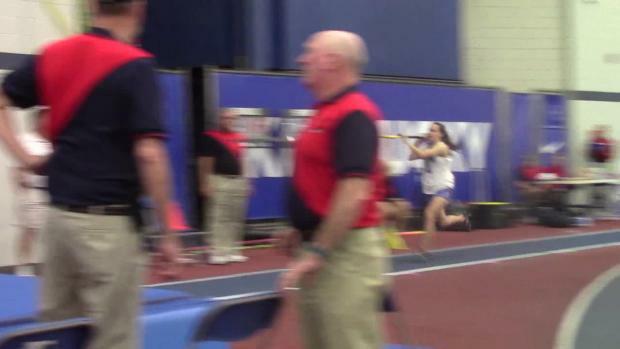 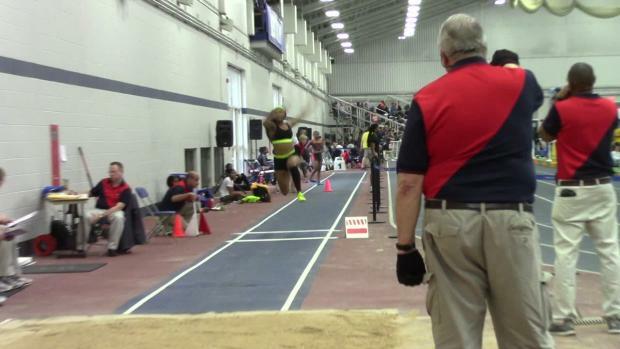 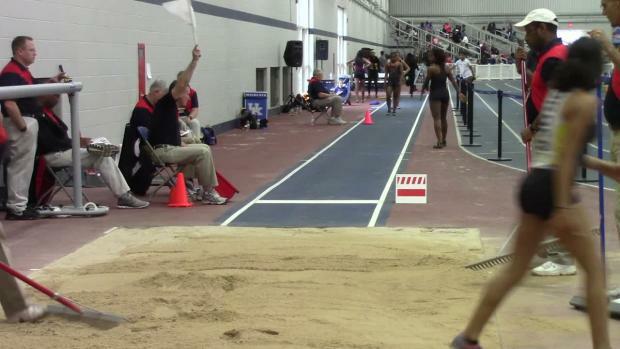 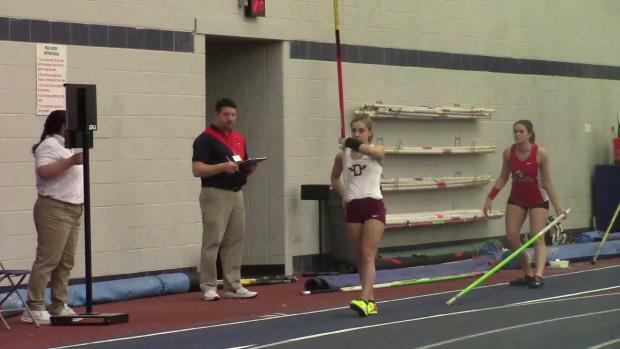 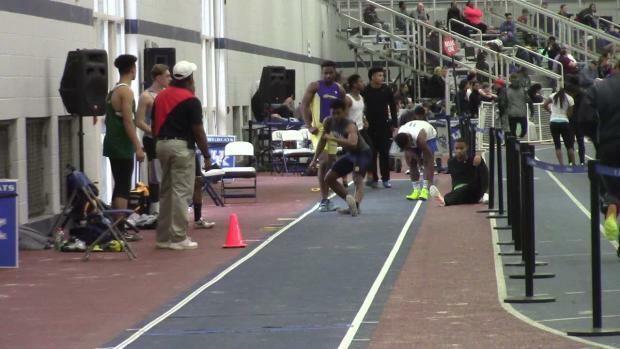 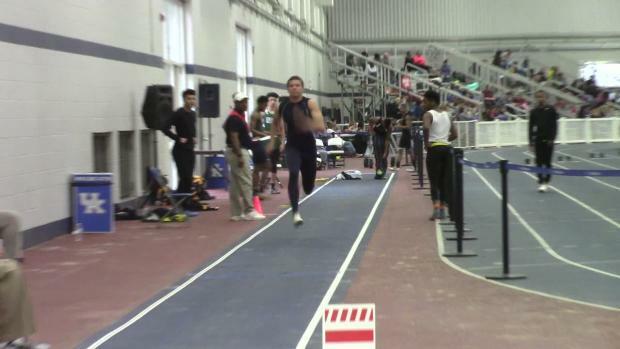 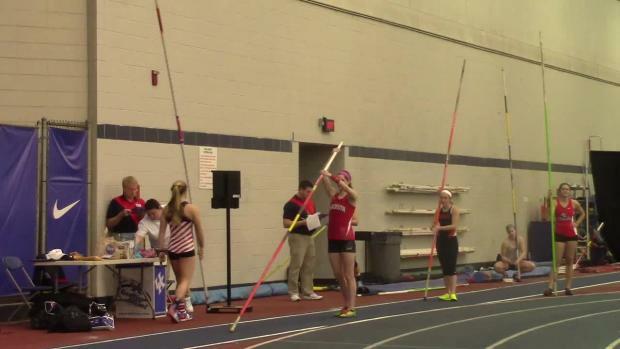 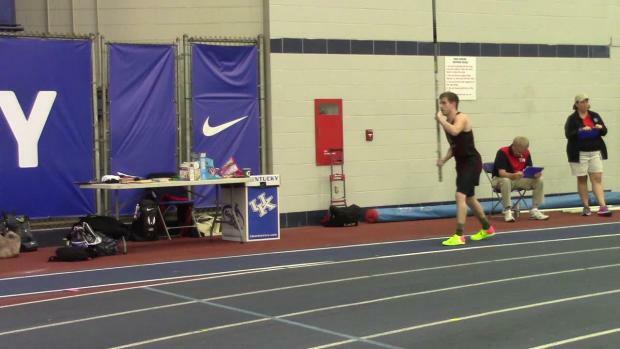 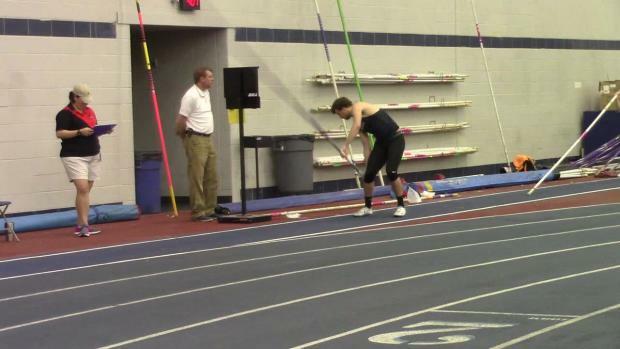 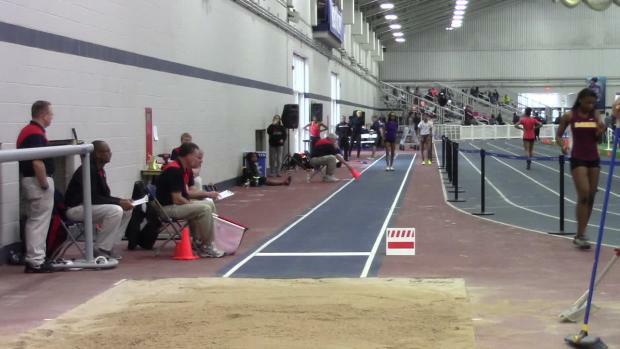 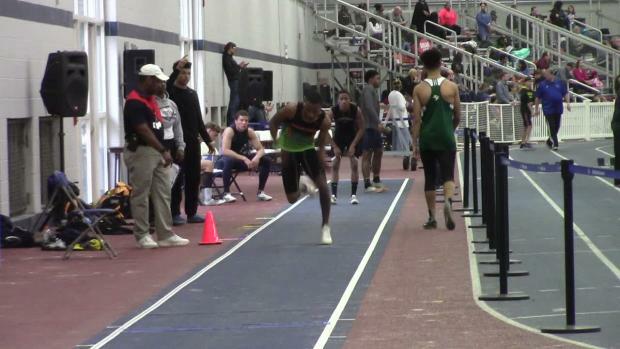 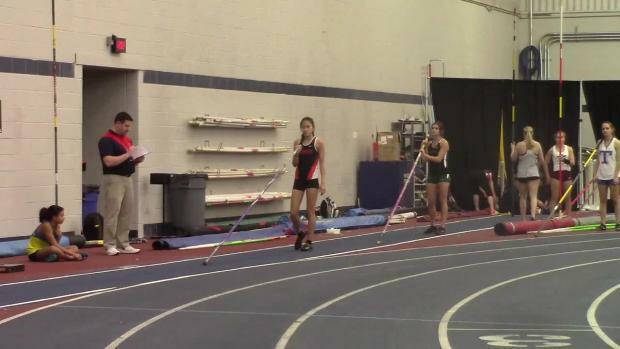 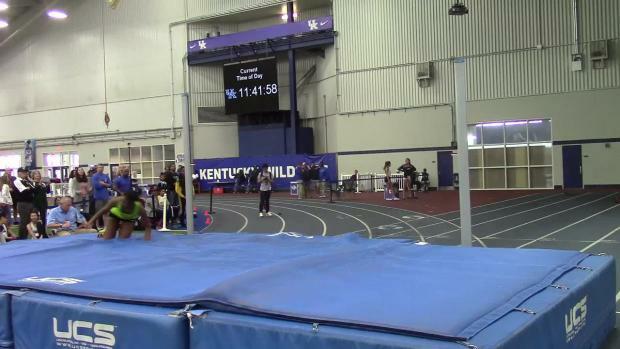 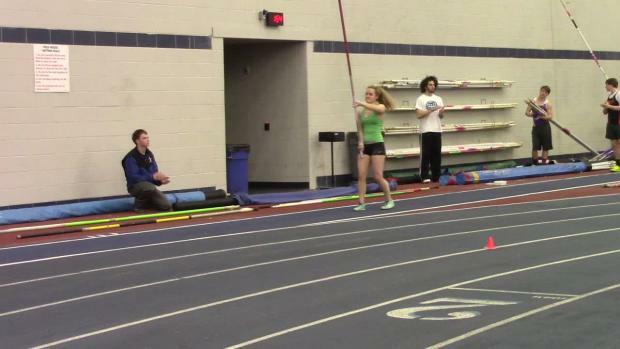 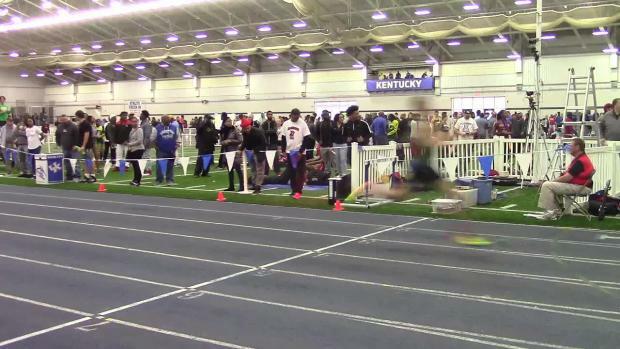 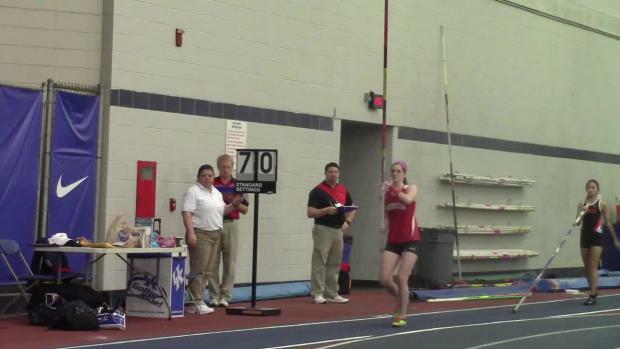 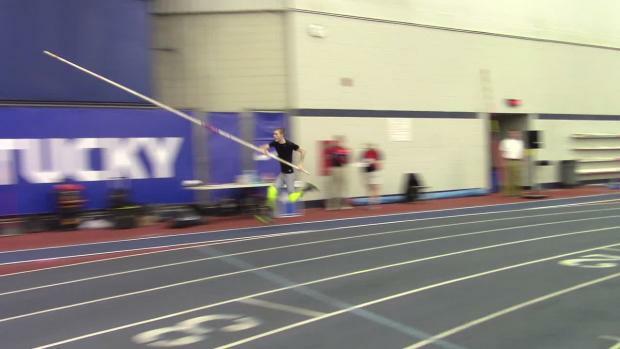 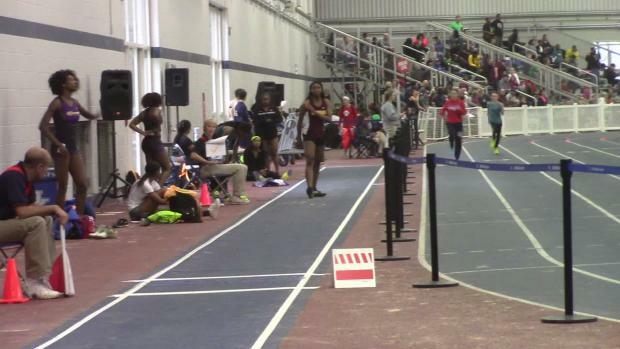 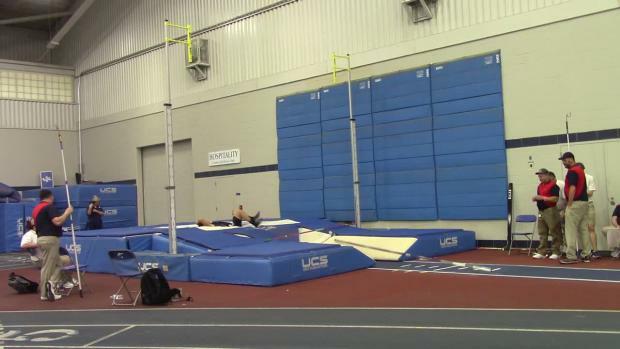 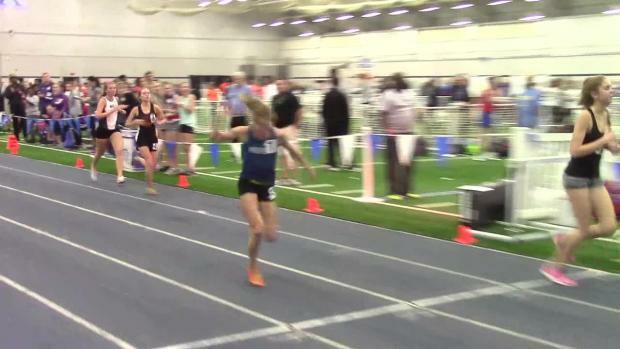 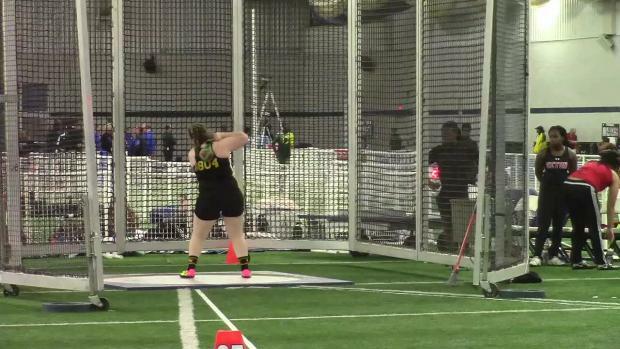 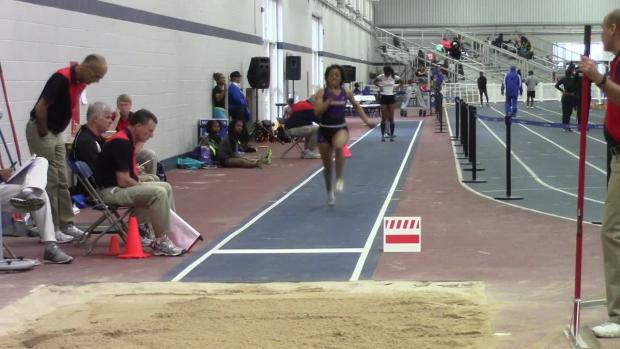 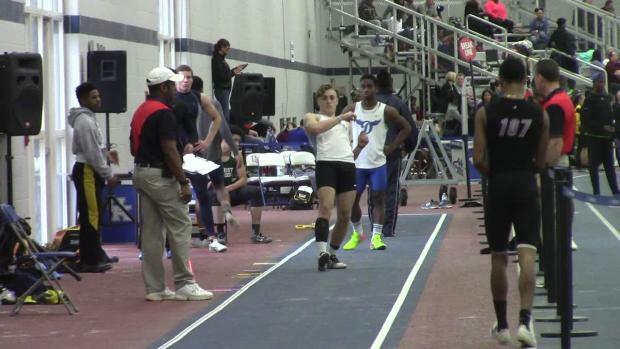 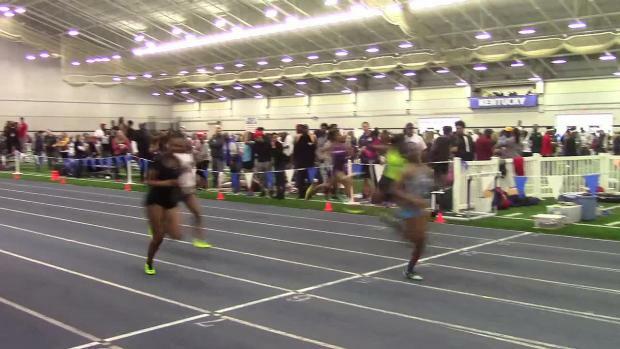 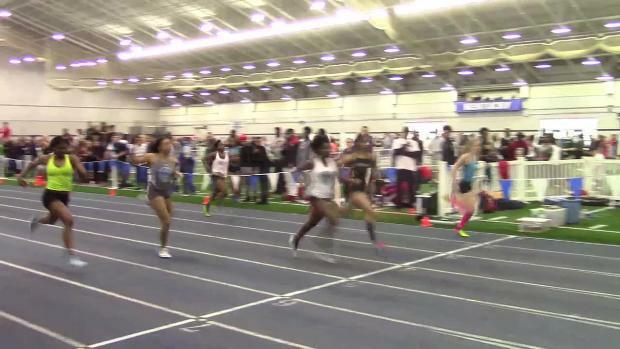 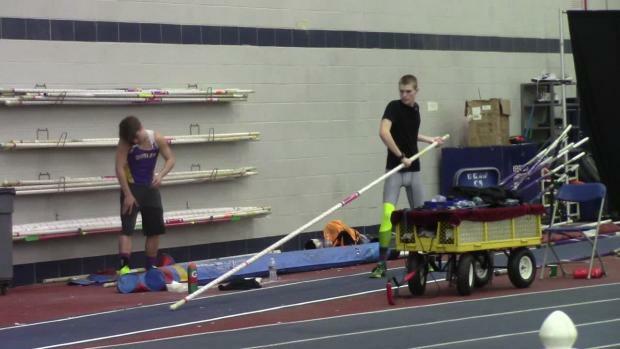 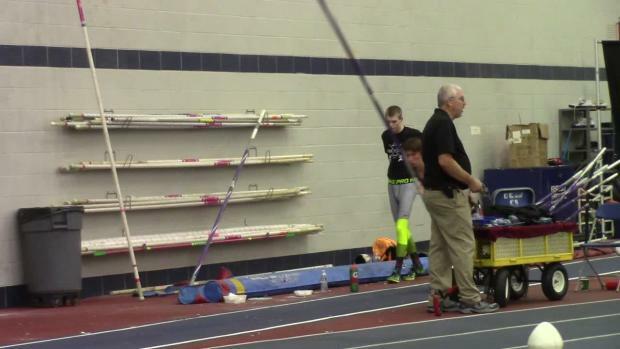 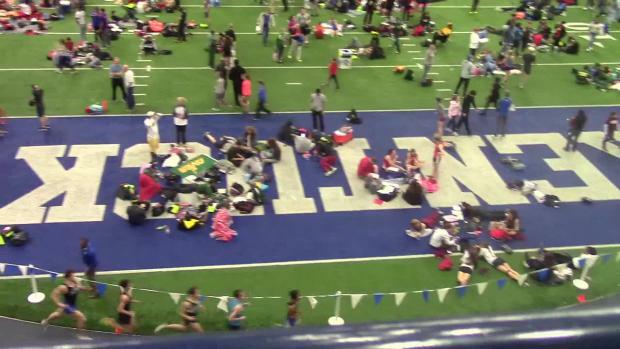 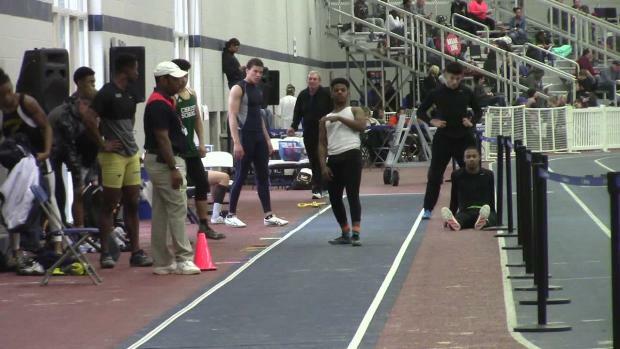 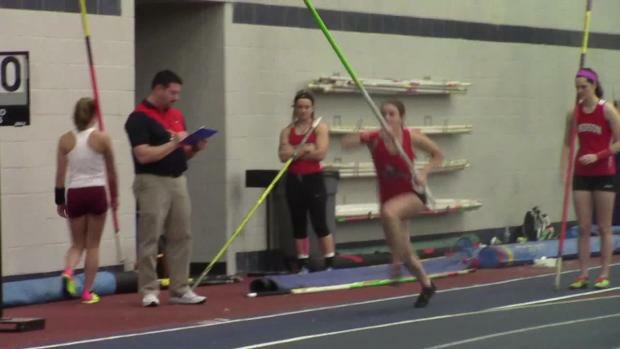 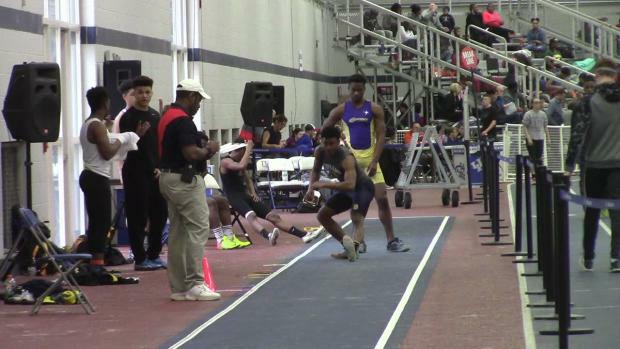 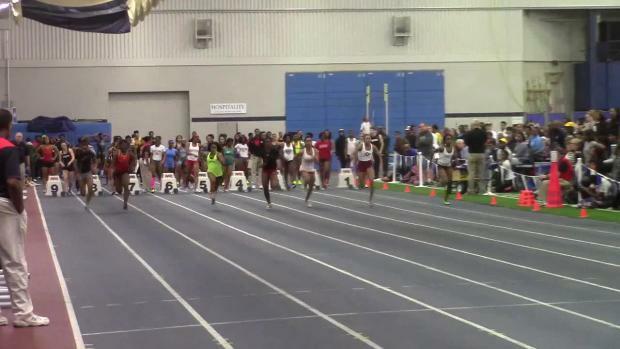 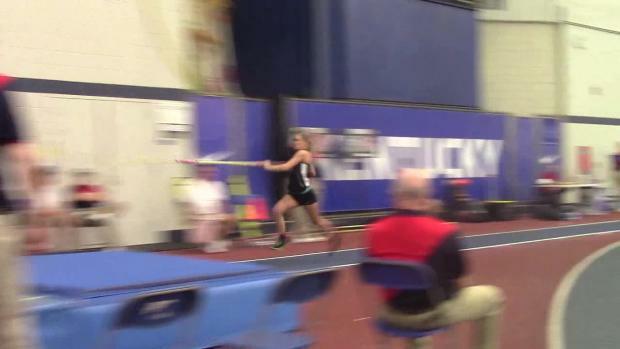 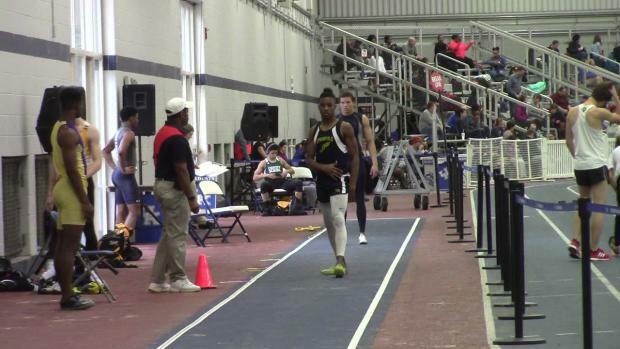 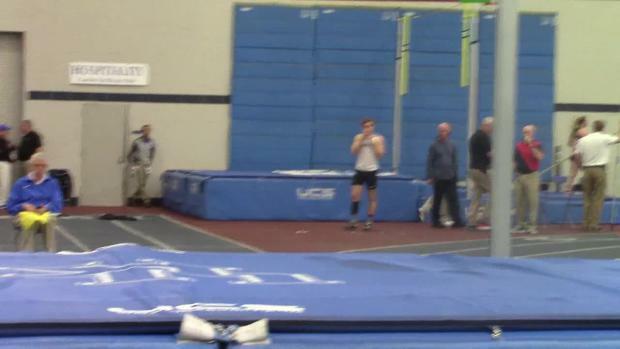 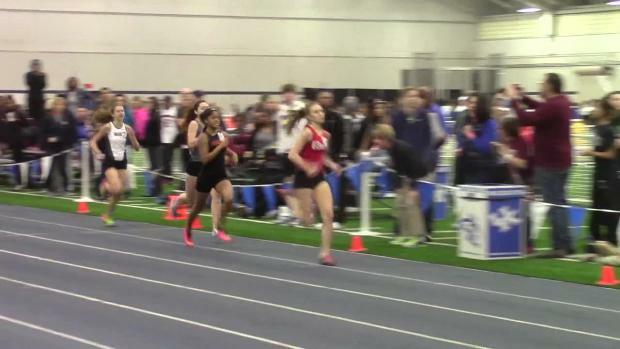 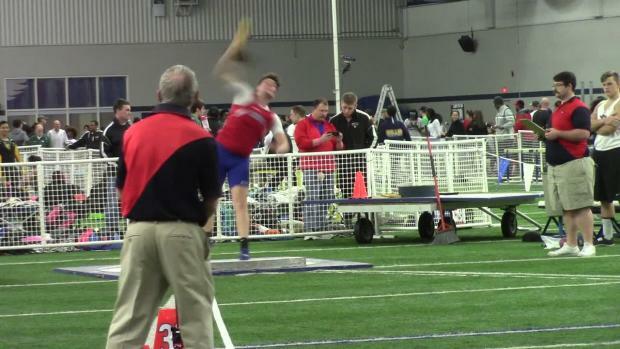 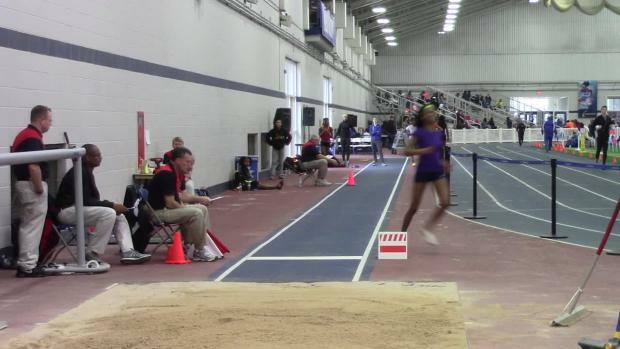 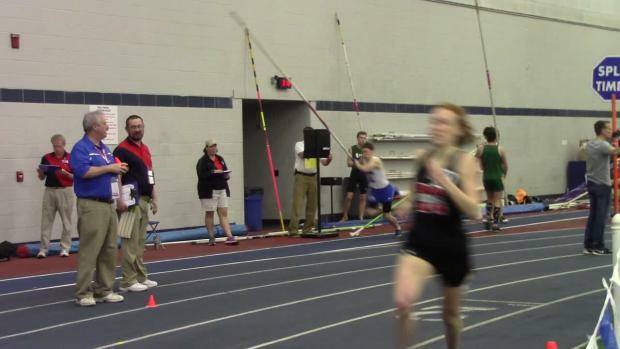 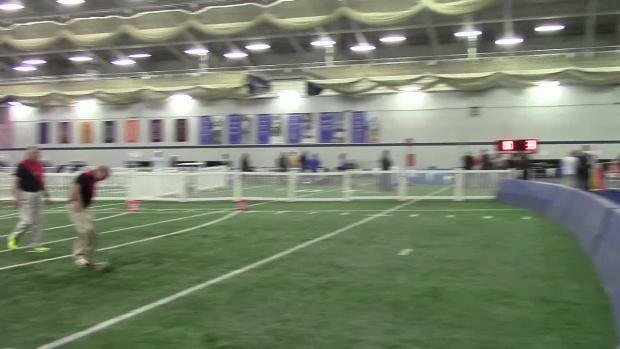 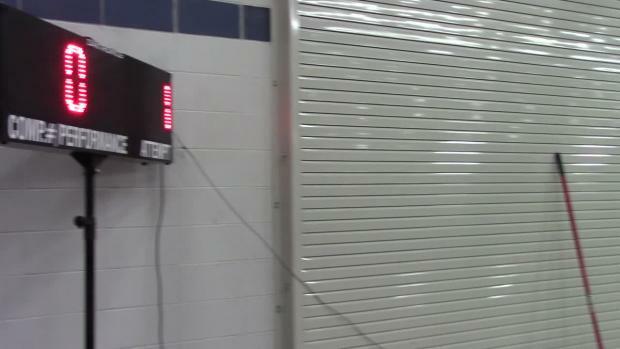 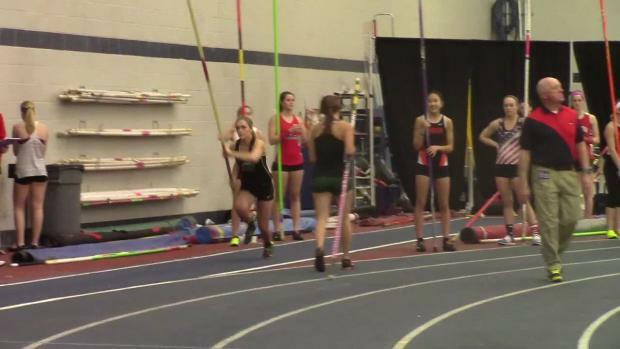 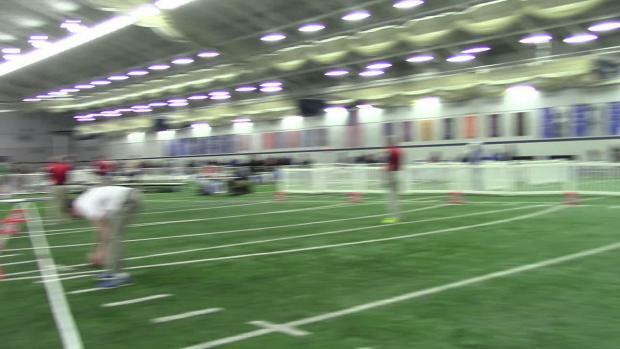 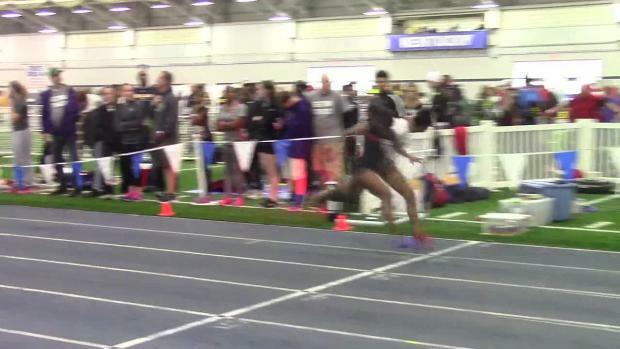 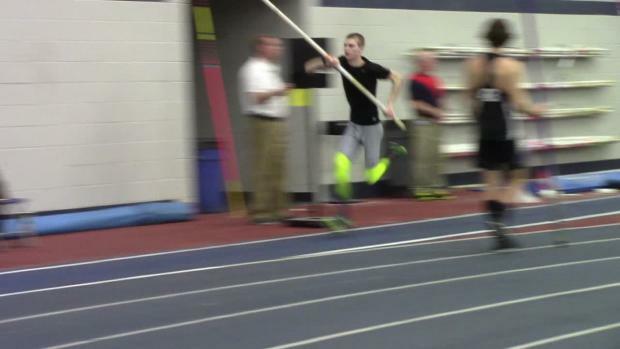 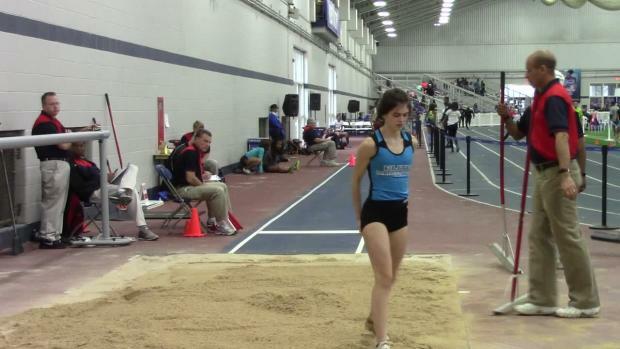 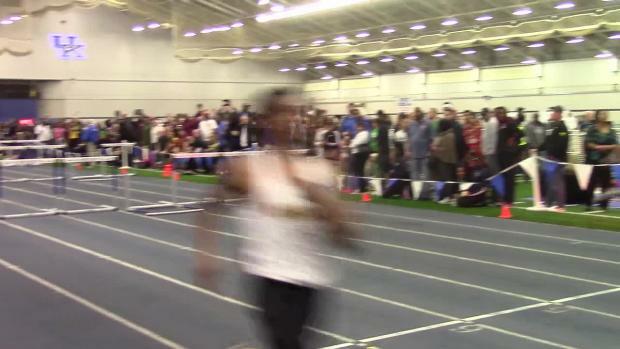 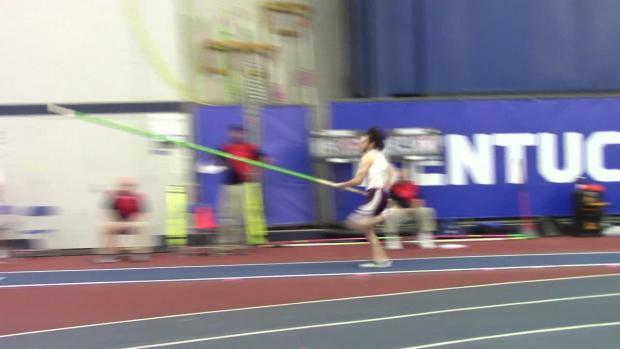 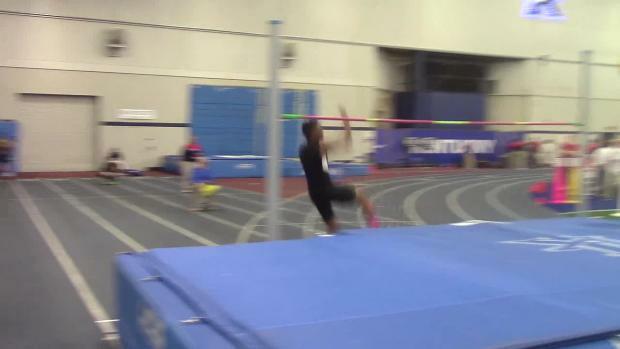 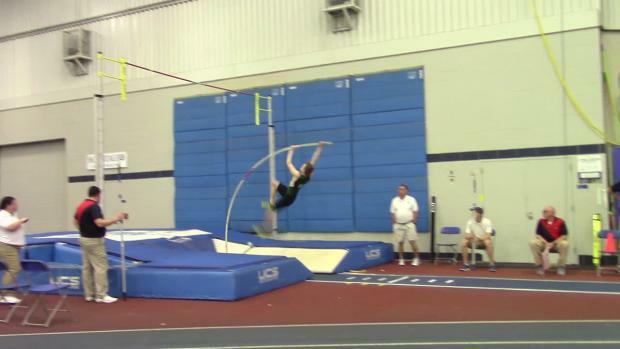 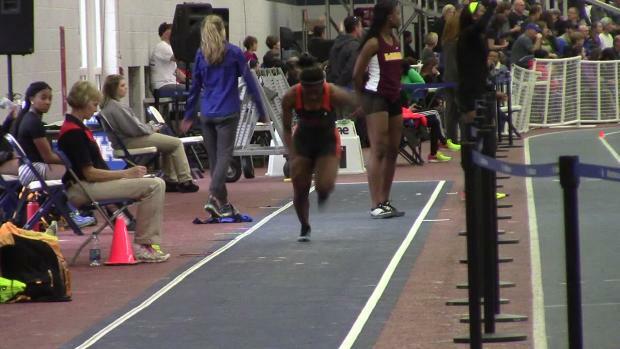 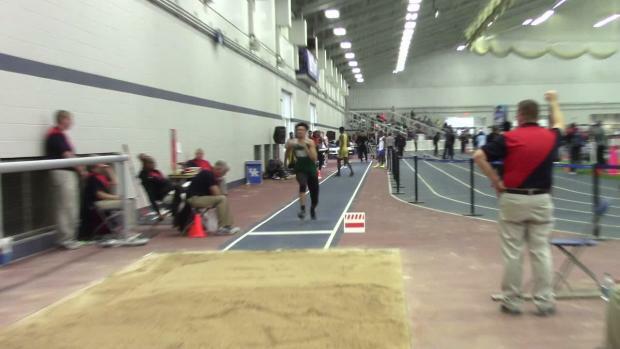 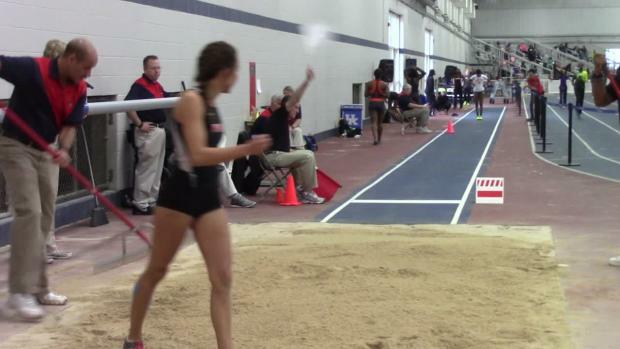 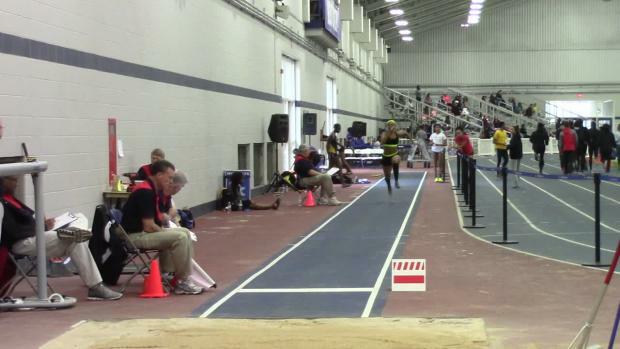 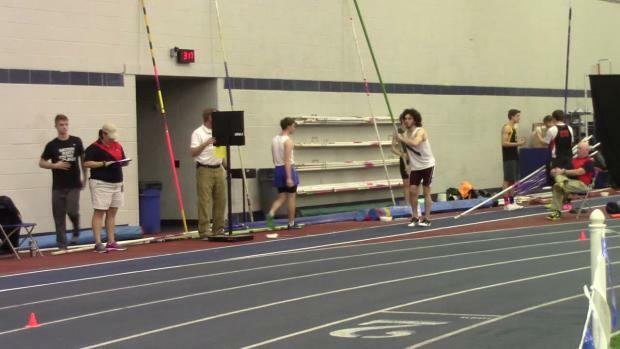 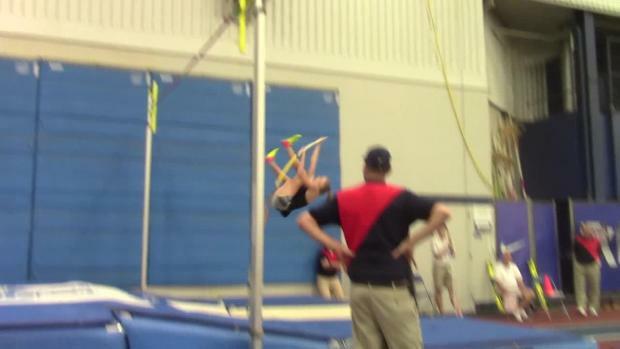 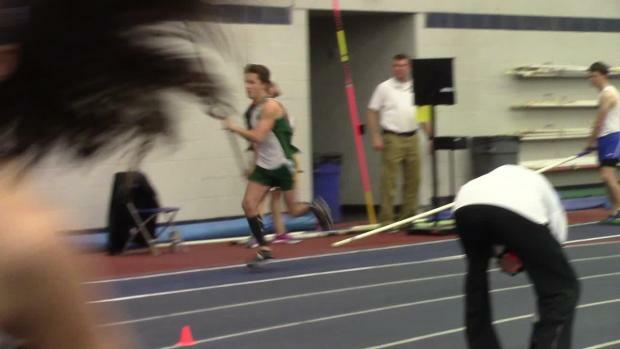 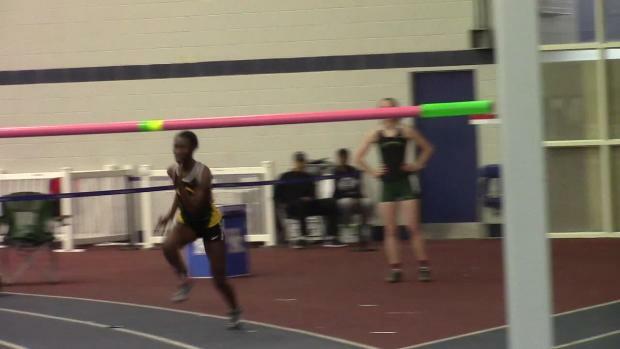 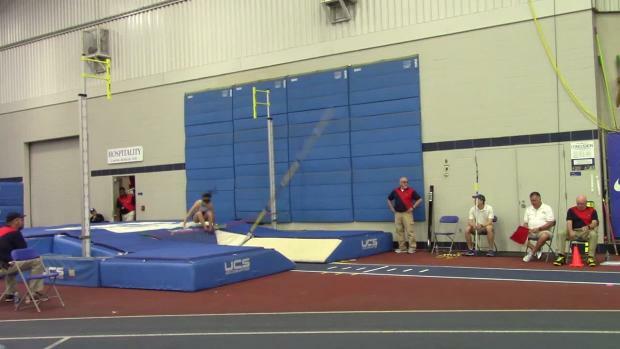 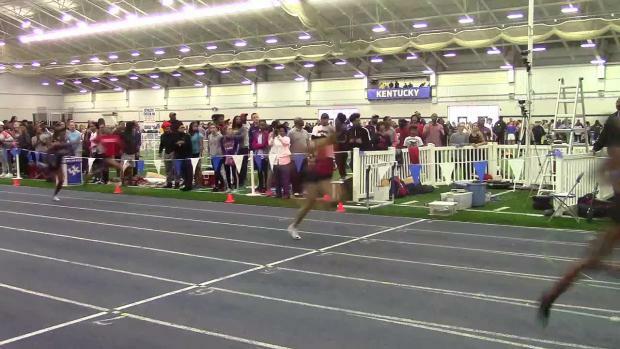 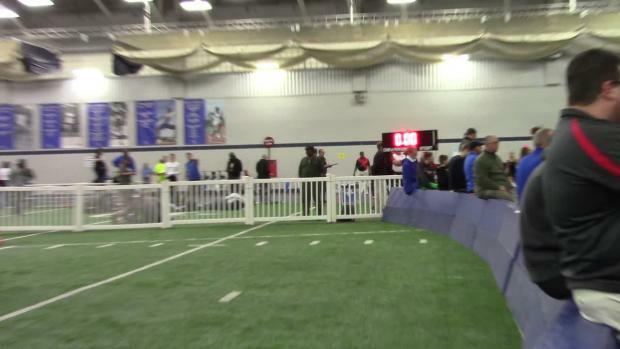 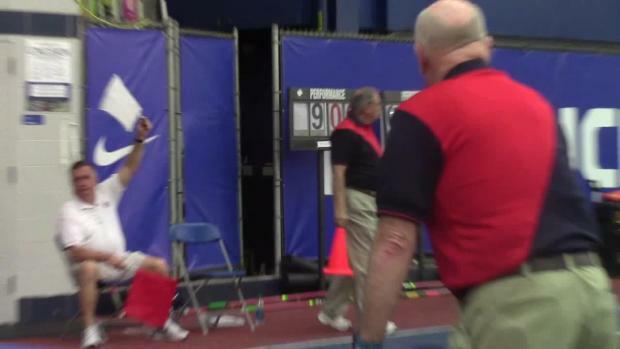 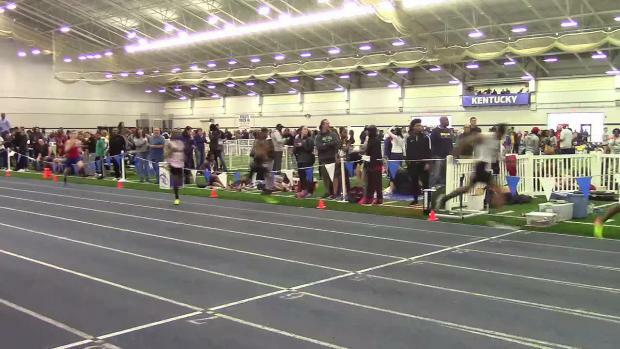 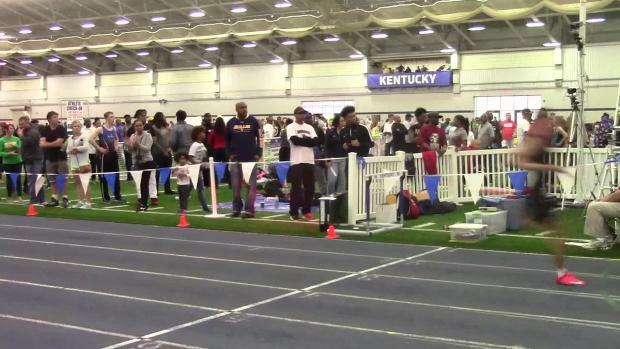 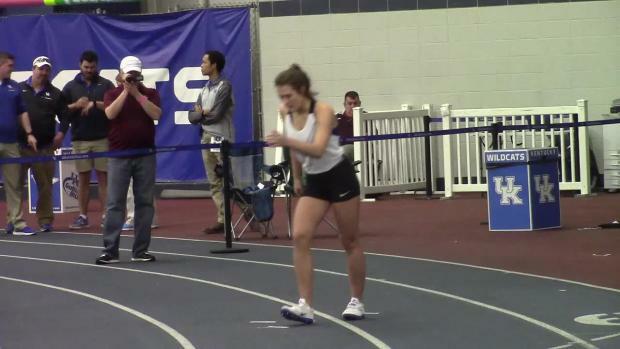 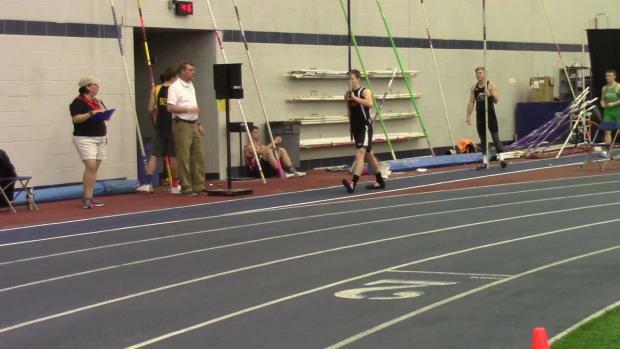 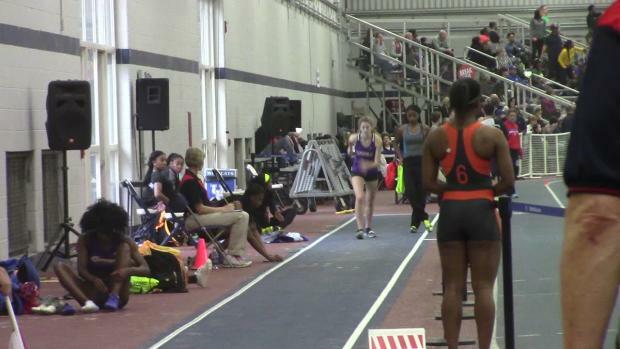 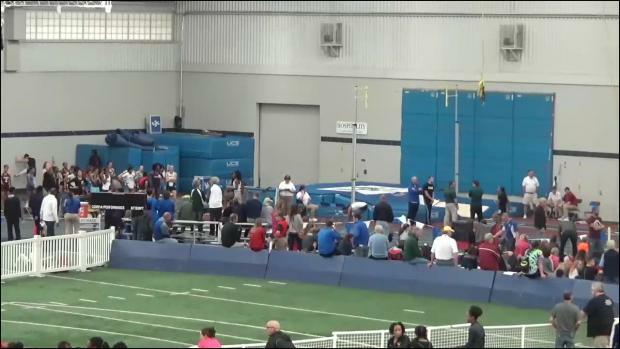 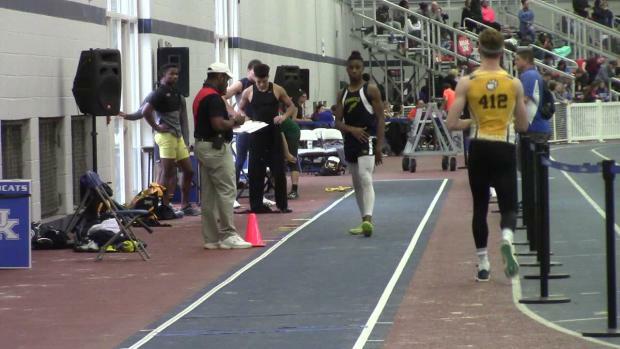 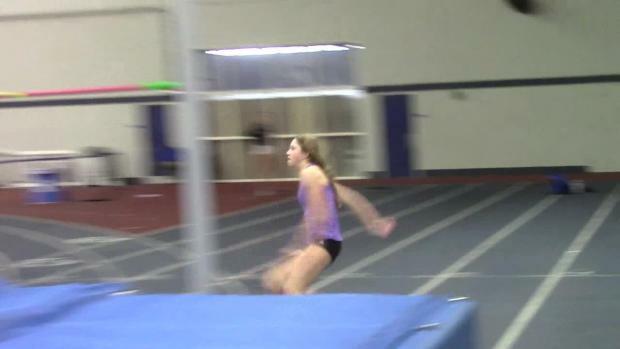 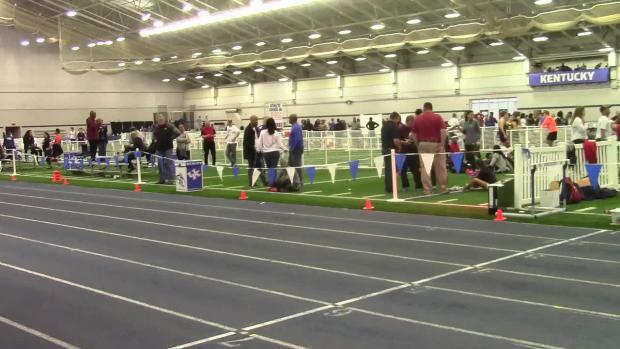 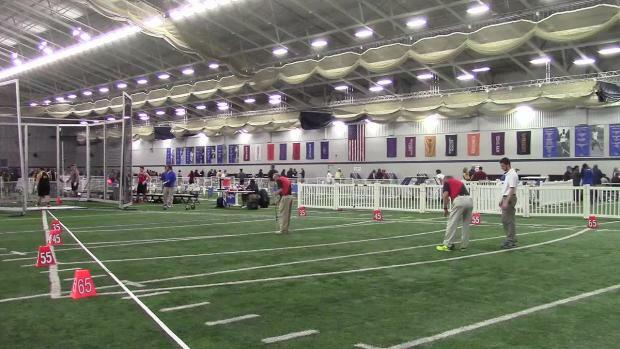 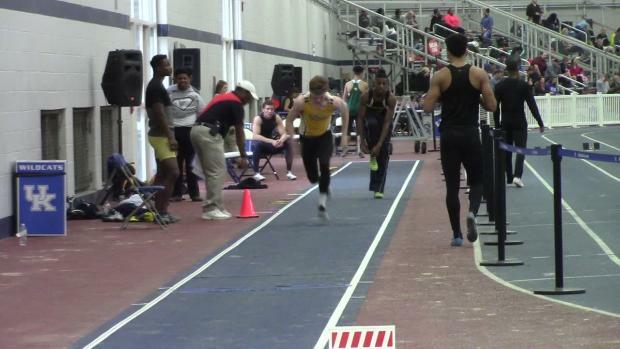 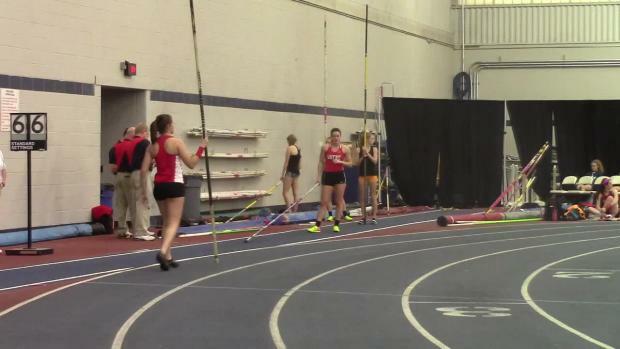 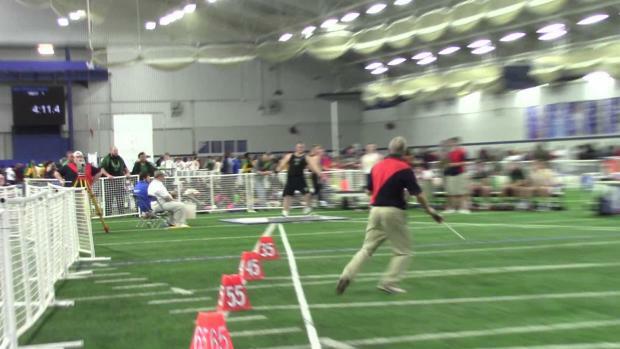 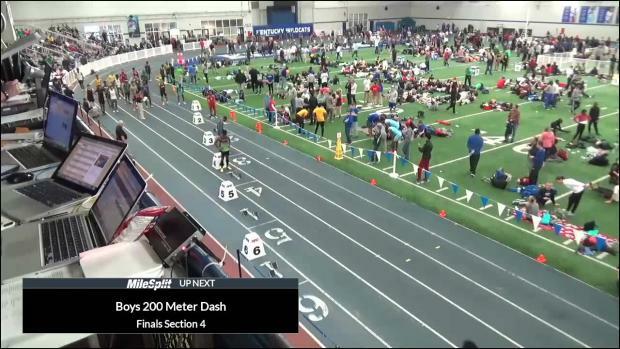 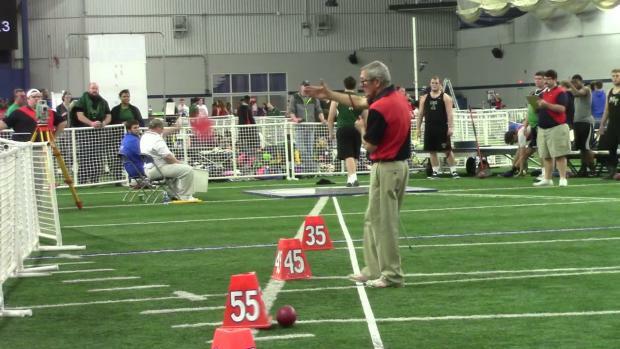 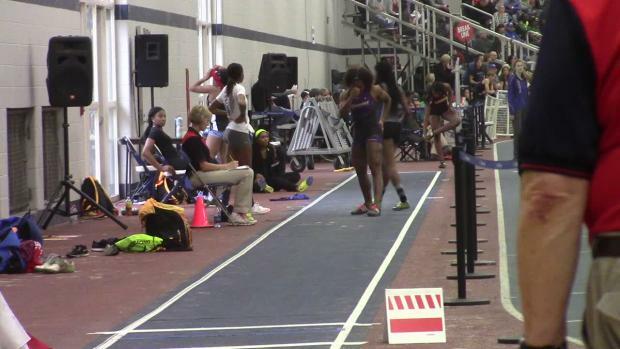 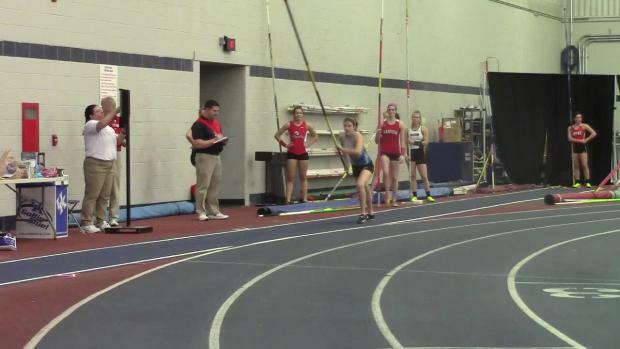 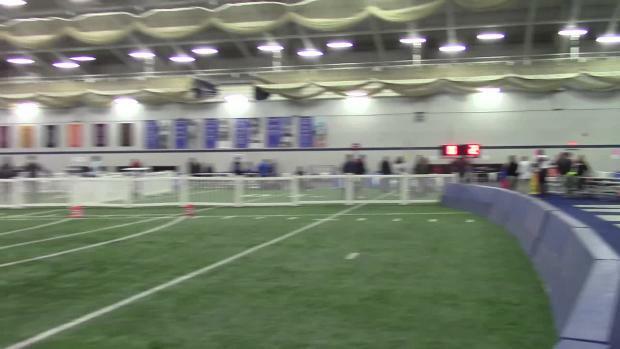 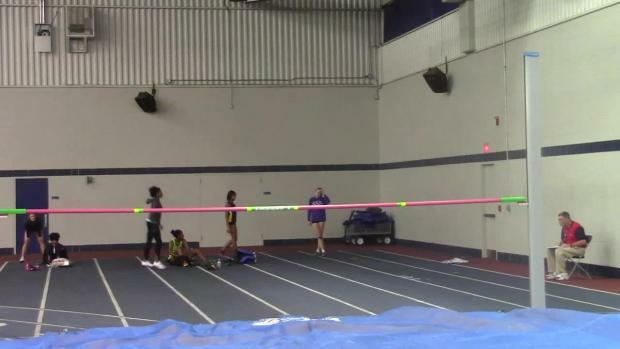 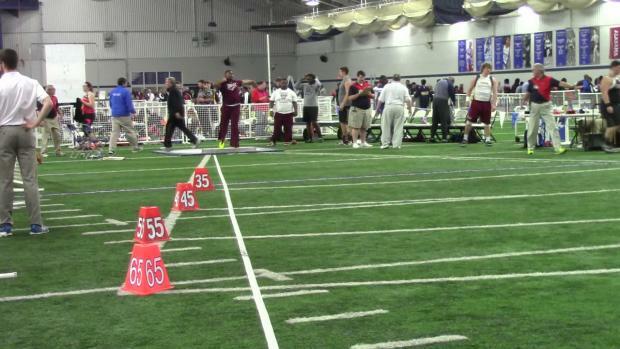 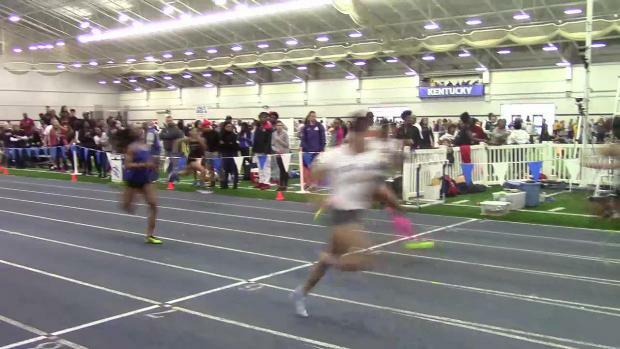 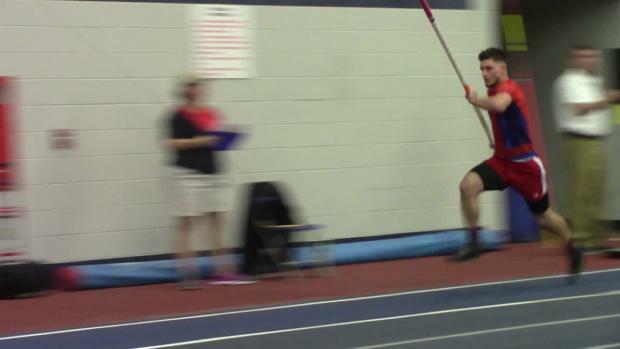 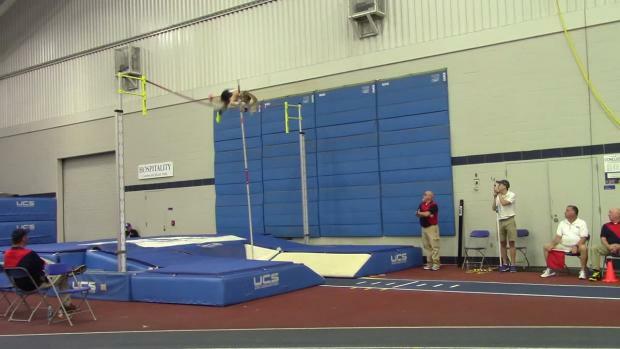 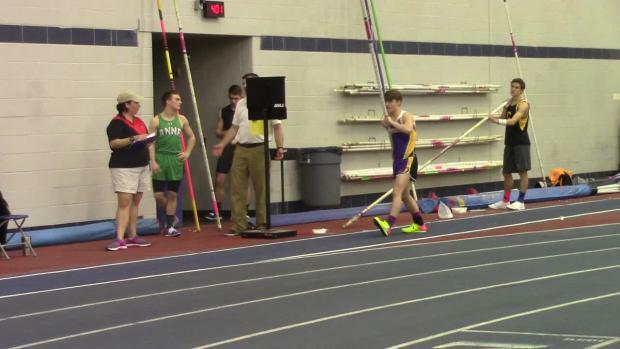 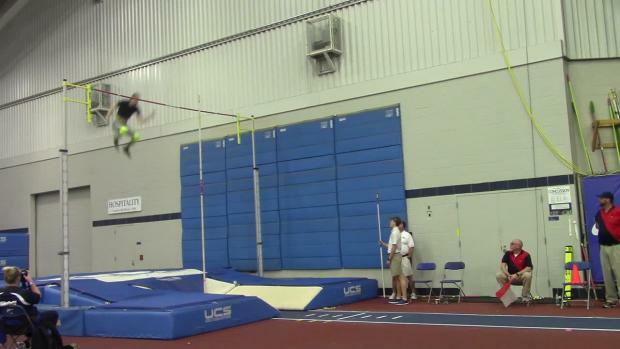 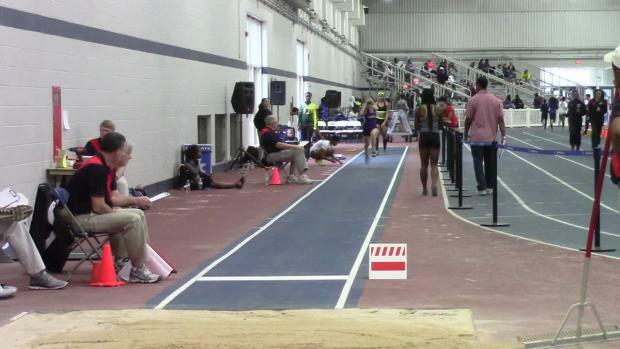 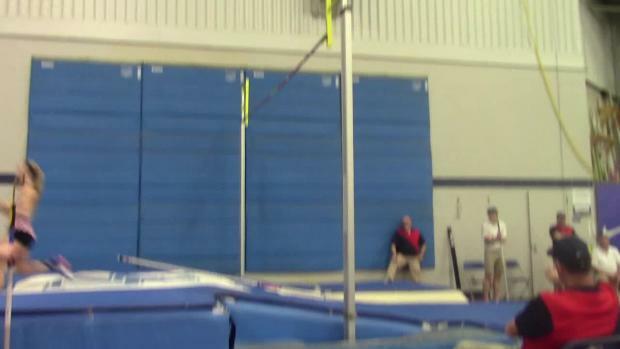 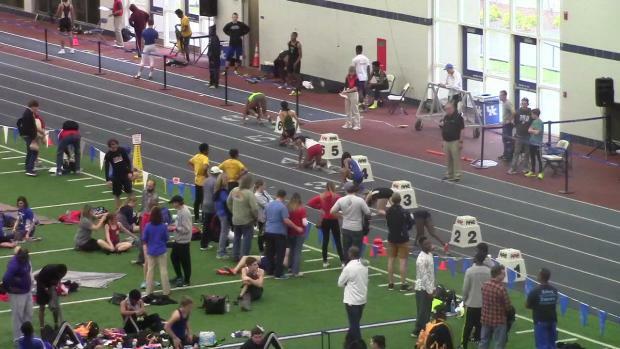 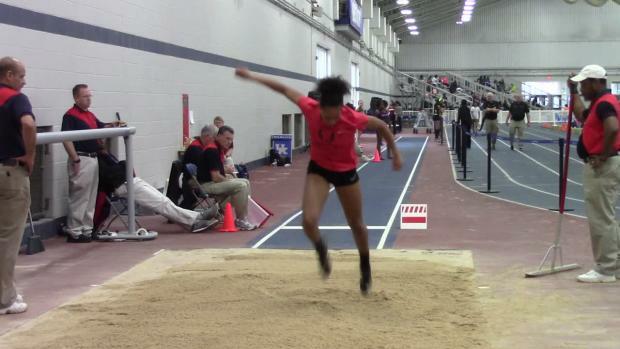 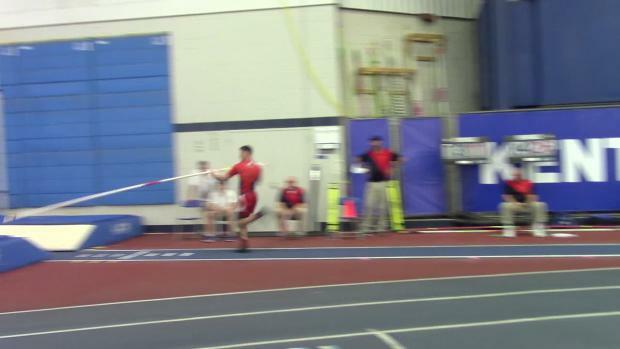 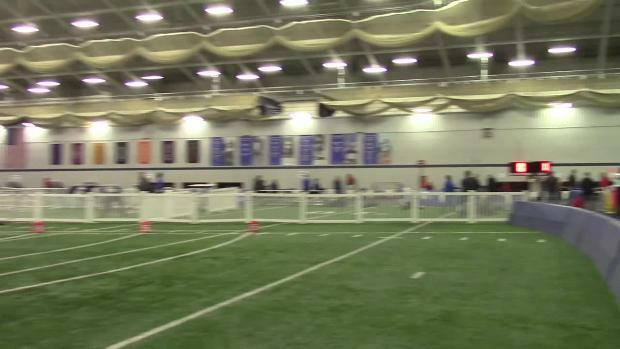 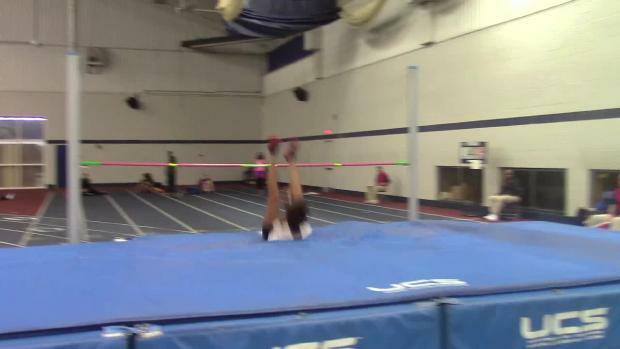 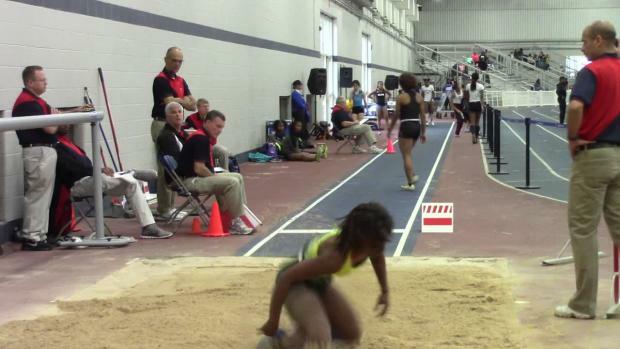 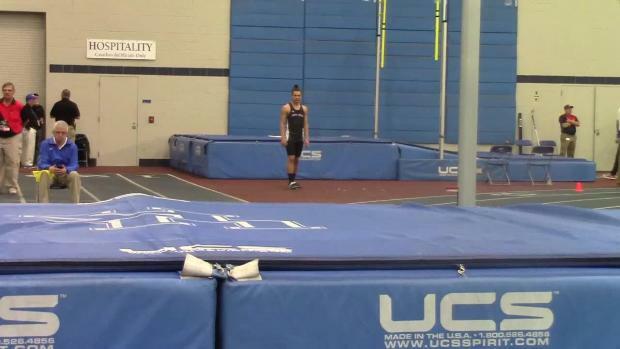 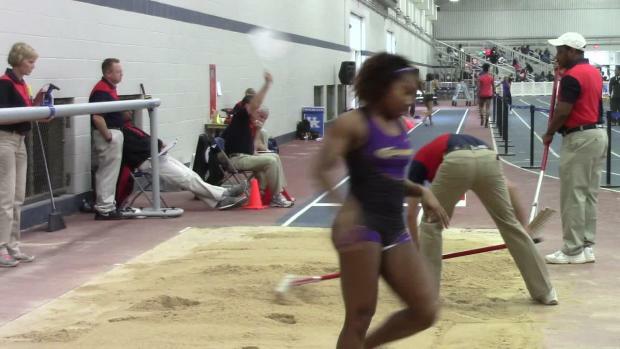 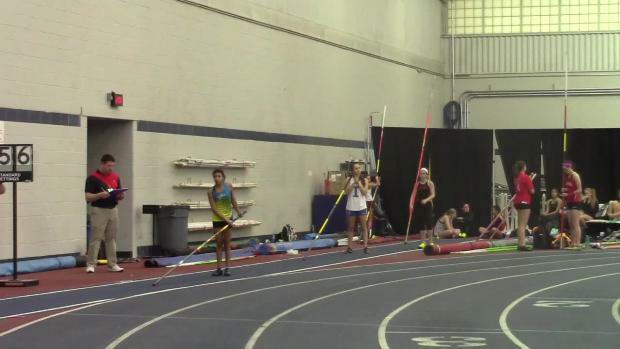 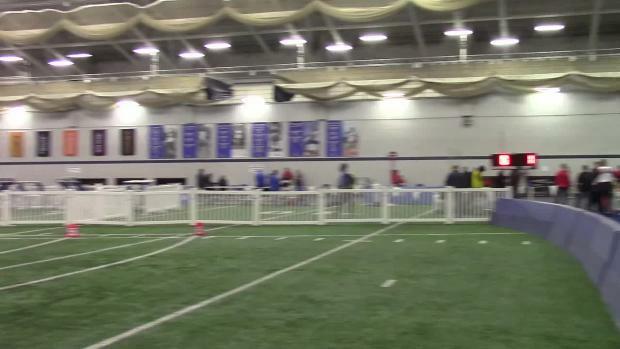 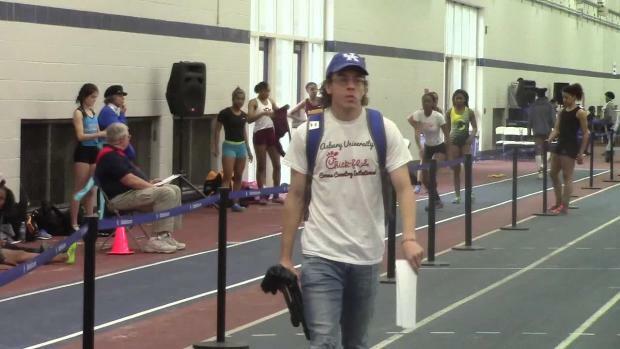 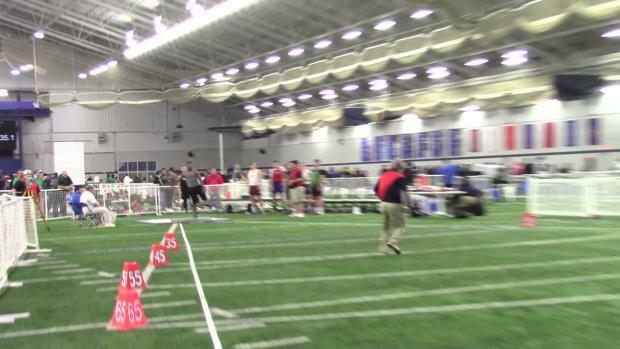 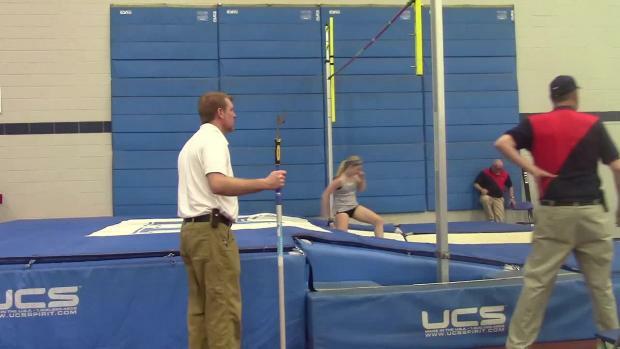 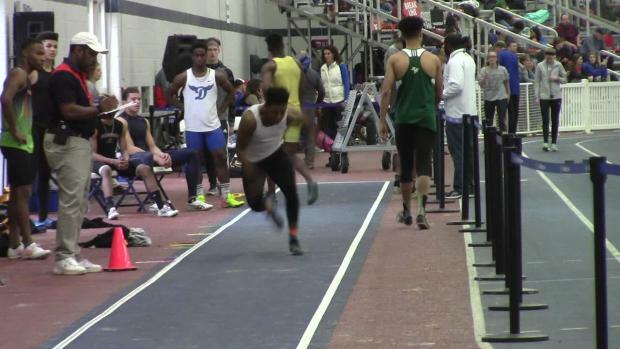 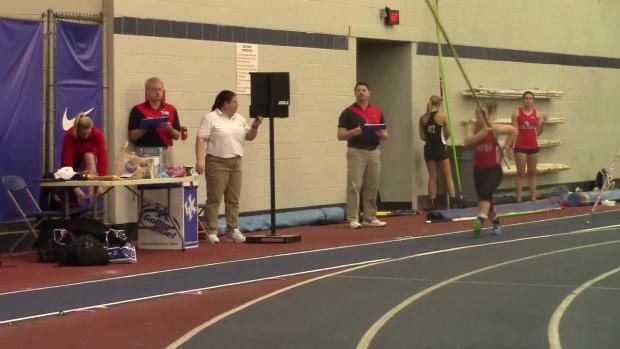 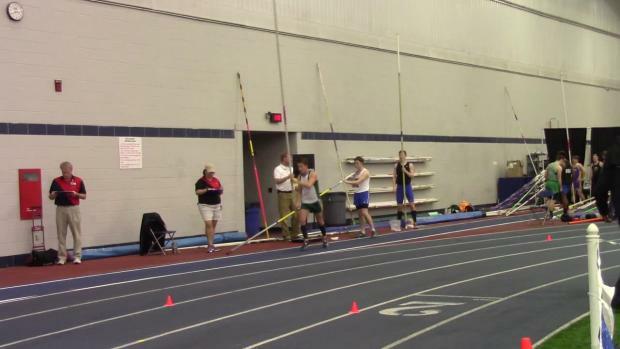 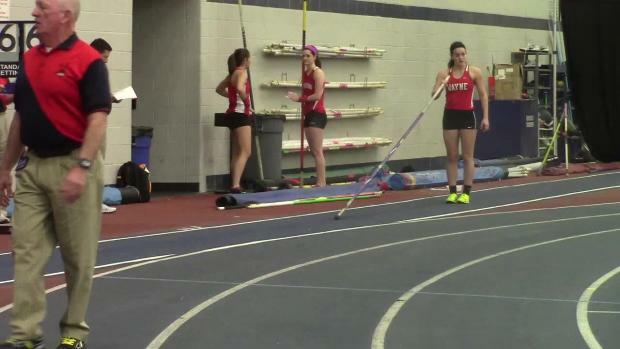 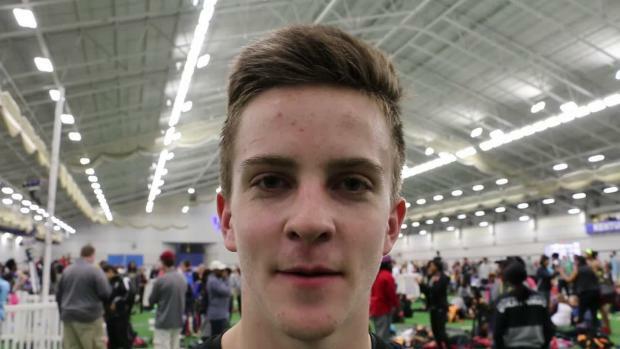 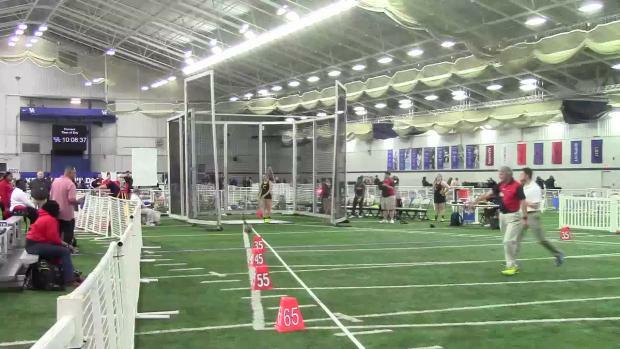 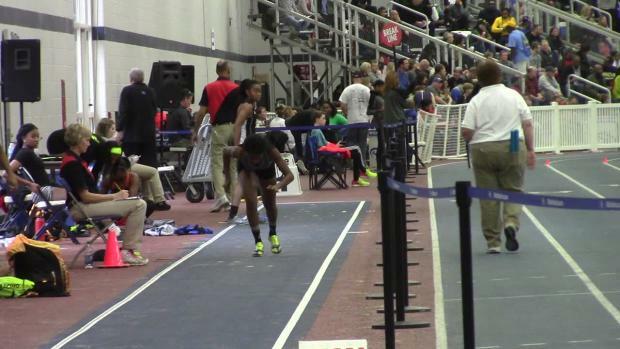 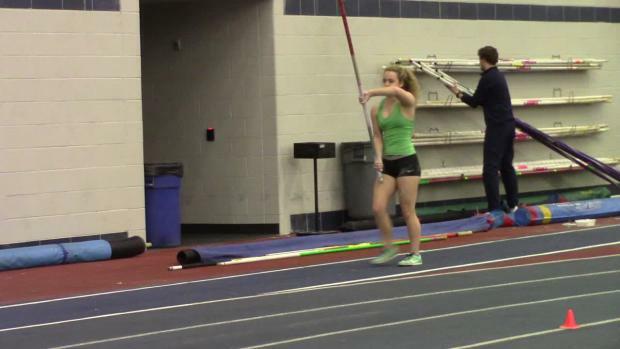 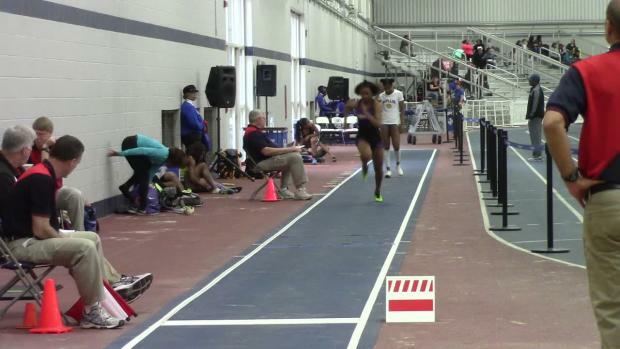 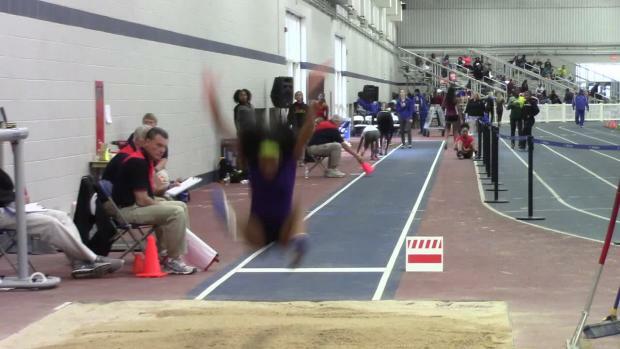 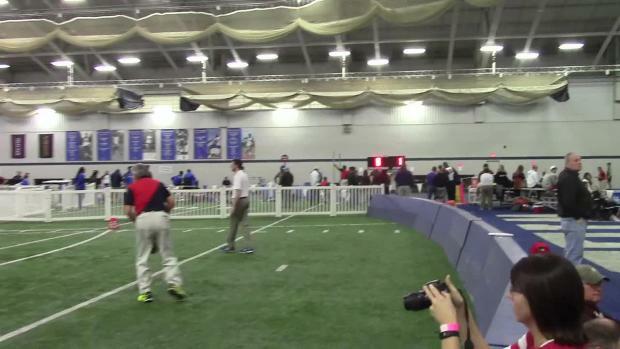 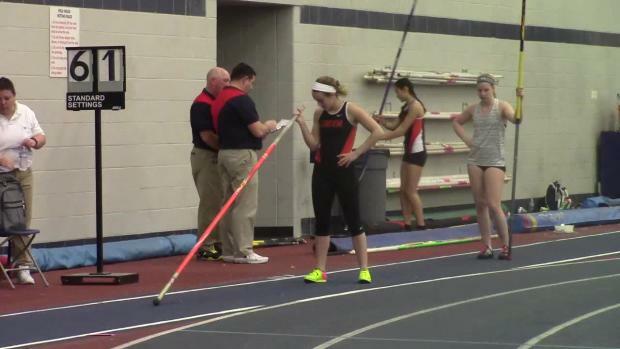 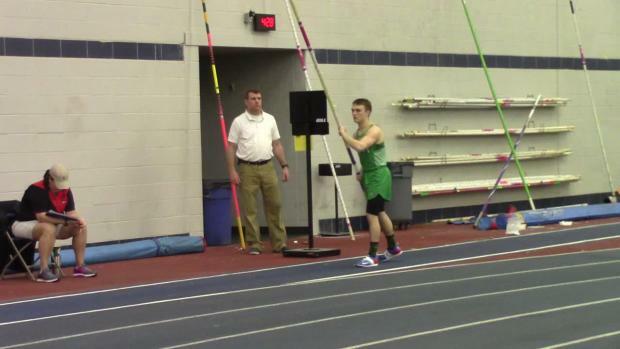 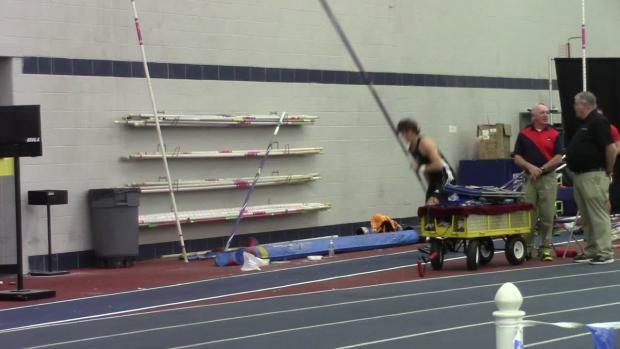 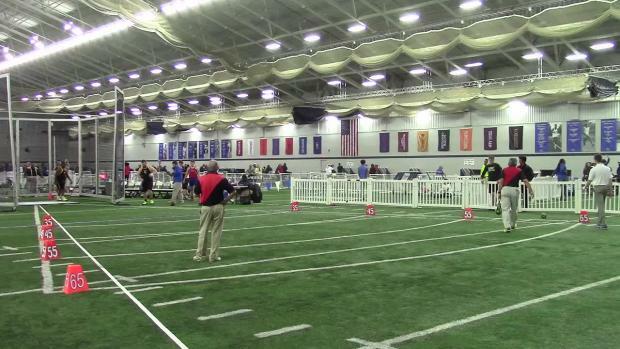 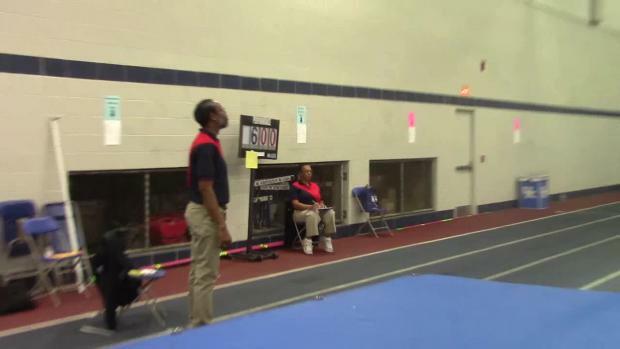 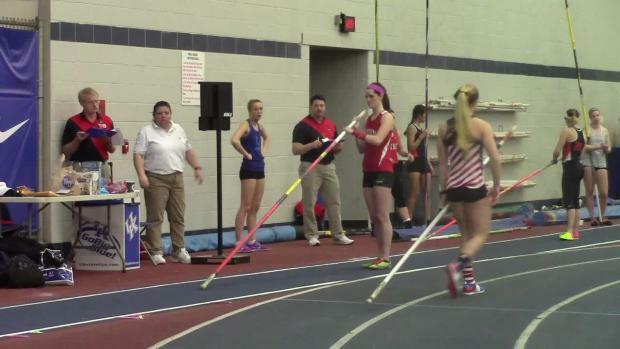 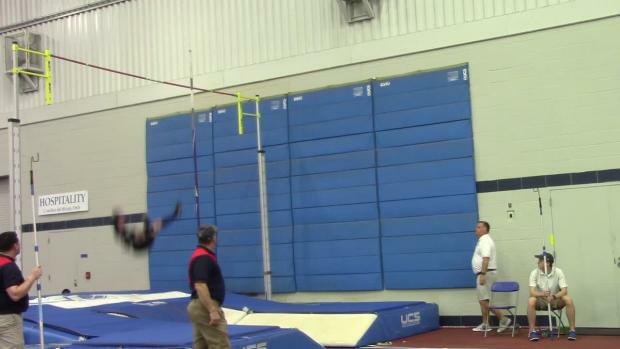 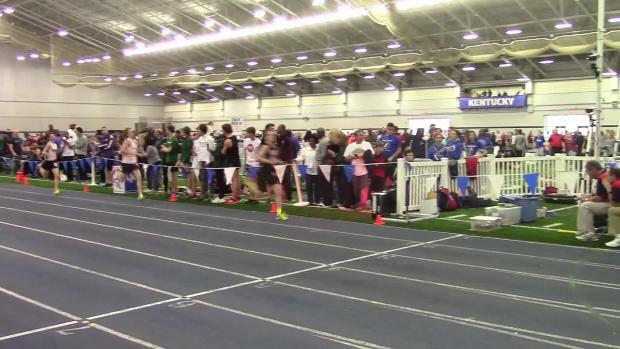 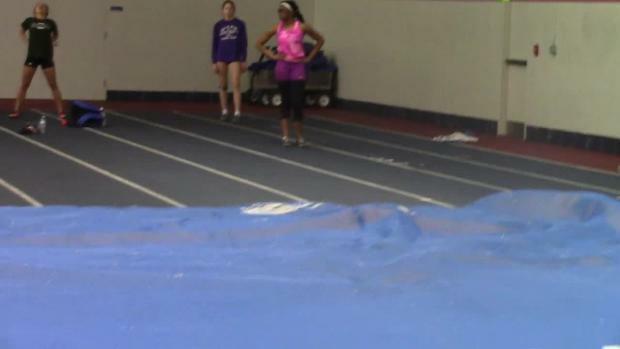 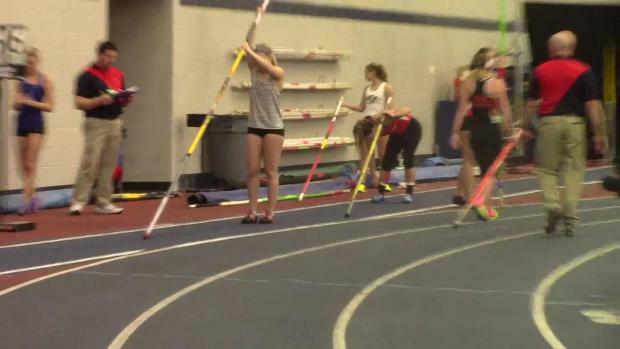 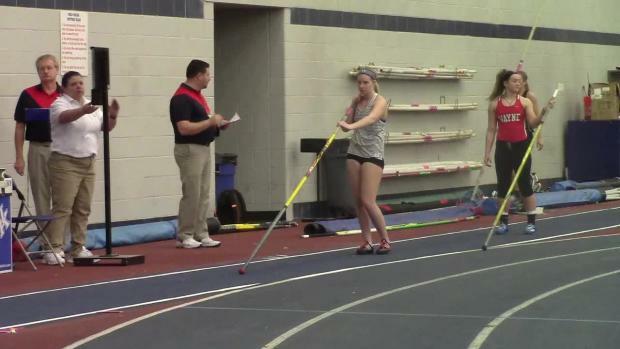 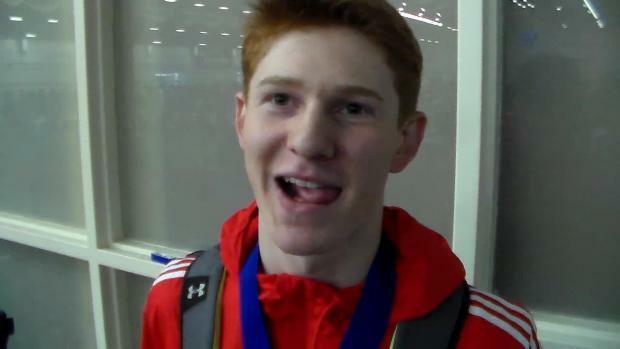 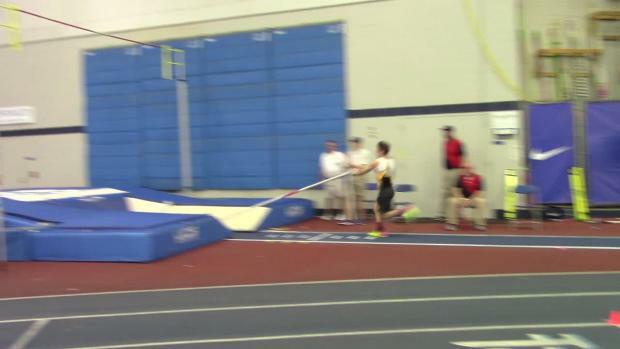 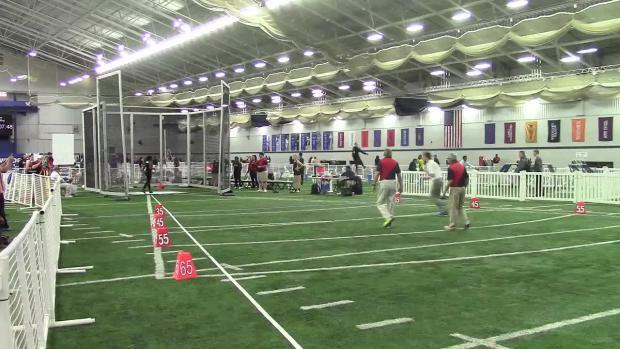 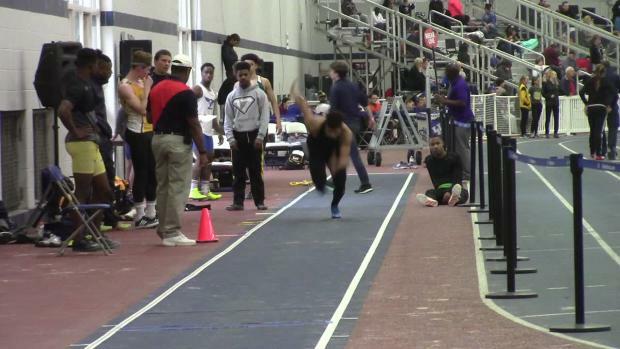 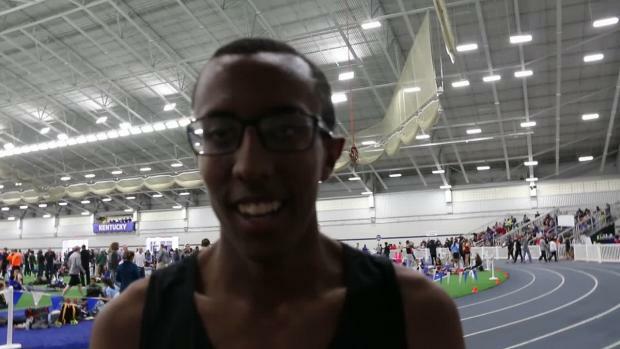 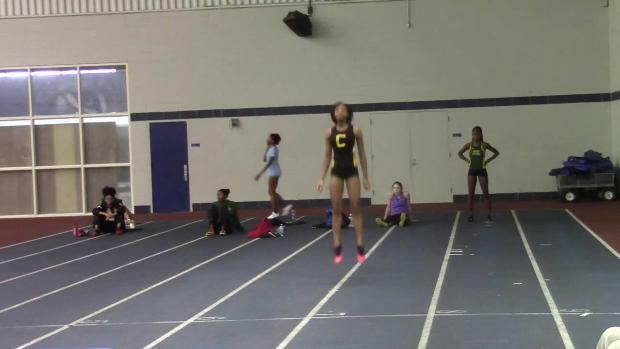 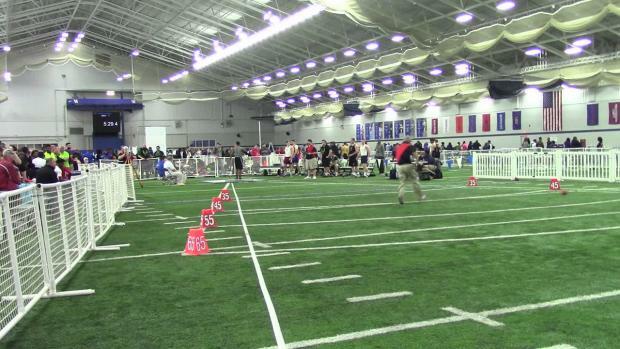 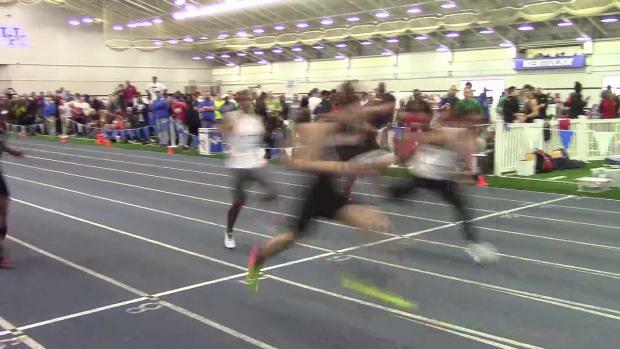 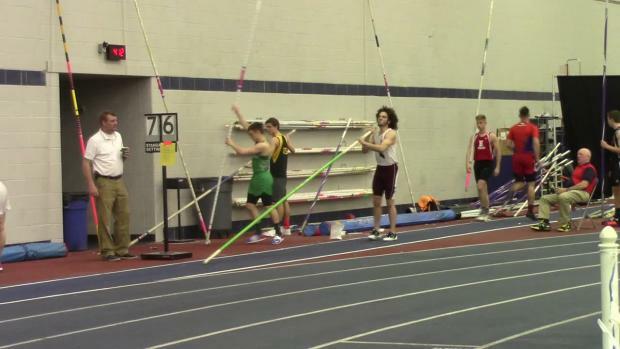 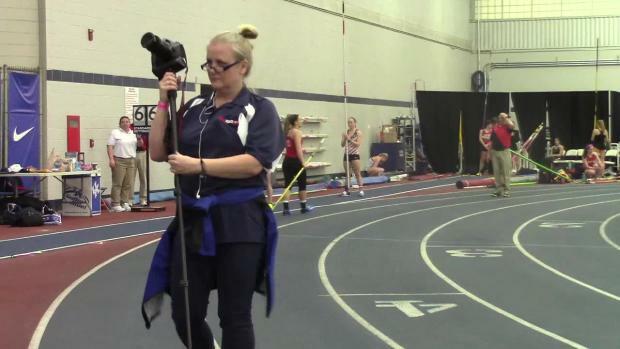 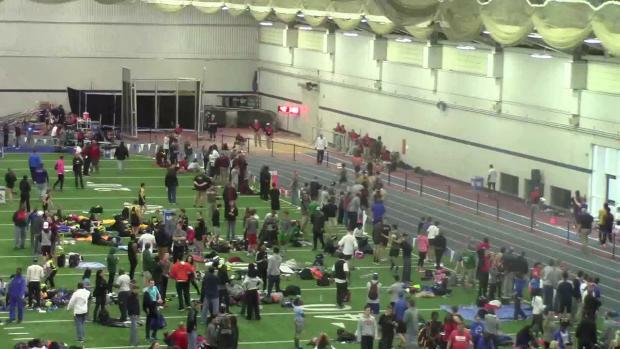 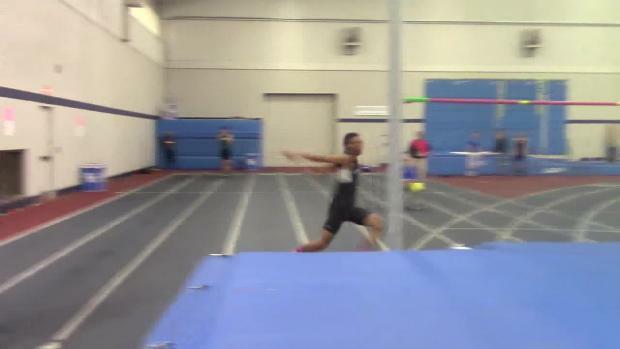 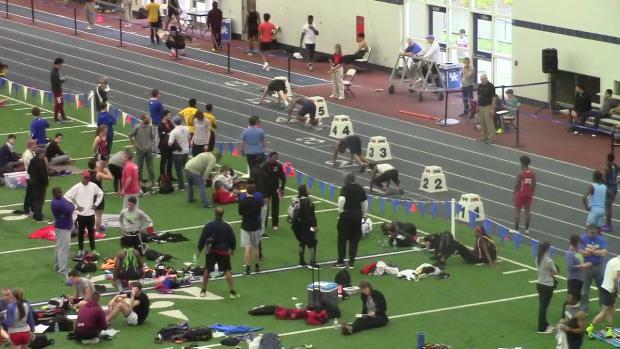 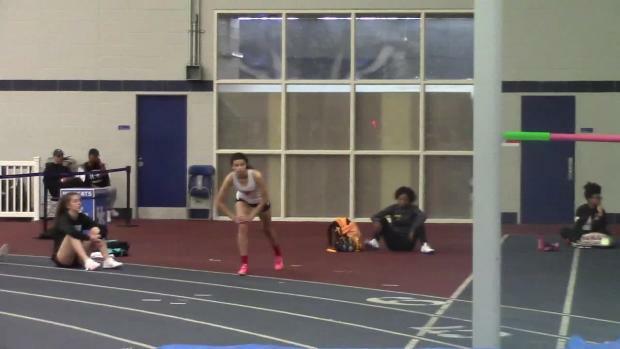 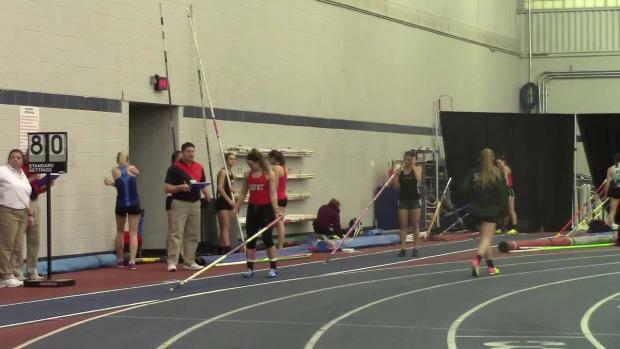 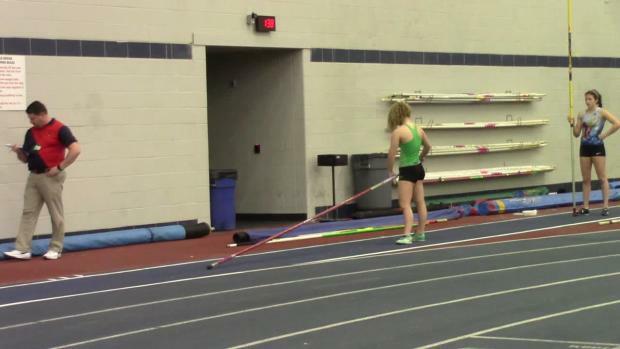 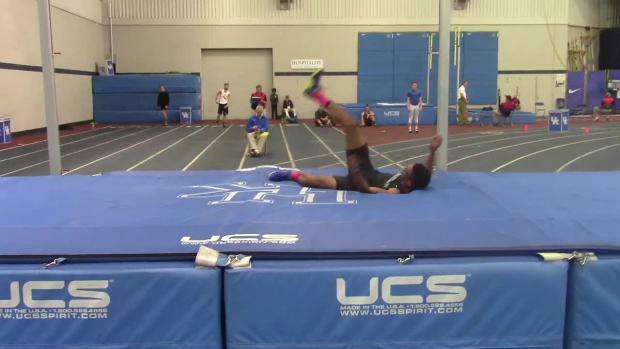 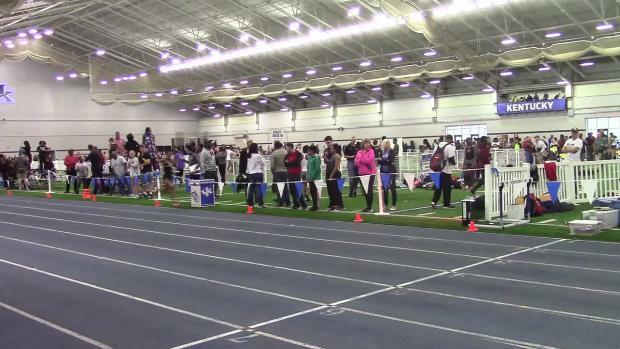 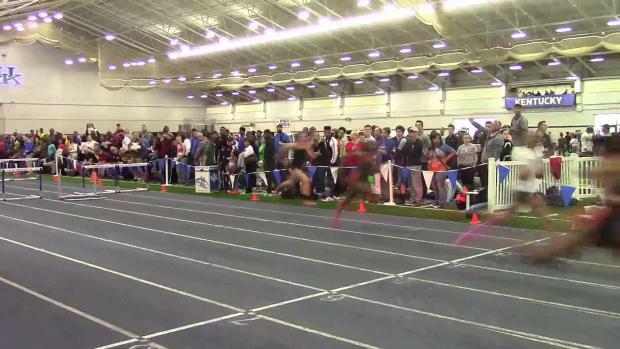 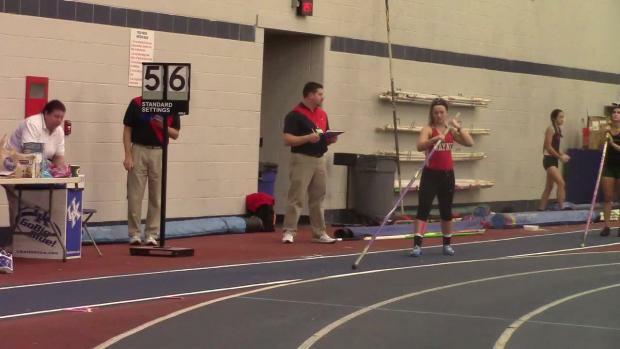 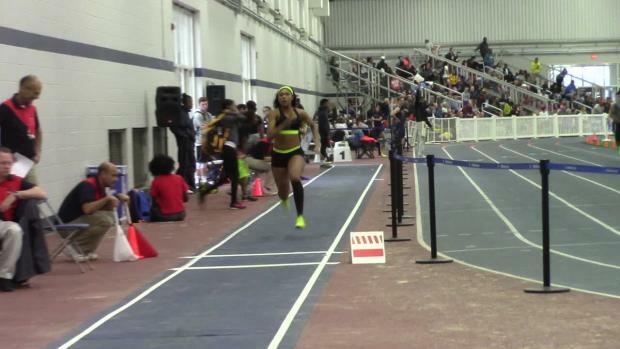 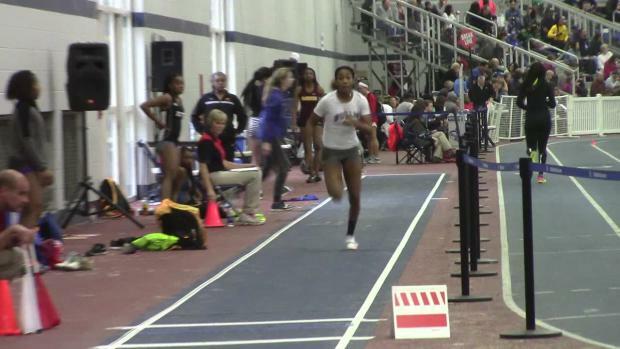 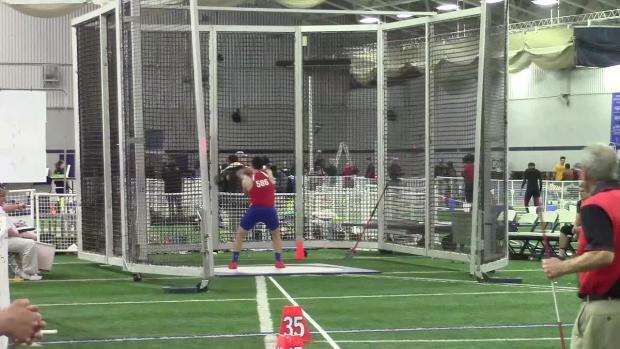 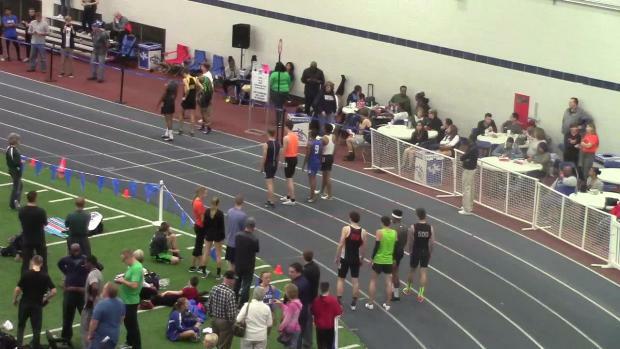 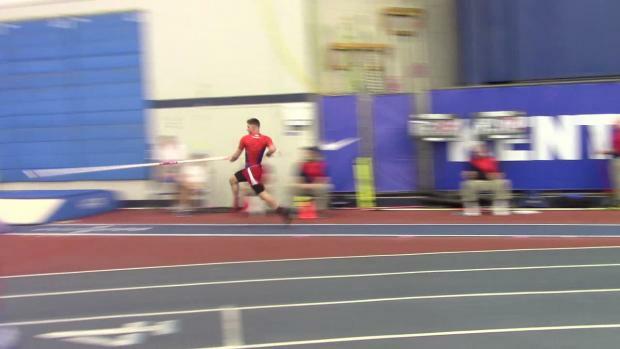 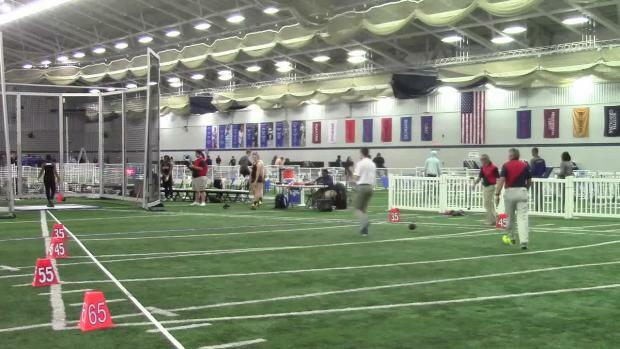 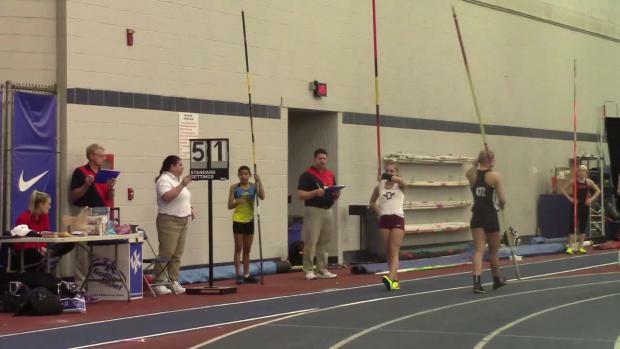 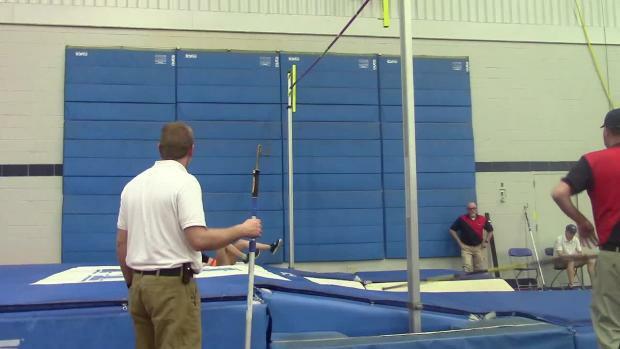 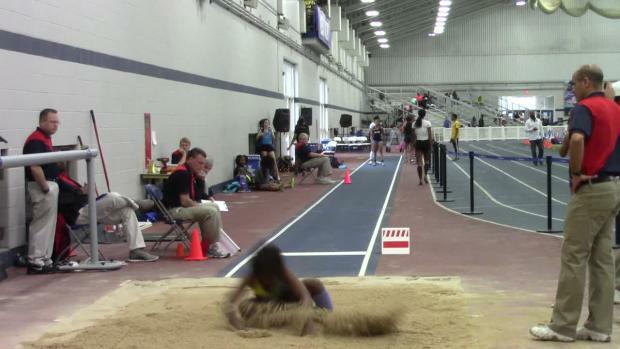 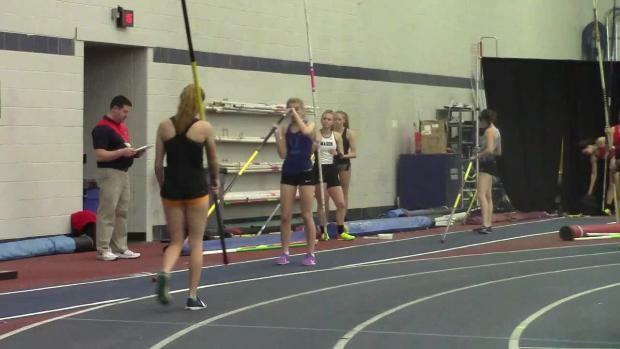 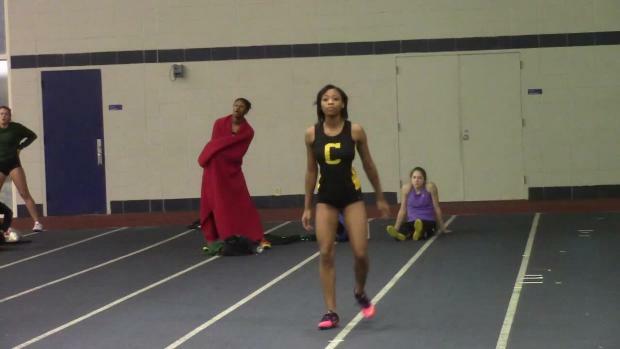 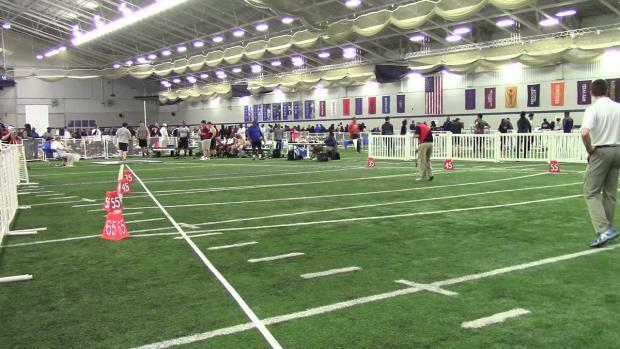 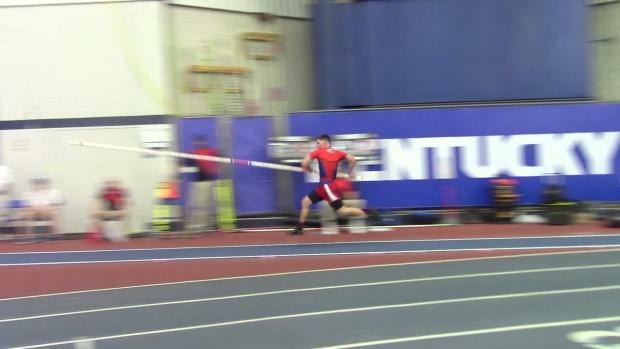 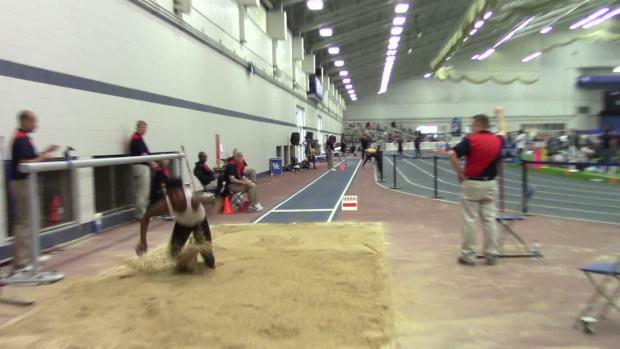 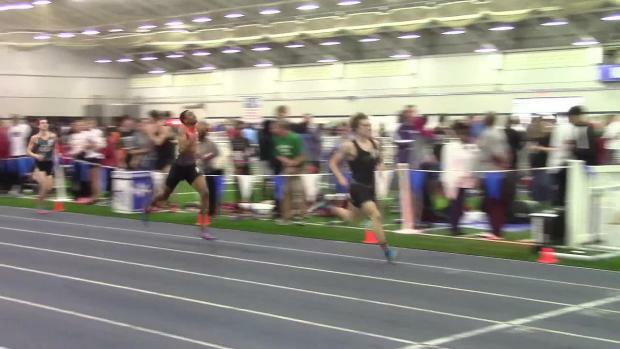 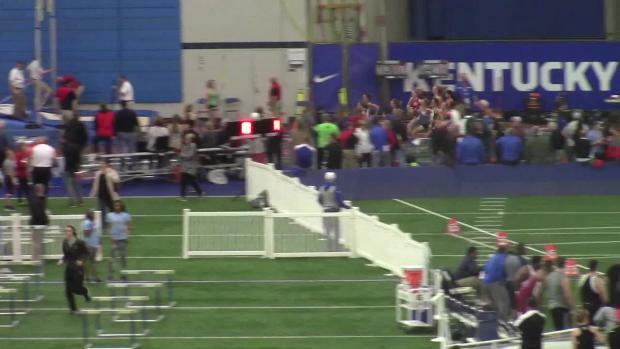 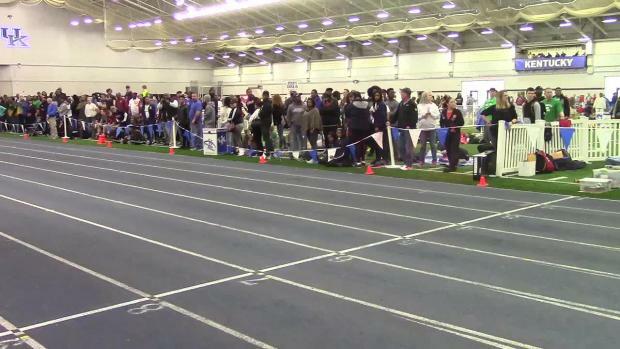 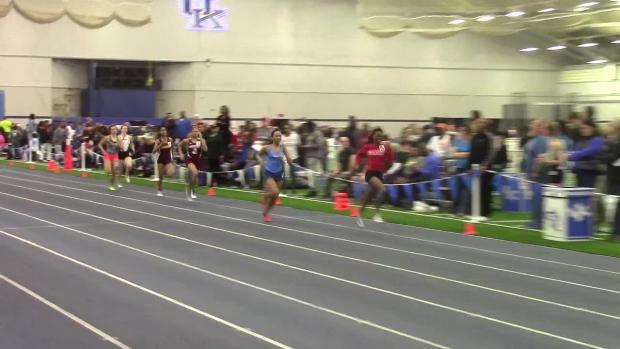 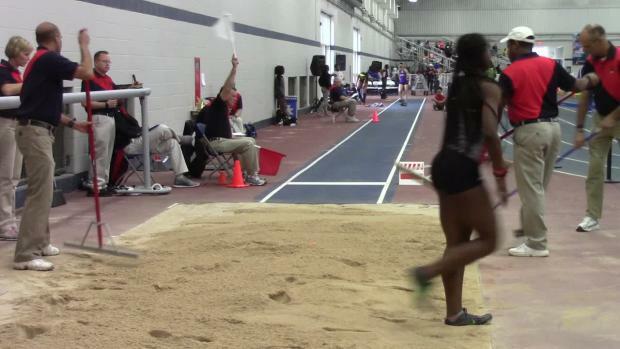 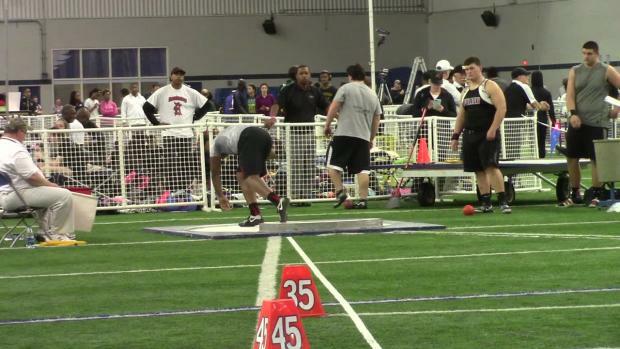 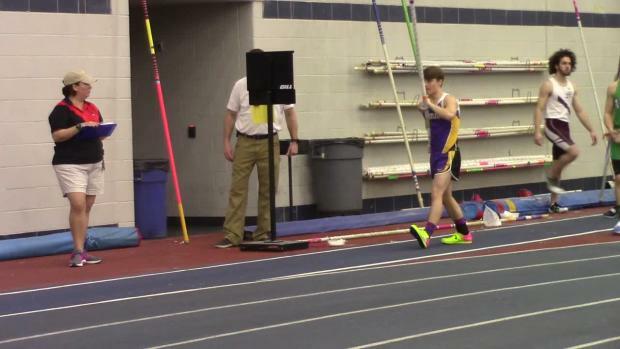 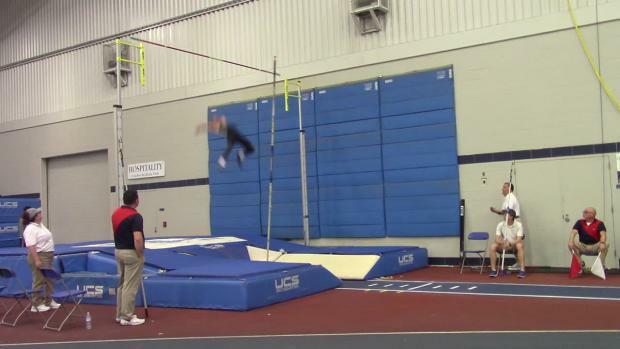 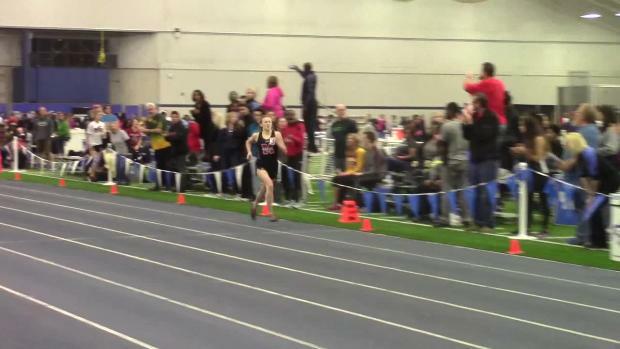 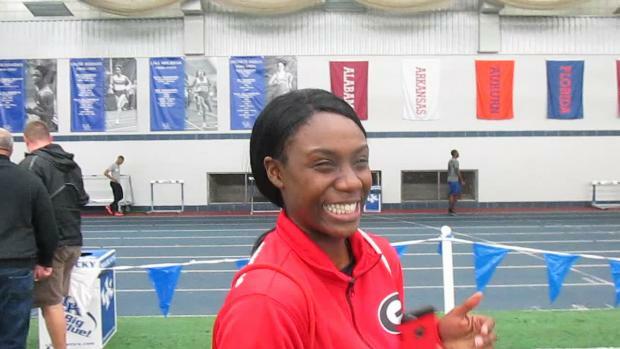 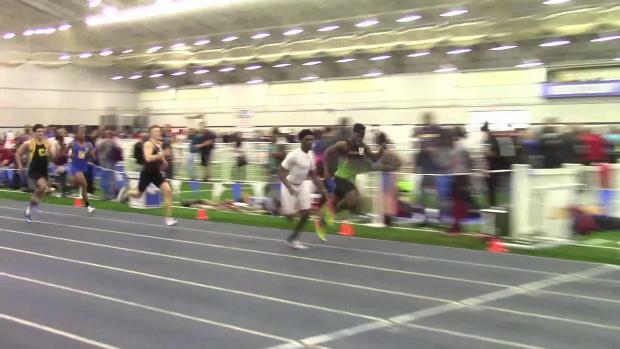 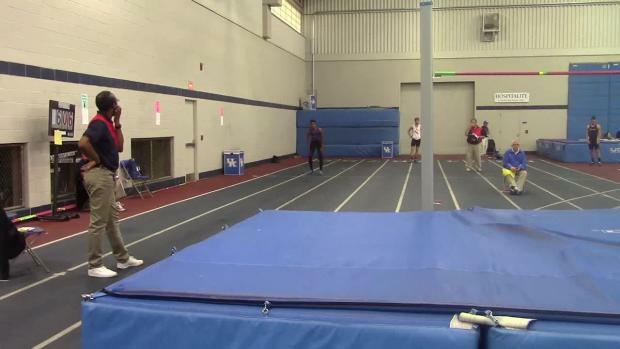 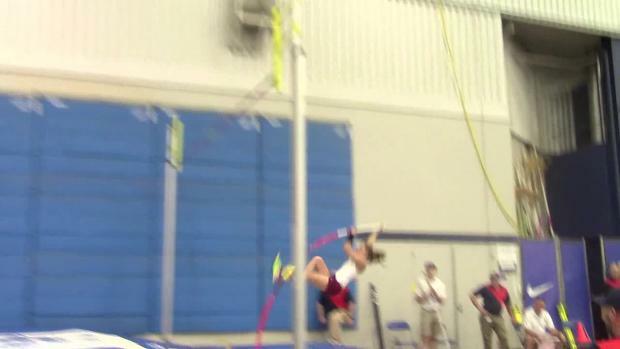 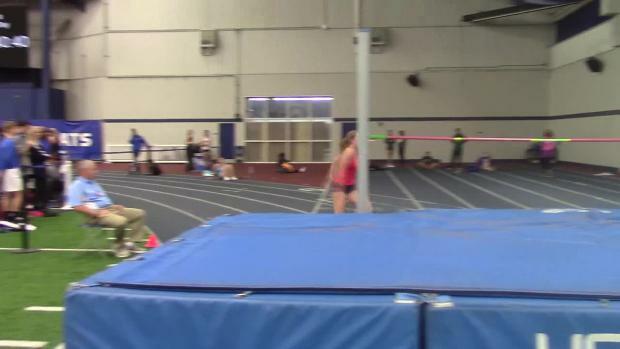 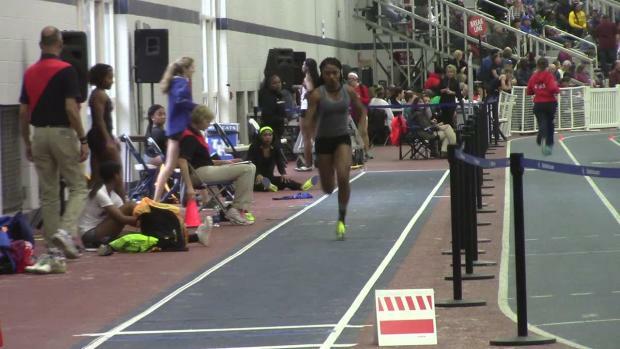 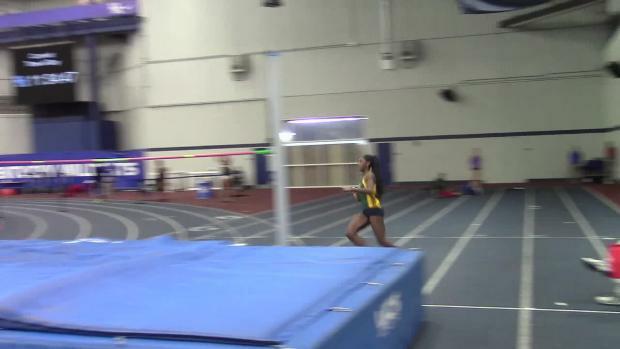 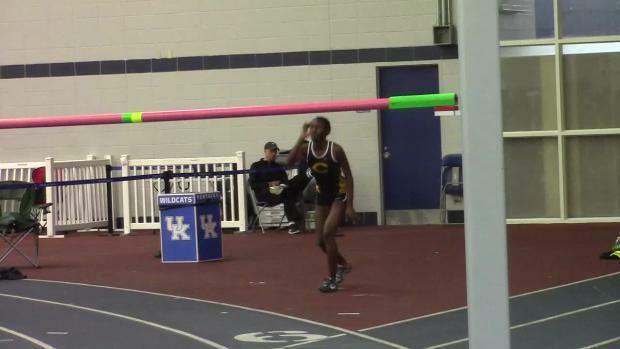 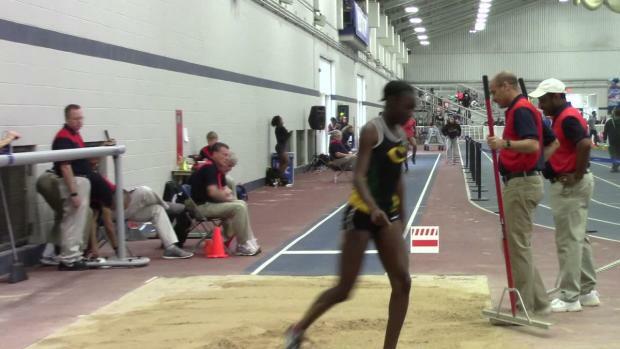 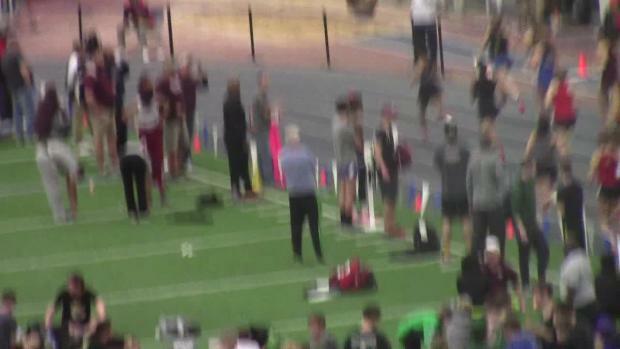 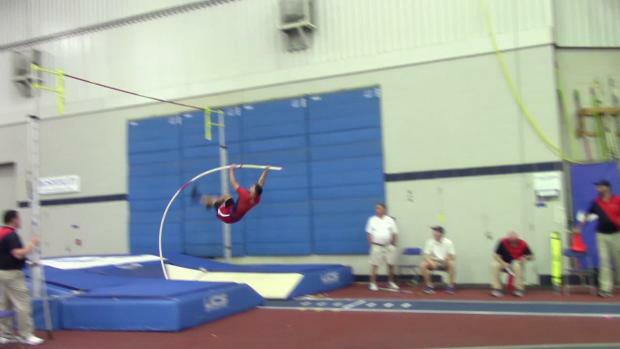 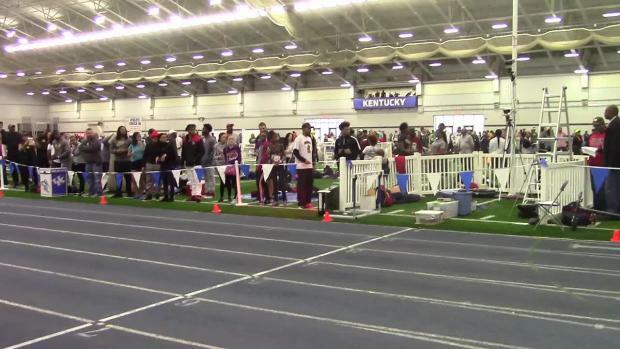 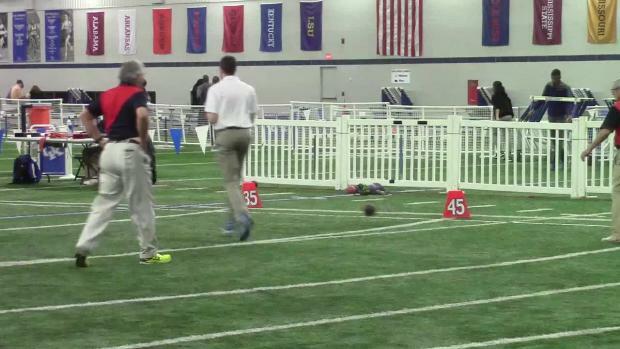 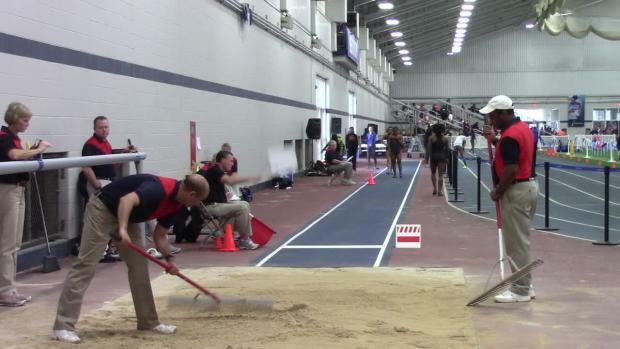 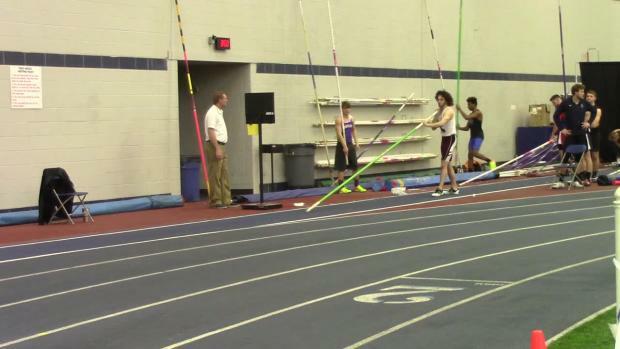 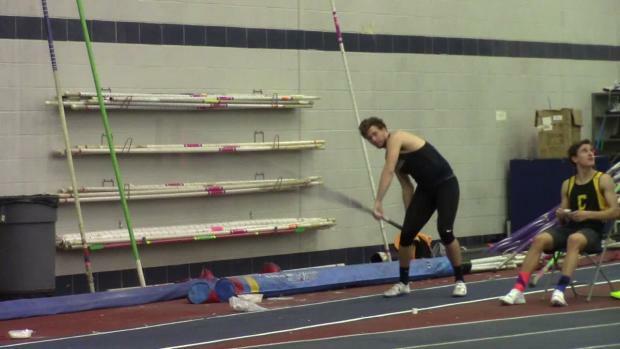 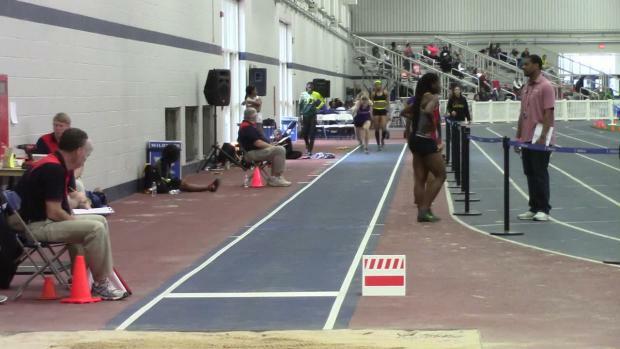 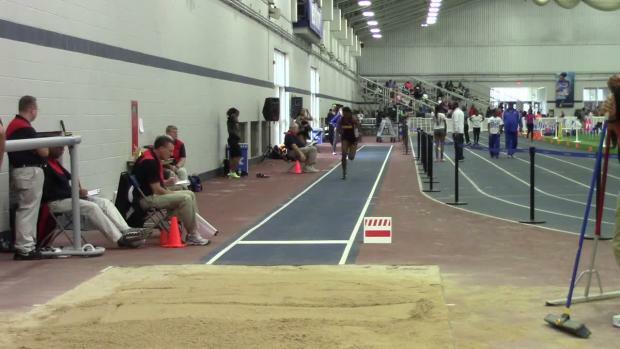 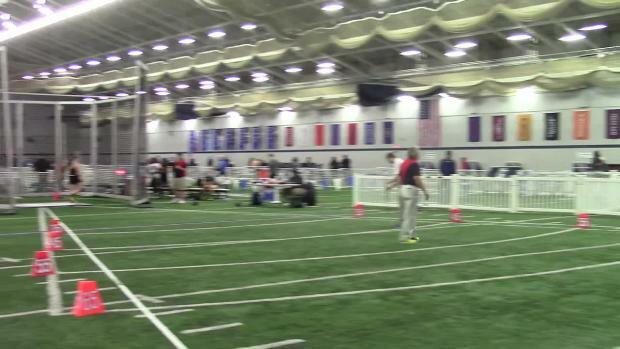 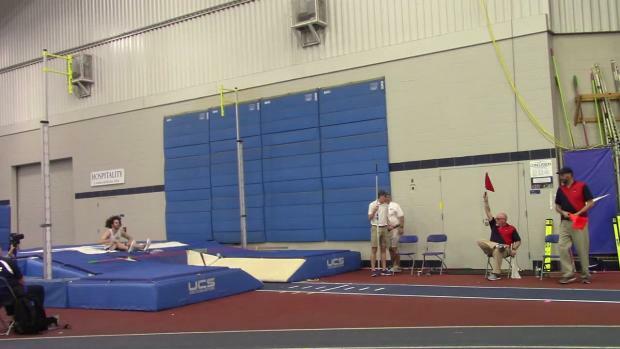 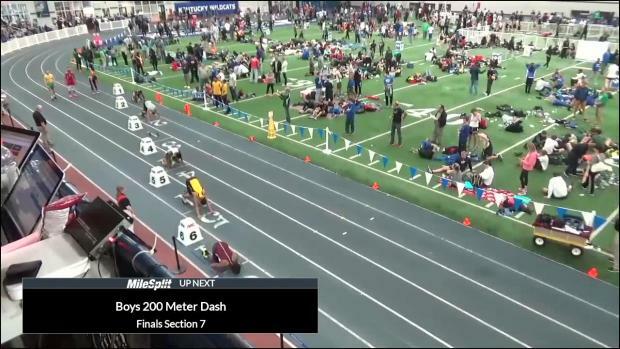 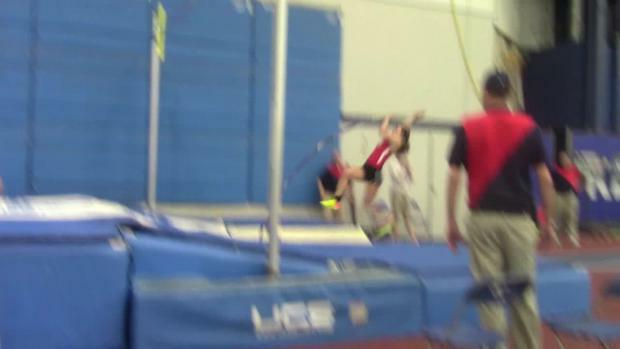 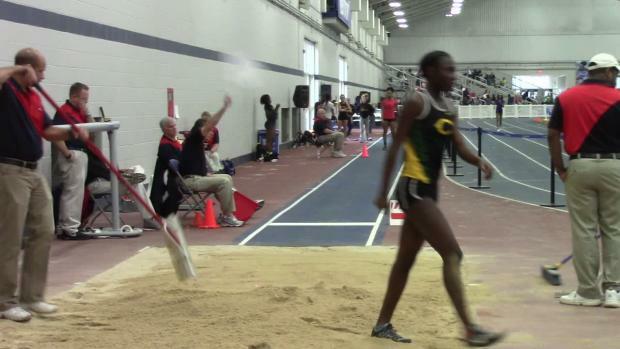 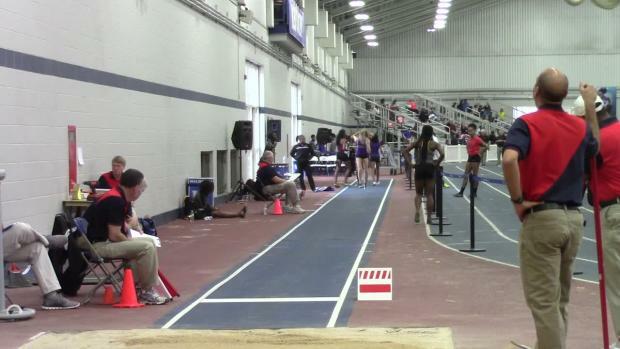 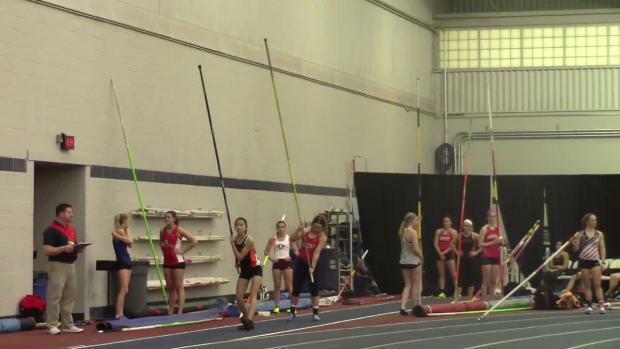 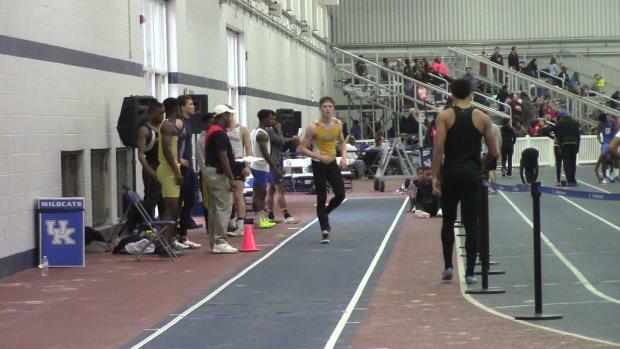 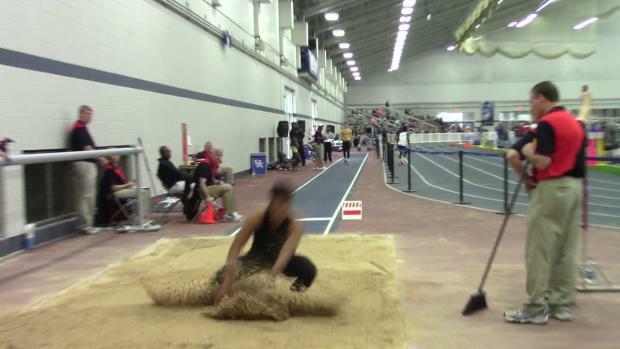 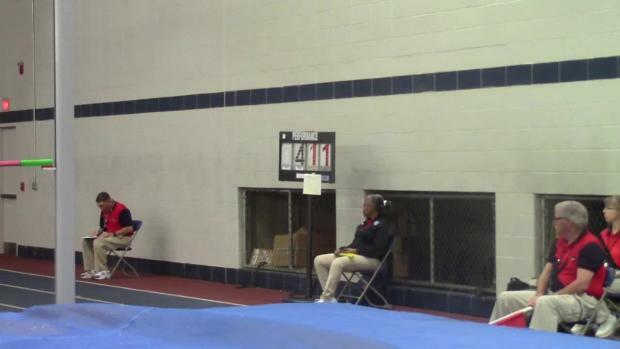 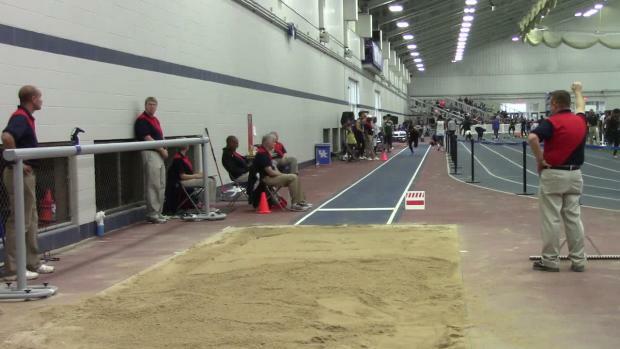 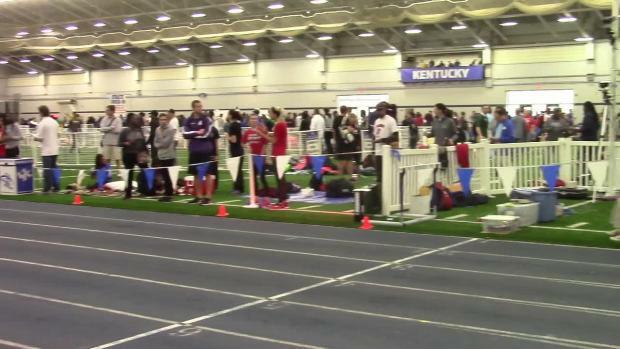 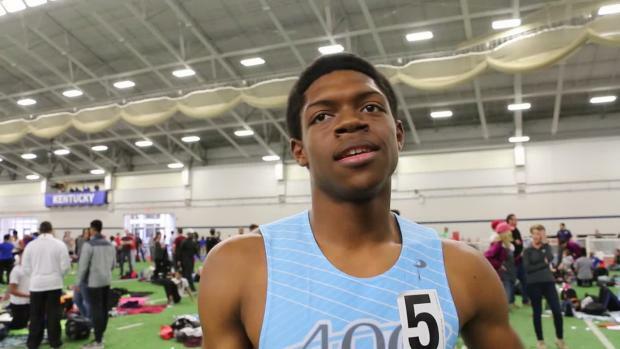 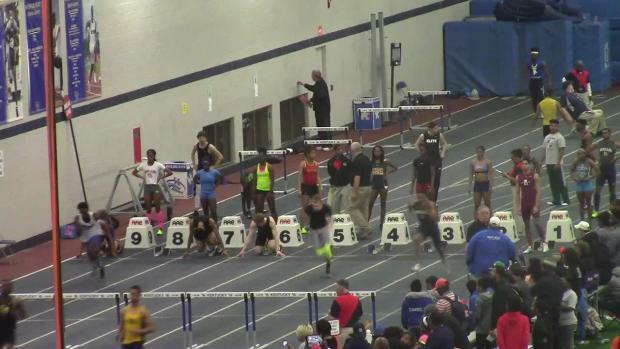 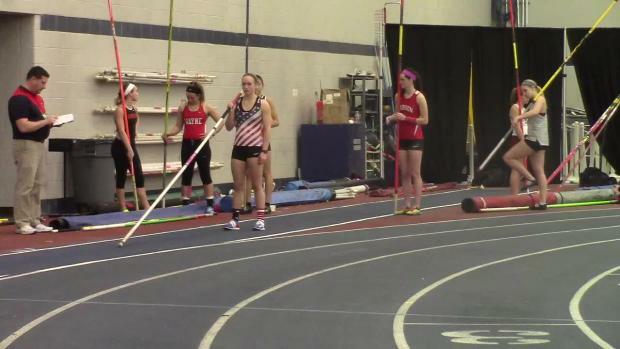 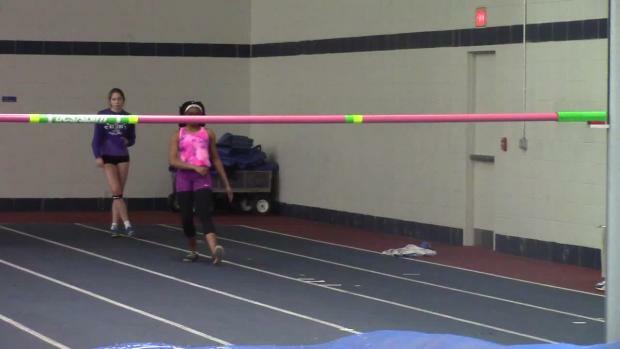 Check out all of the entries from a NATIONAL powerhouse meet! 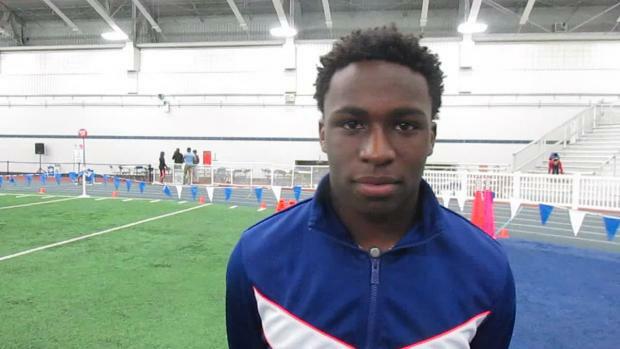 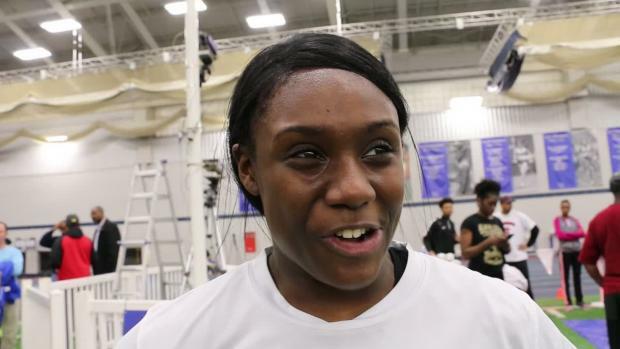 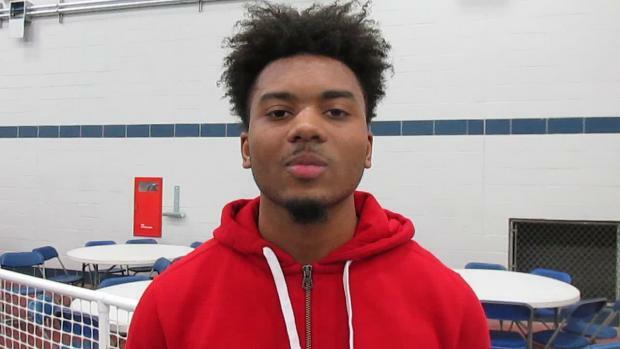 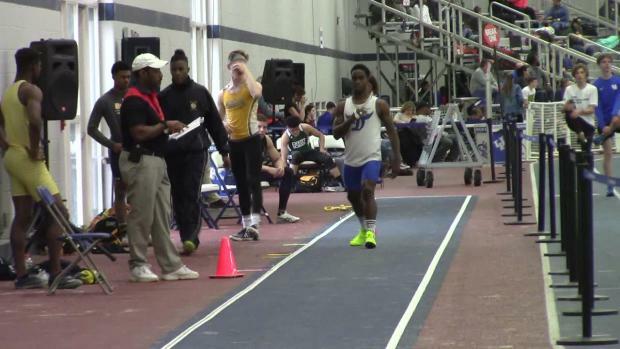 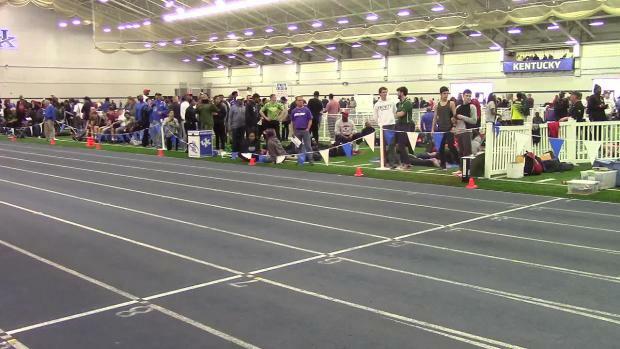 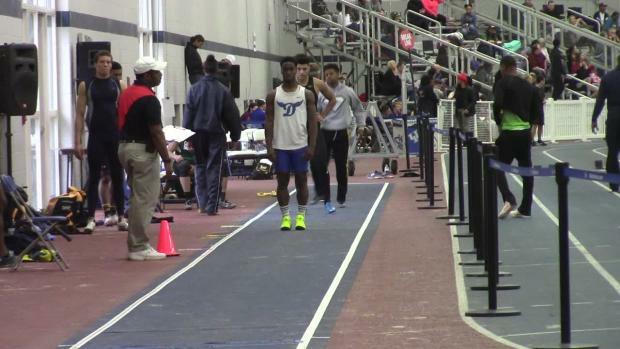 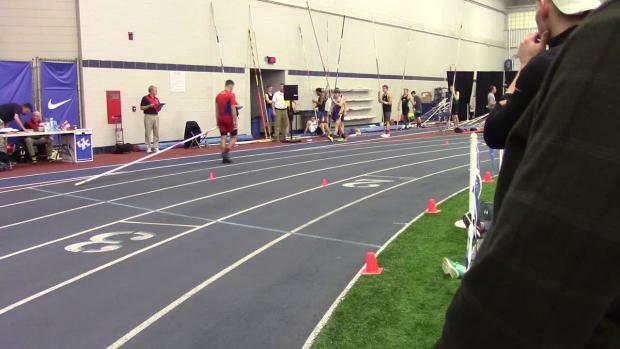 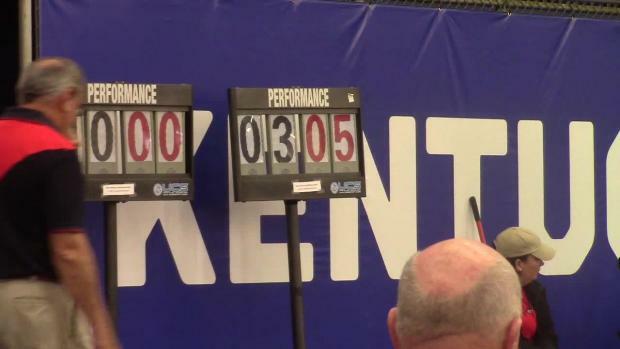 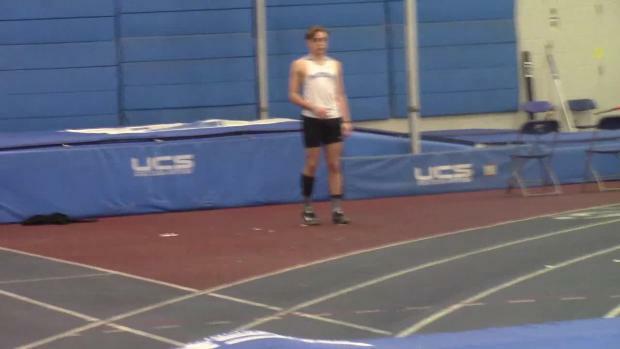 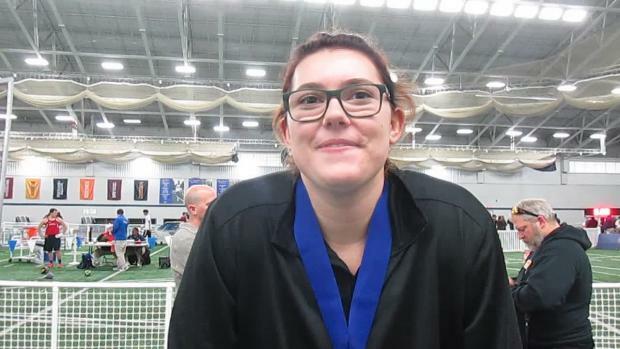 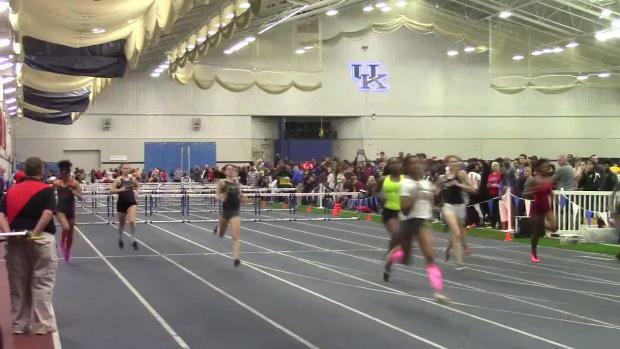 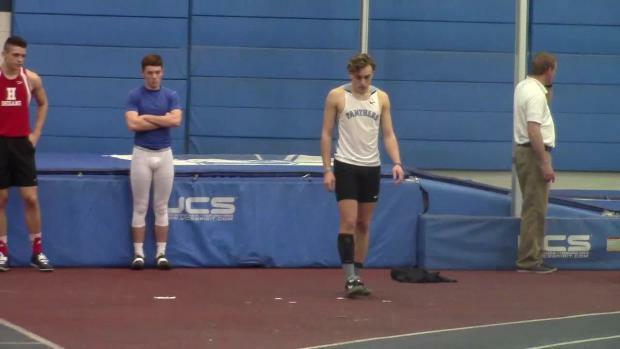 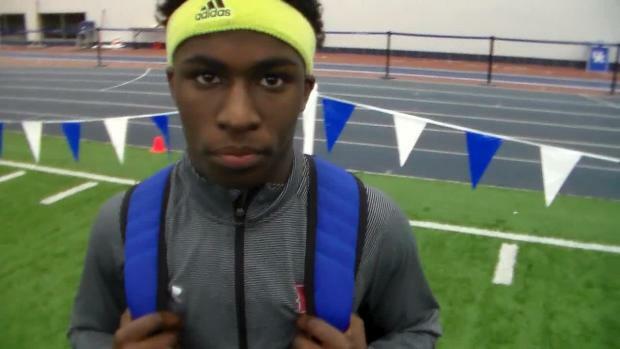 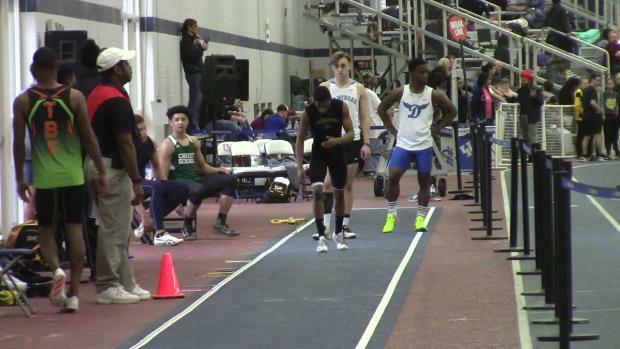 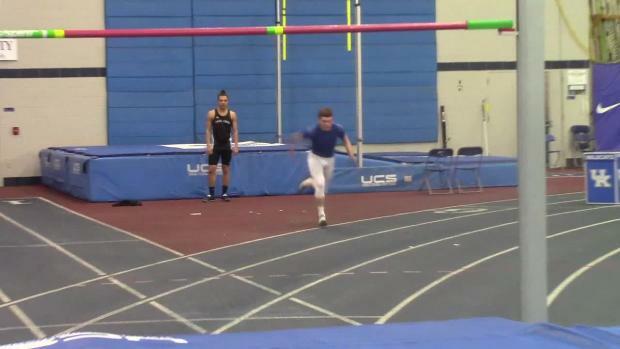 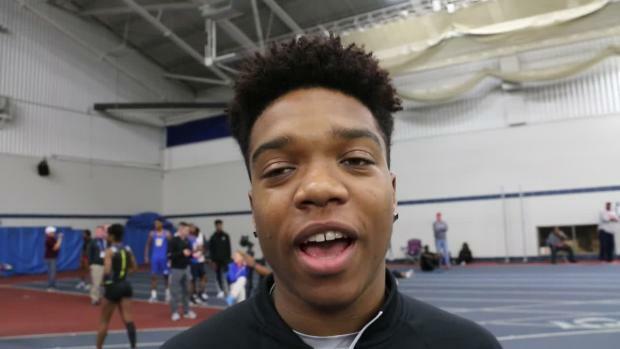 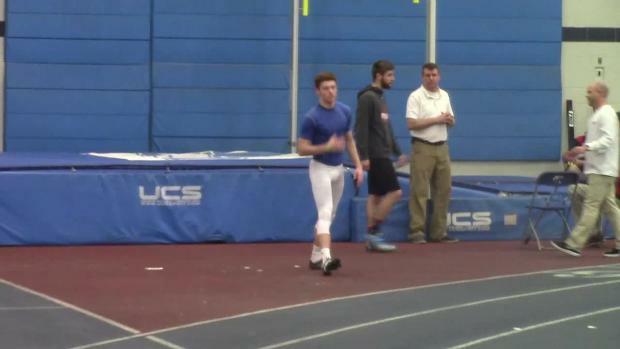 The 2016 edition of the UK HS Invite rewrote the record books. 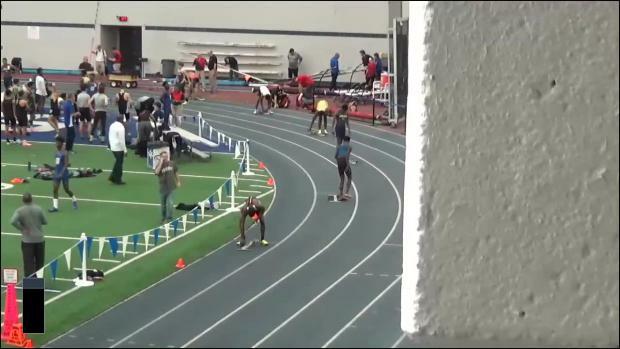 Can 2017 top it? 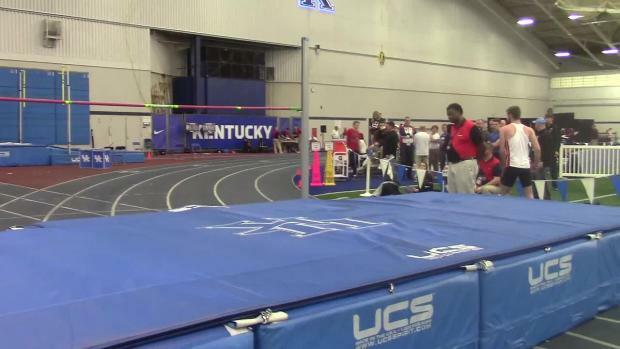 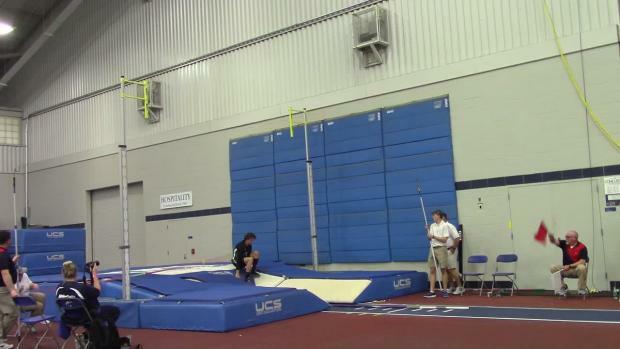 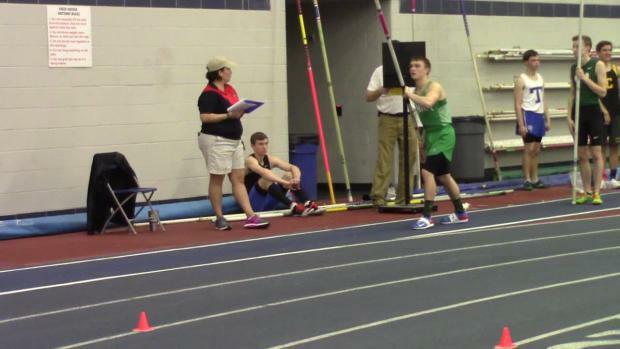 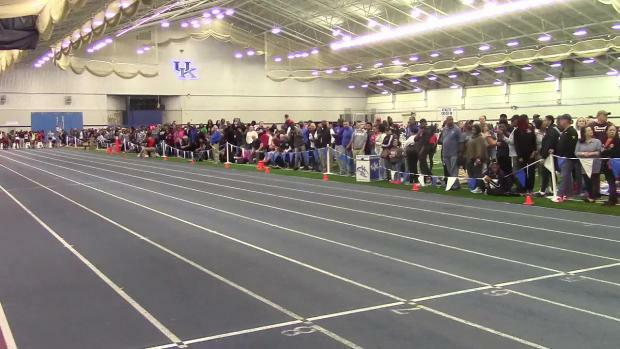 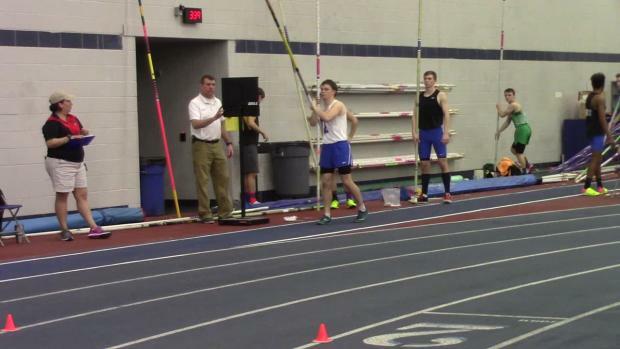 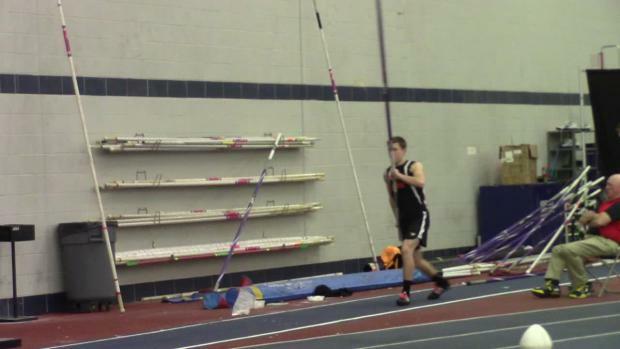 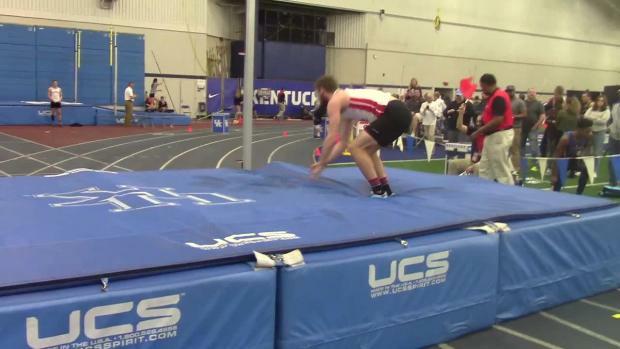 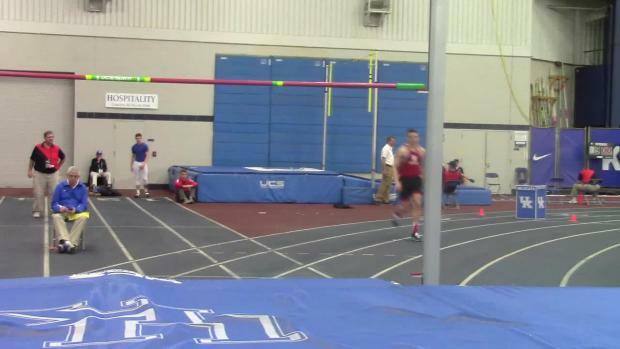 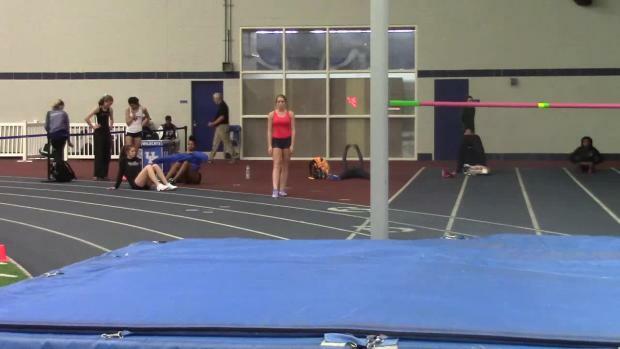 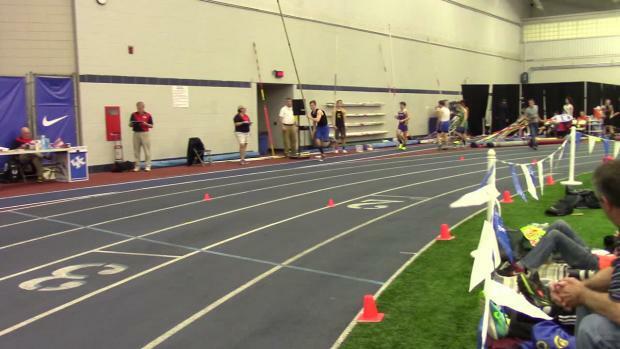 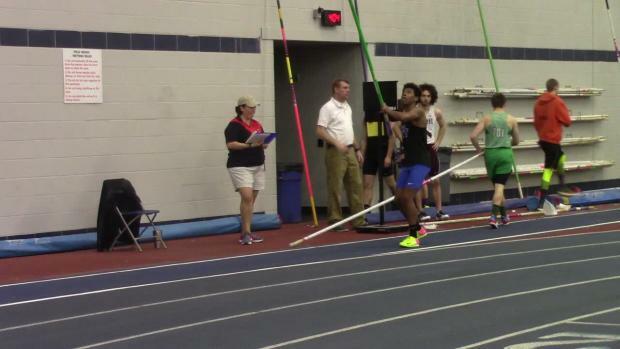 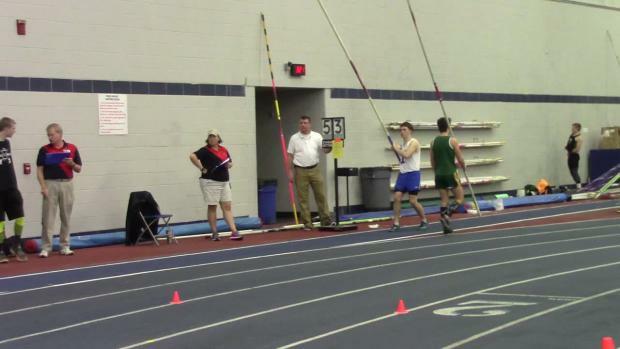 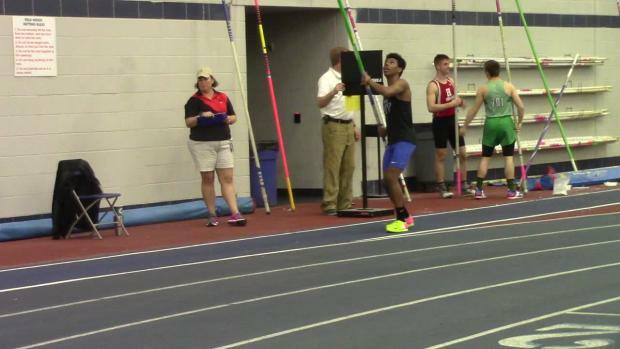 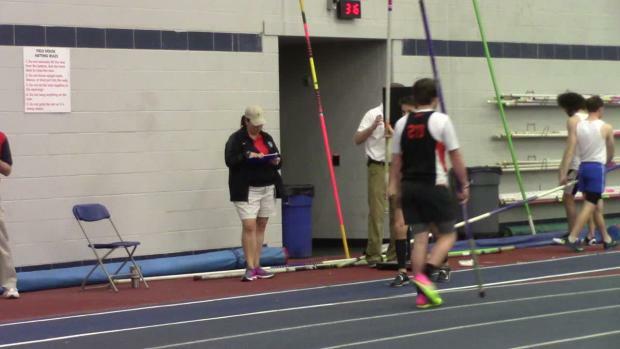 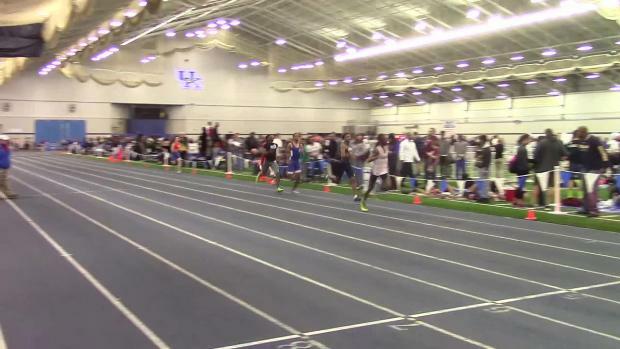 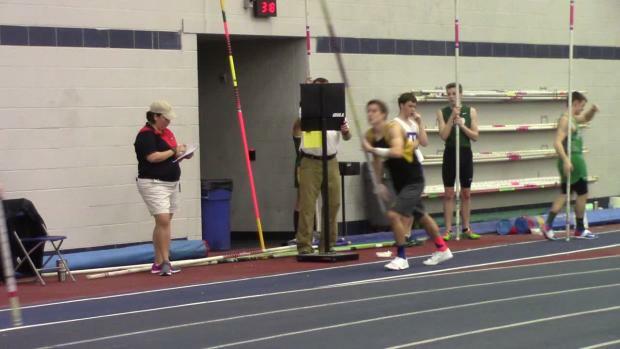 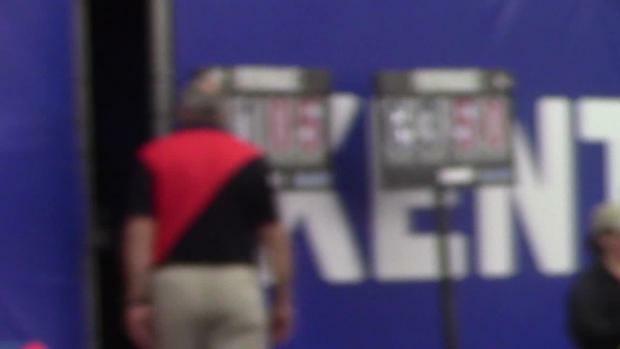 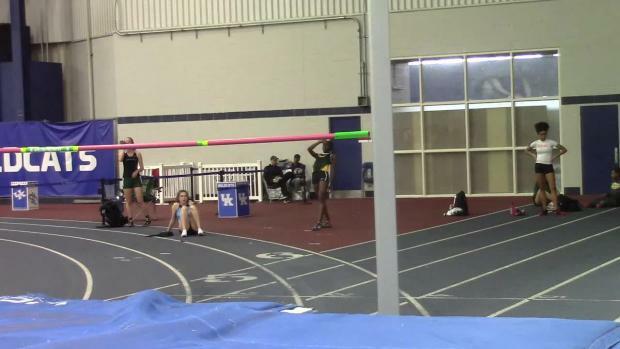 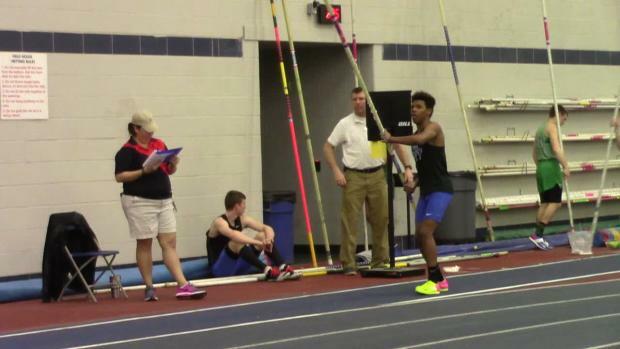 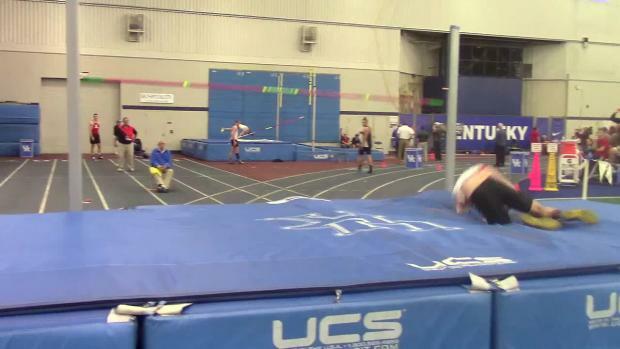 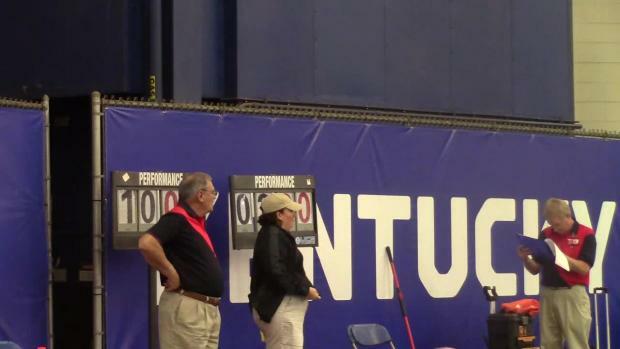 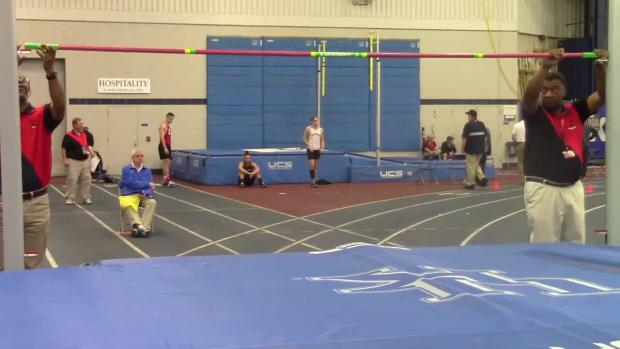 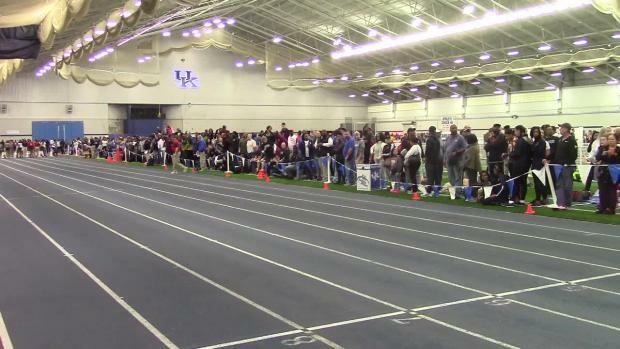 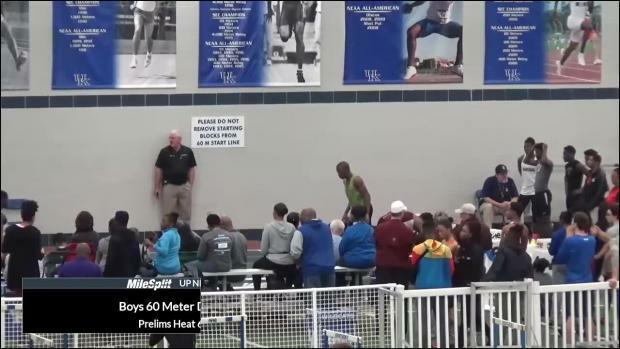 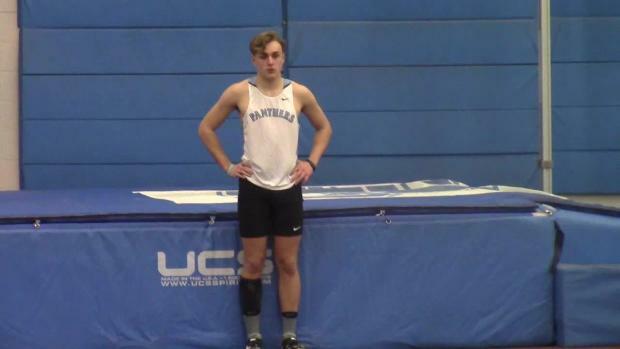 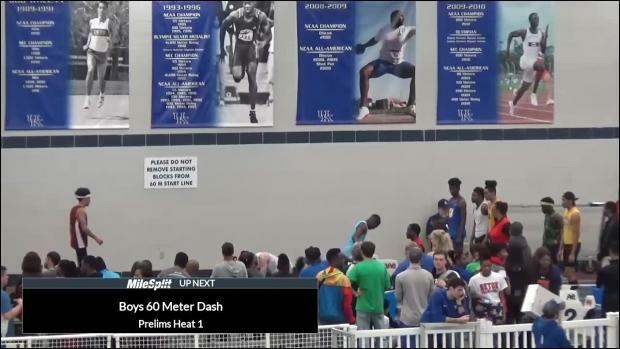 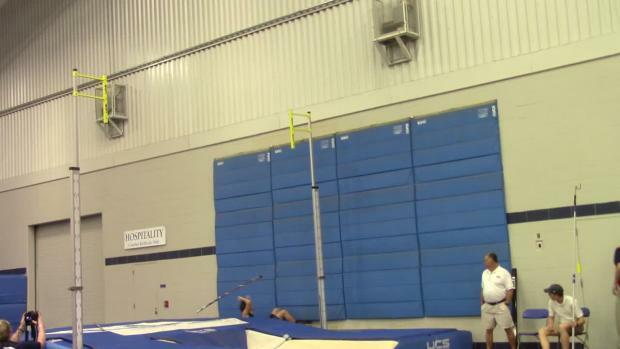 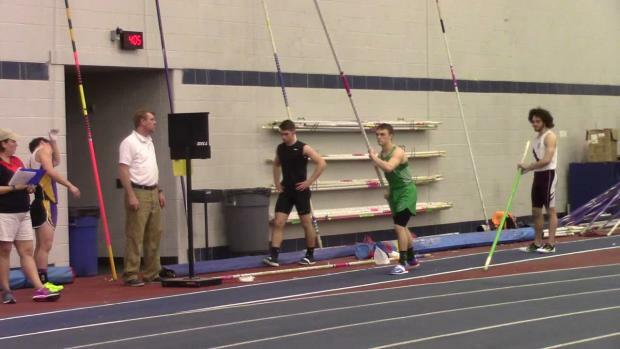 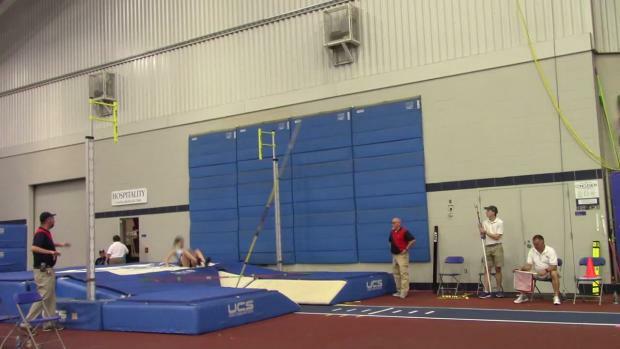 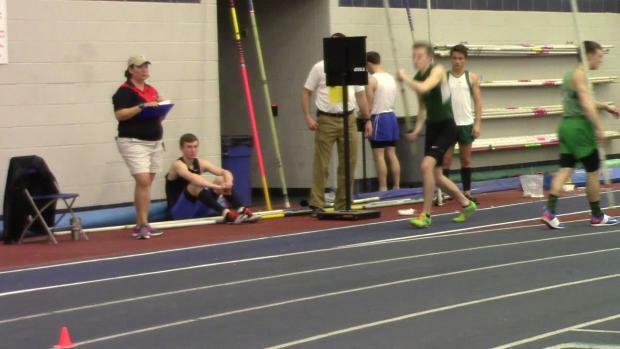 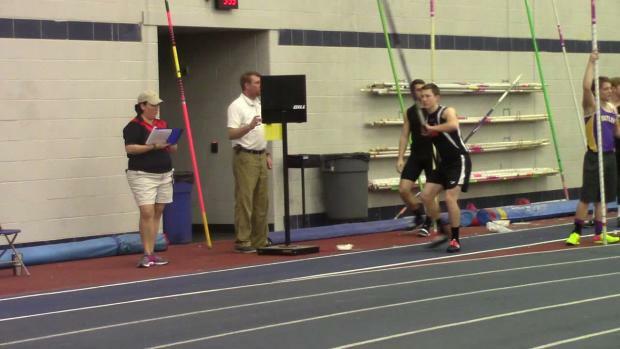 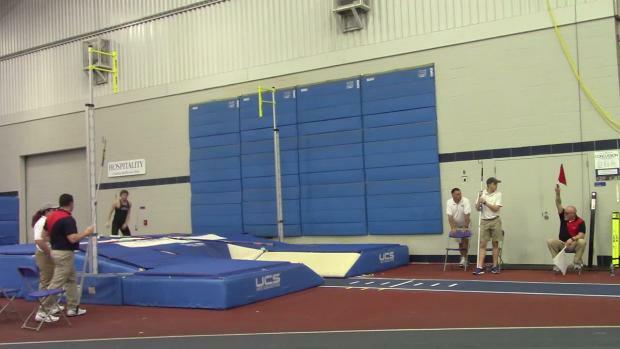 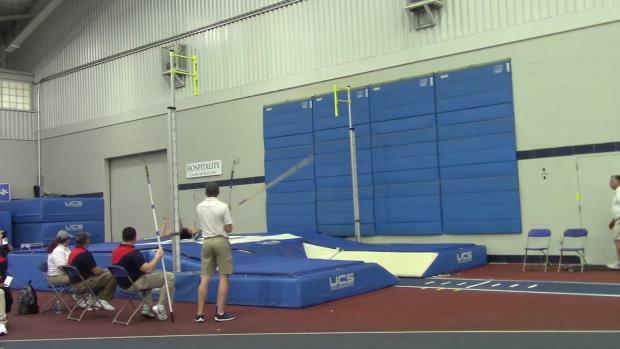 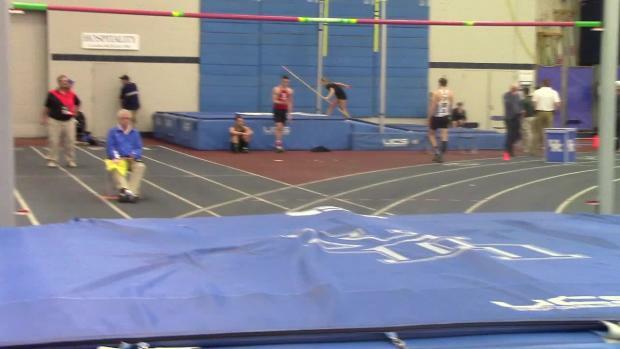 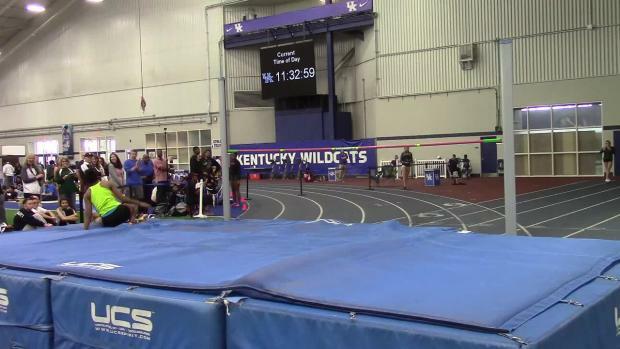 Check out the top 20 marks for each event ALL TIME at the UK HS Invitational HERE! 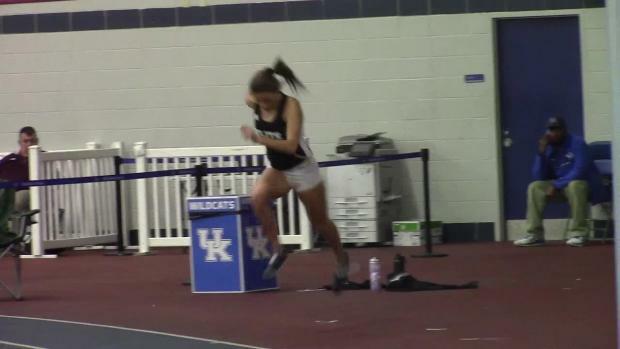 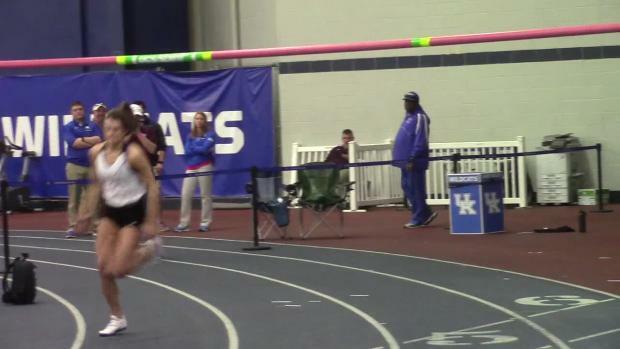 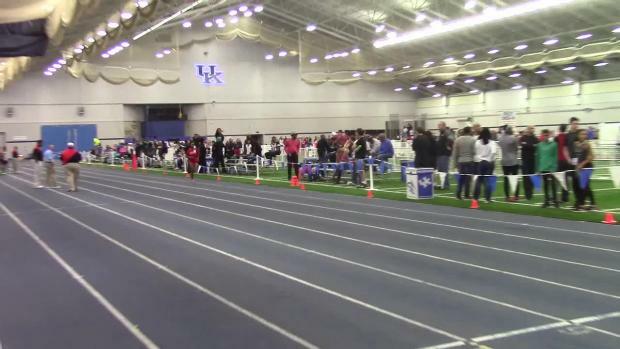 Katelynne Hart set a freshman national class record in the 2-mile last year at the UK High School Invitational. 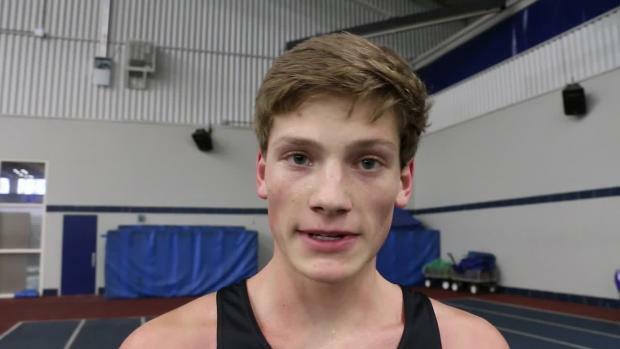 Will the 2017 edition of the UK HS Invitational rewrite the record books? 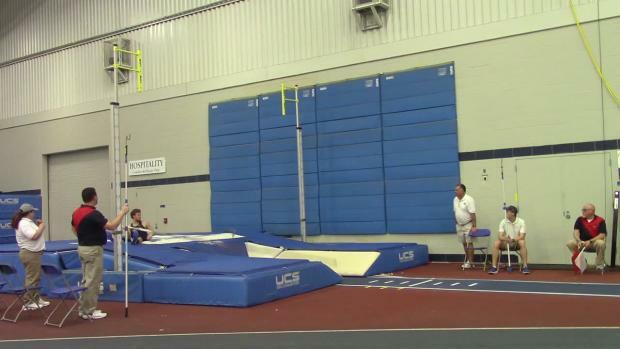 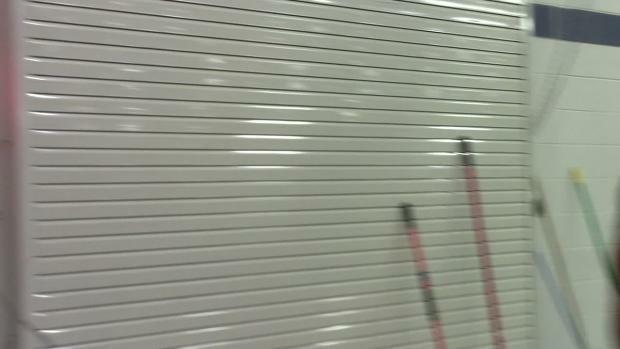 Who will place themselves in the top marks for the facility? 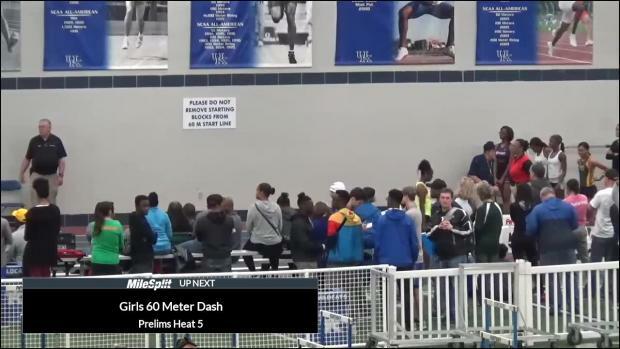 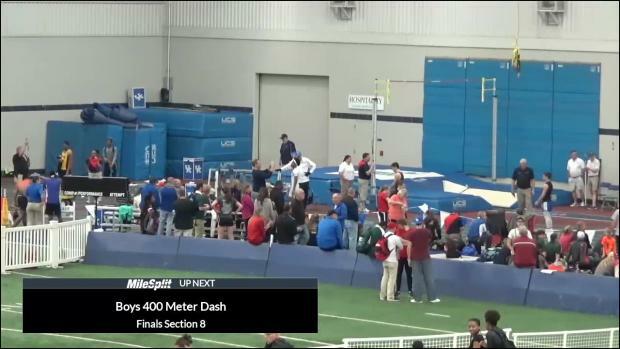 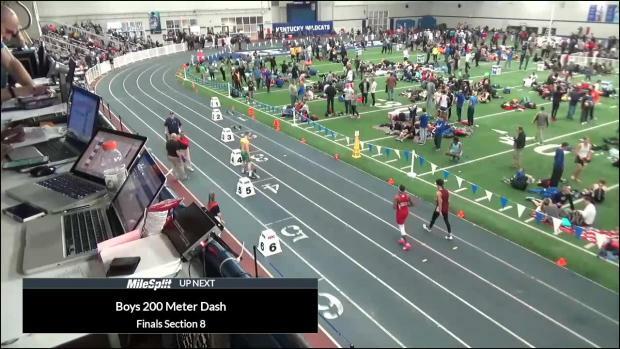 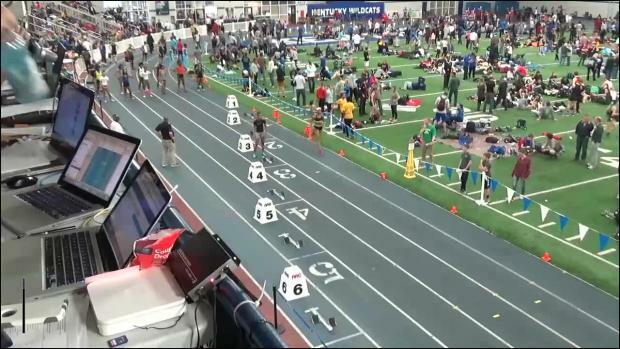 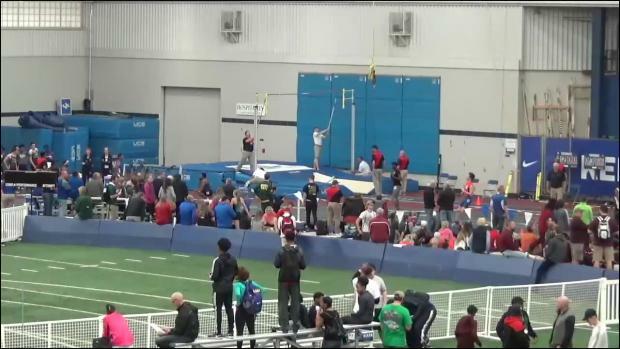 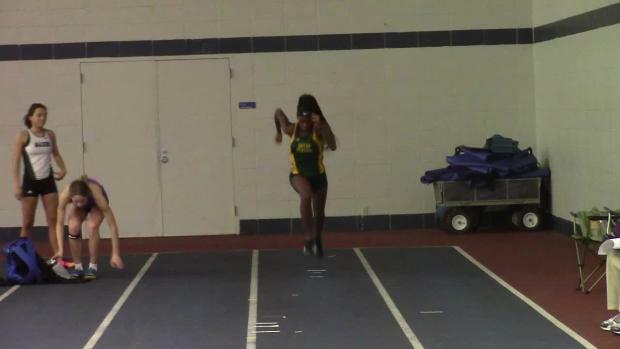 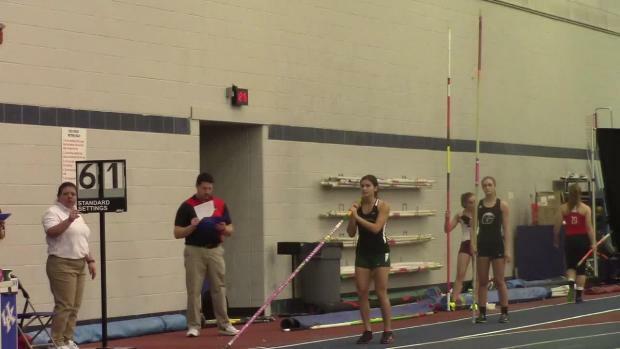 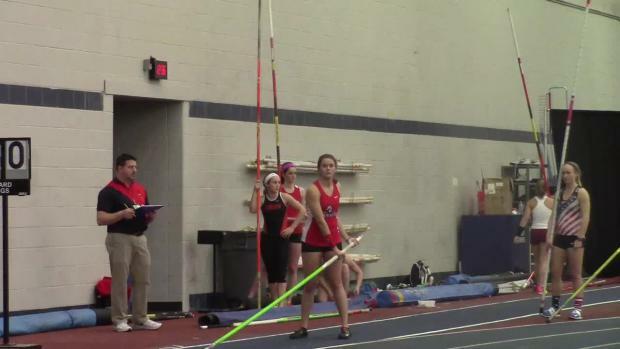 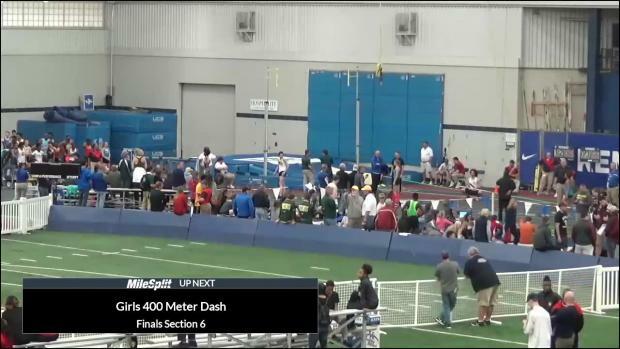 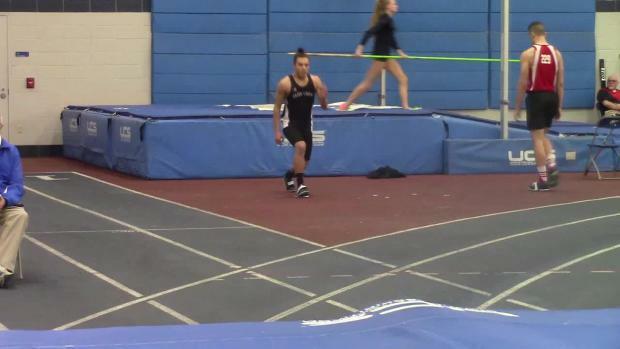 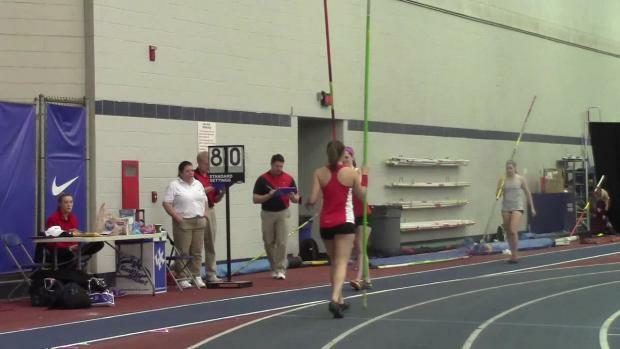 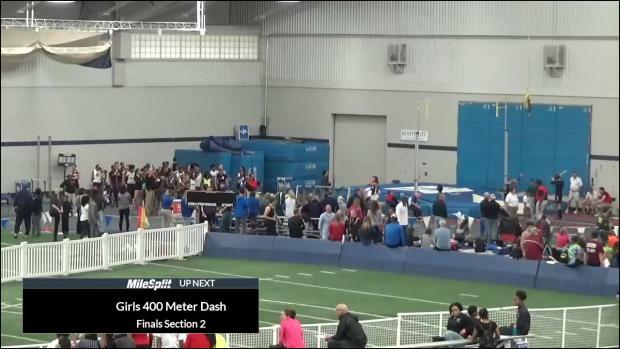 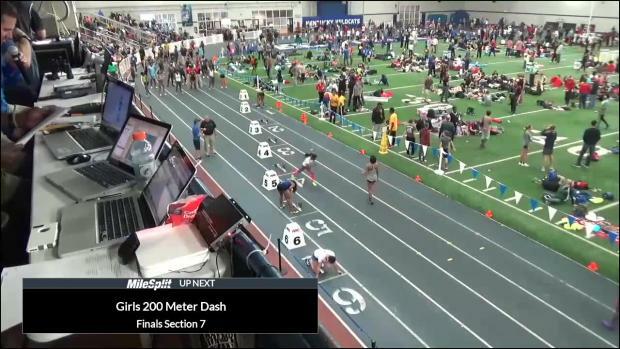 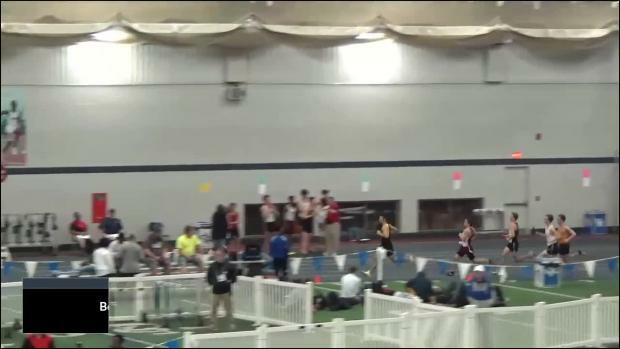 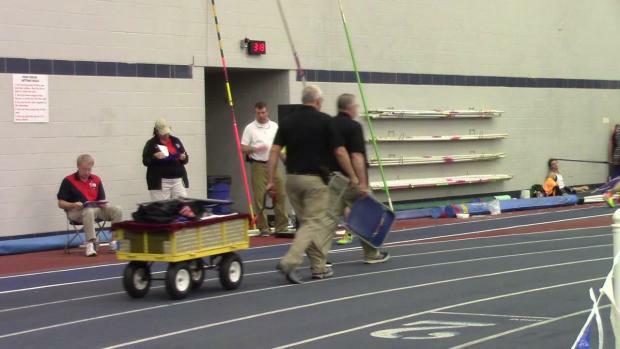 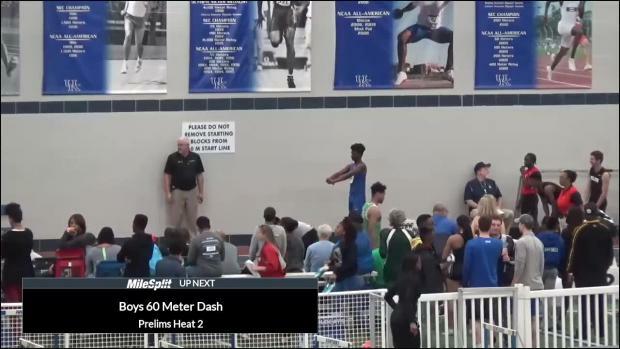 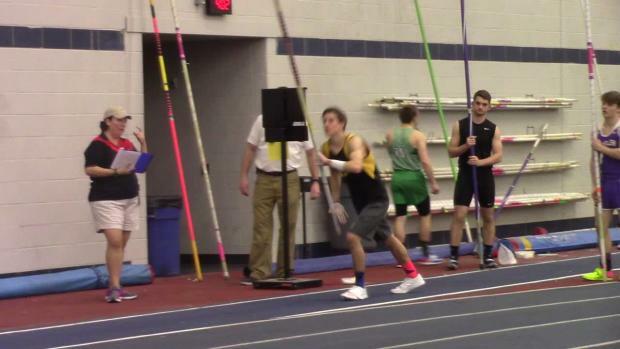 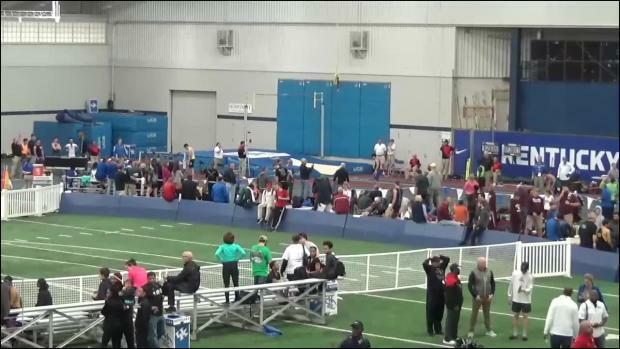 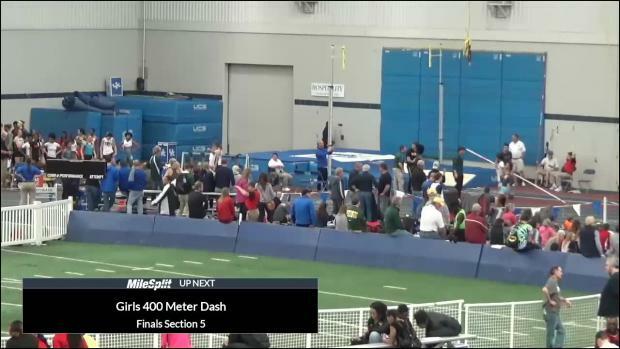 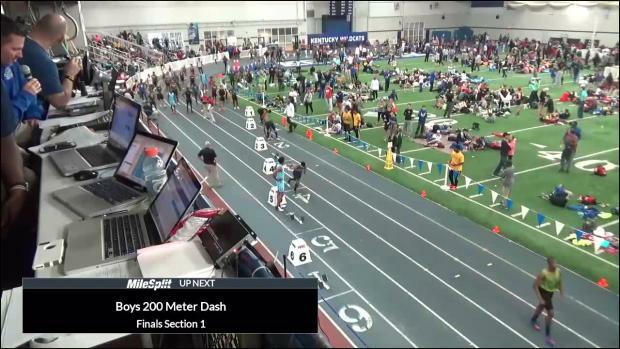 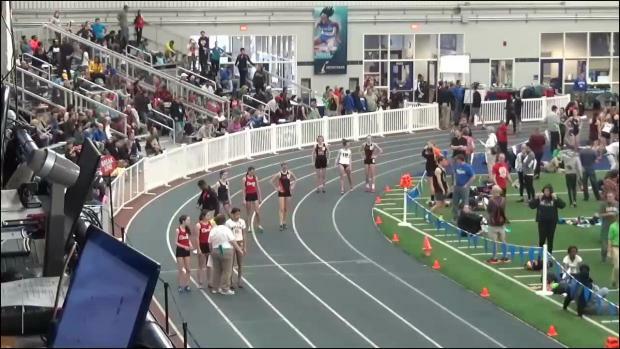 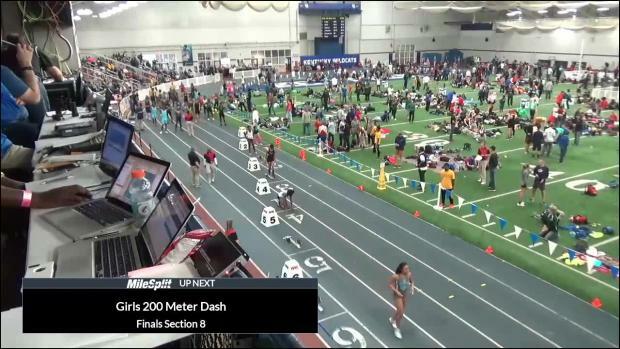 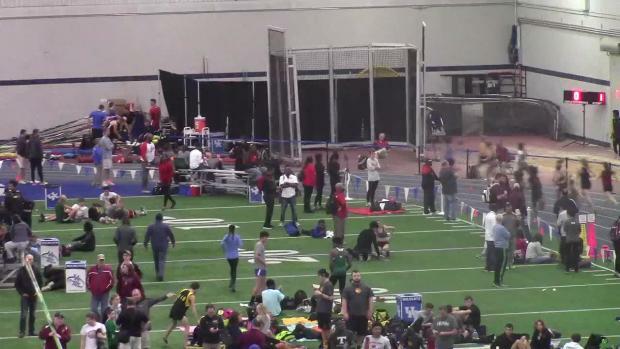 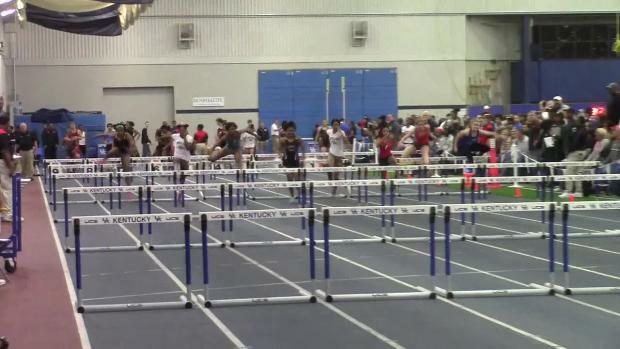 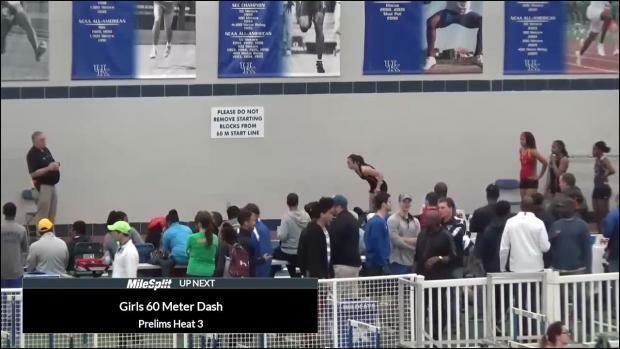 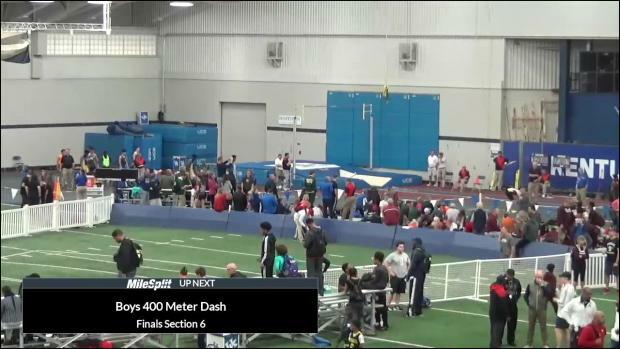 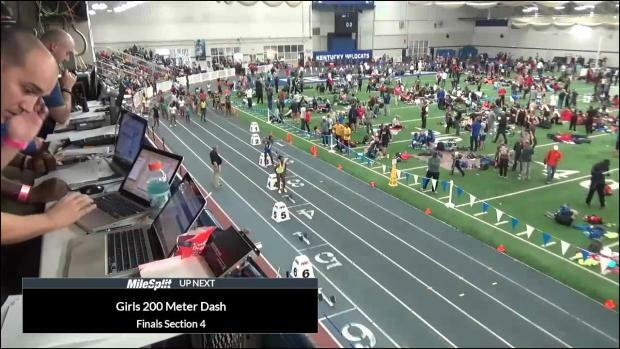 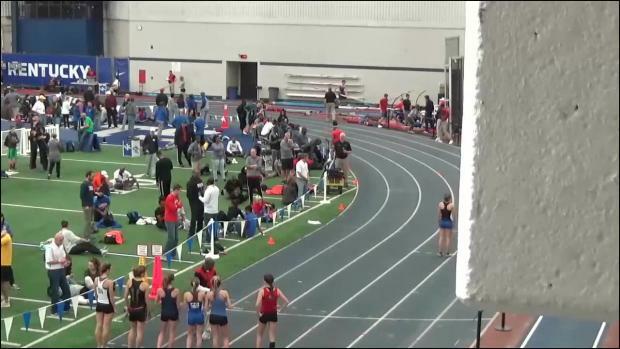 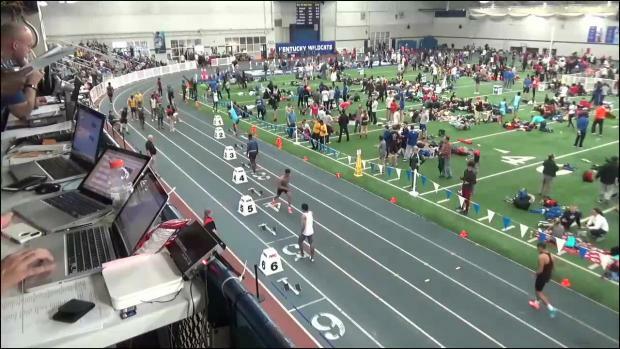 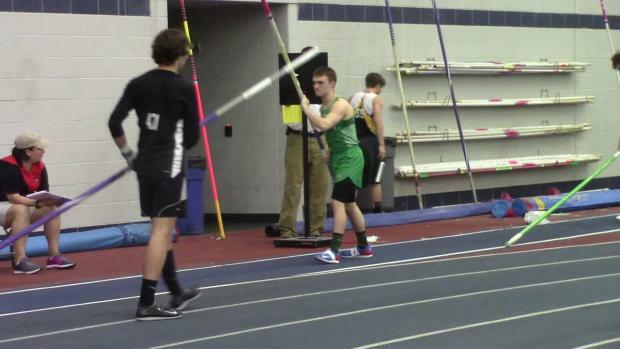 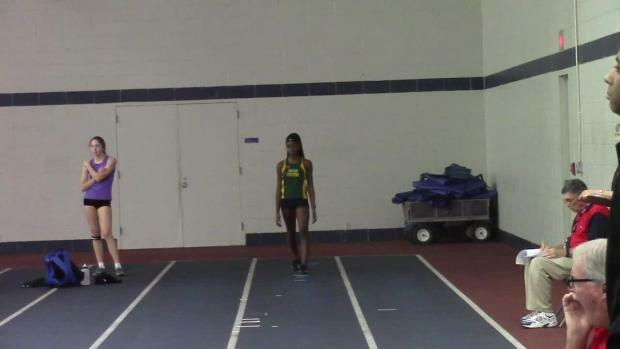 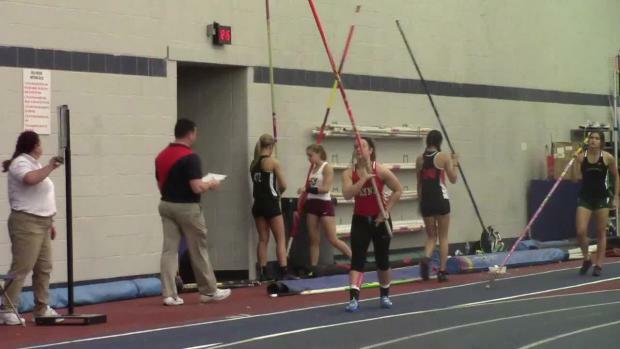 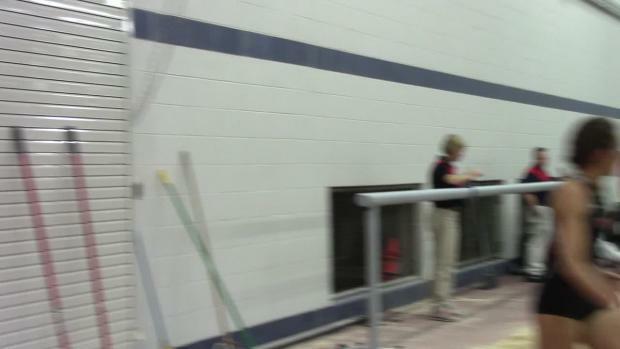 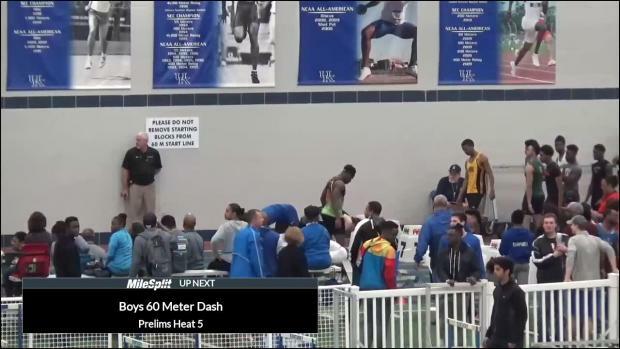 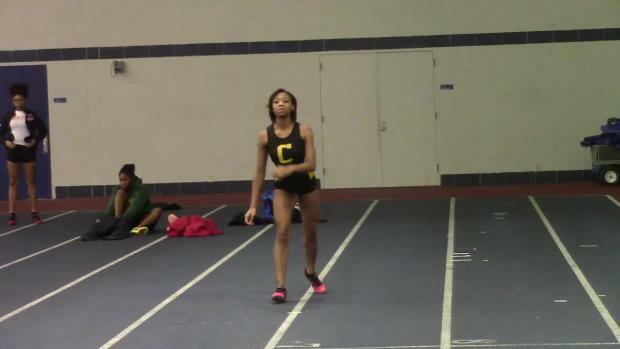 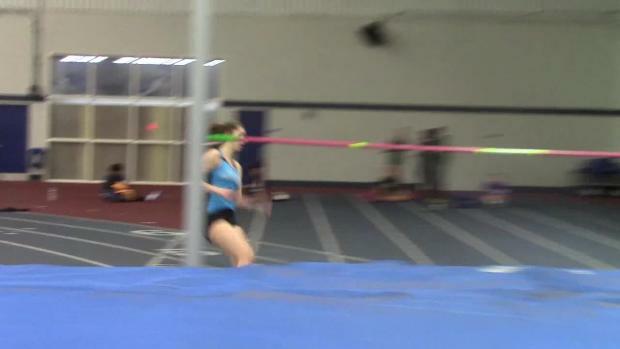 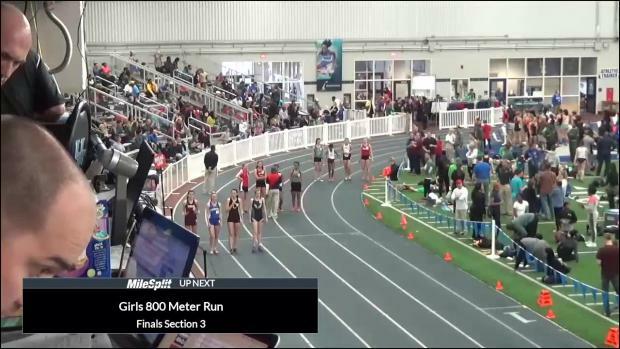 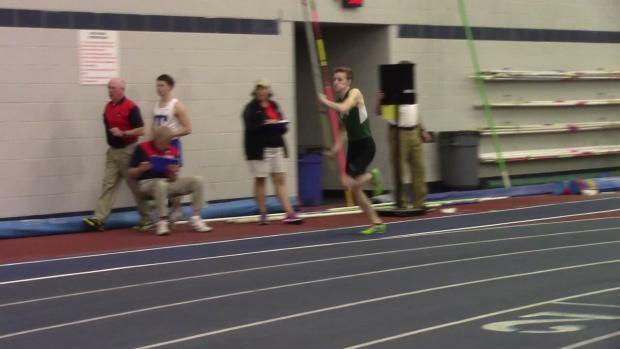 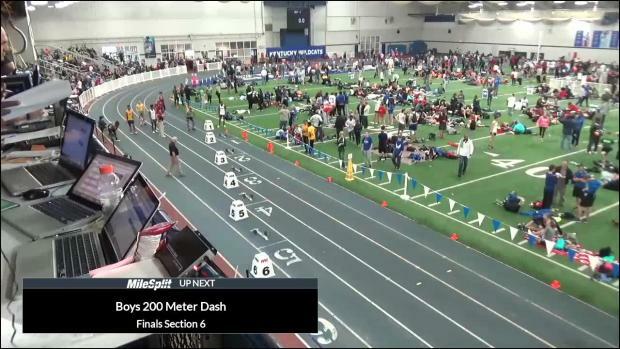 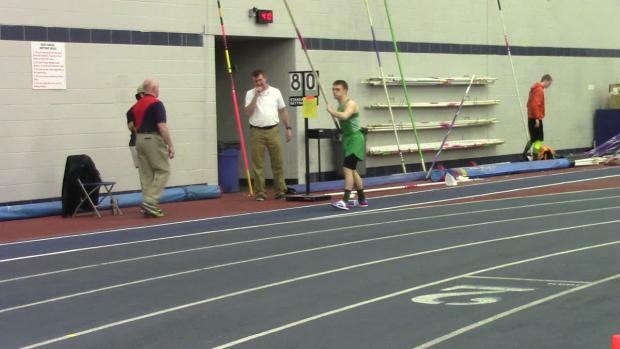 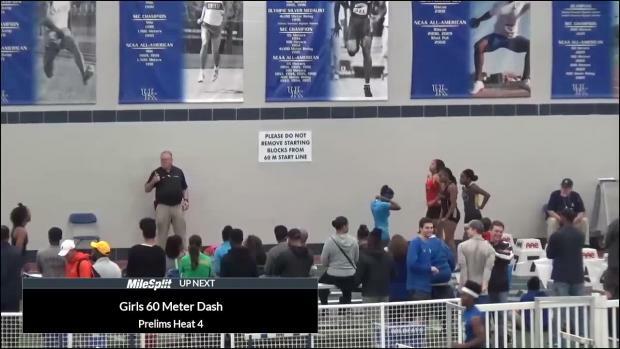 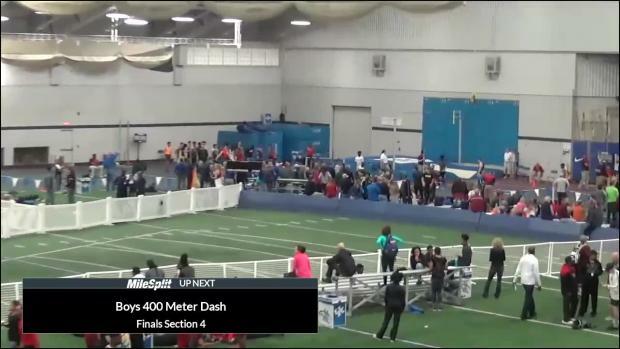 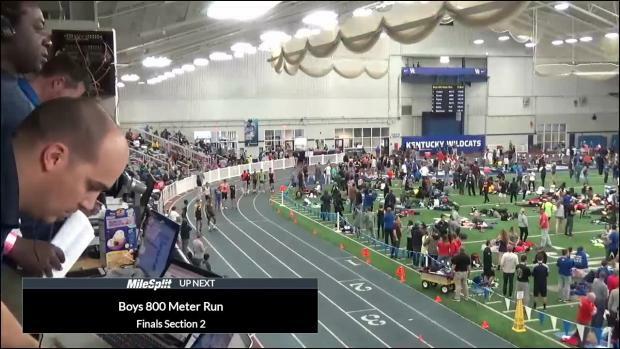 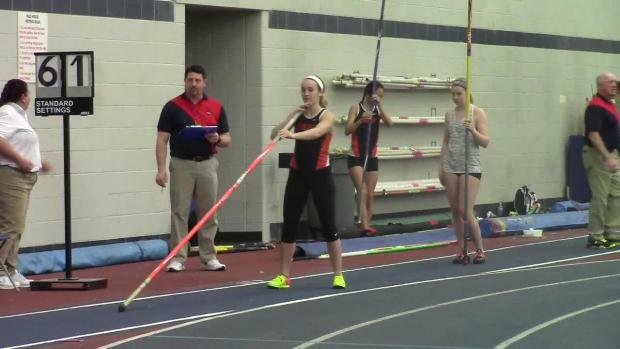 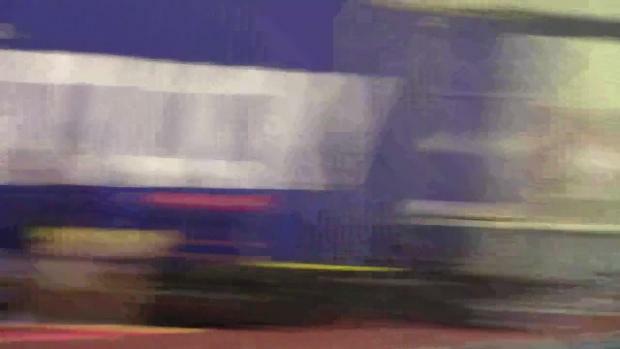 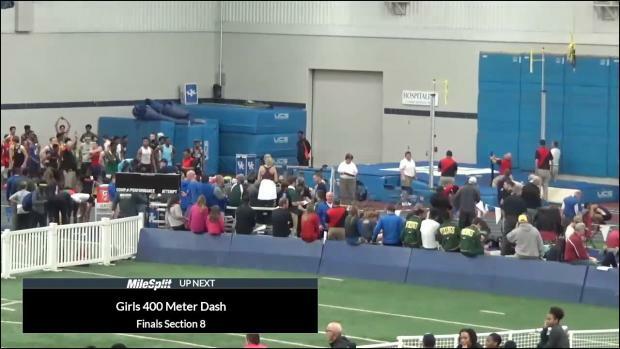 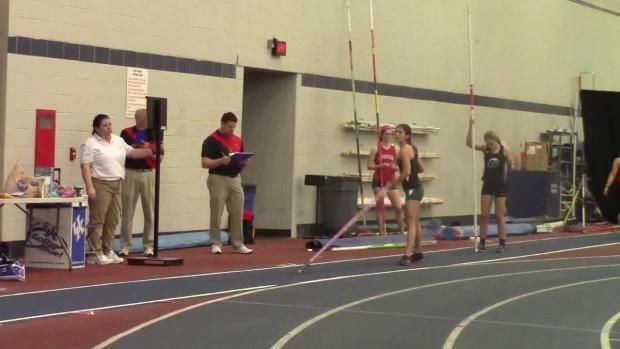 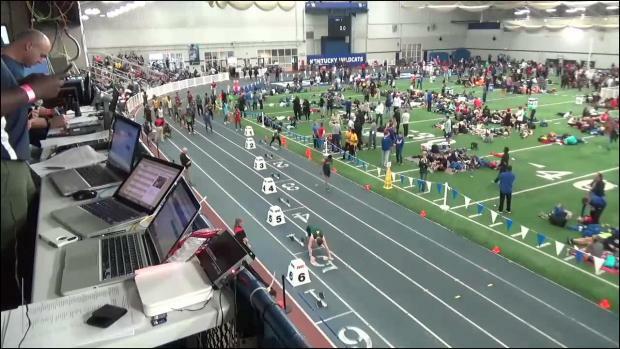 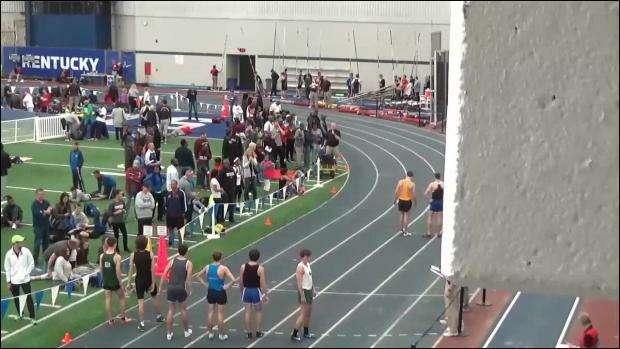 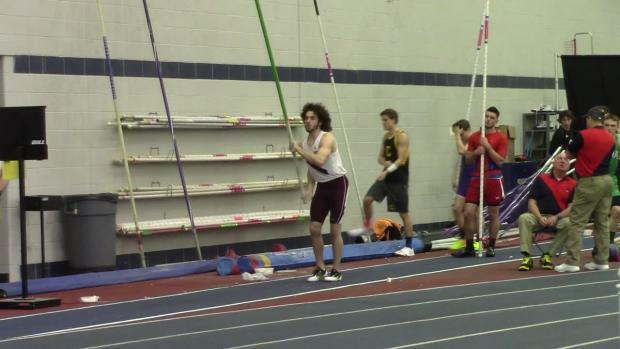 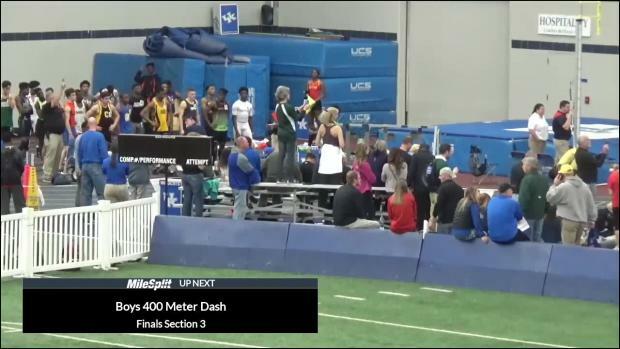 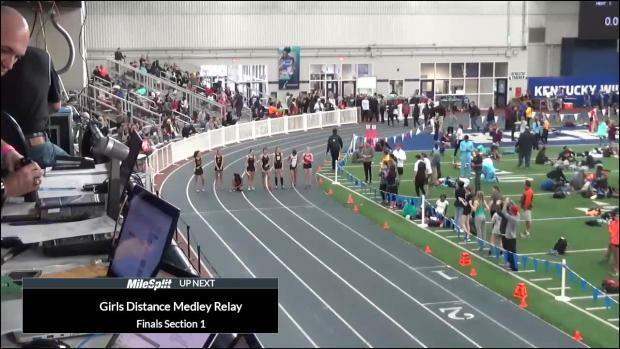 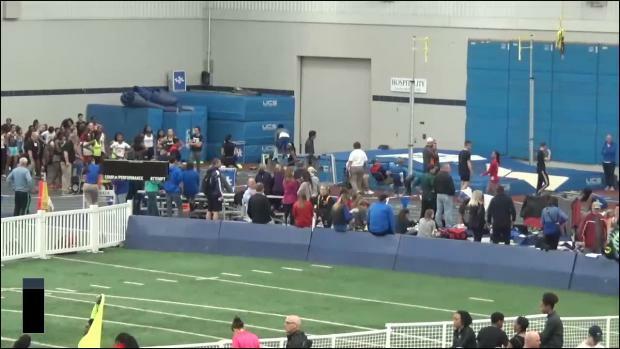 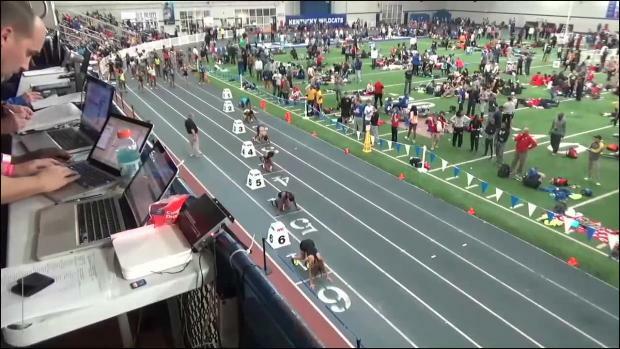 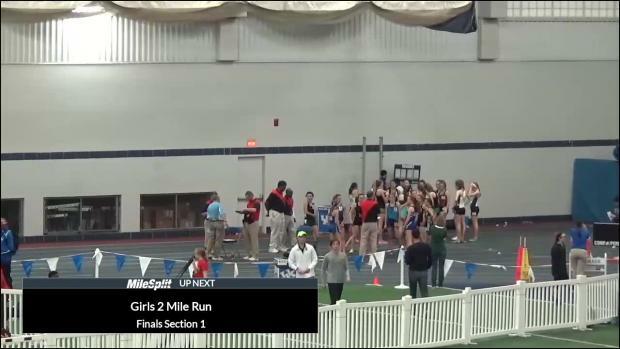 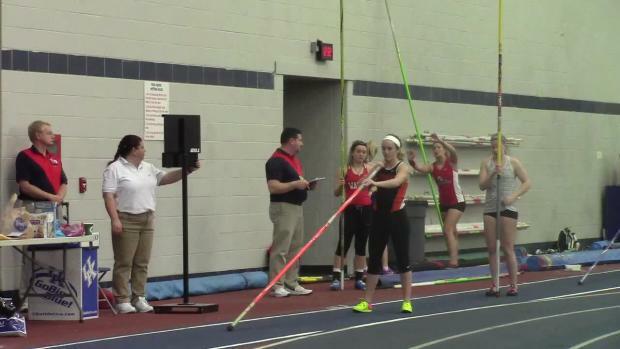 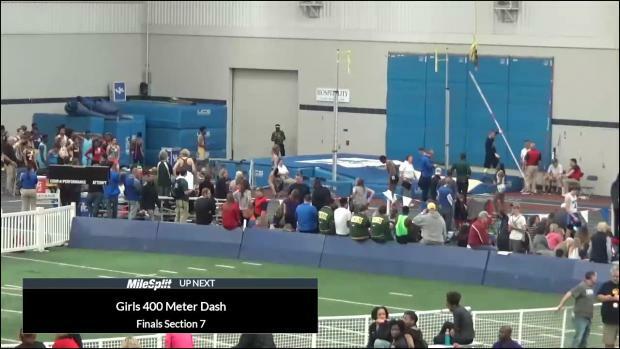 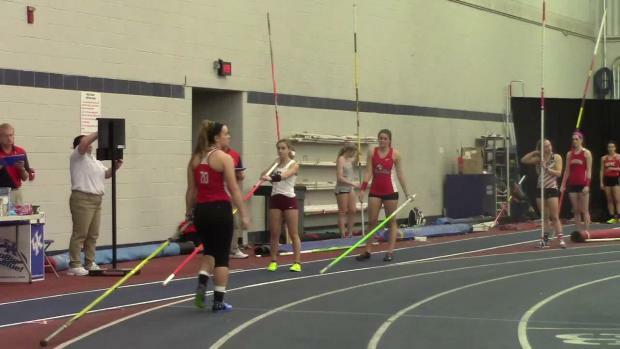 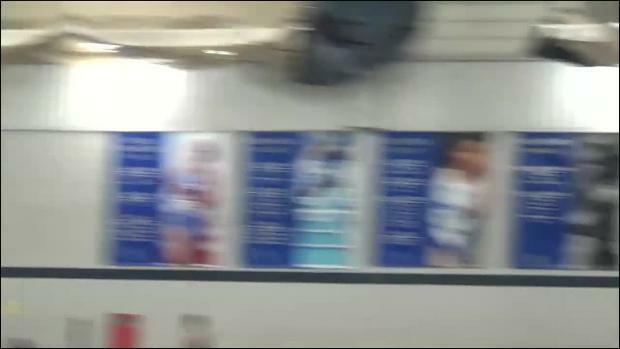 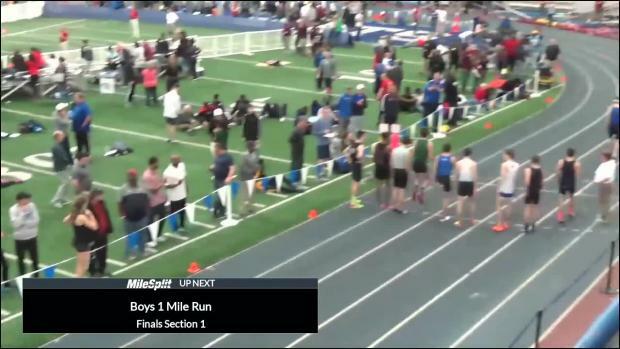 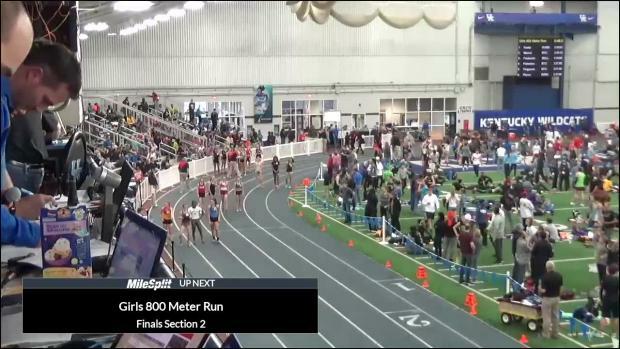 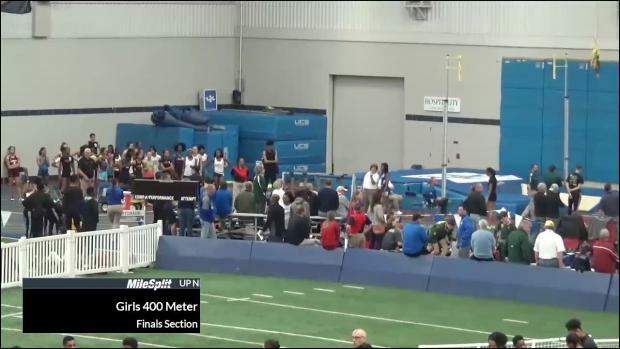 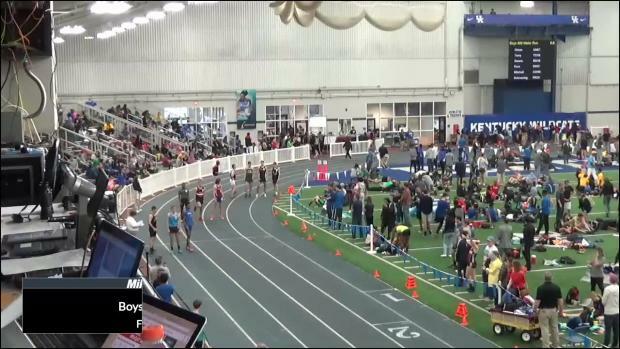 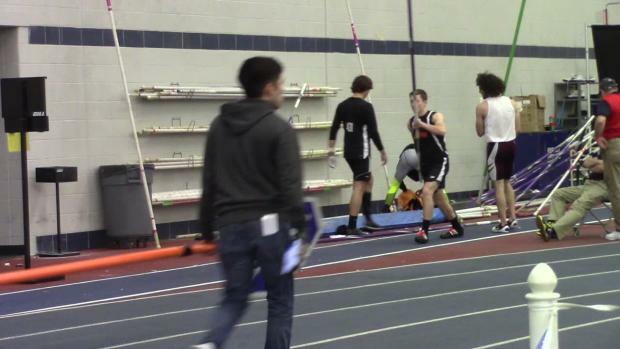 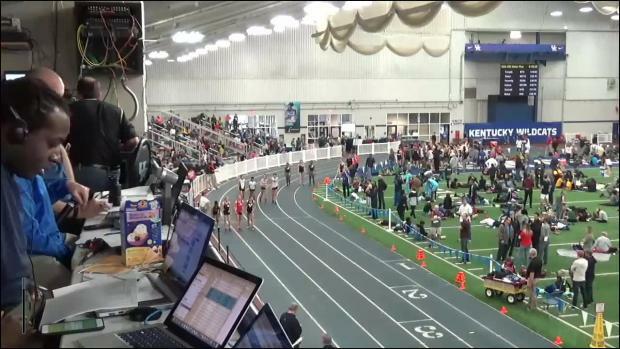 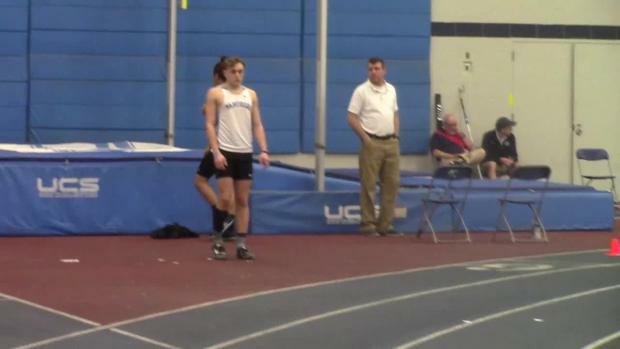 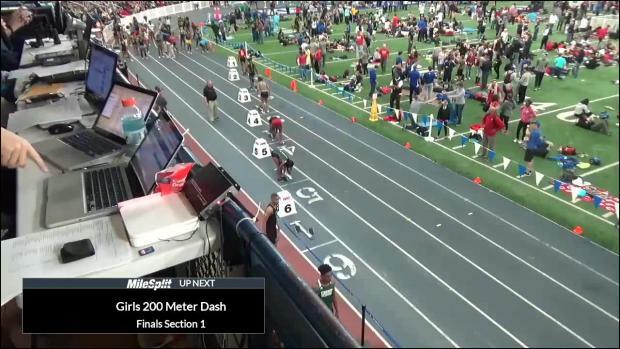 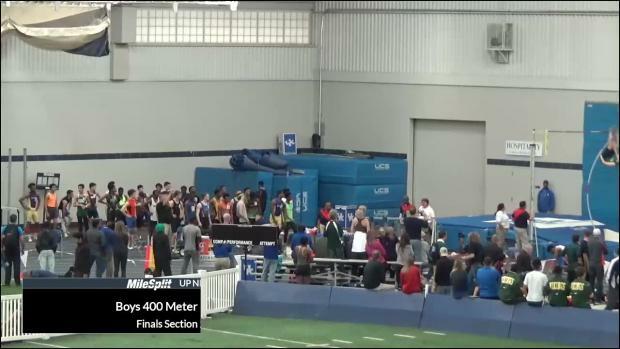 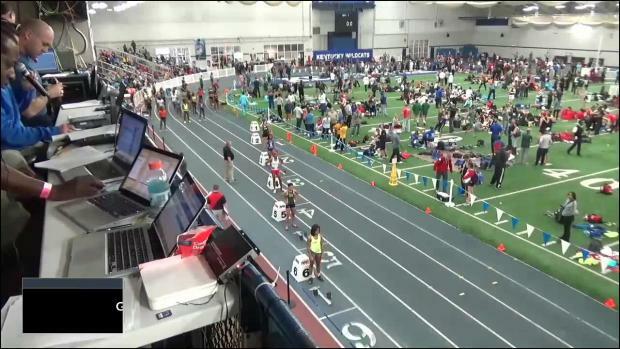 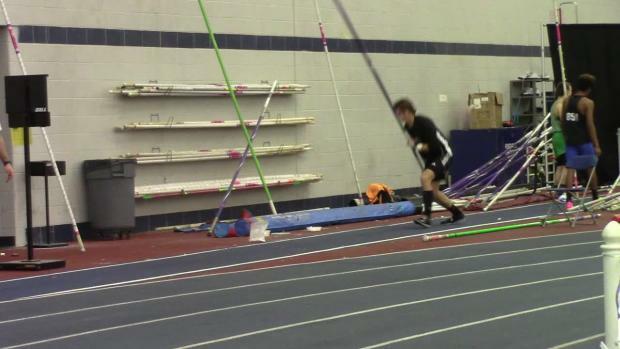 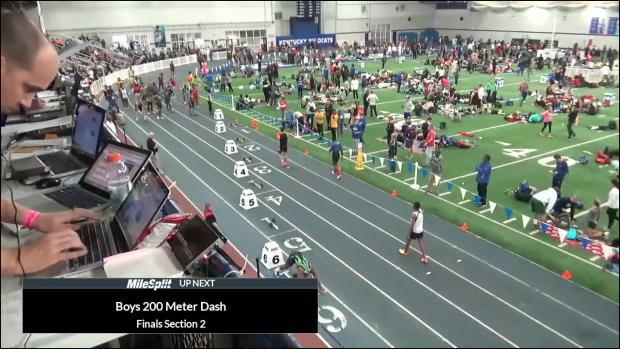 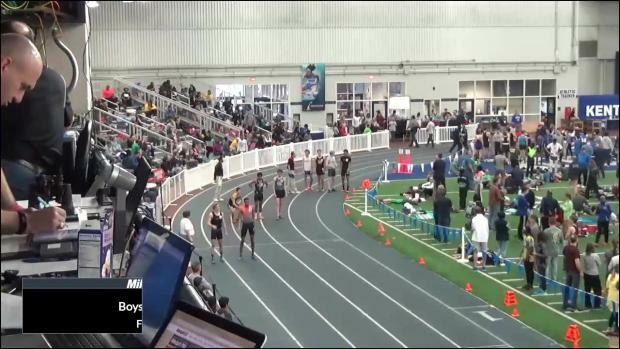 Check out the meet LIVE on Milesplit. 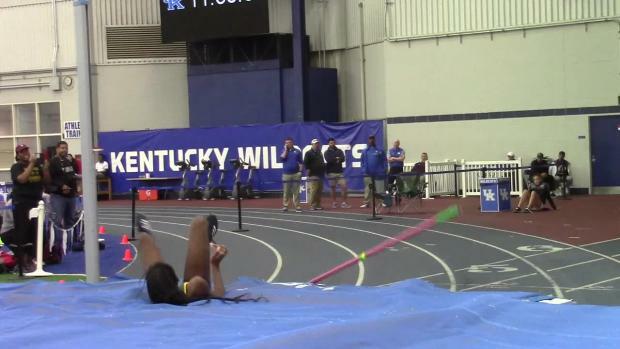 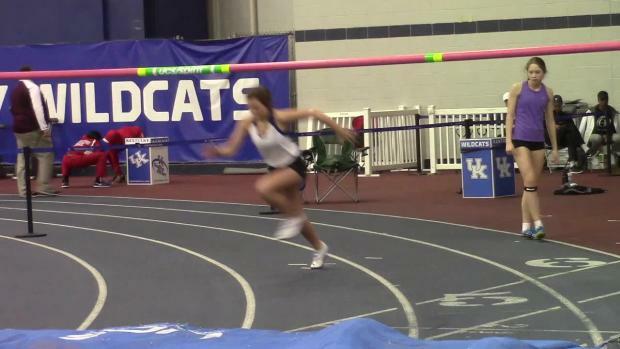 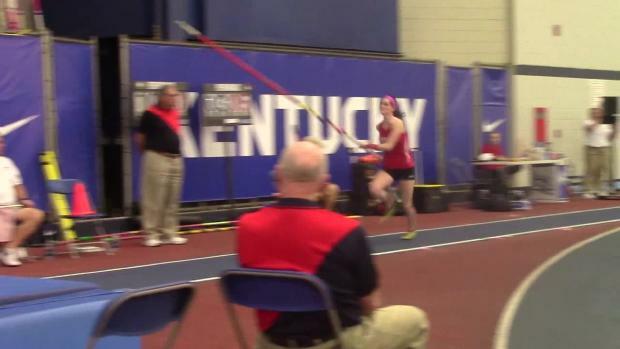 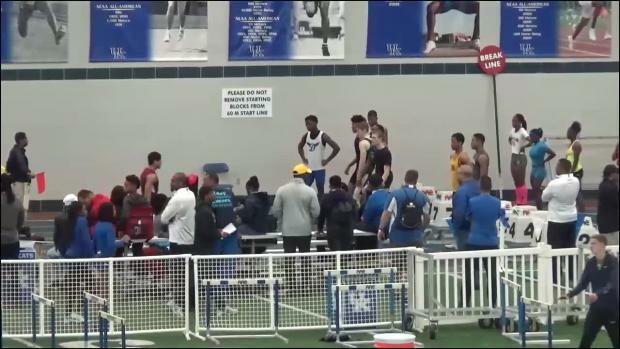 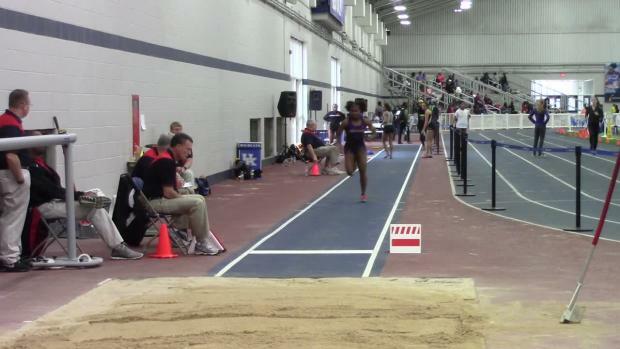 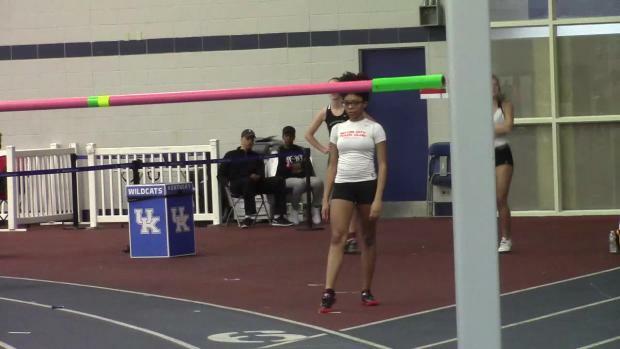 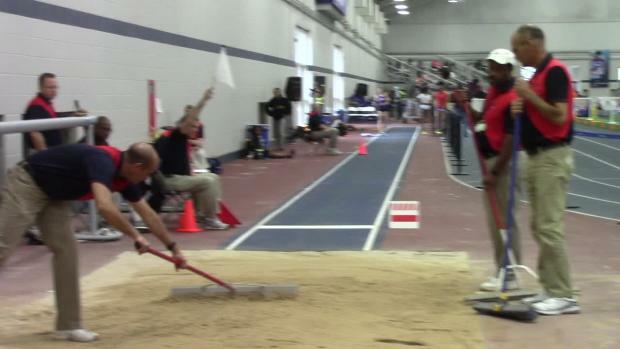 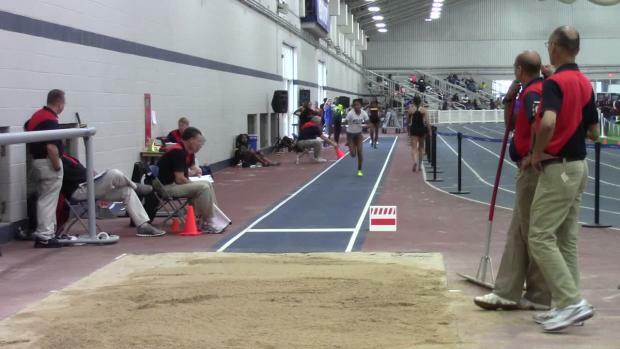 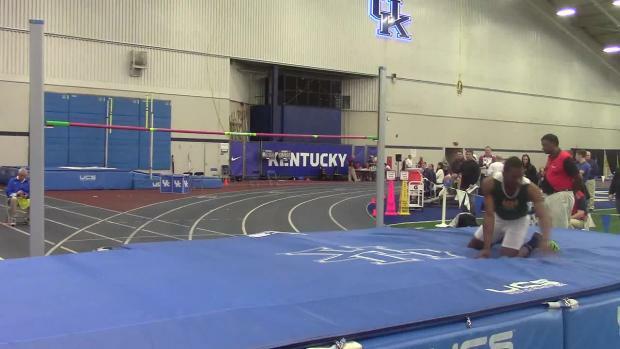 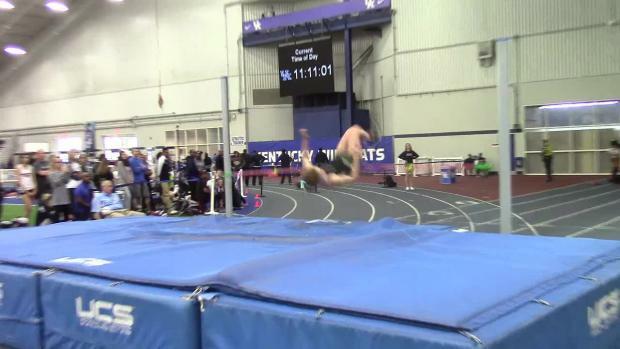 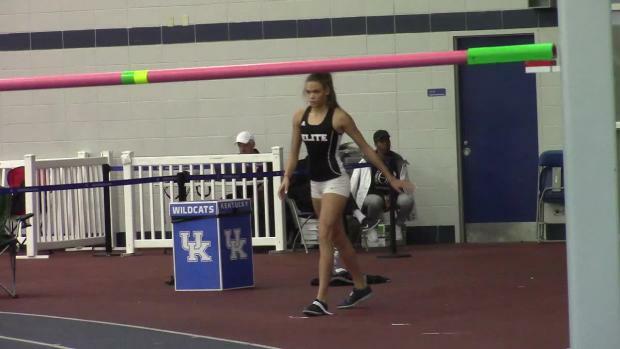 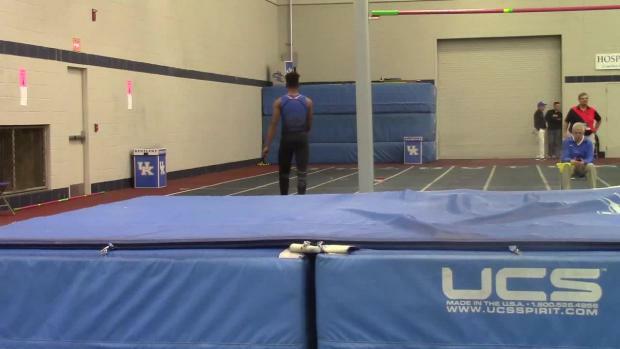 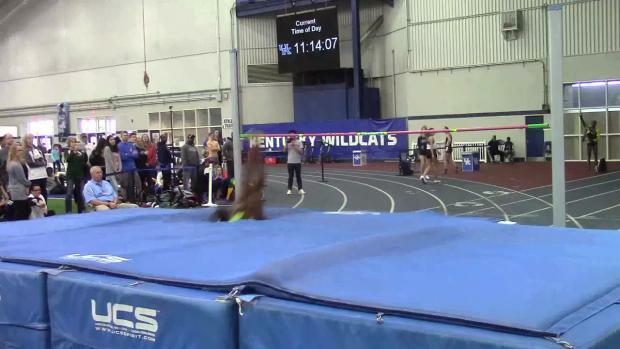 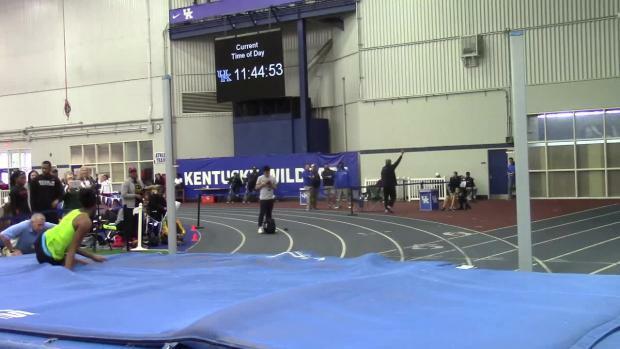 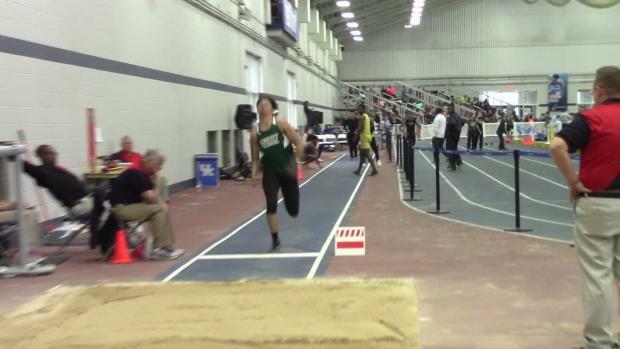 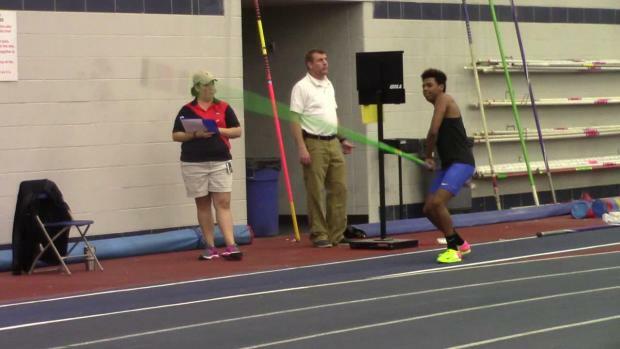 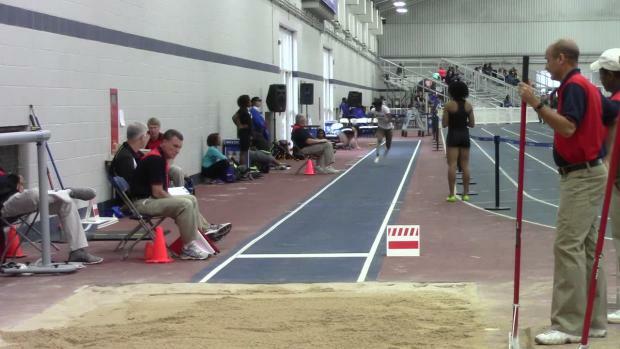 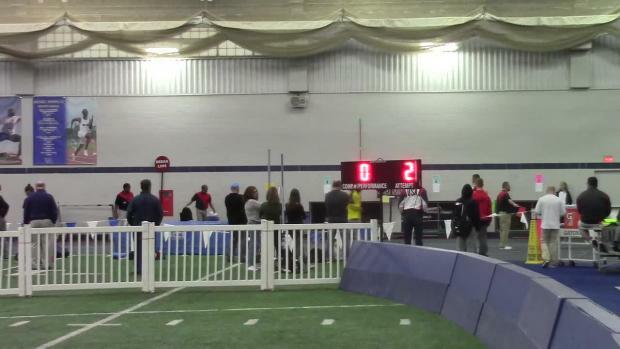 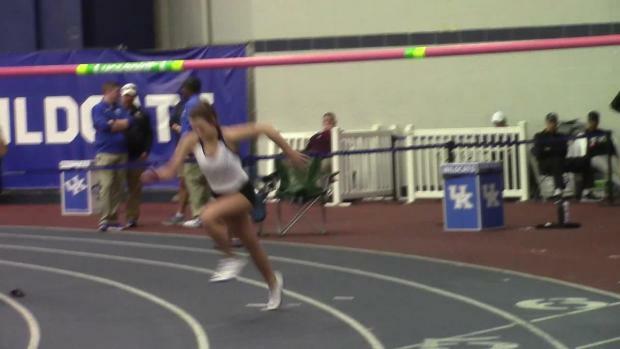 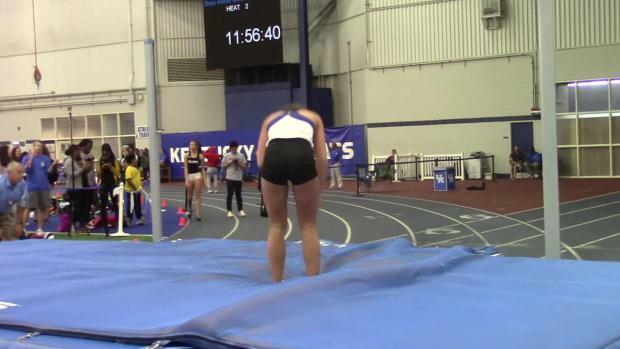 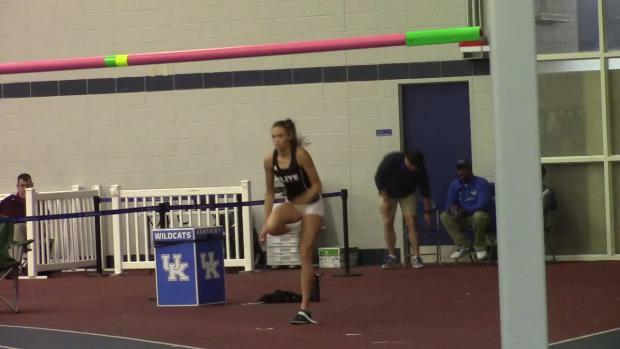 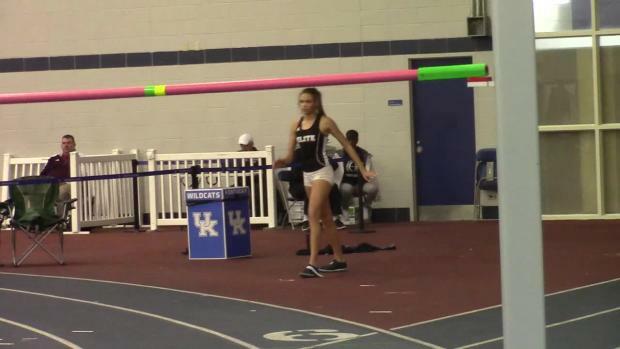 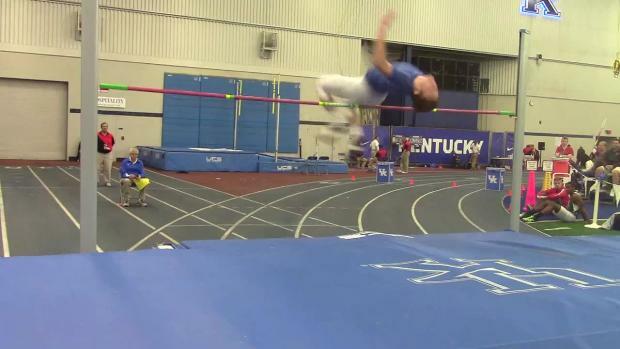 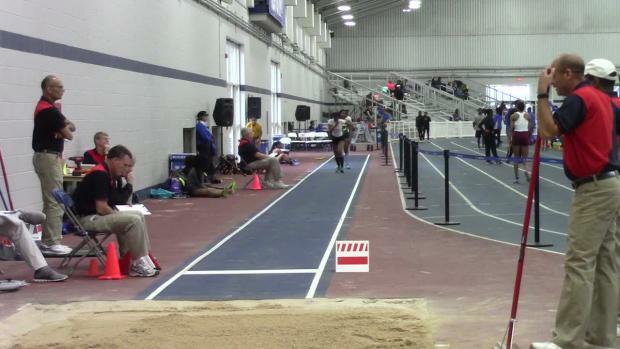 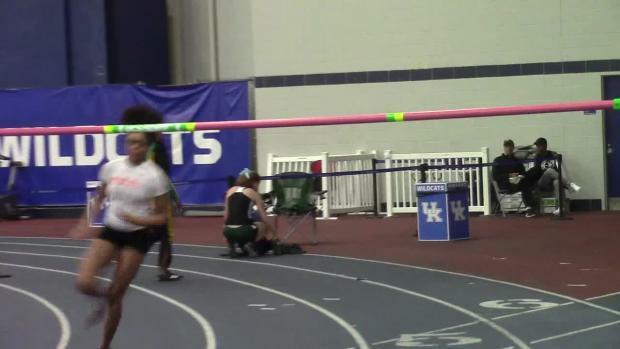 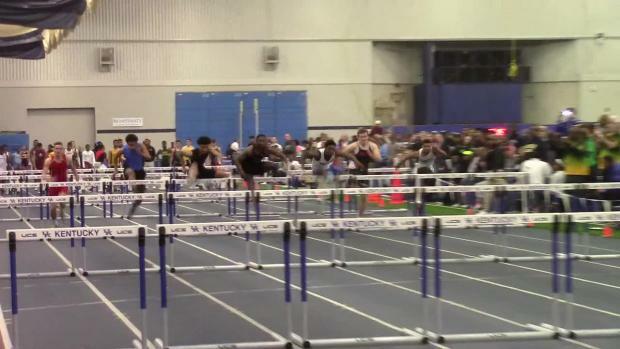 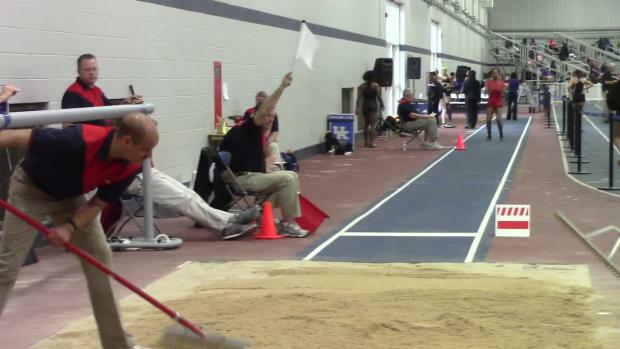 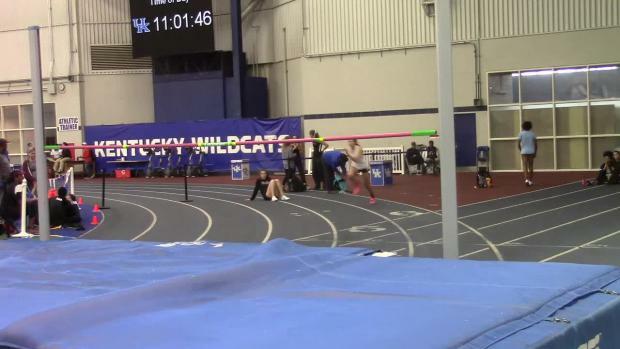 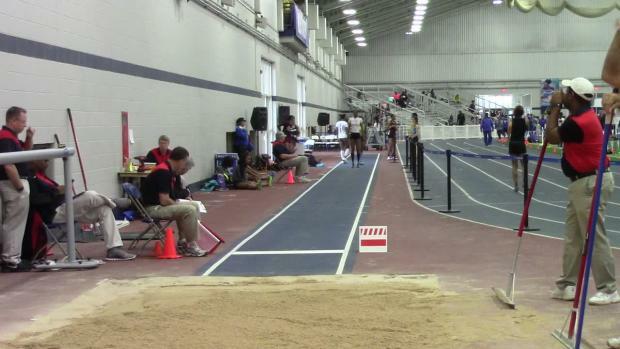 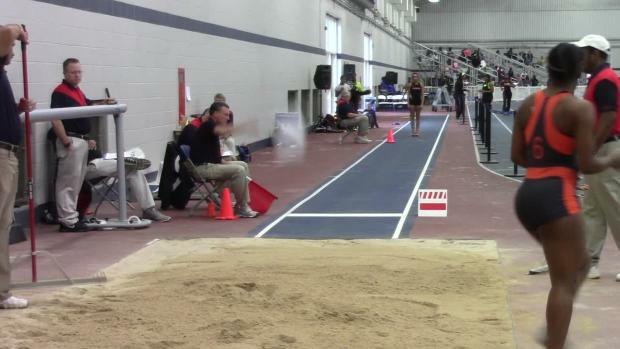 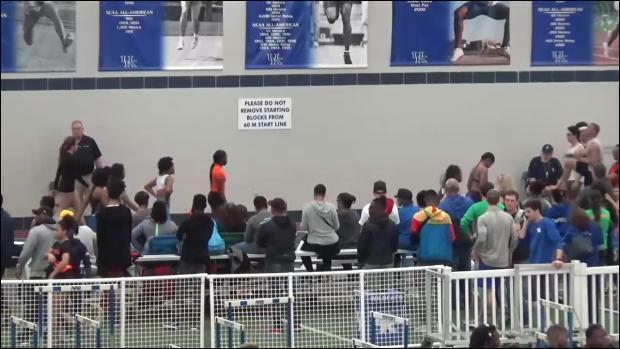 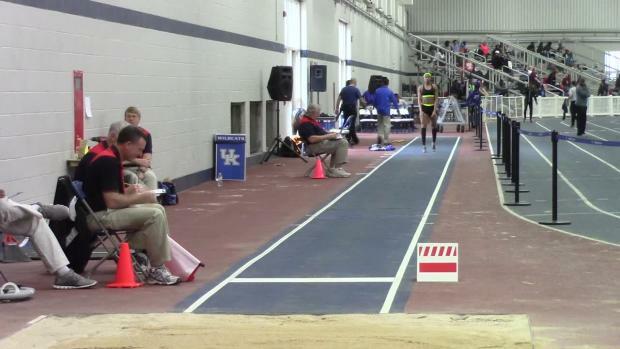 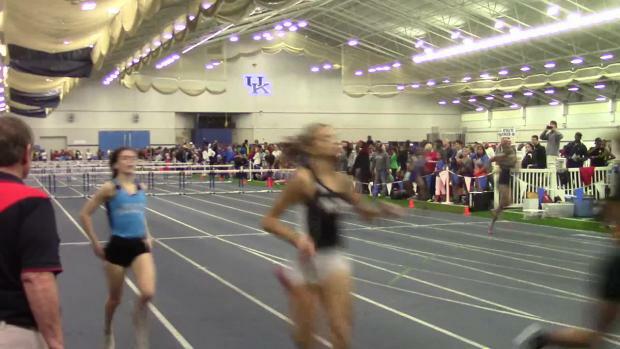 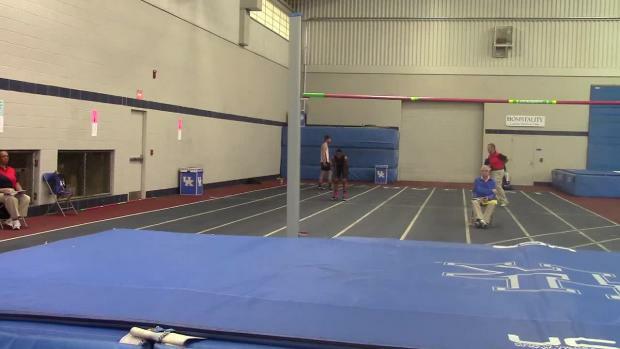 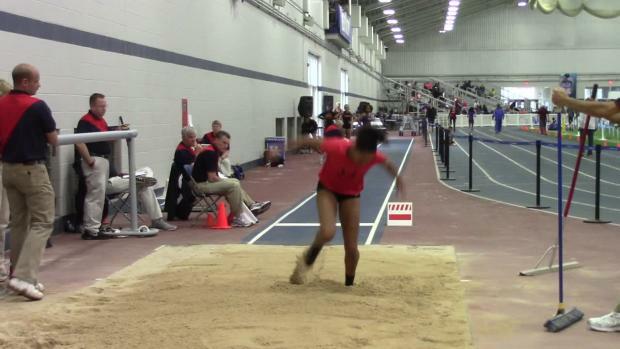 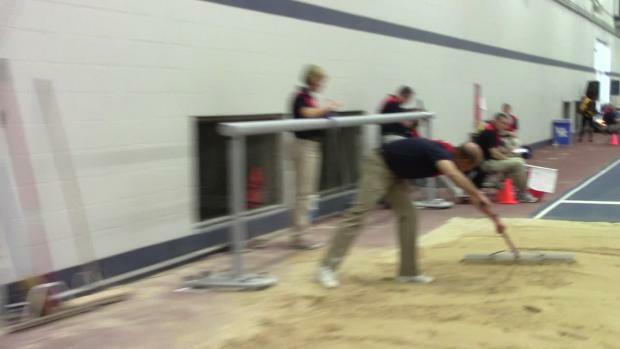 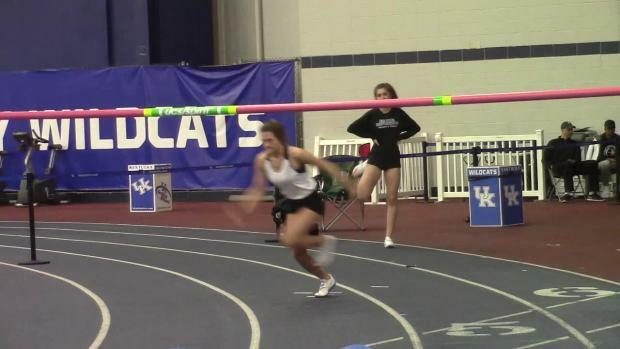 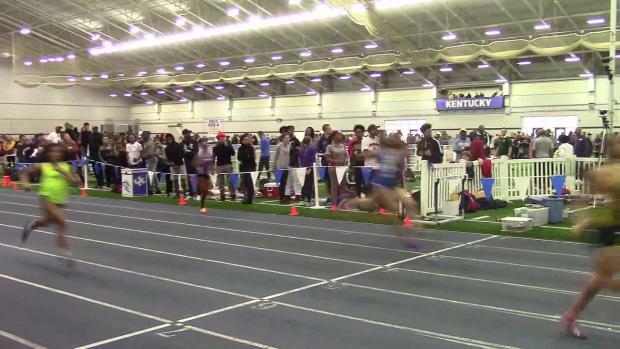 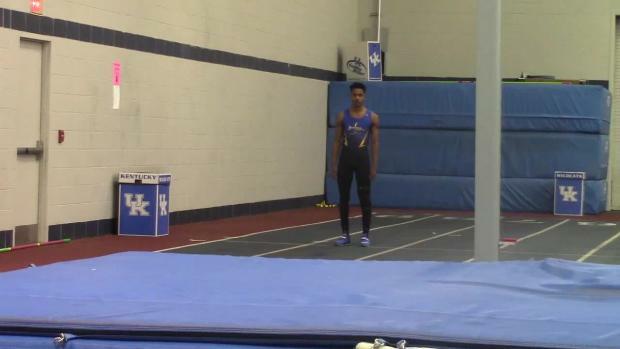 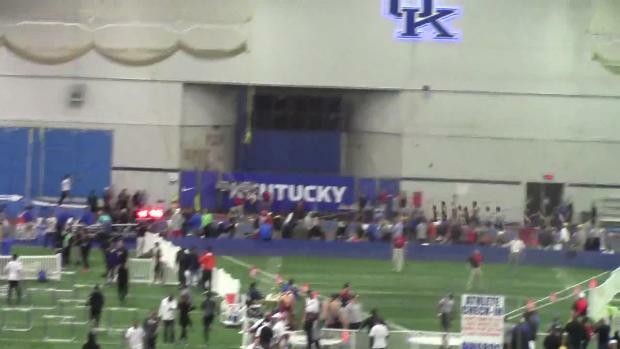 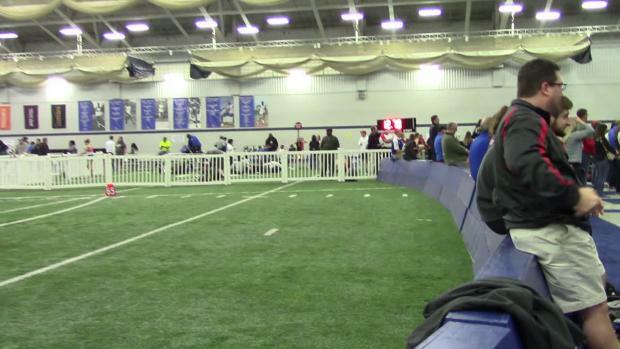 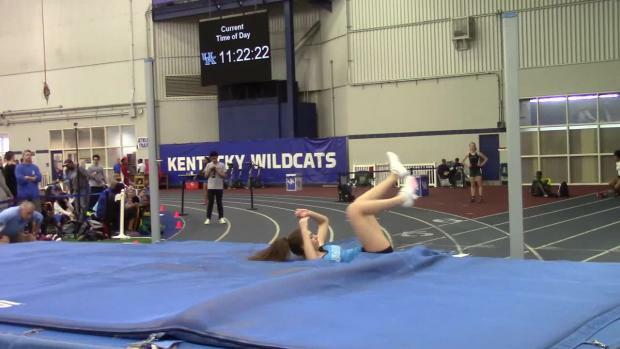 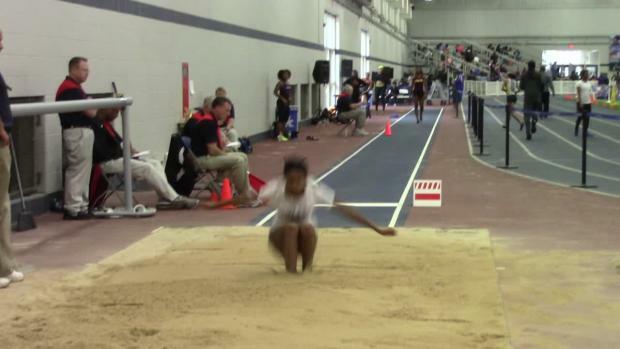 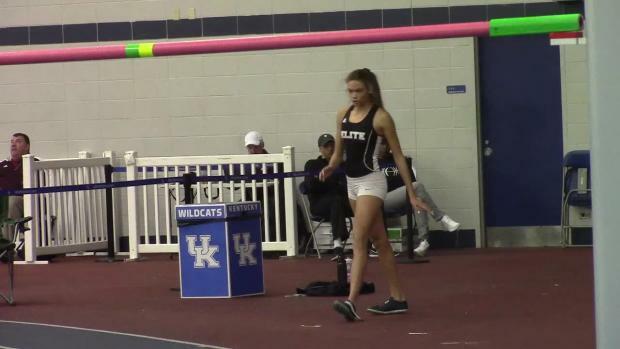 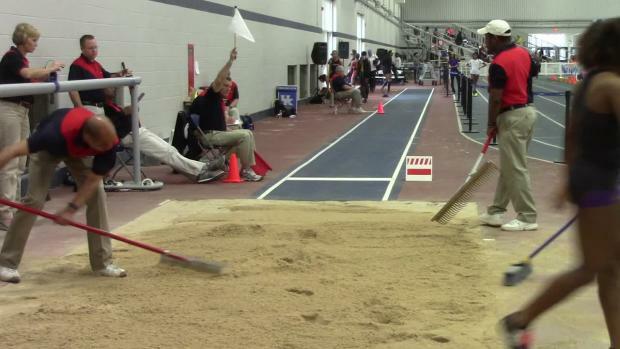 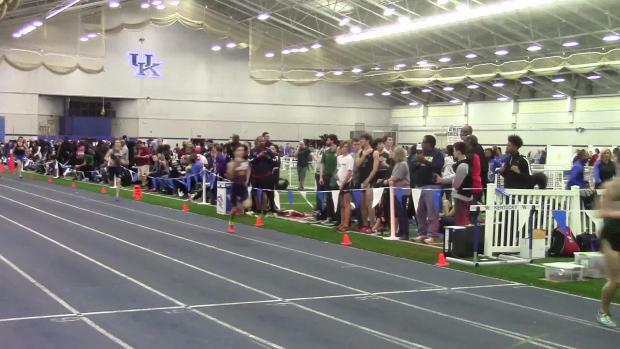 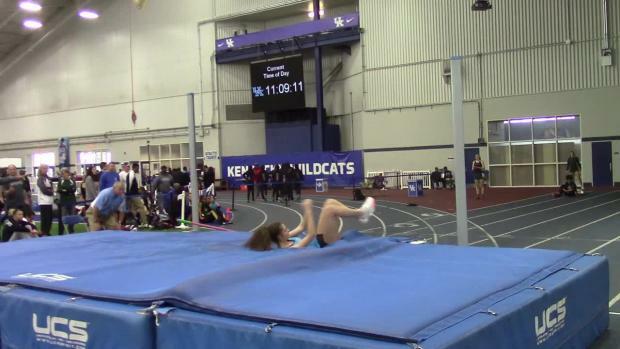 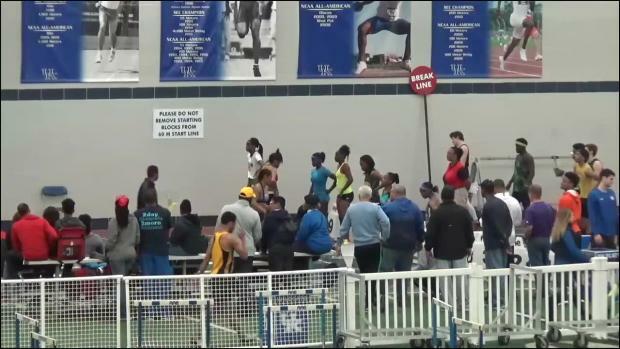 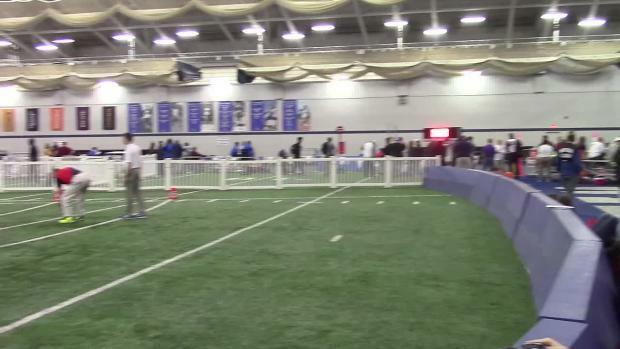 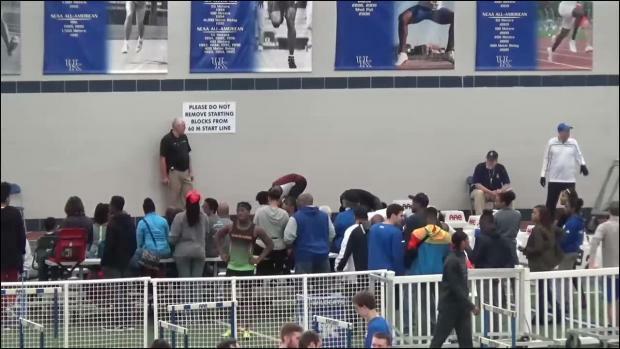 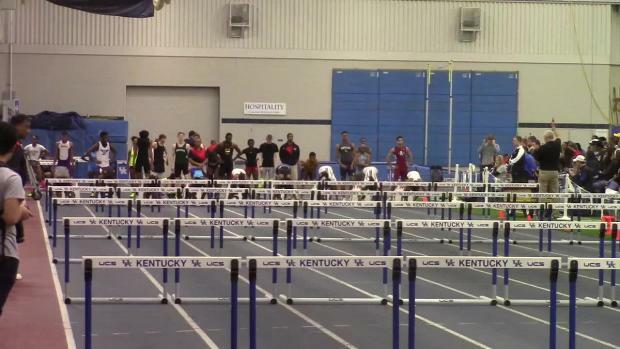 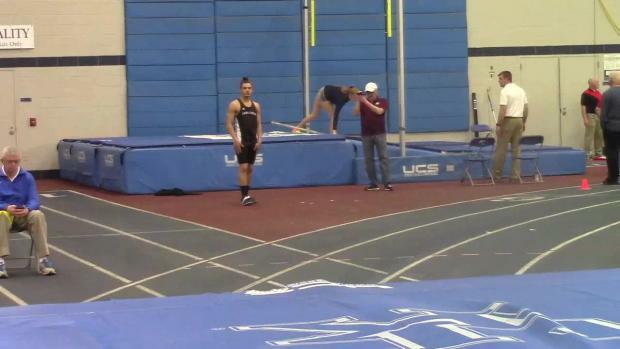 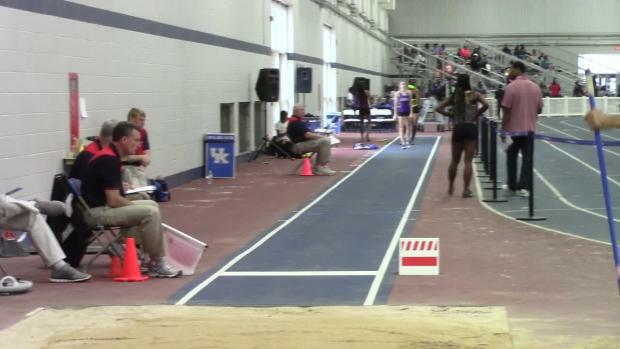 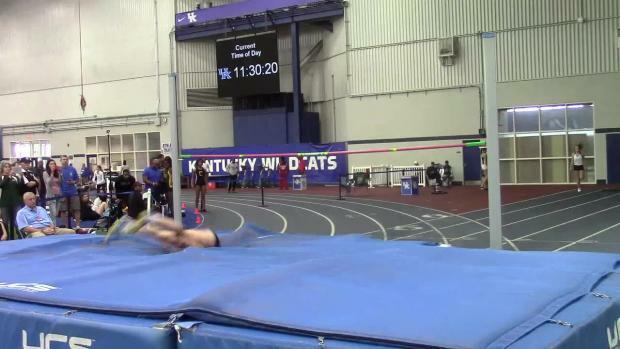 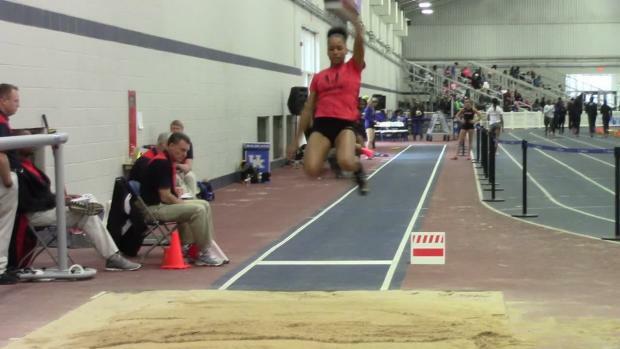 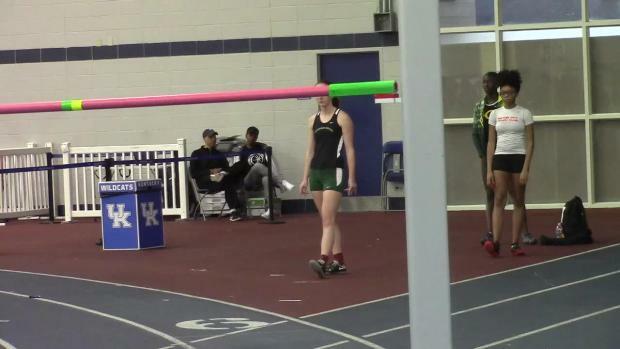 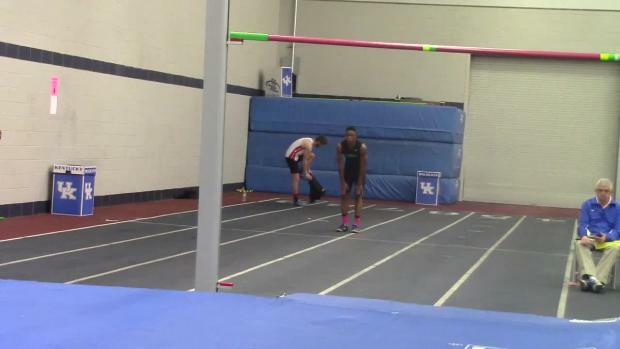 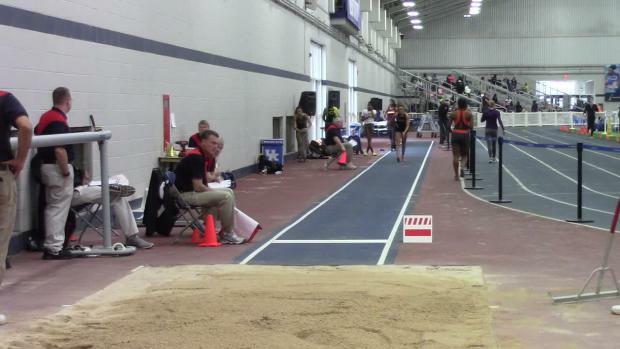 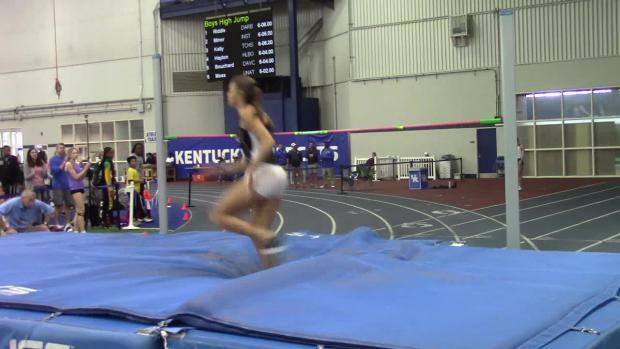 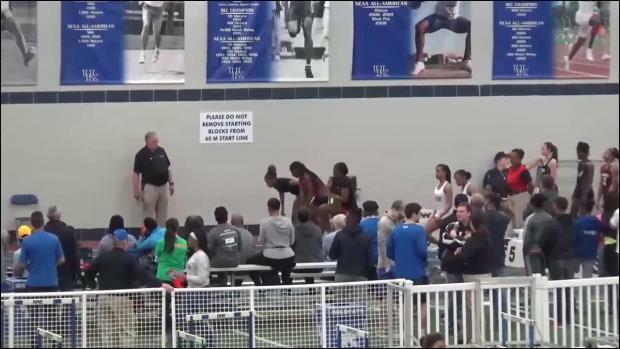 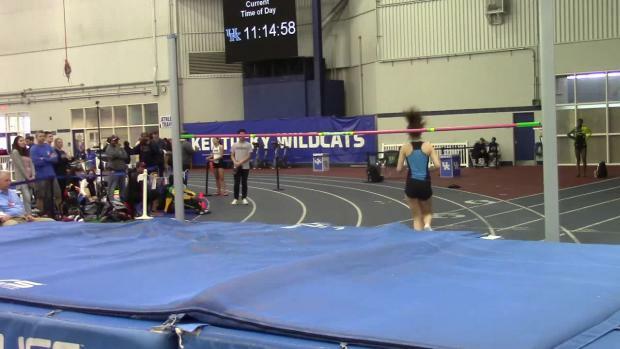 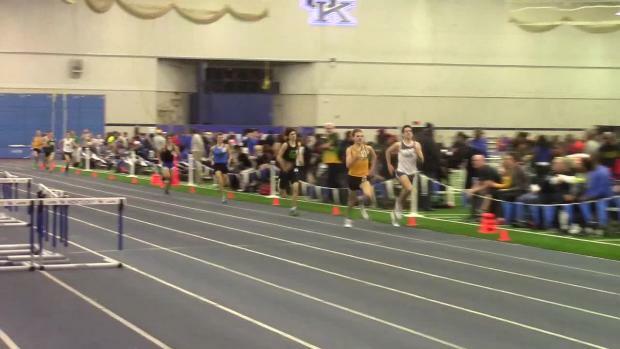 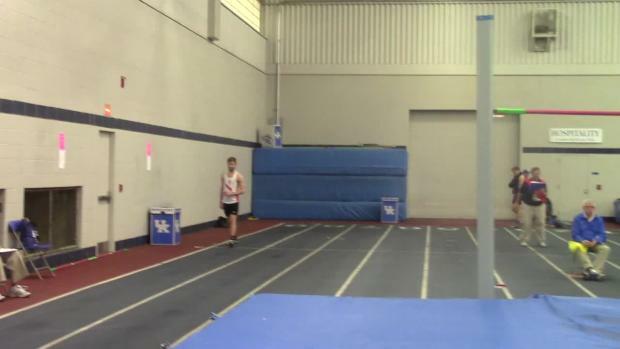 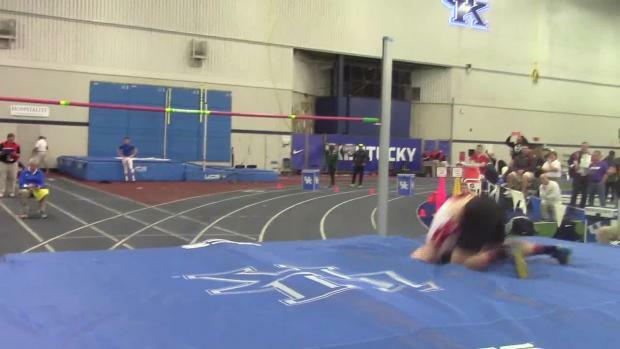 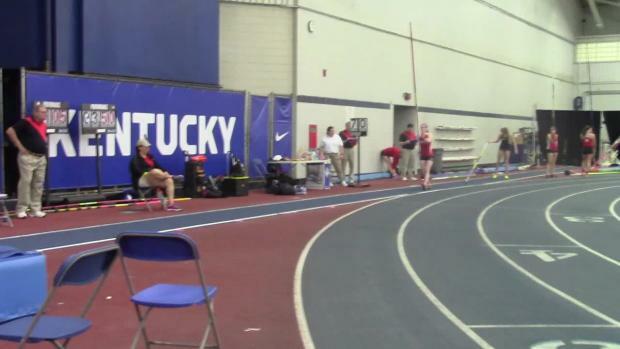 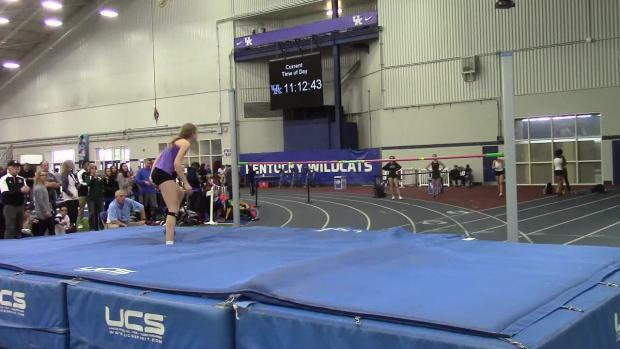 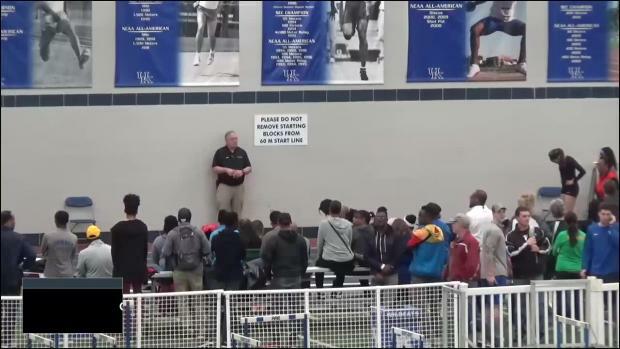 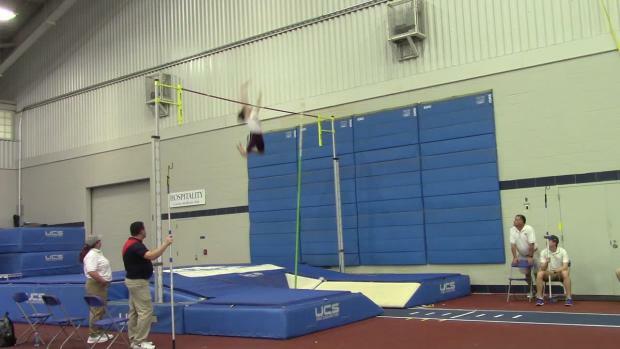 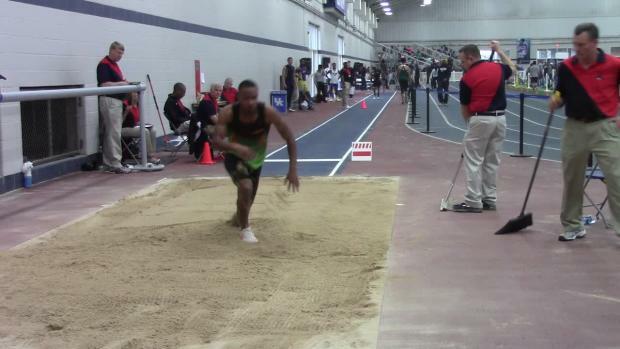 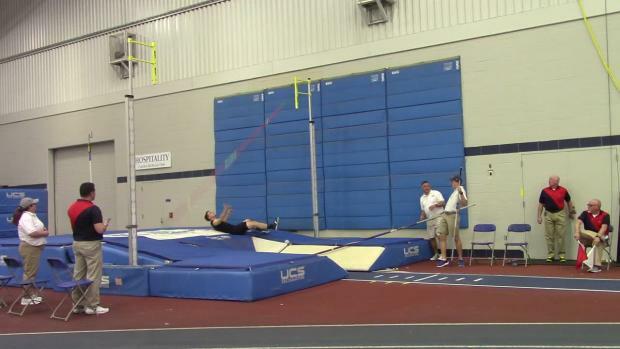 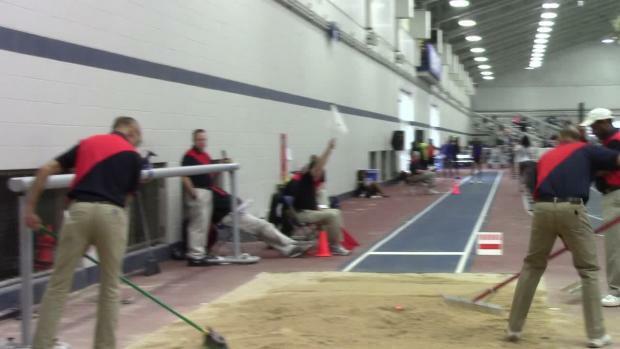 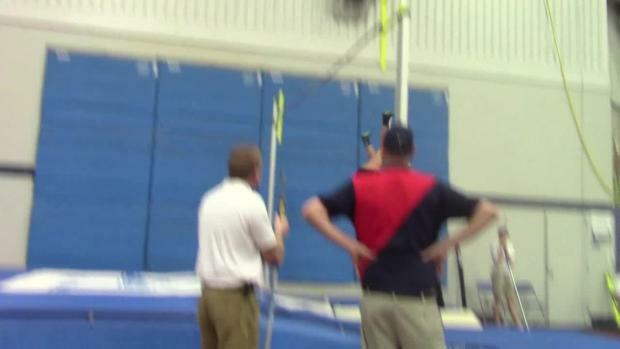 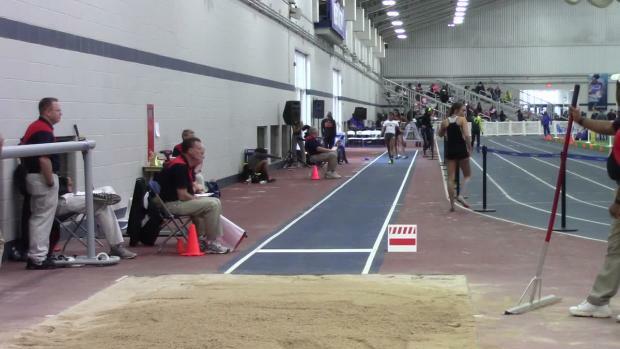 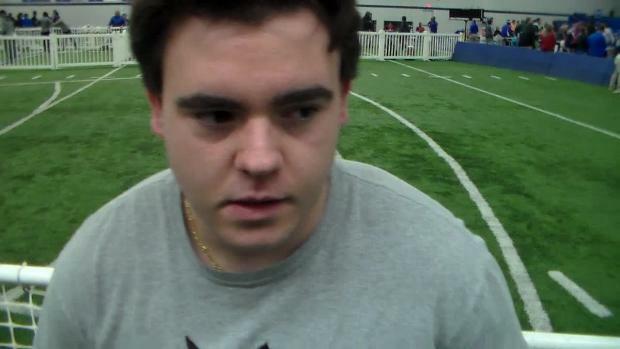 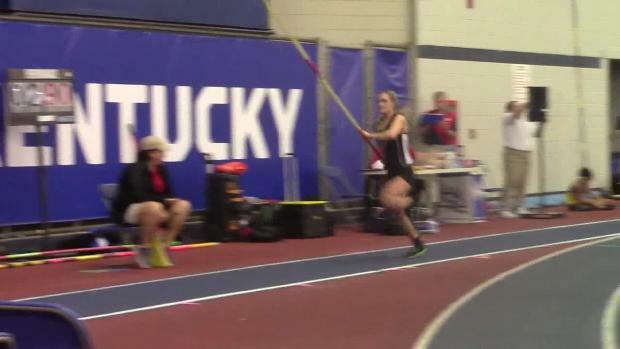 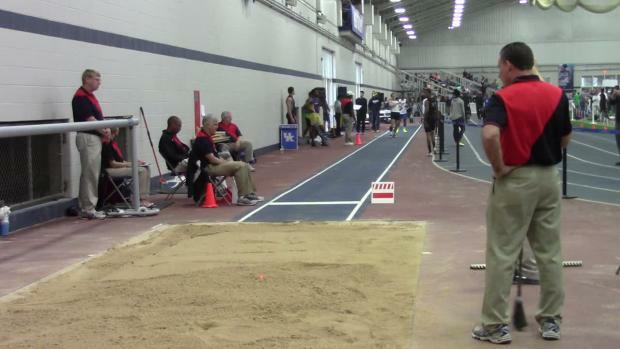 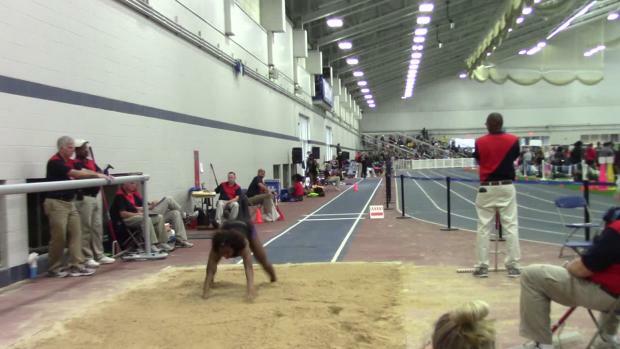 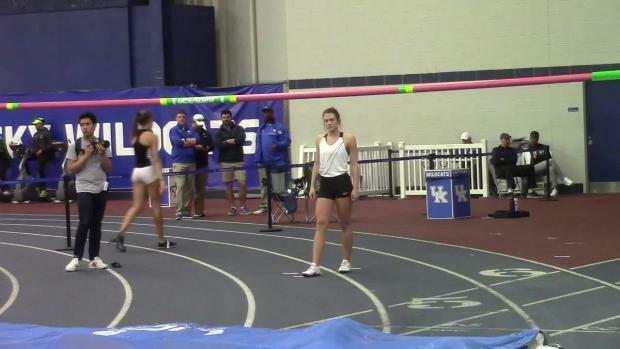 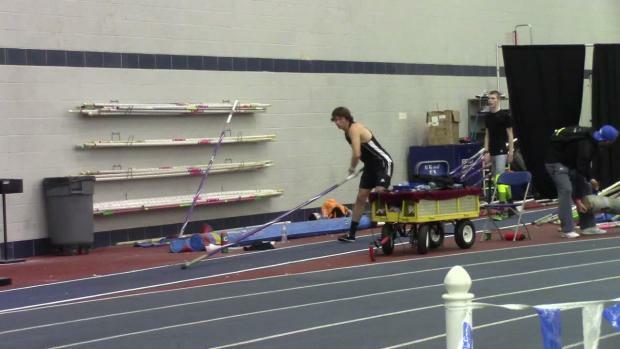 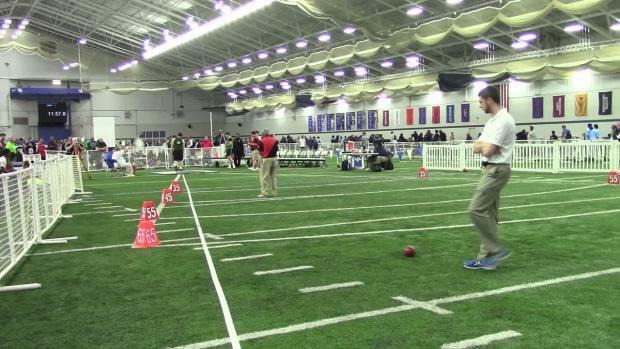 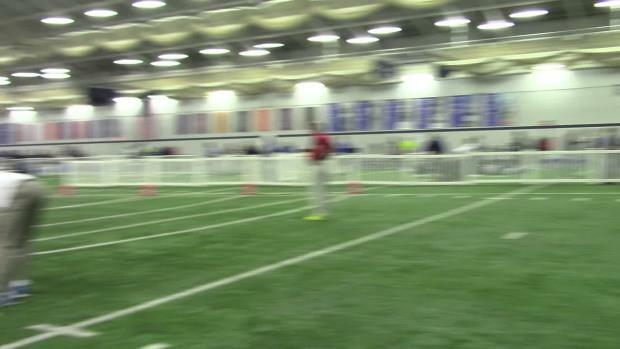 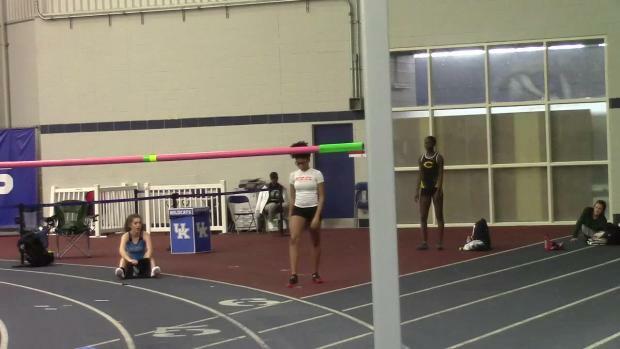 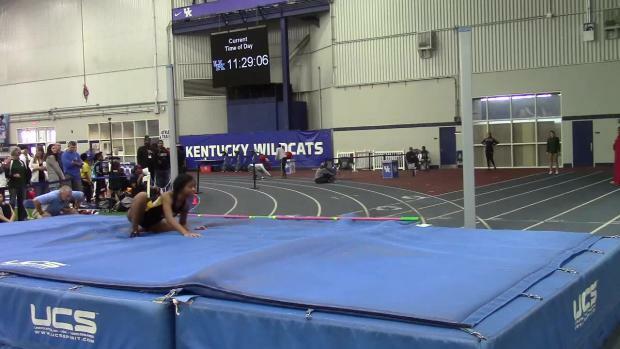 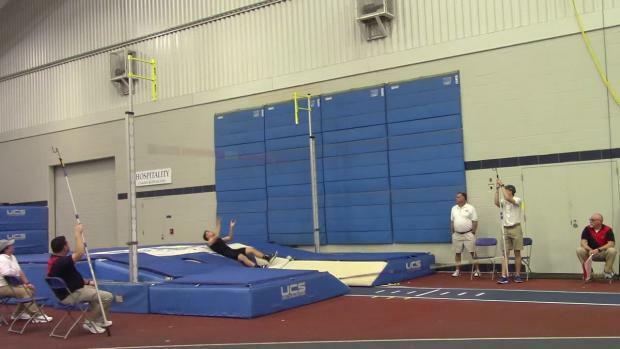 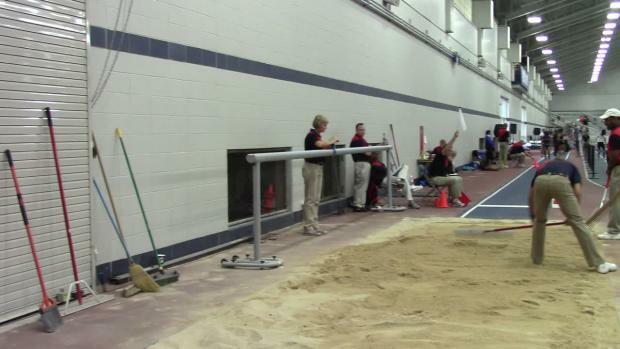 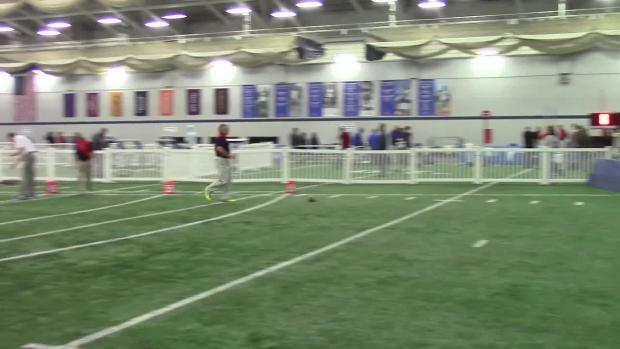 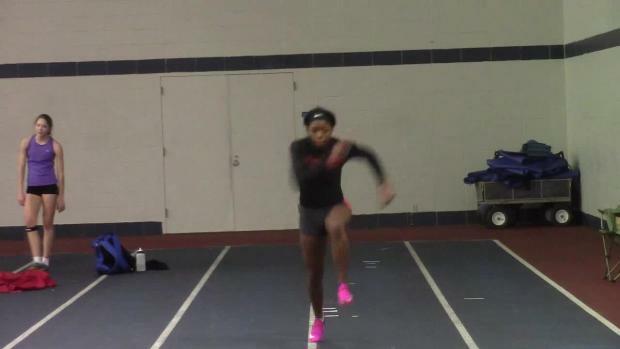 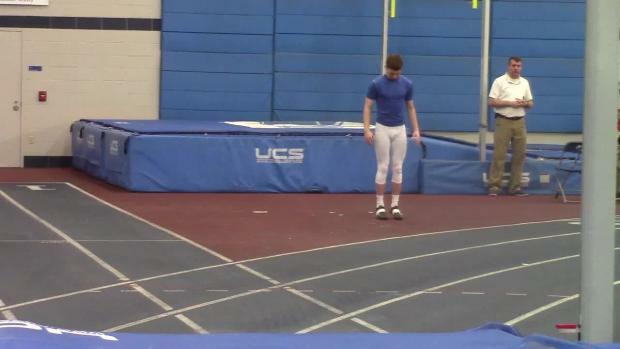 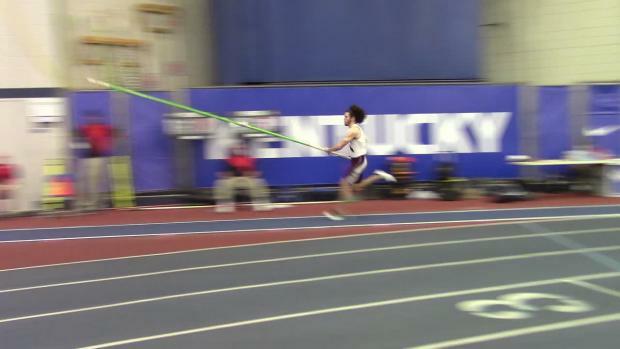 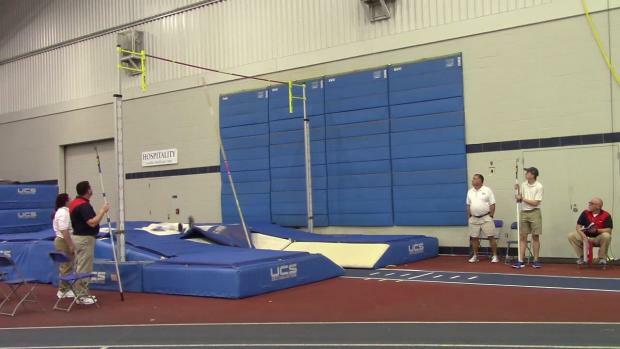 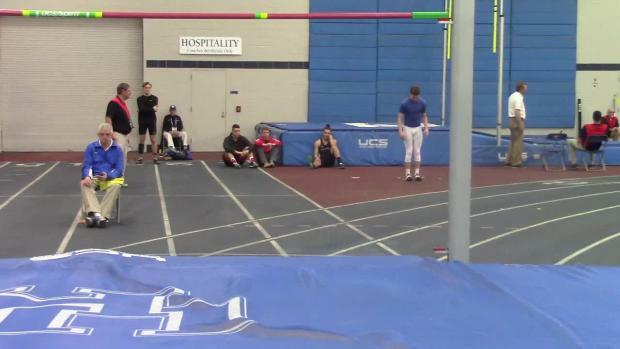 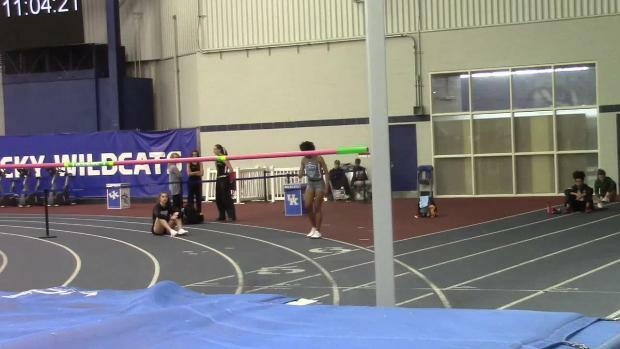 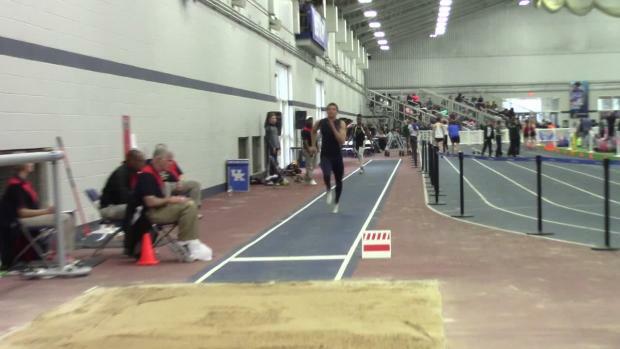 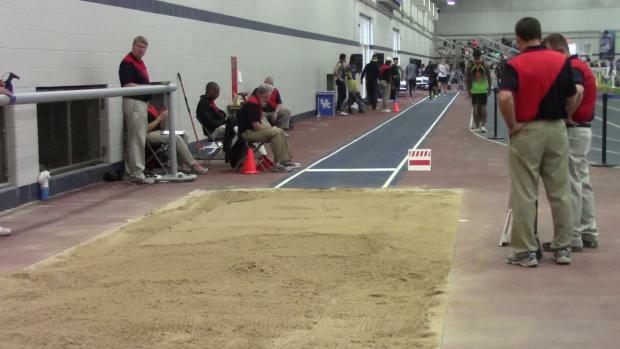 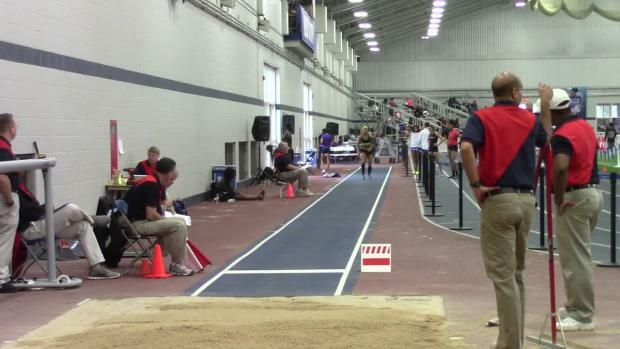 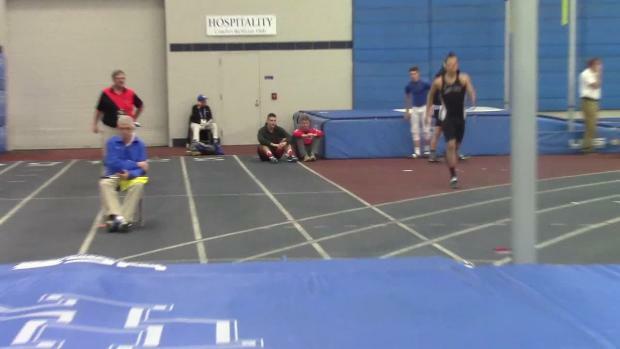 Check out what KENTUCKY athletes did this weekend! 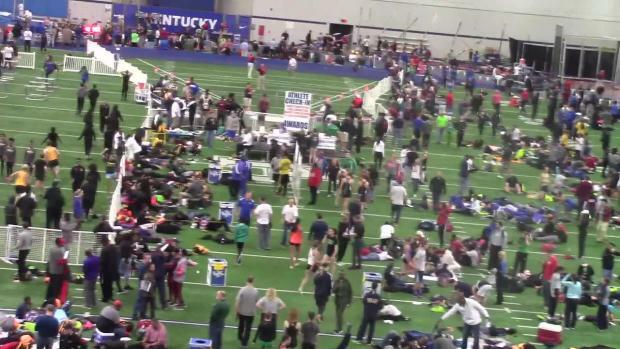 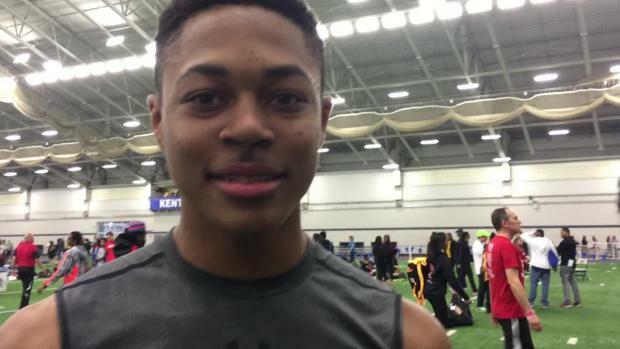 With all of the national attention, Kentucky kids showed out on the biggest stage. 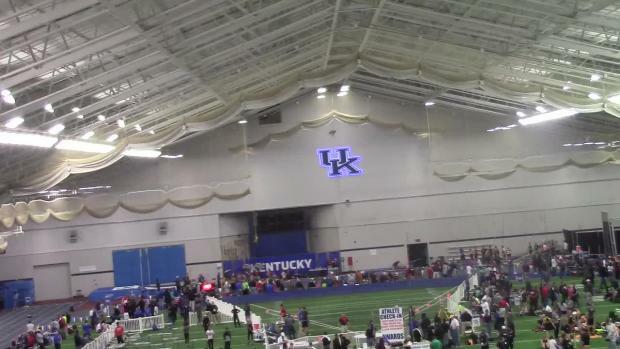 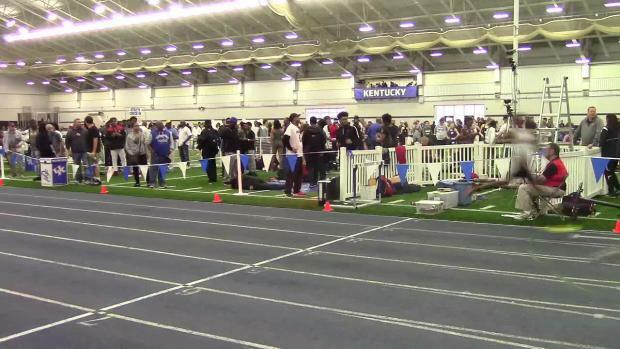 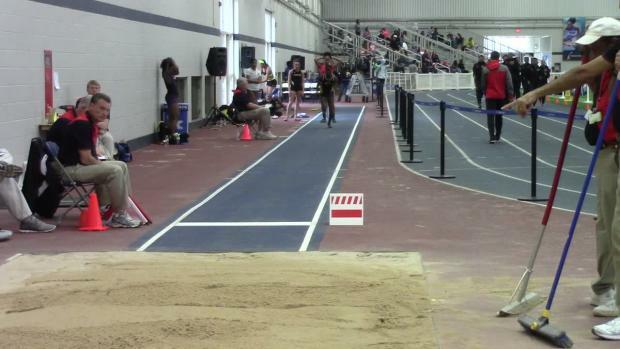 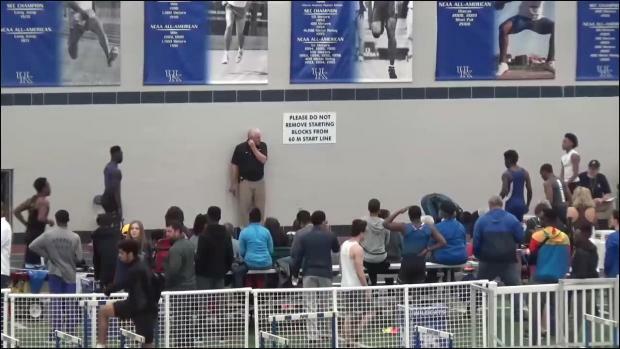 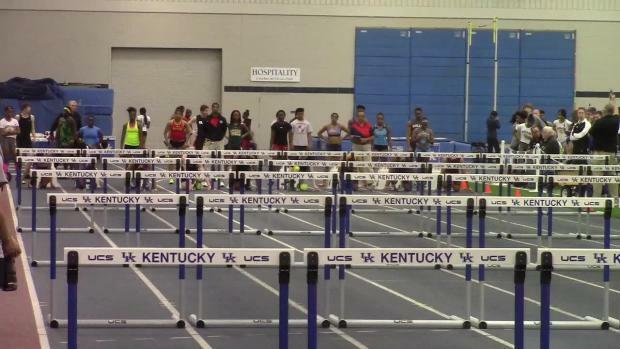 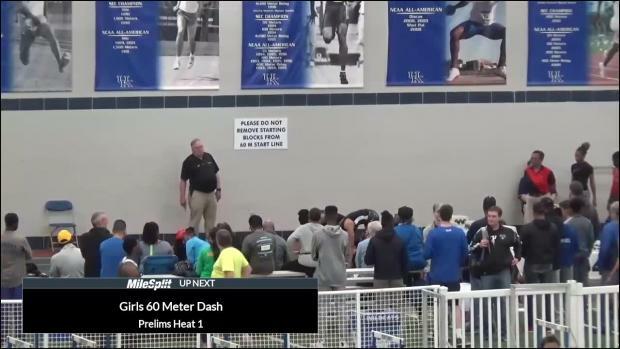 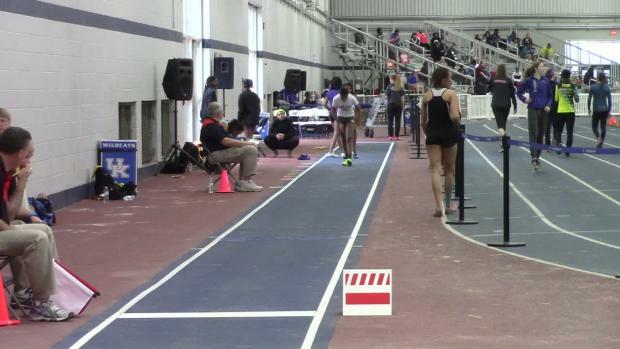 Many North Carolina athletes head to Kentucky to compete at the UK High School Invitational LIVE on MileSplit! 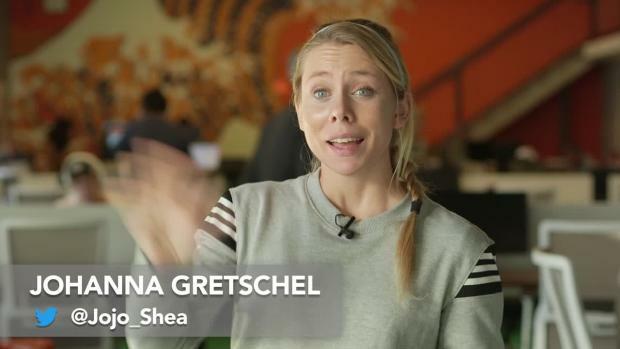 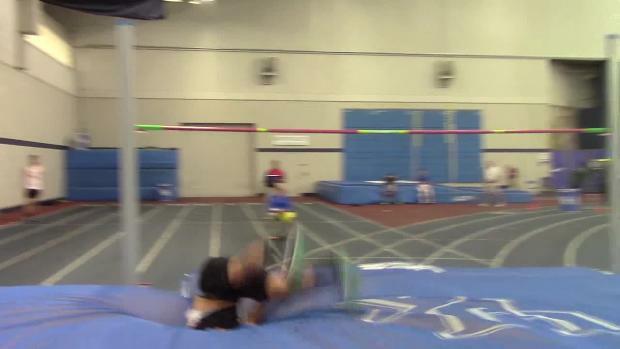 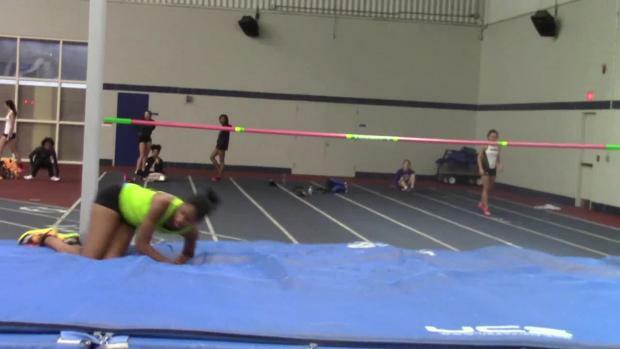 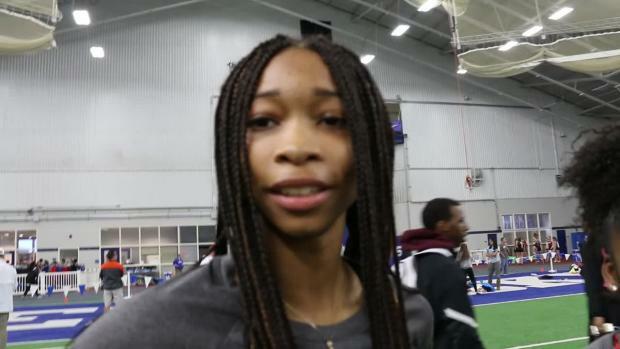 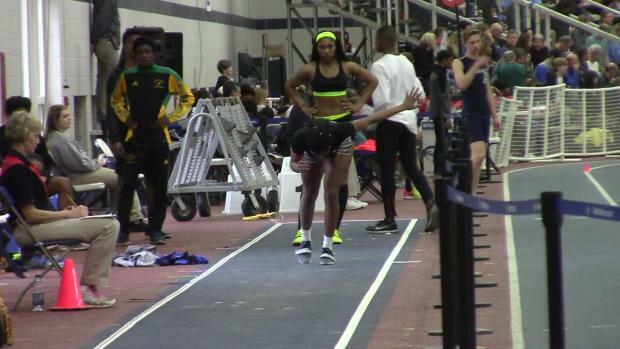 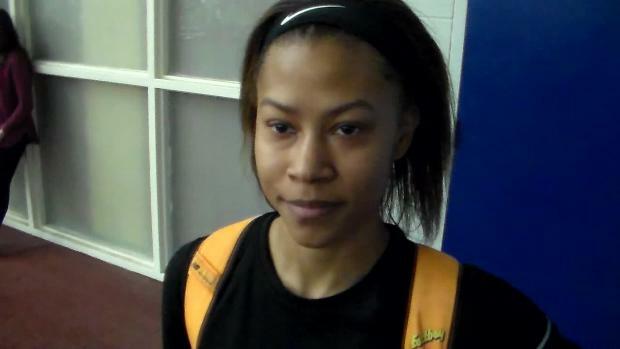 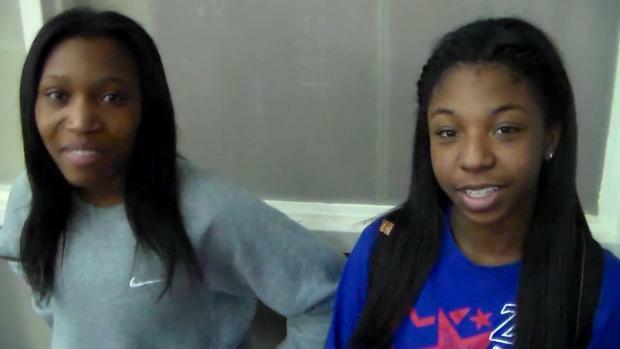 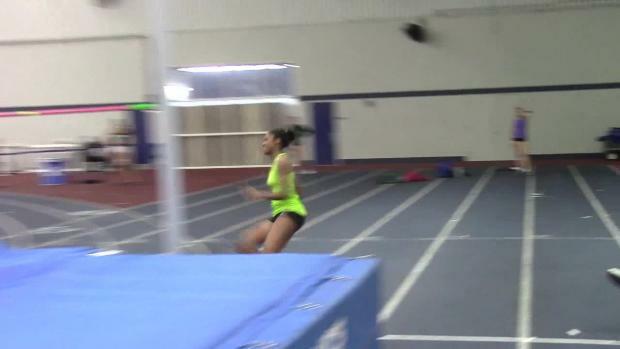 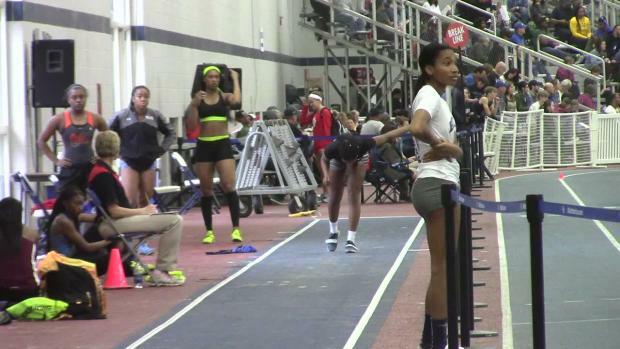 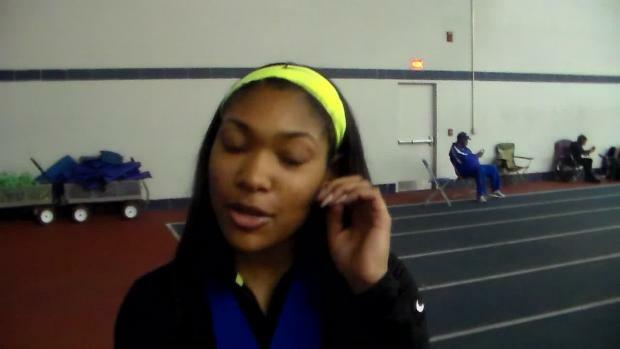 Watch Lynna Irby, Jayla Kirkland, Cameron Cooper, Brian Herron & more!